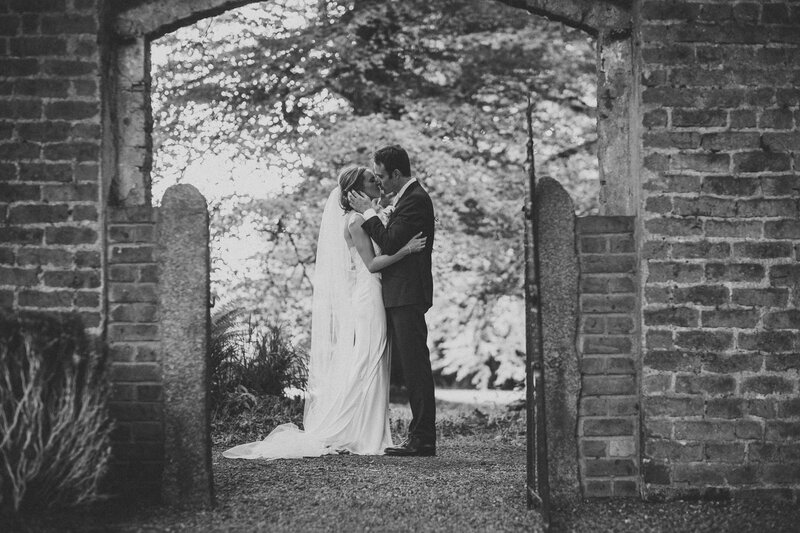 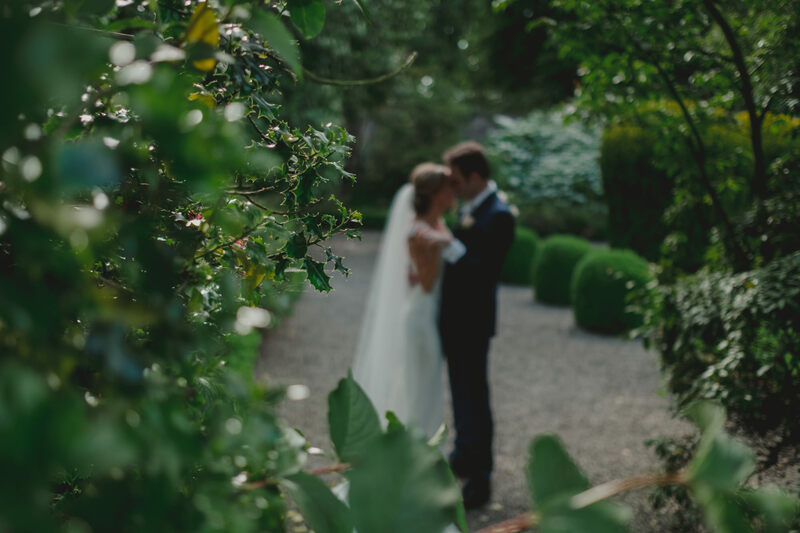 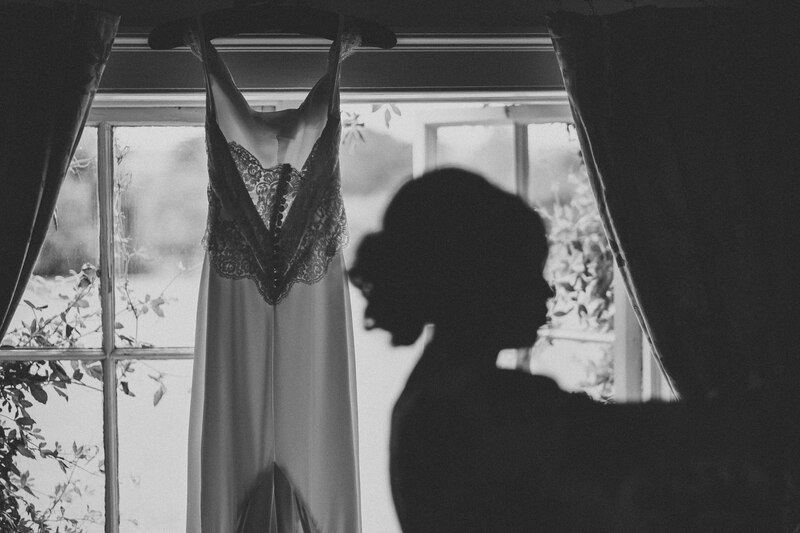 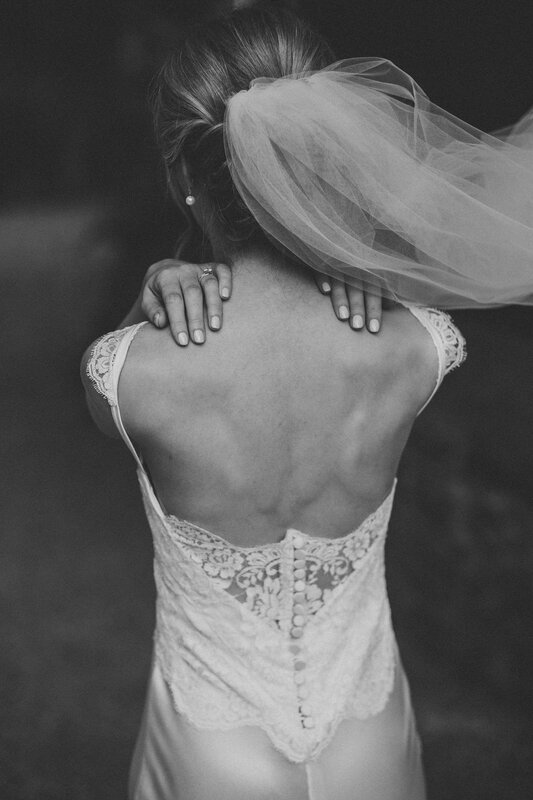 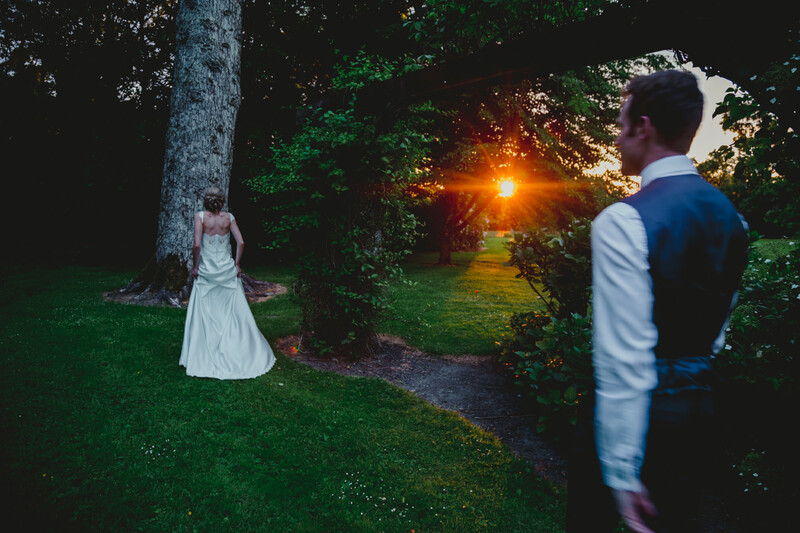 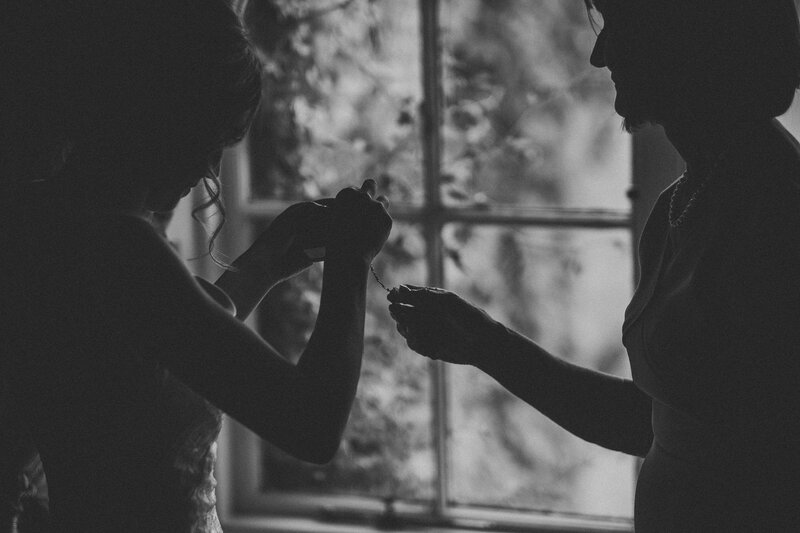 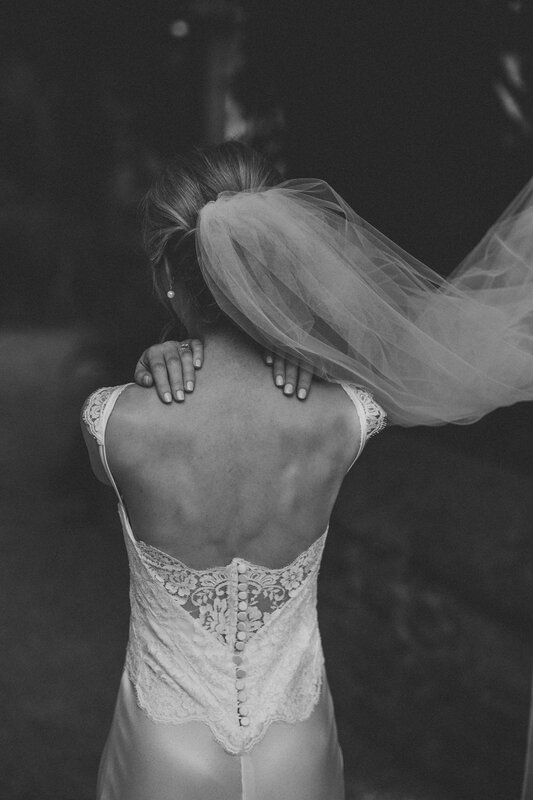 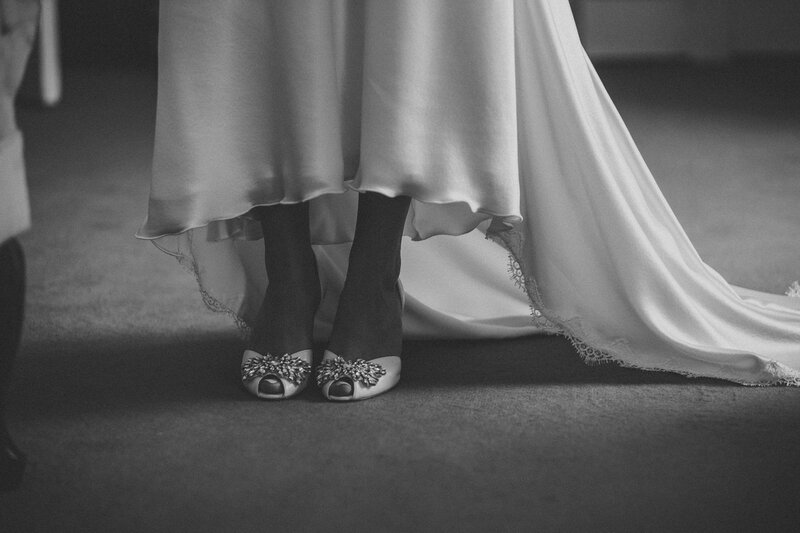 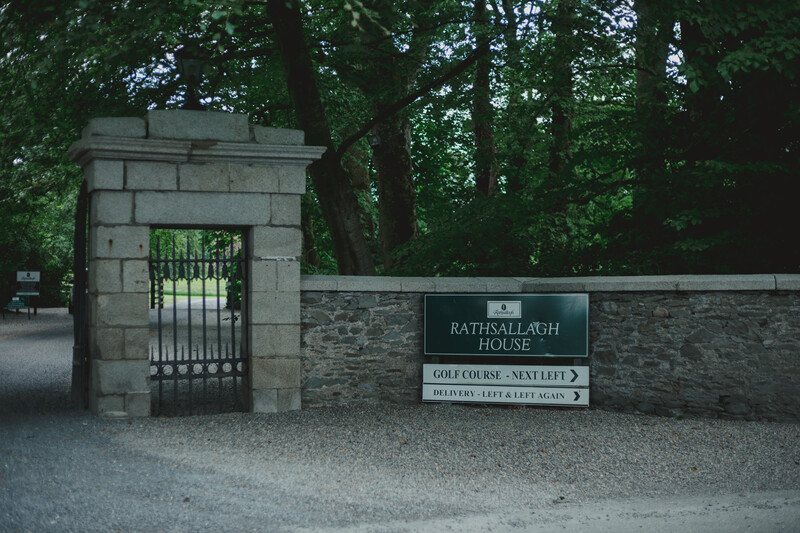 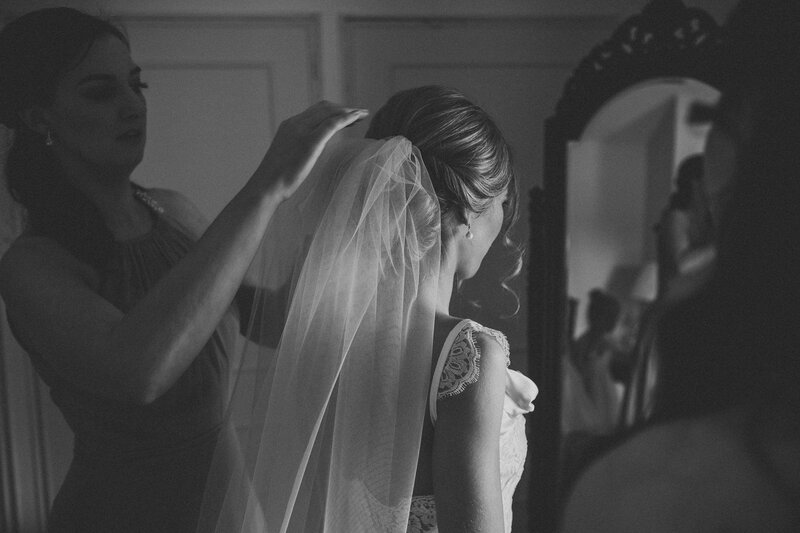 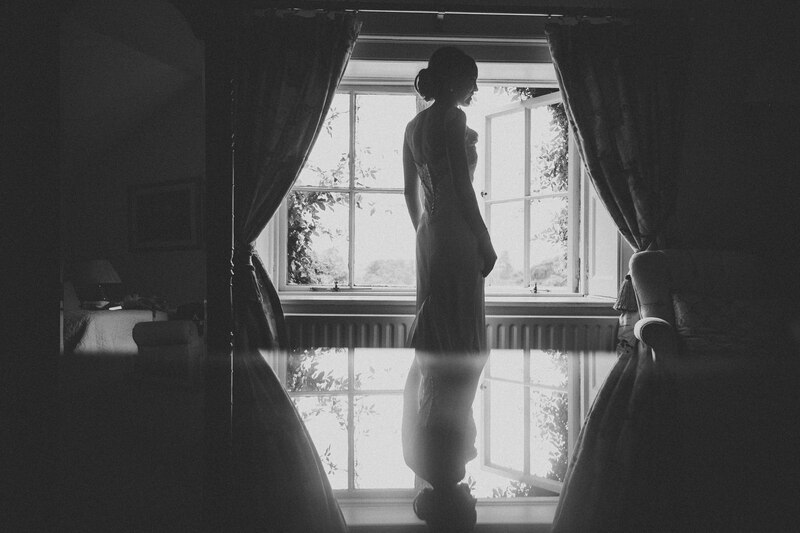 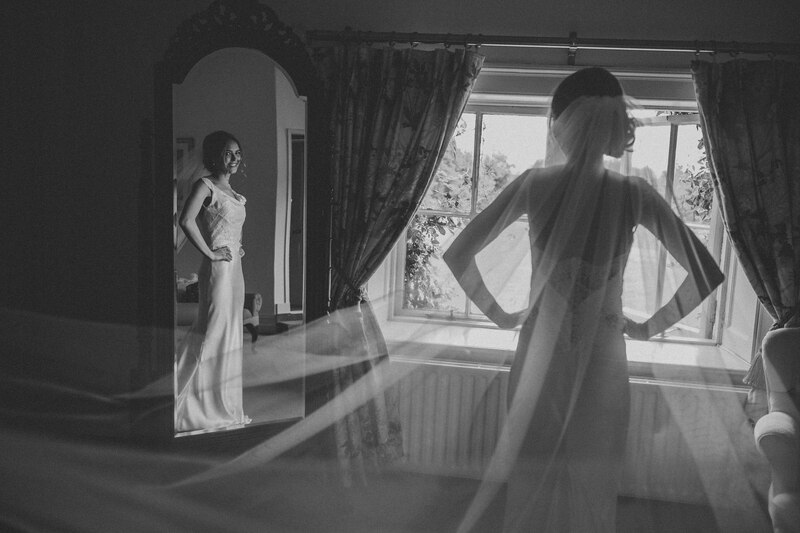 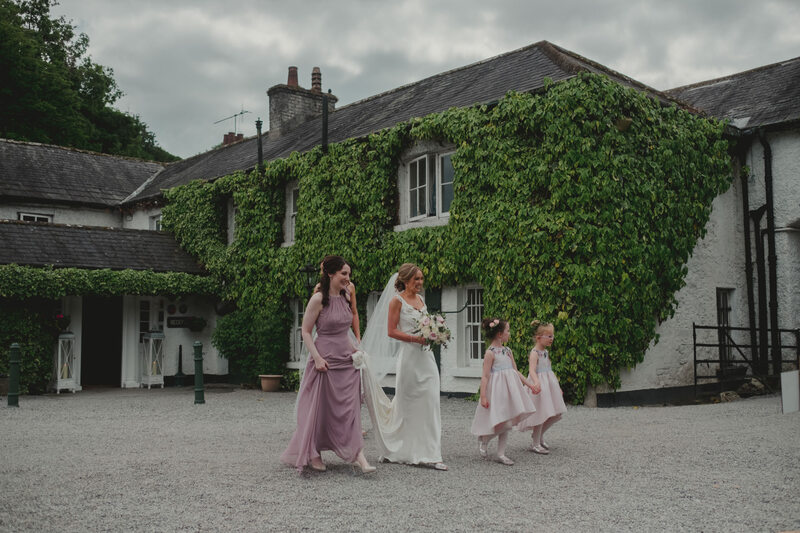 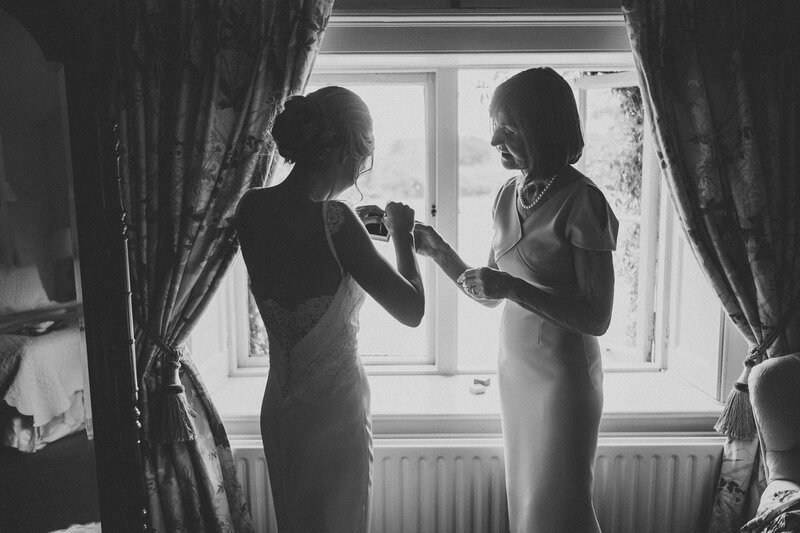 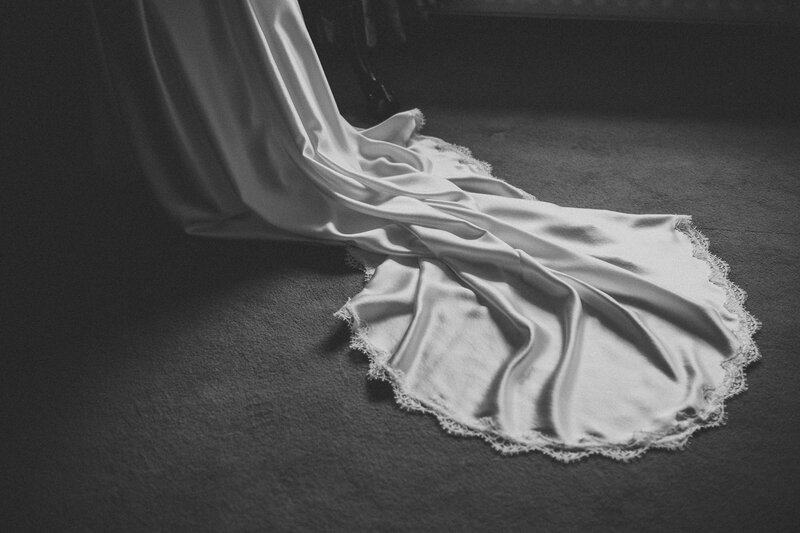 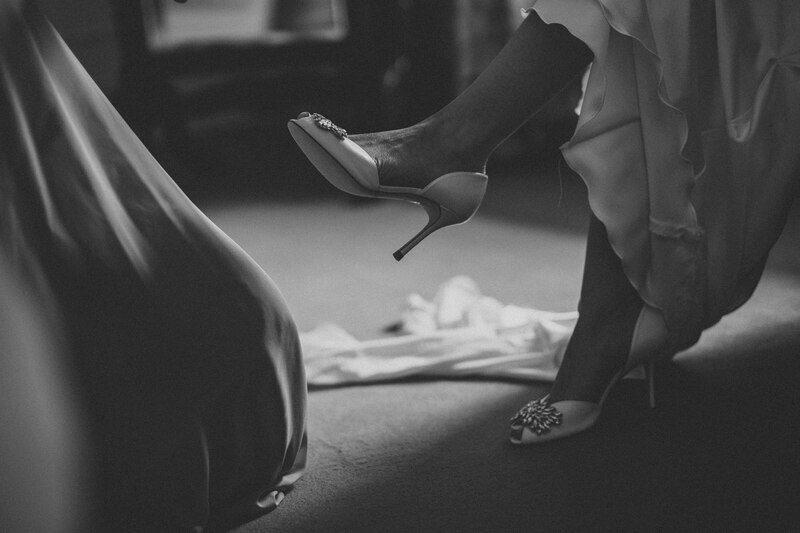 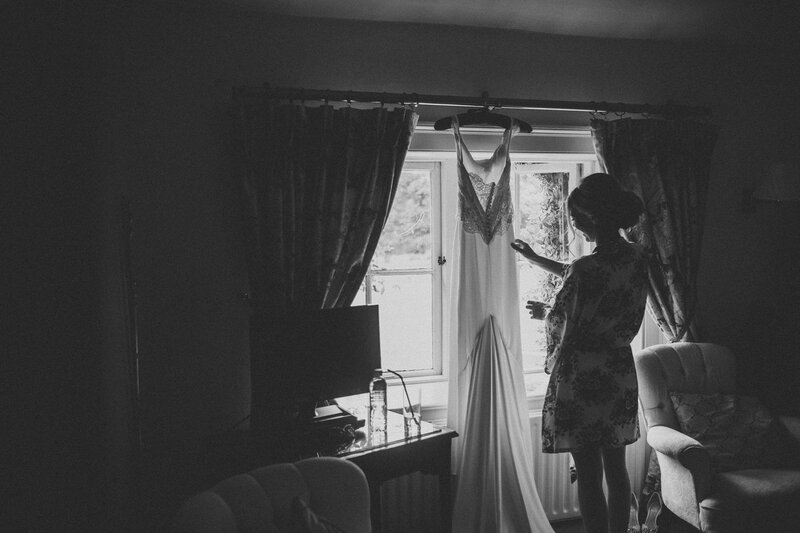 Rathsallagh House is a quaint, romantic wedding venue located in Kildare Co. Wicklow. 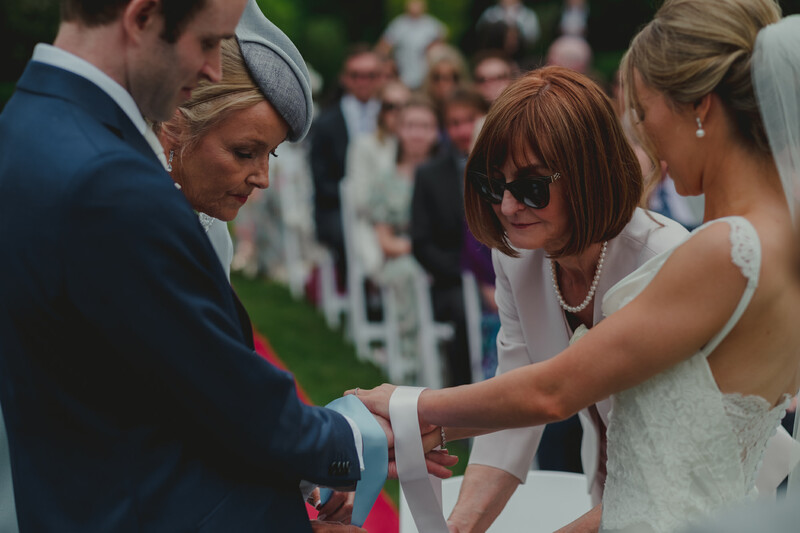 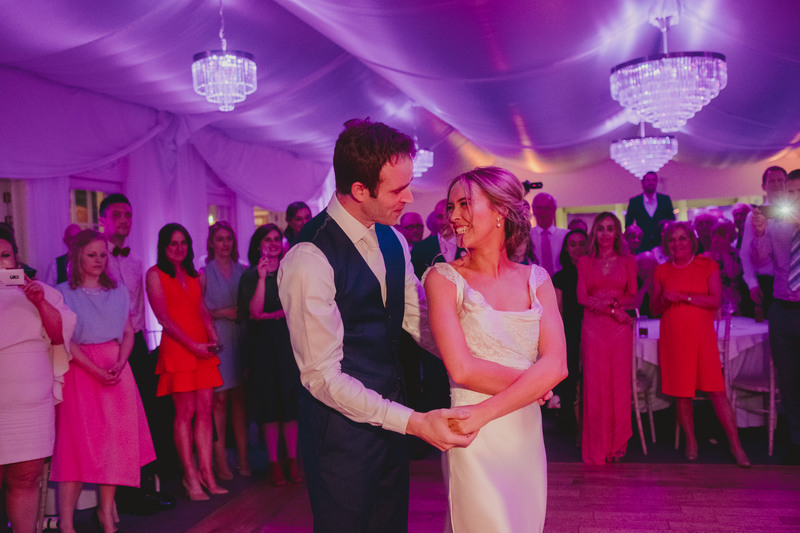 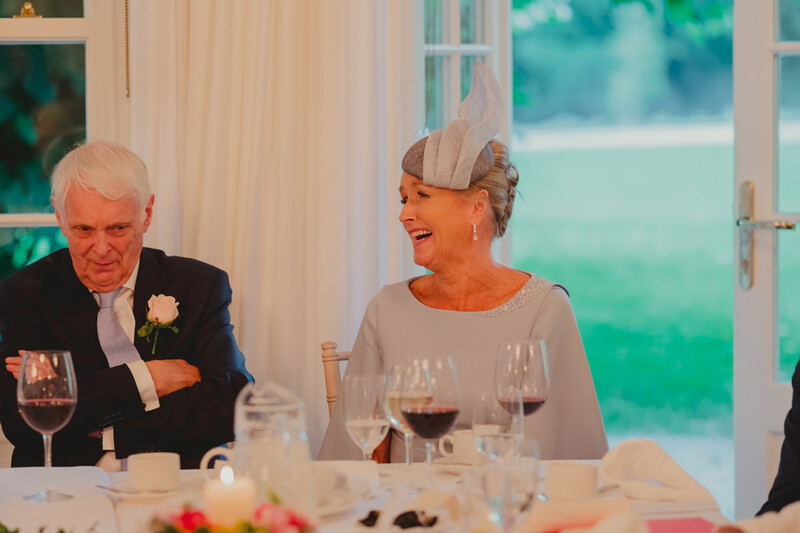 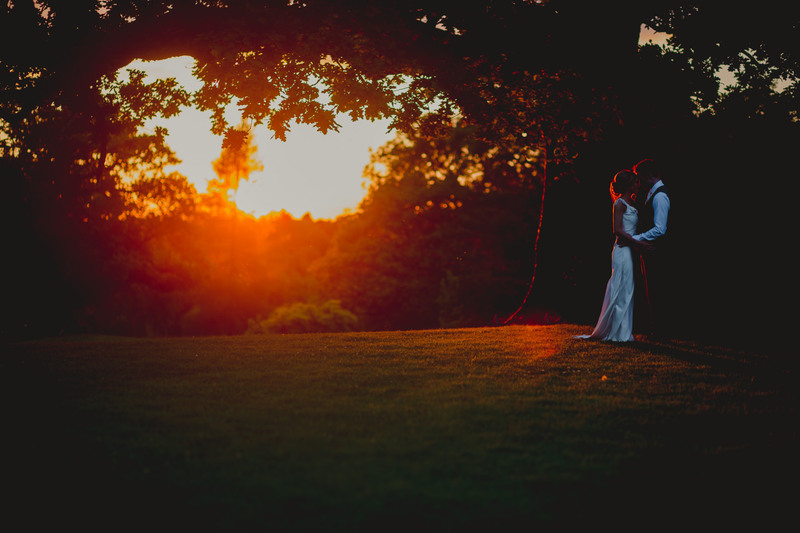 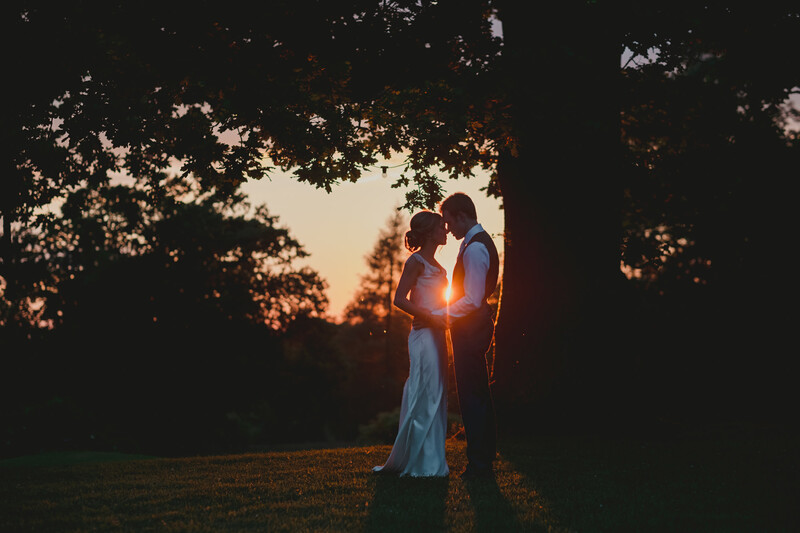 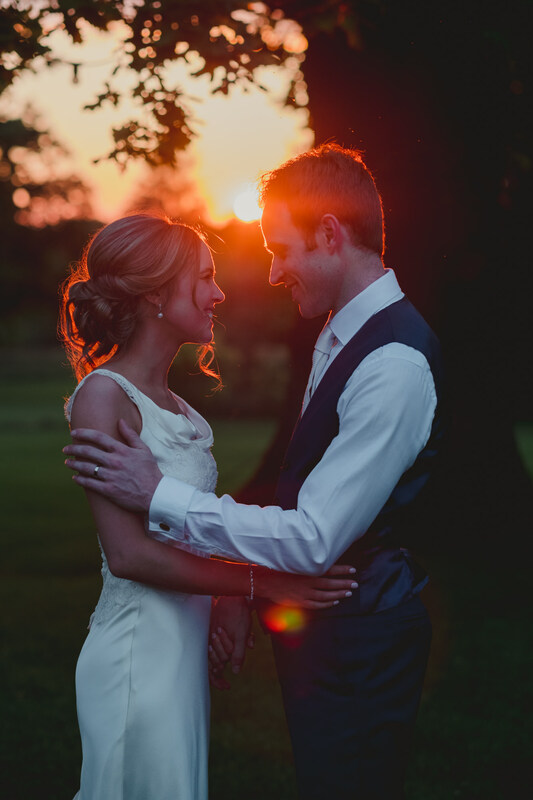 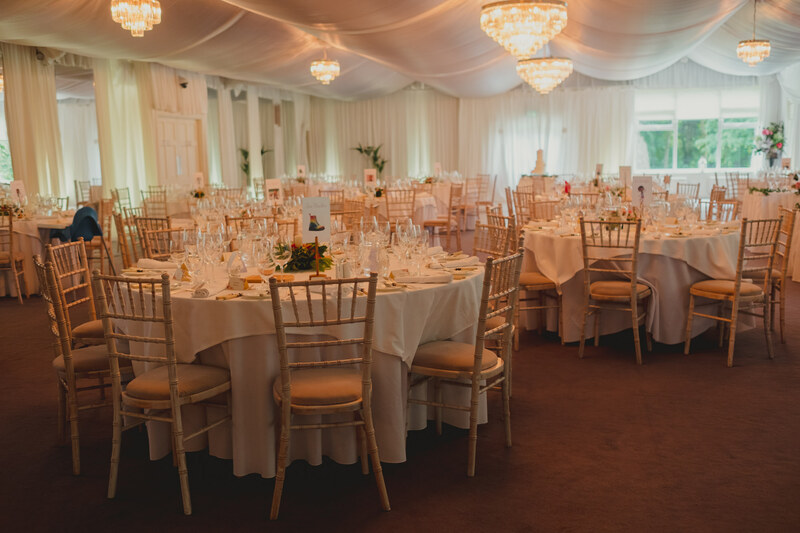 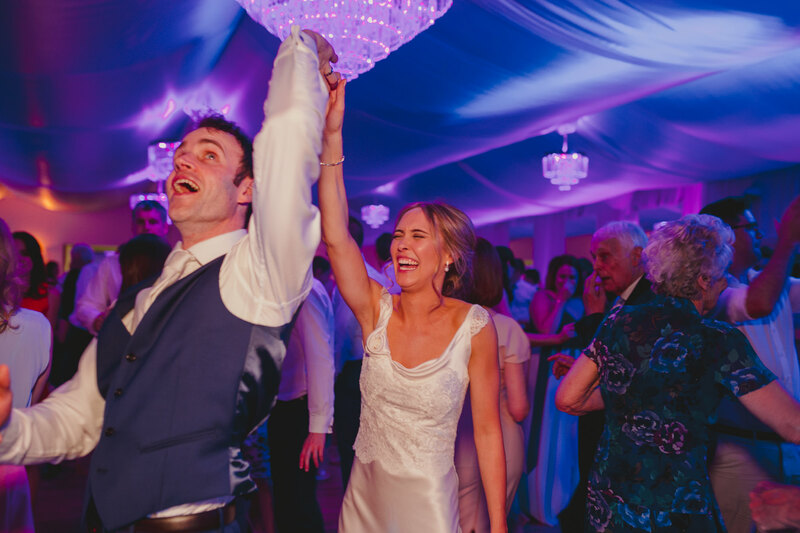 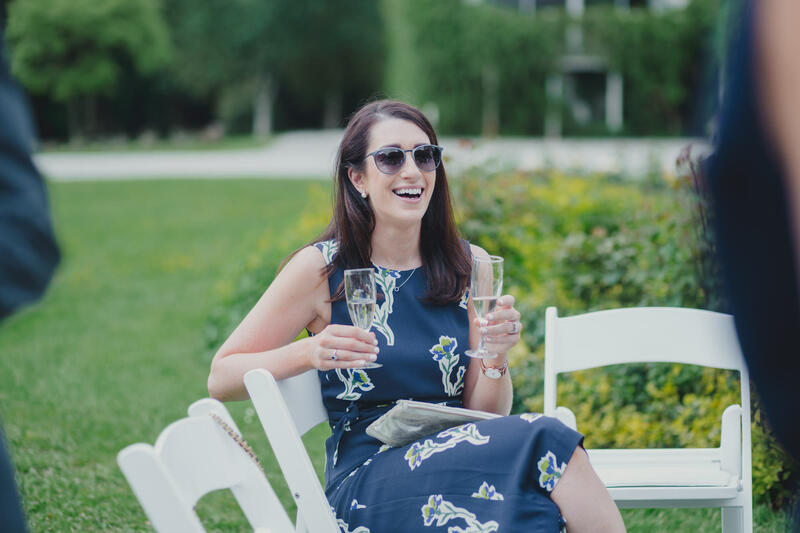 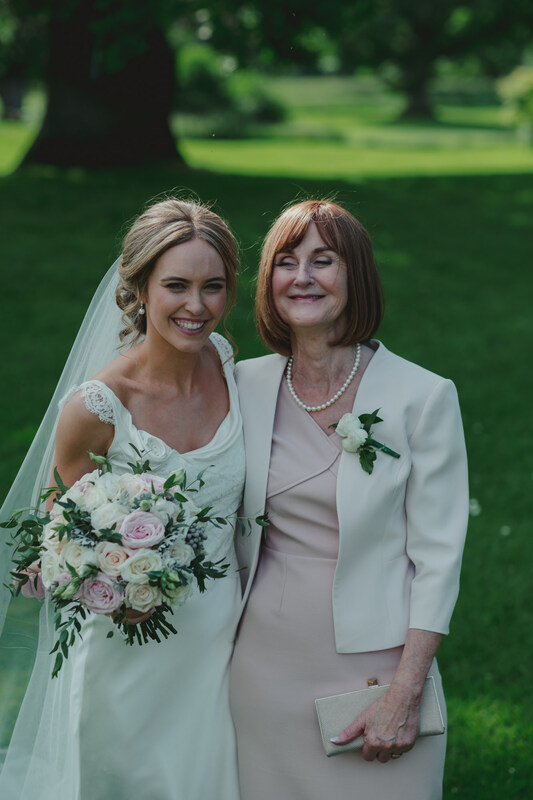 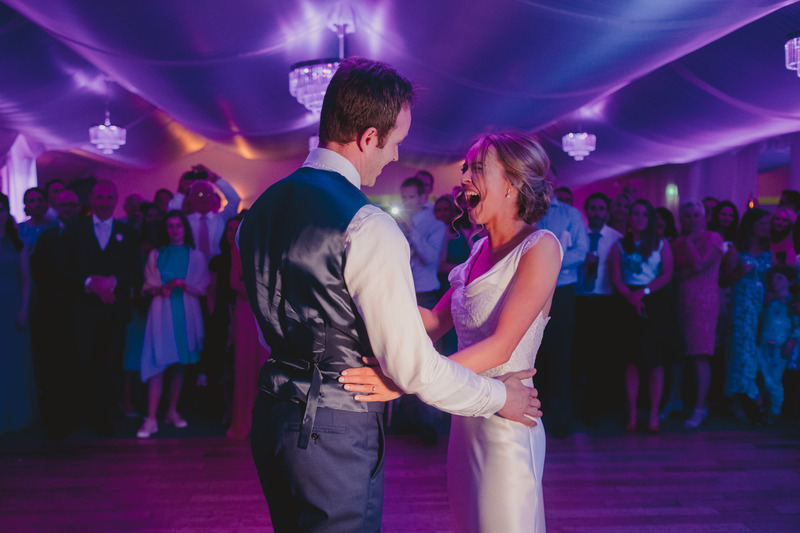 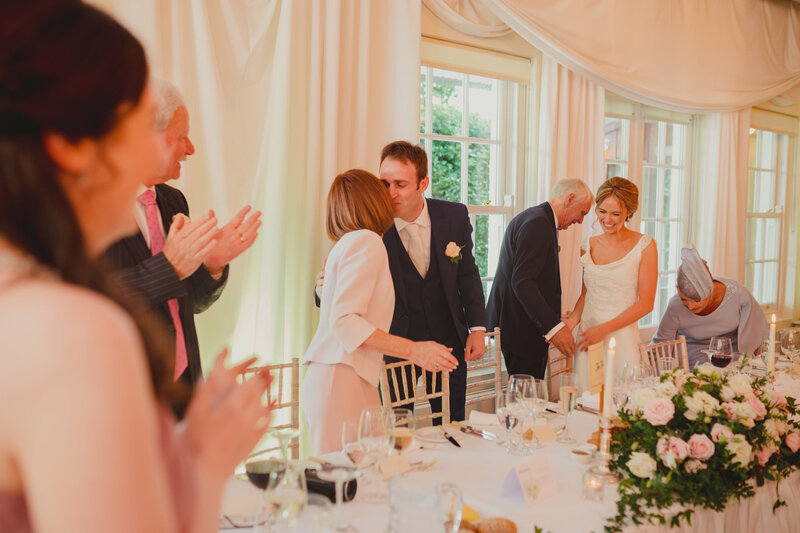 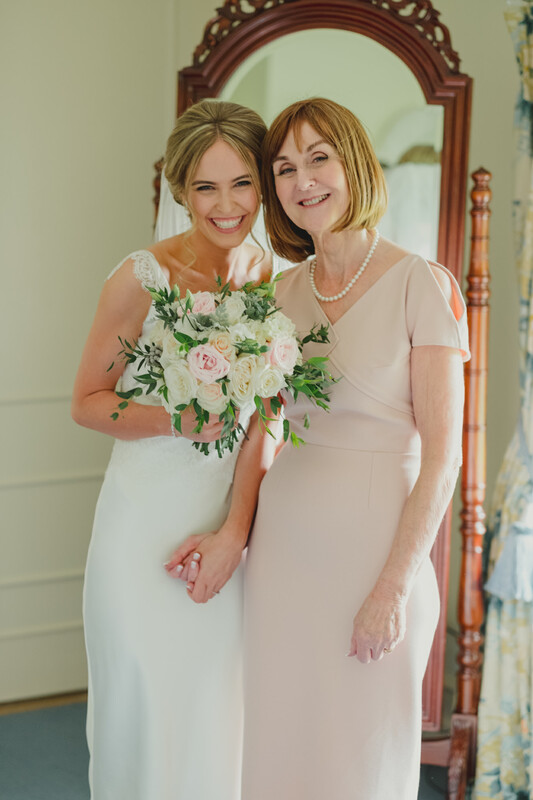 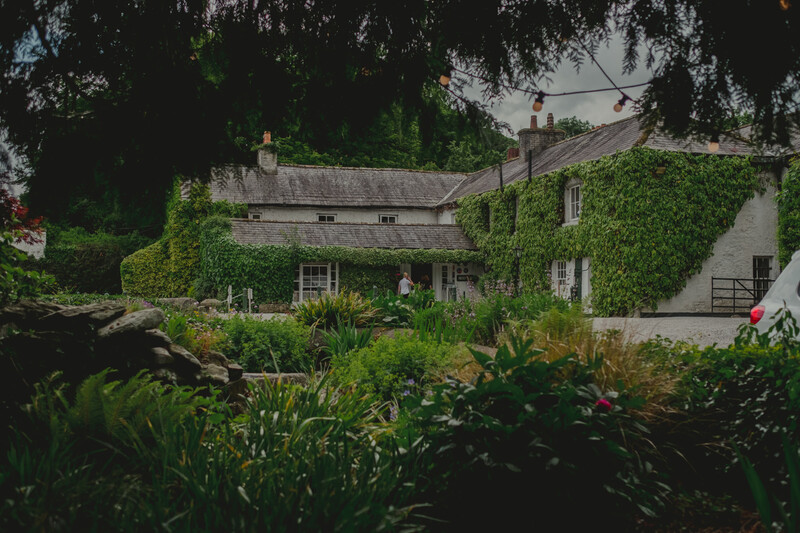 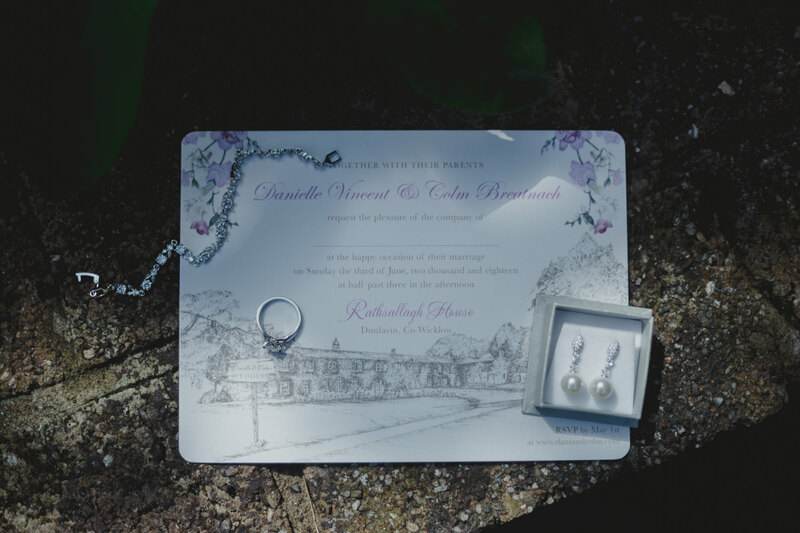 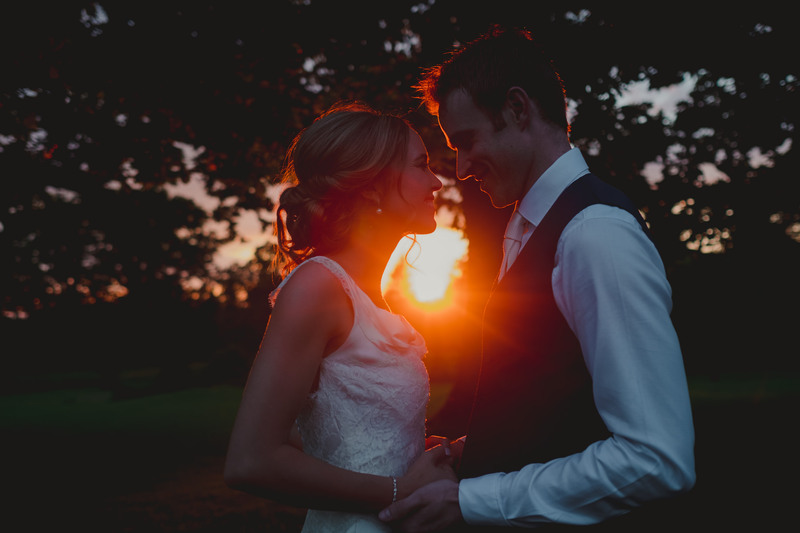 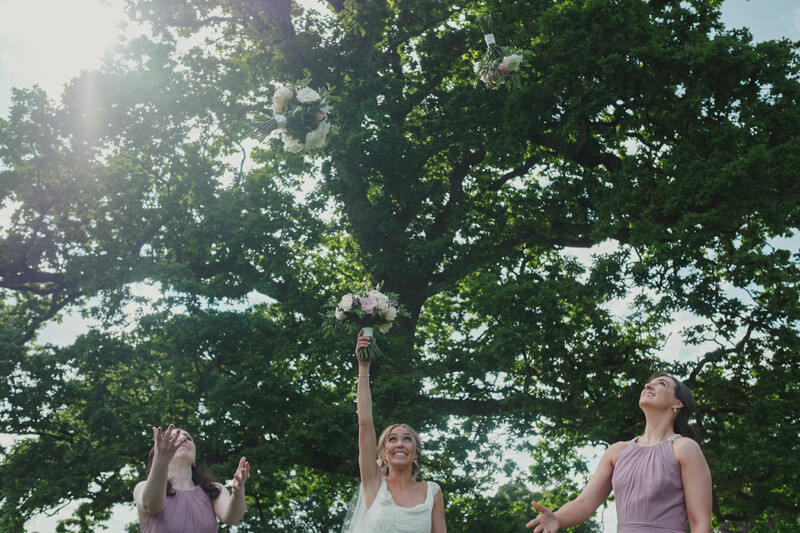 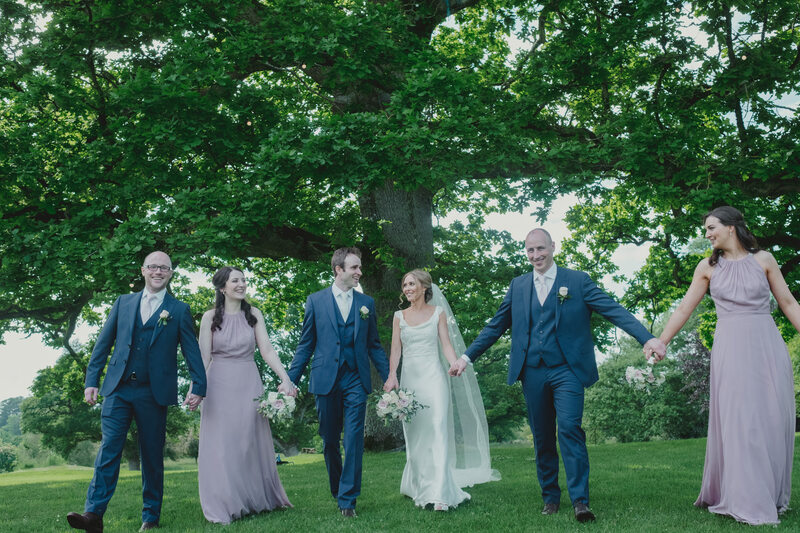 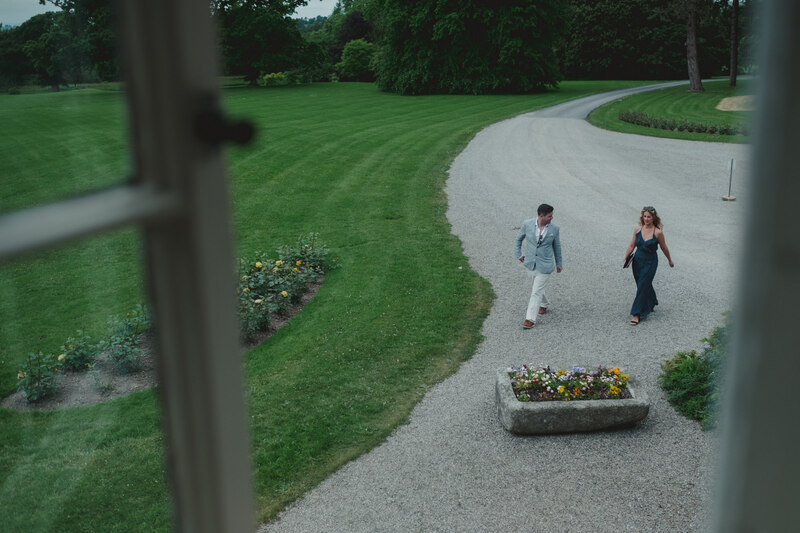 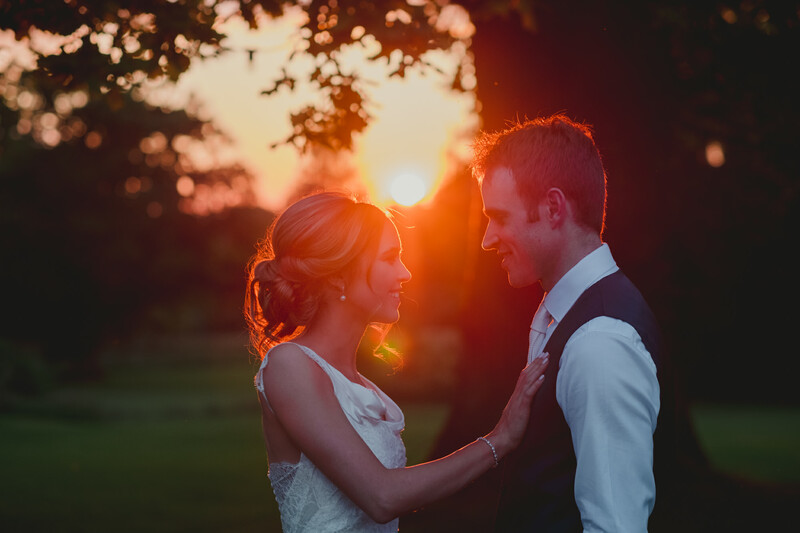 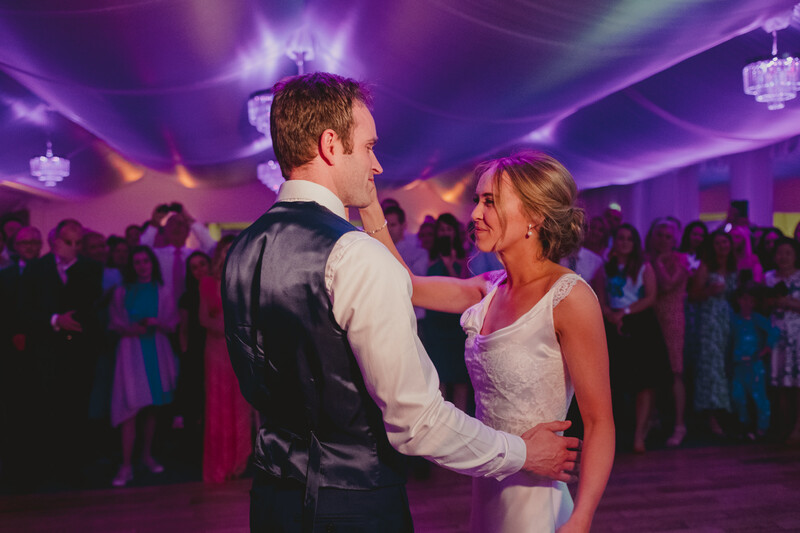 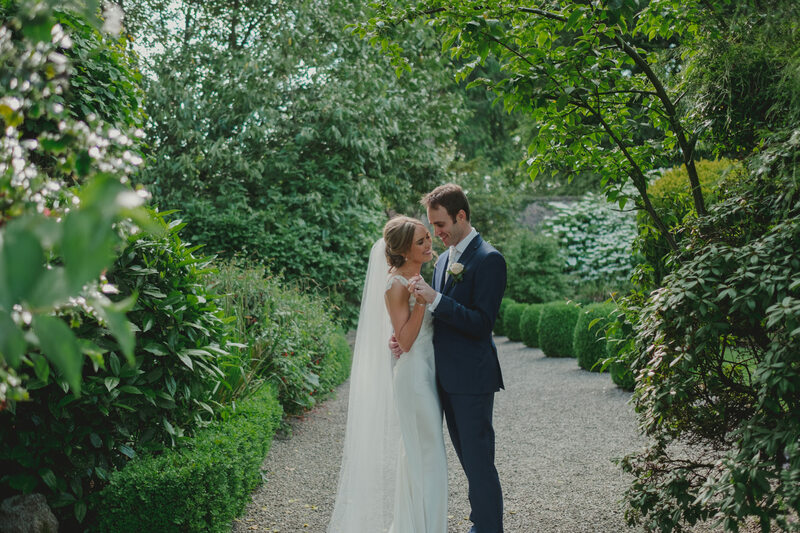 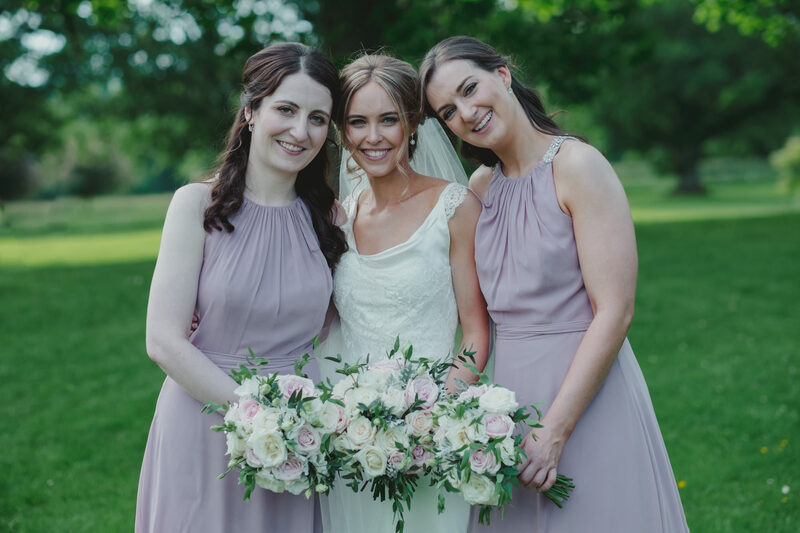 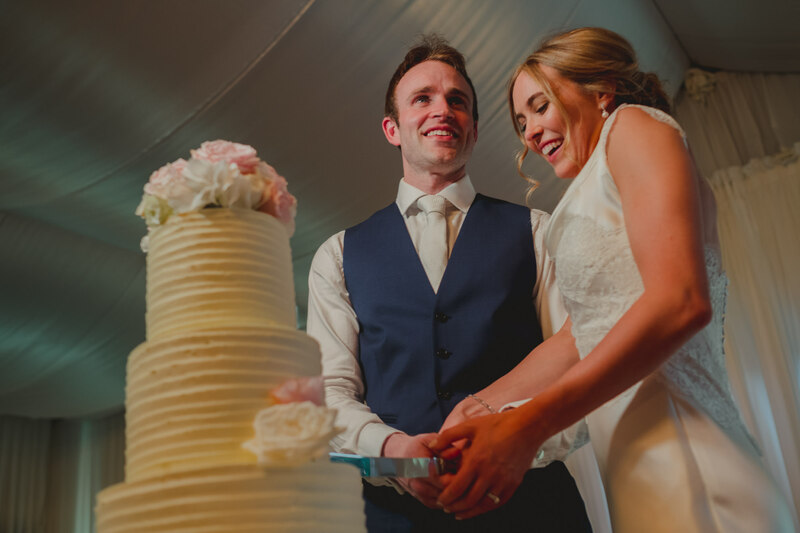 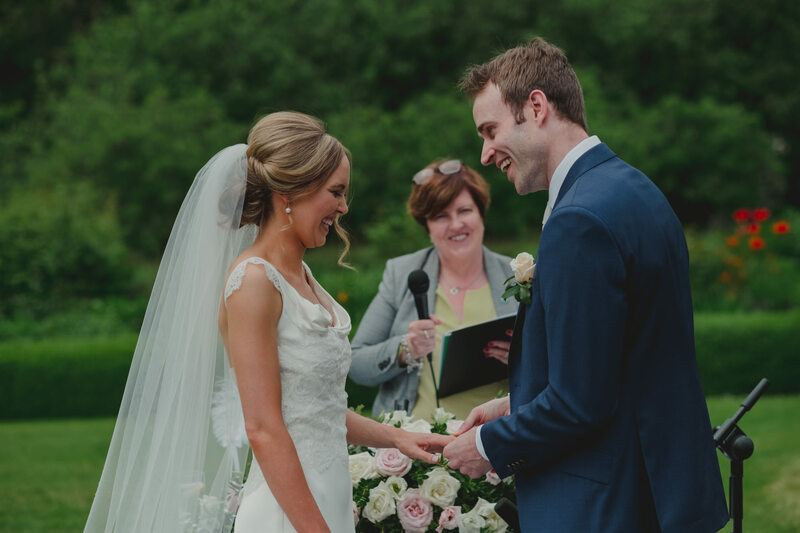 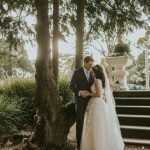 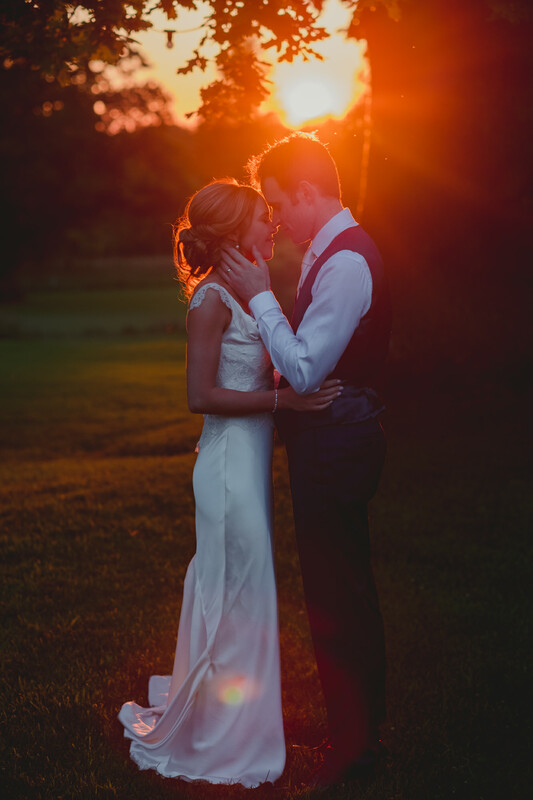 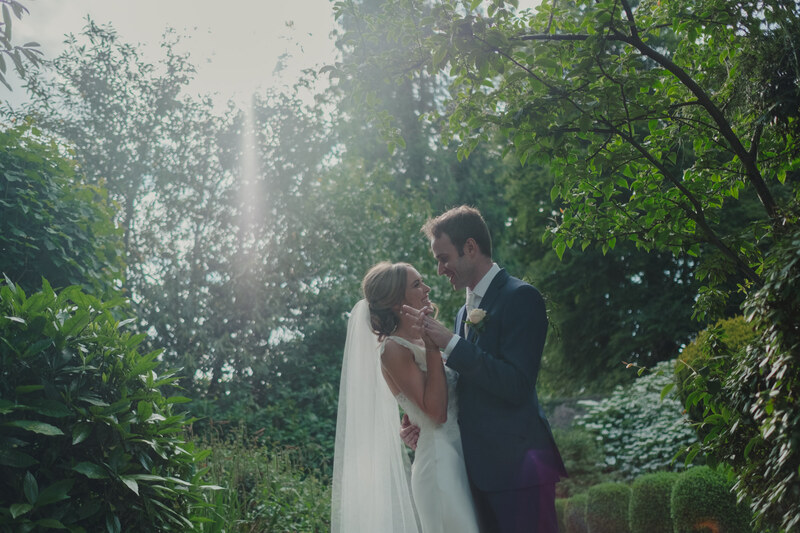 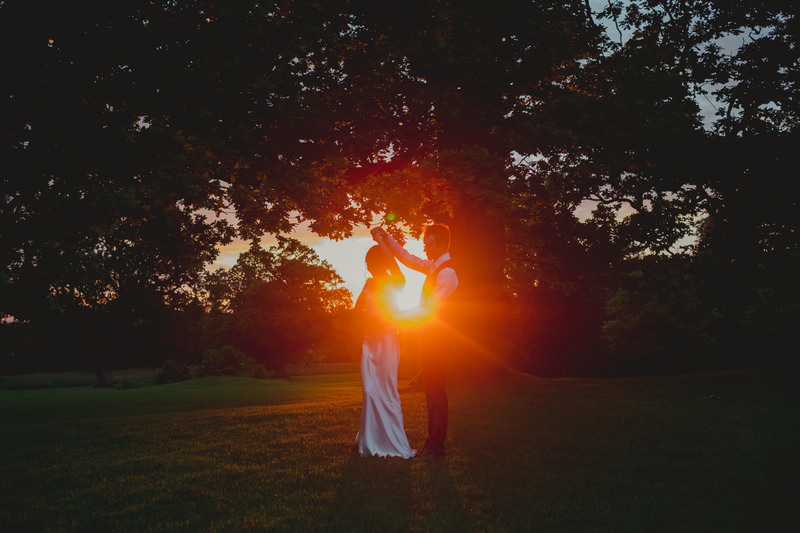 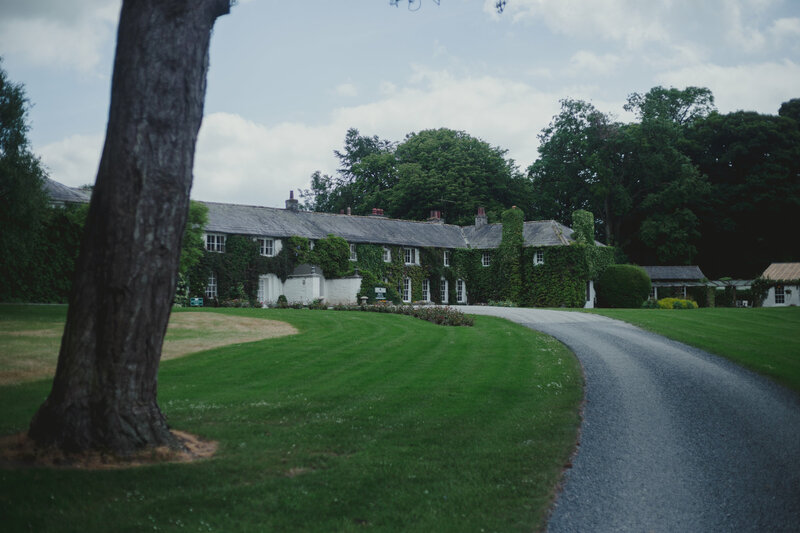 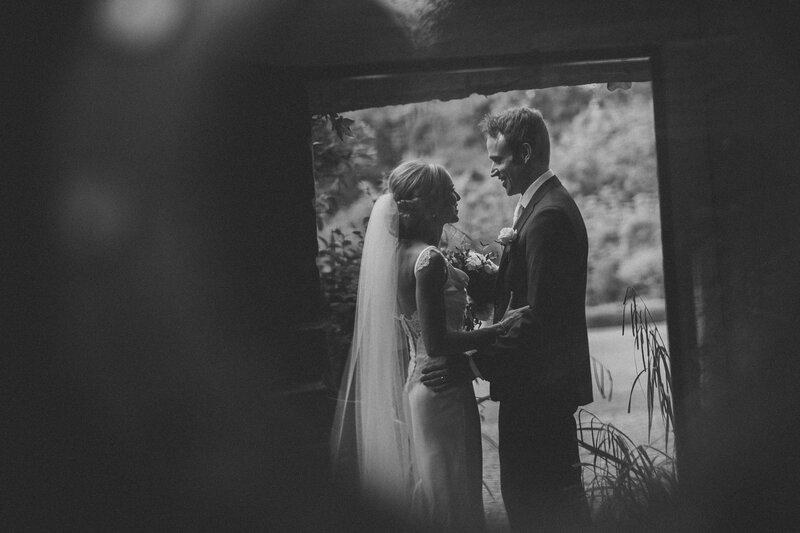 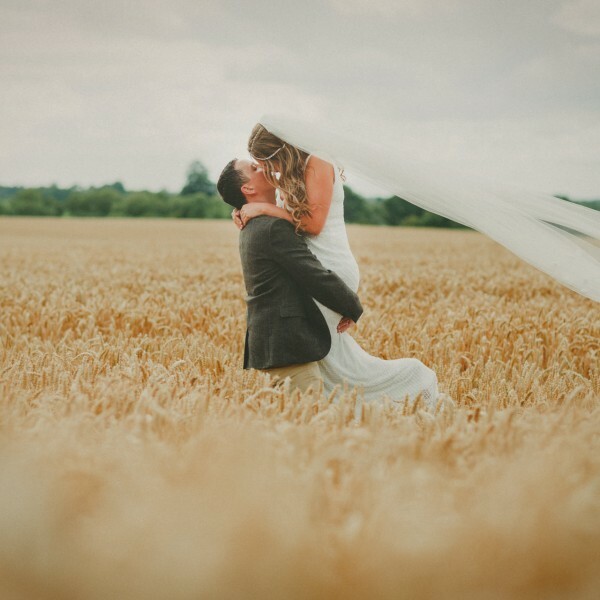 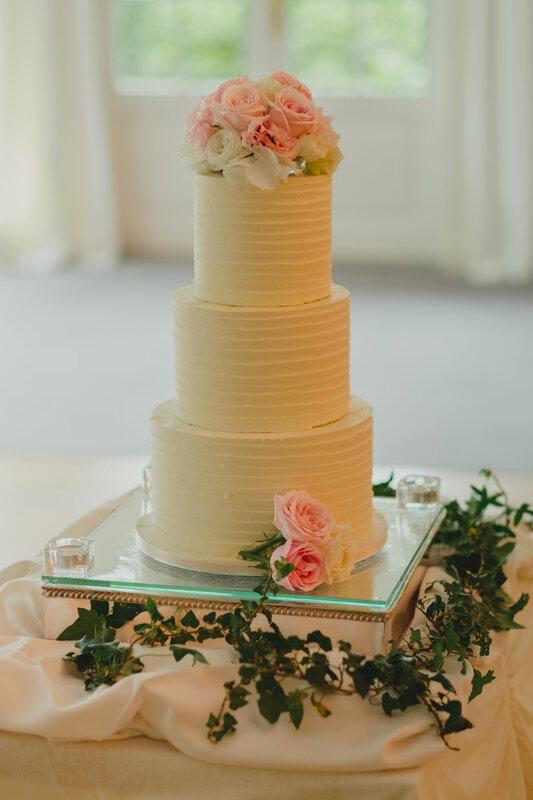 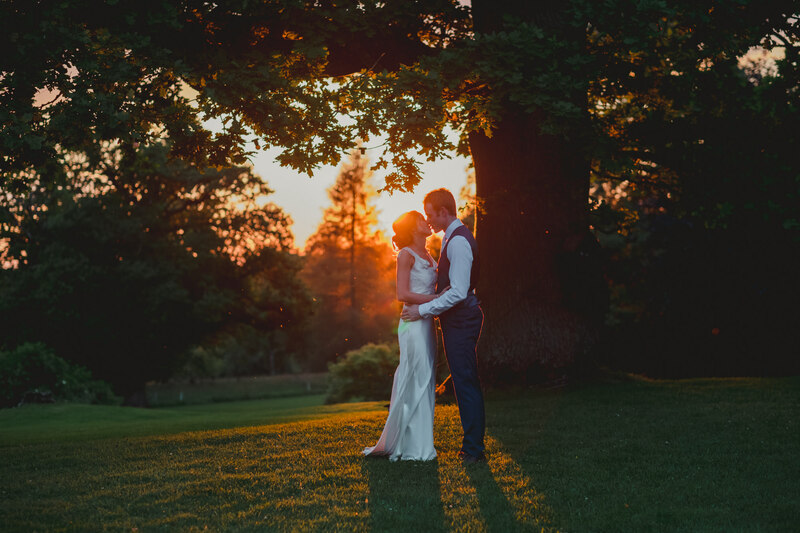 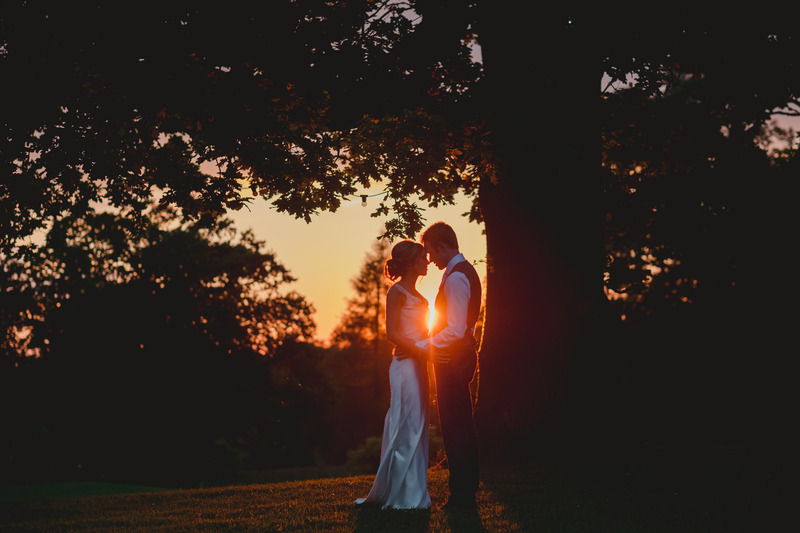 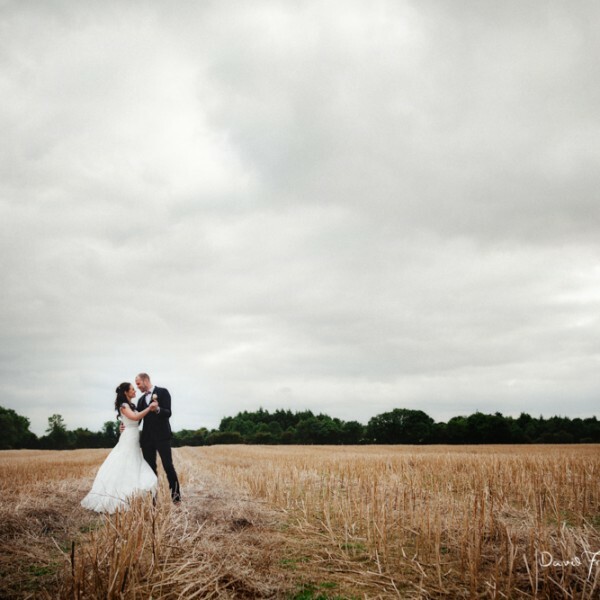 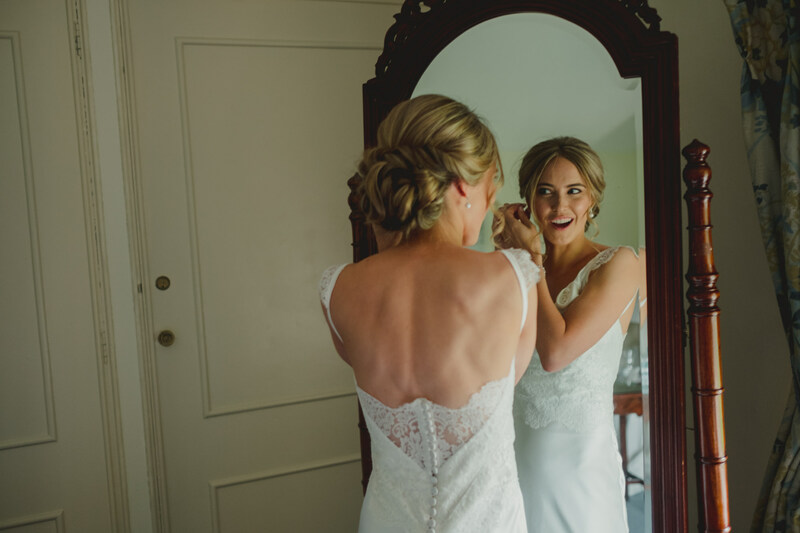 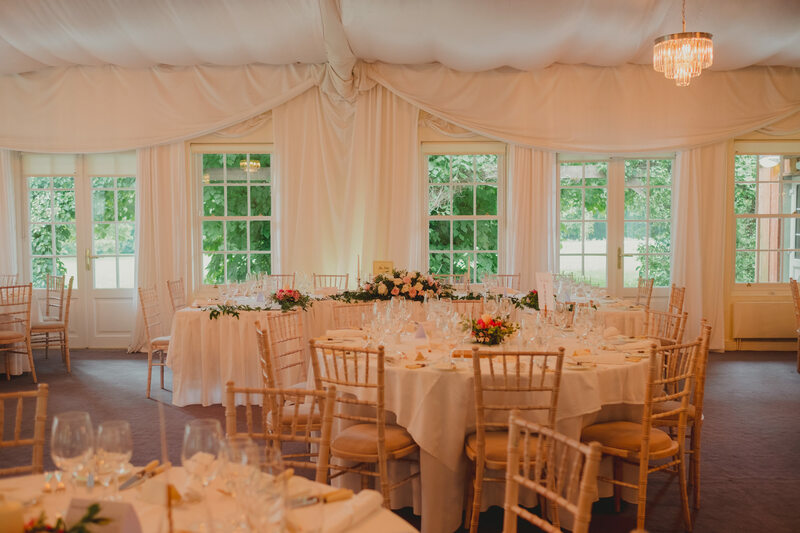 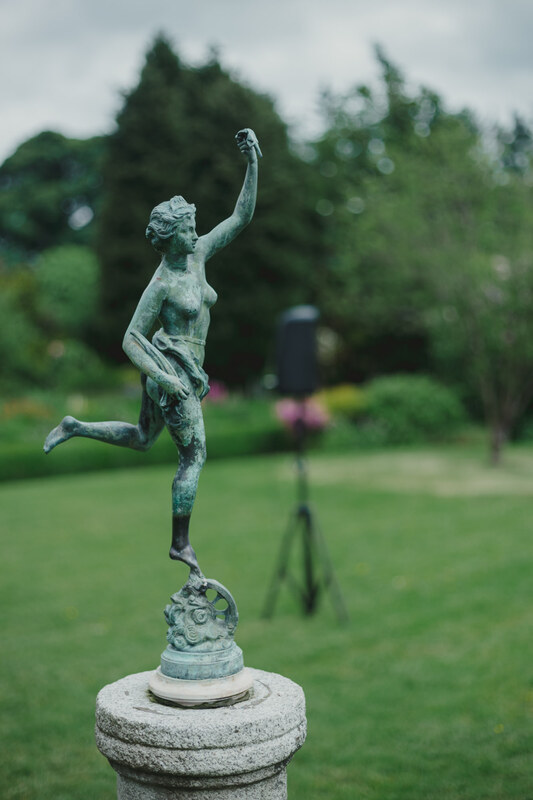 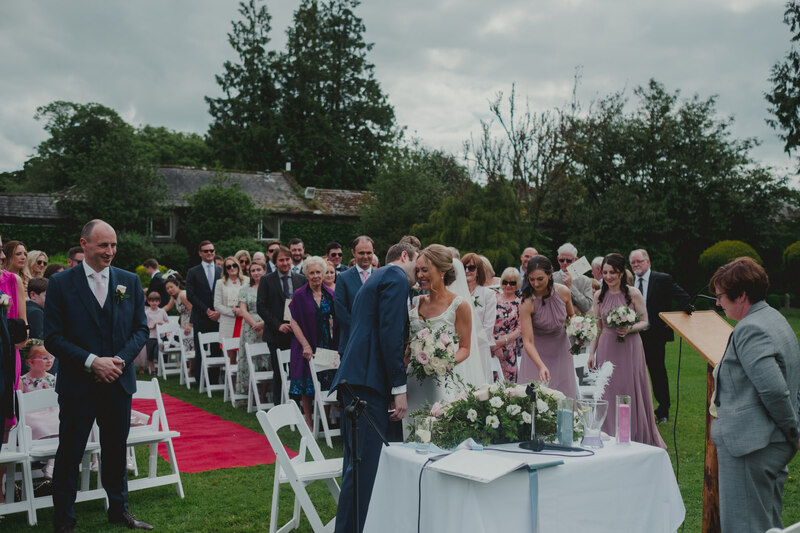 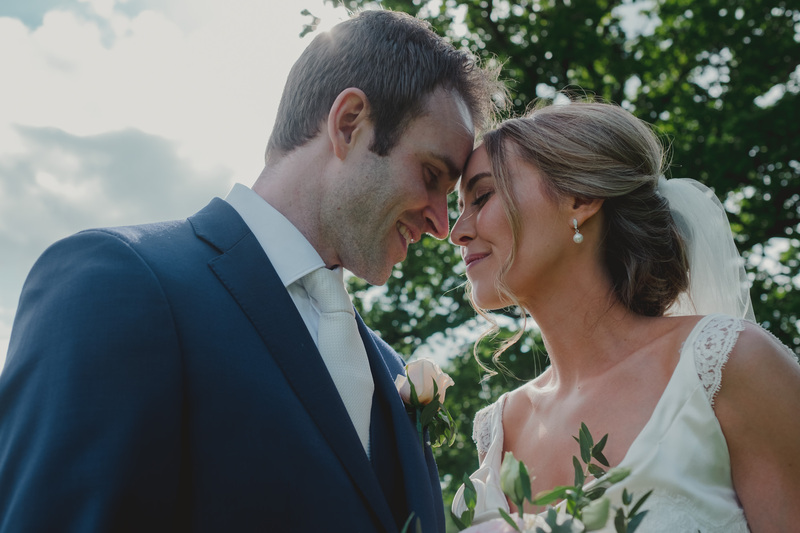 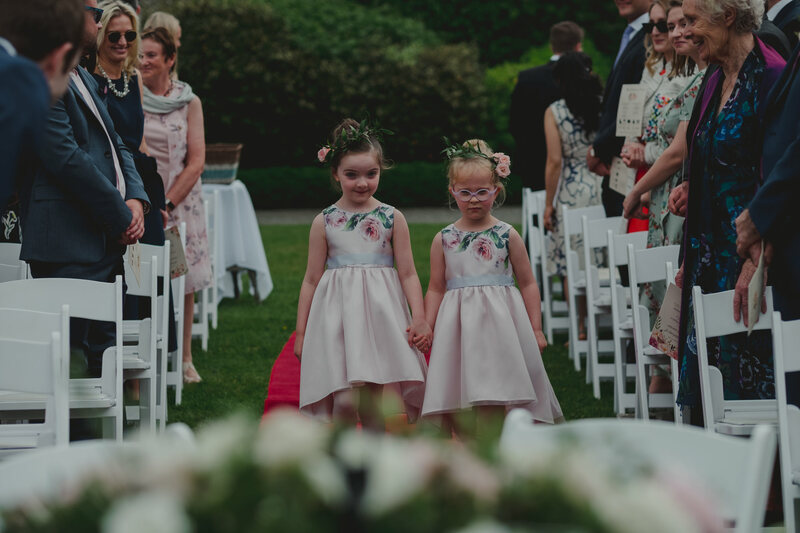 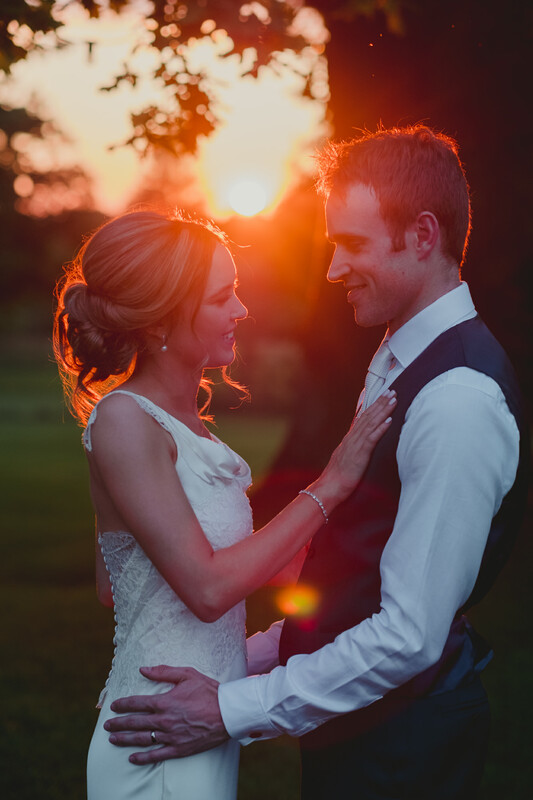 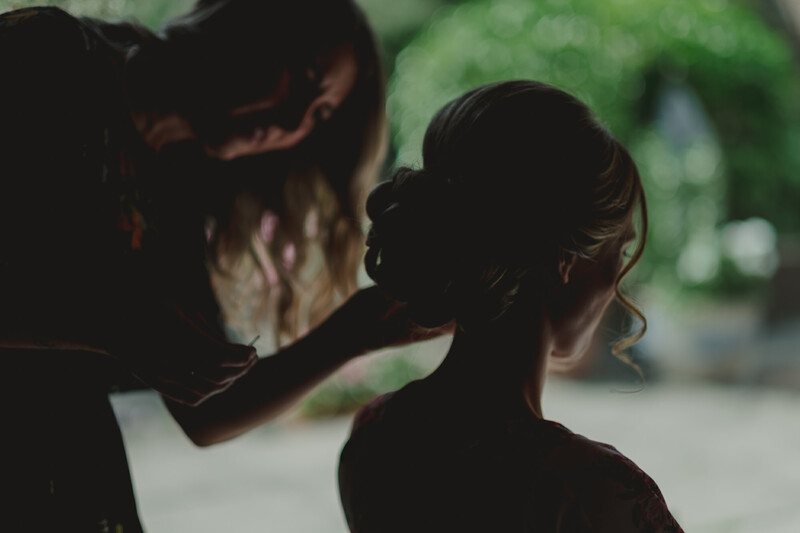 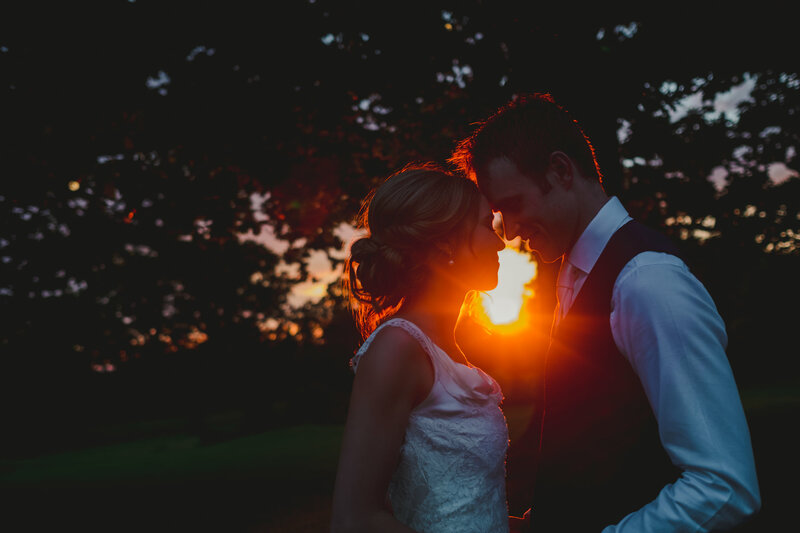 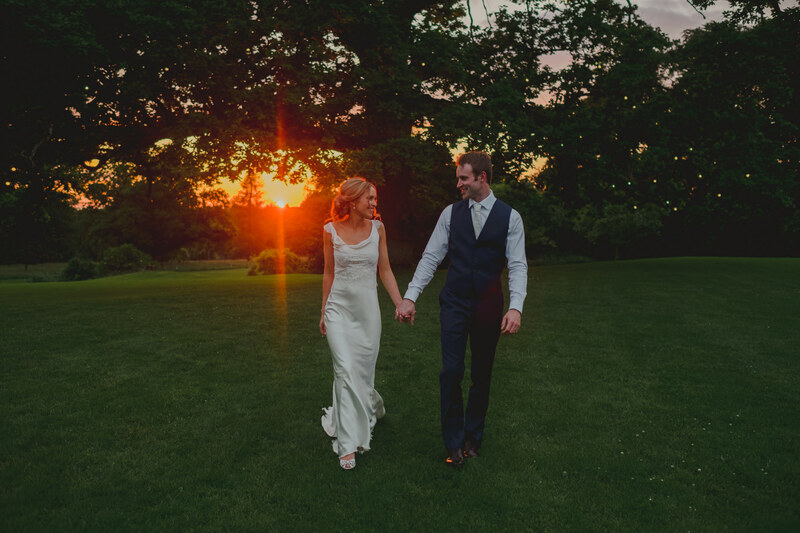 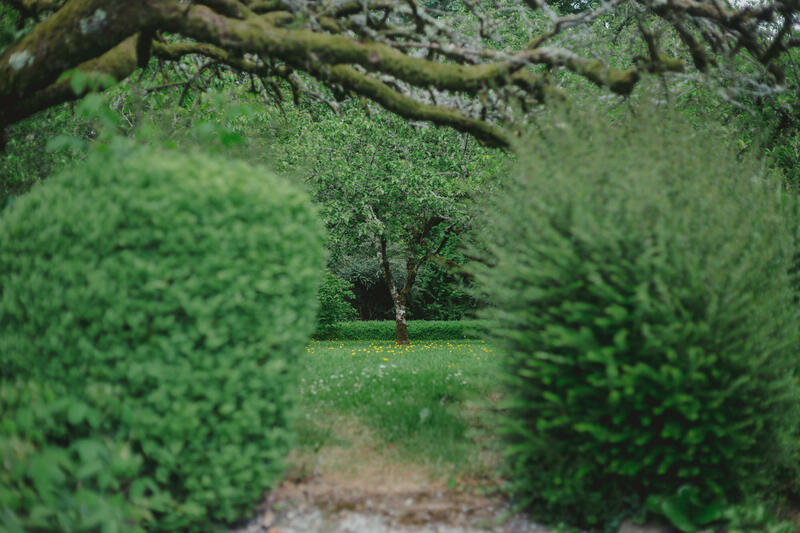 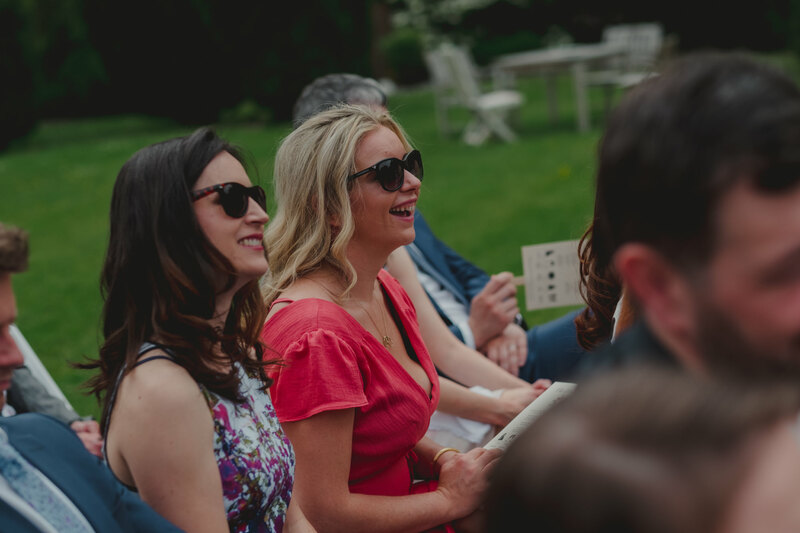 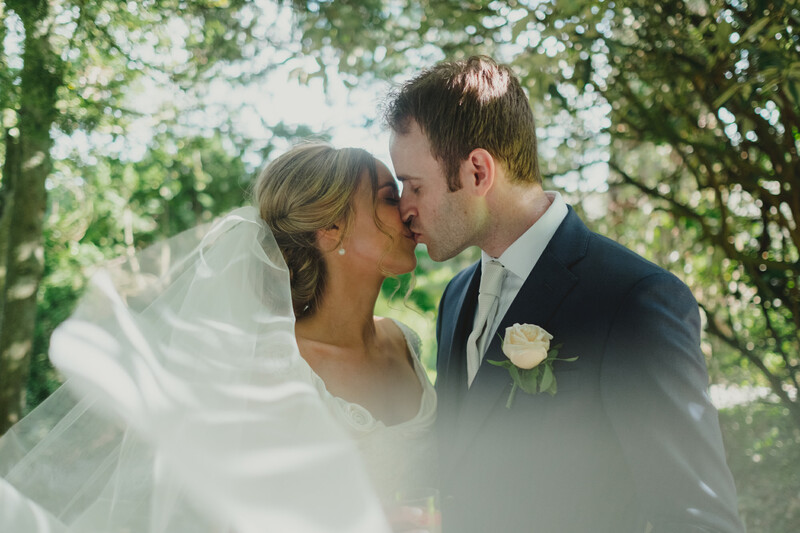 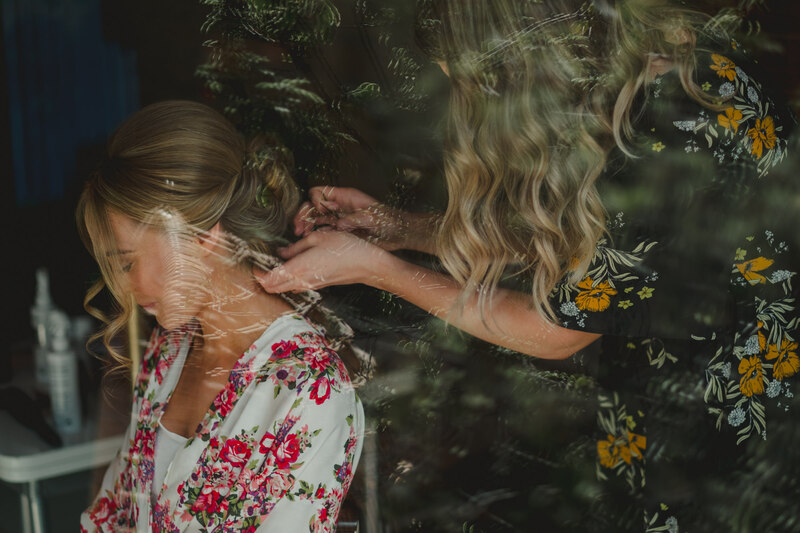 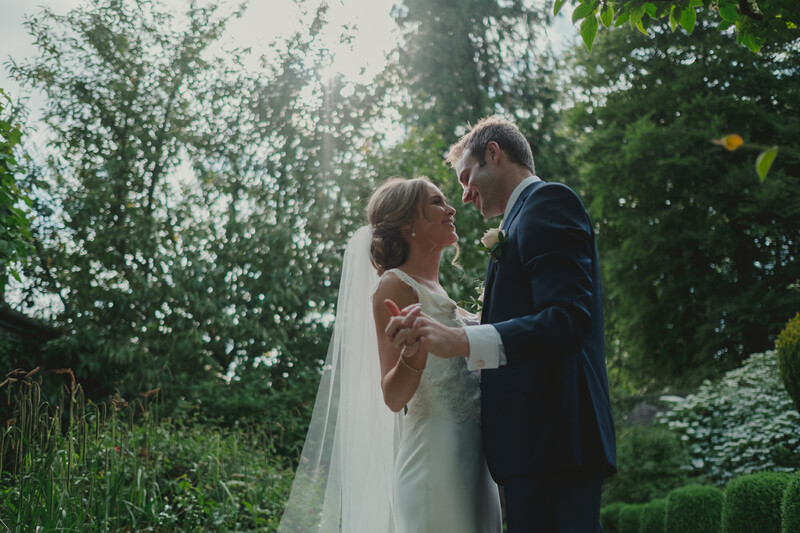 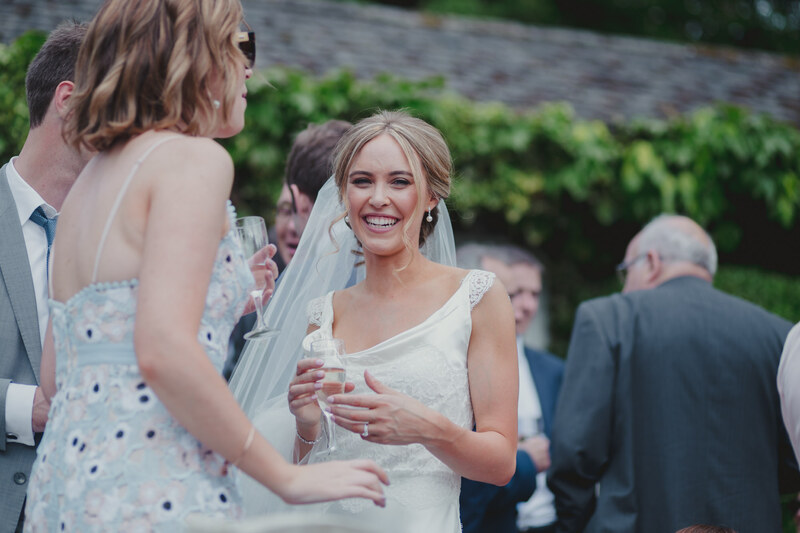 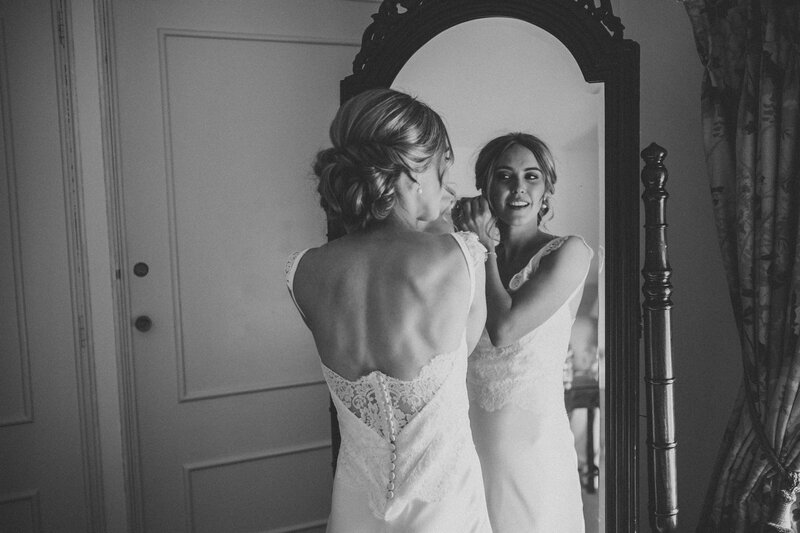 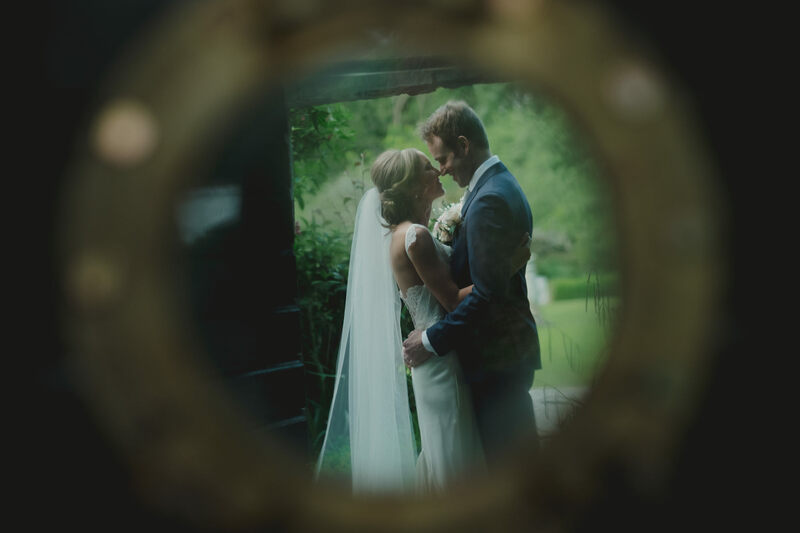 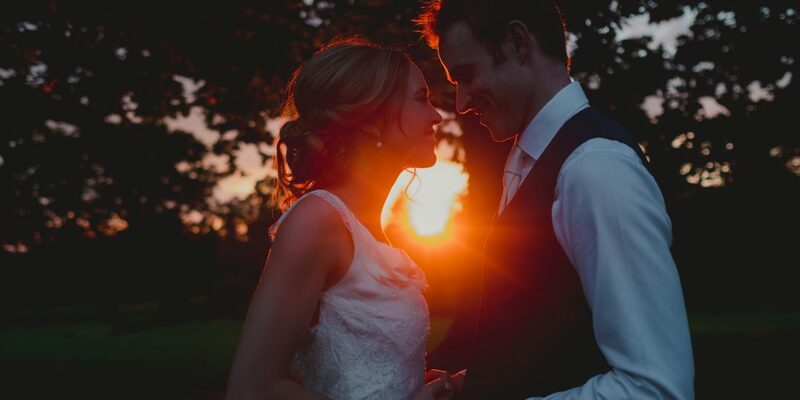 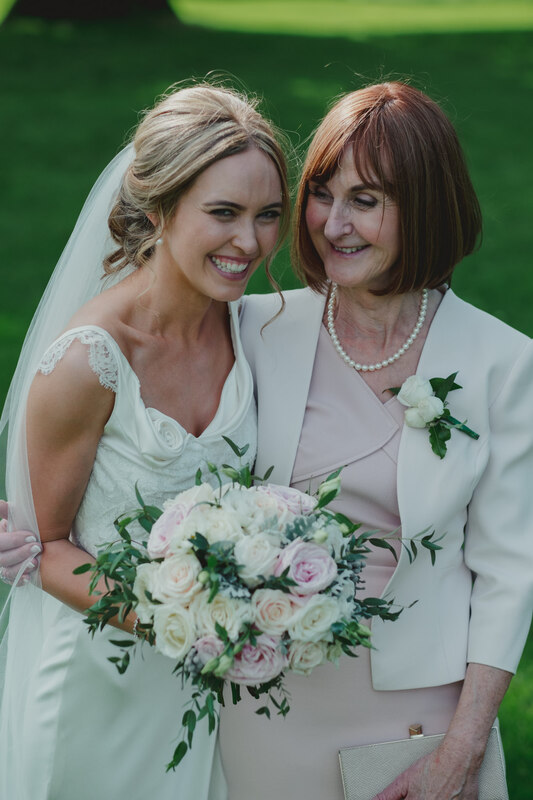 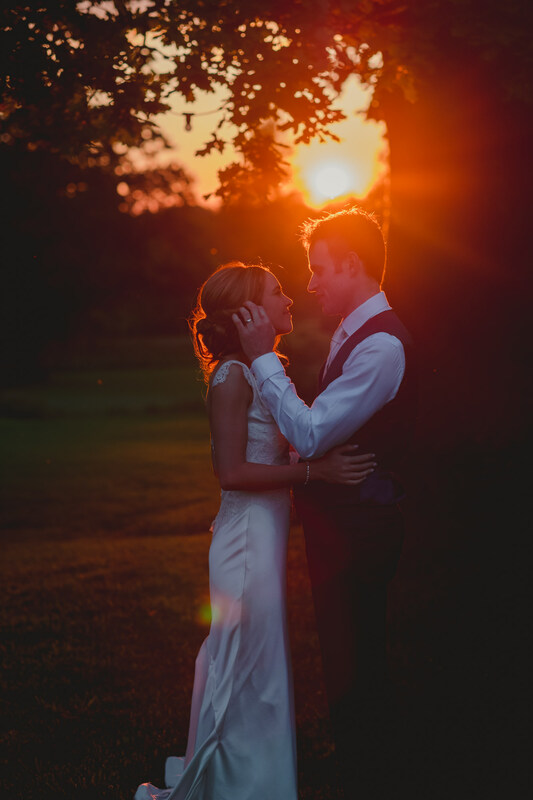 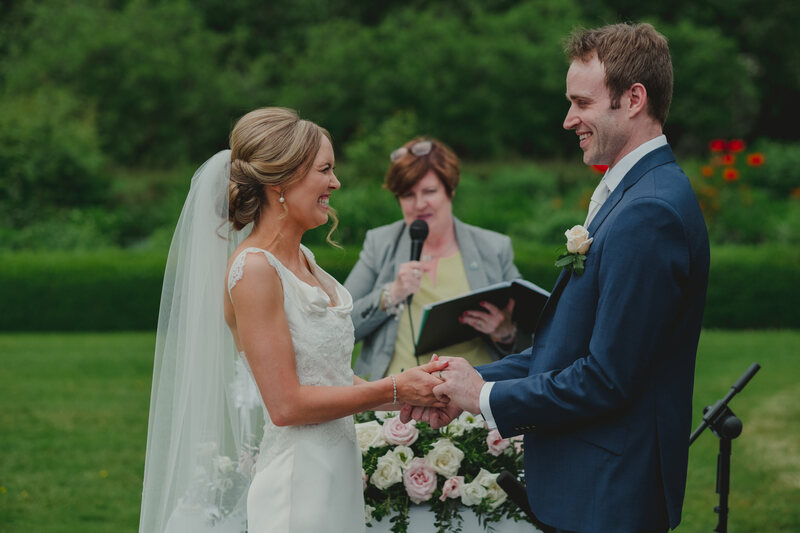 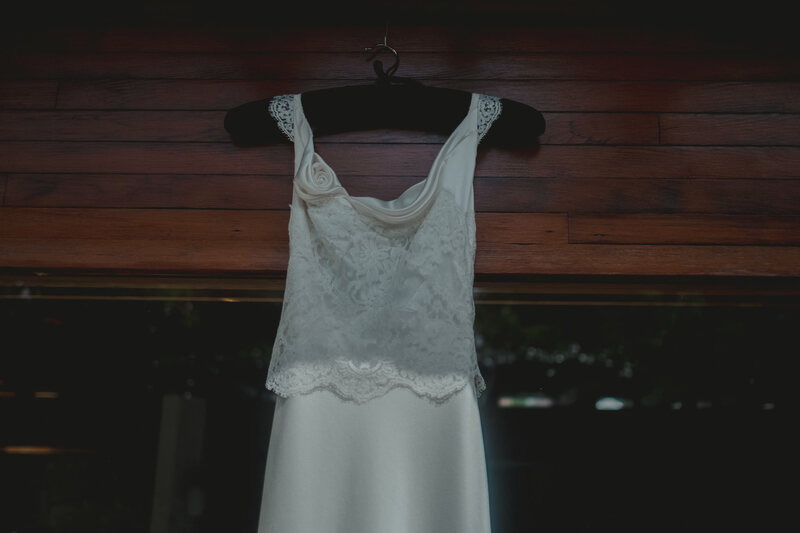 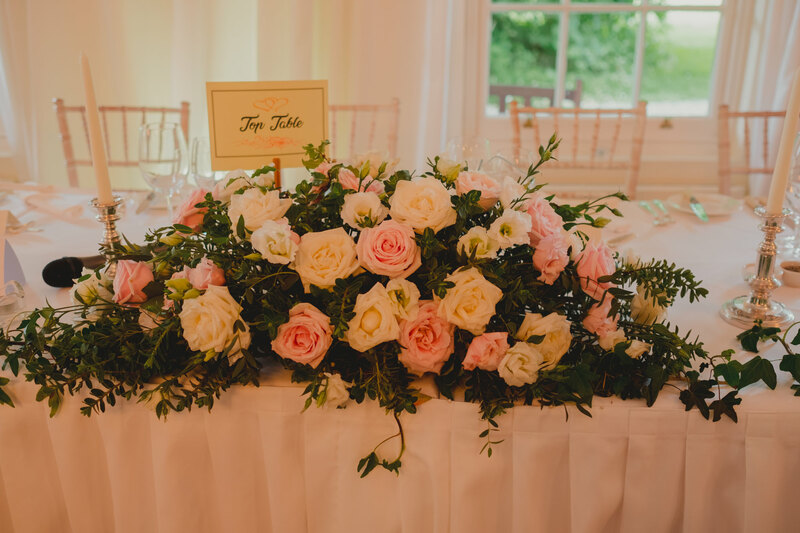 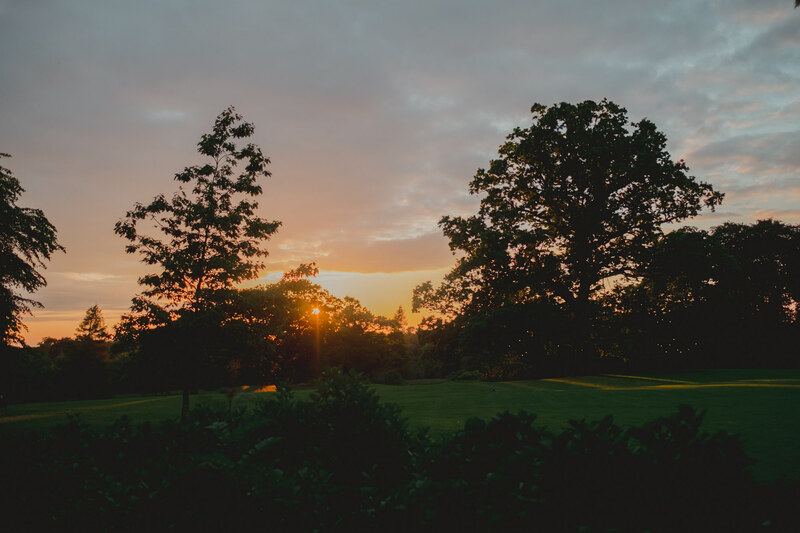 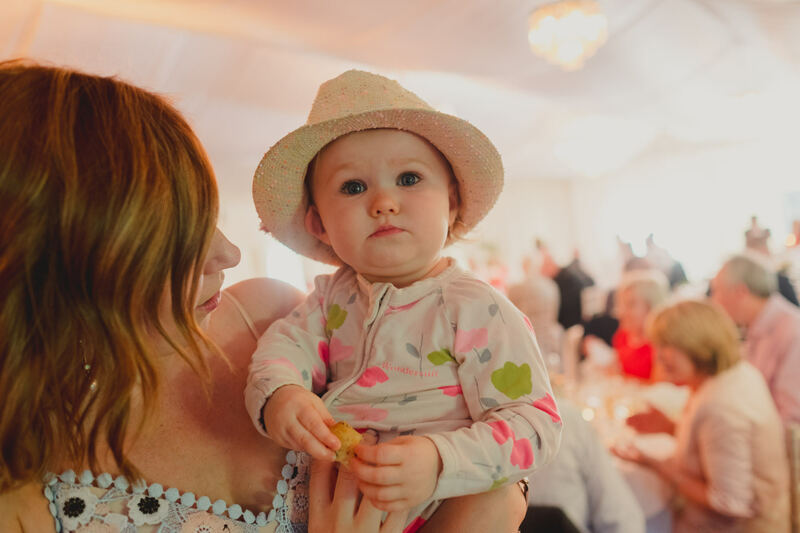 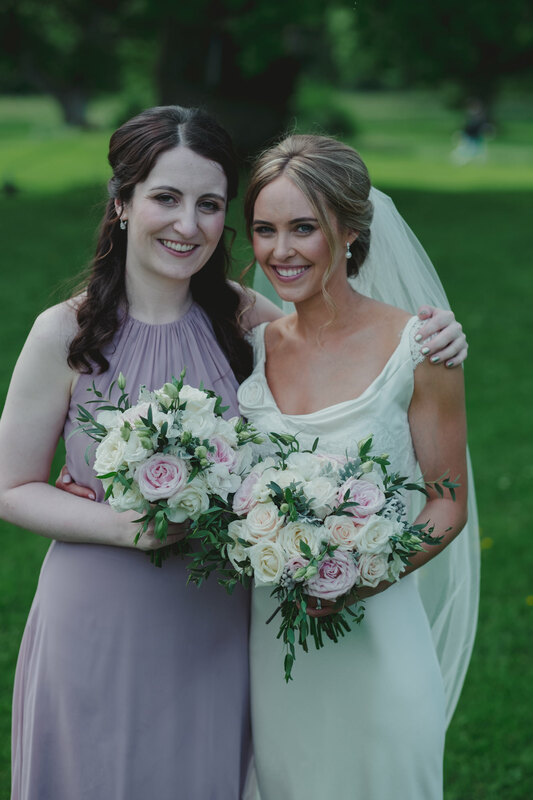 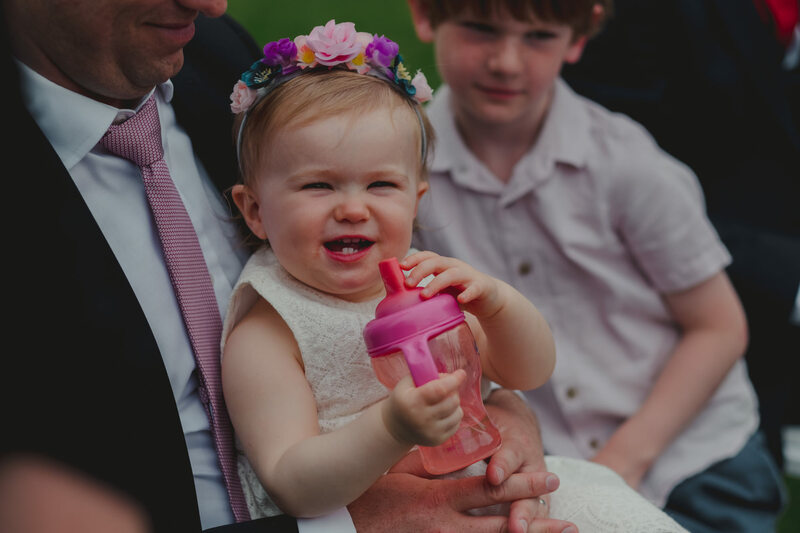 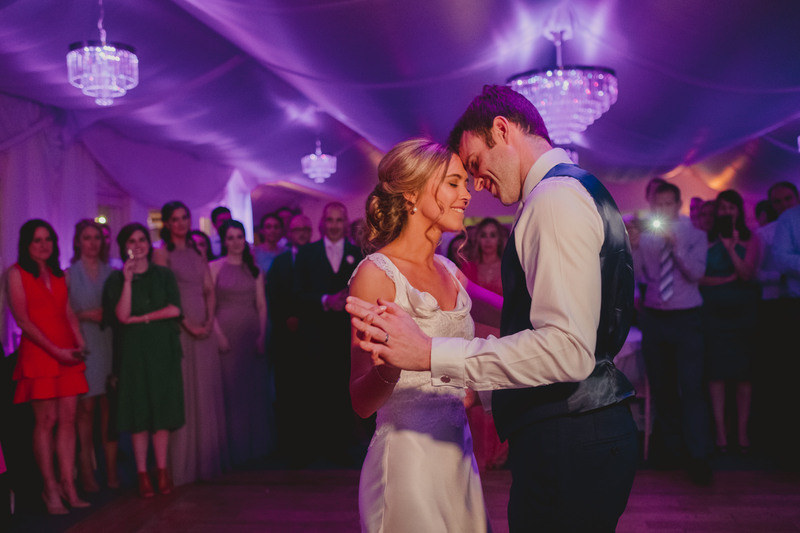 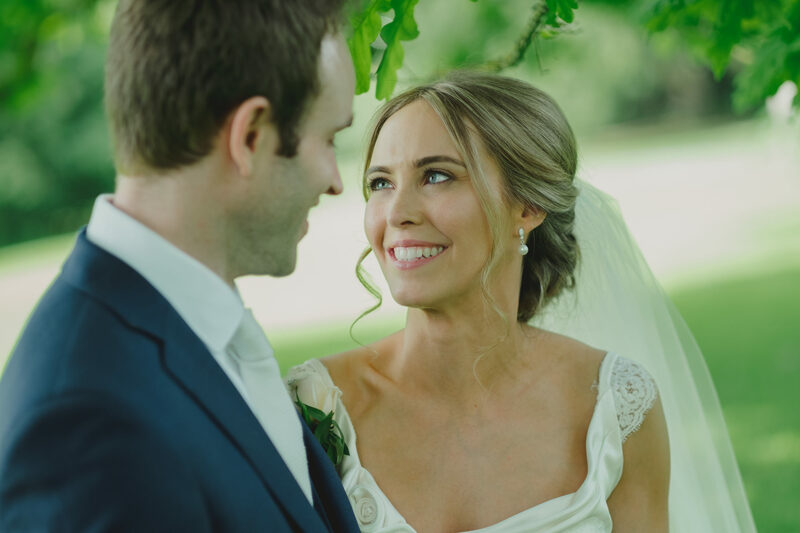 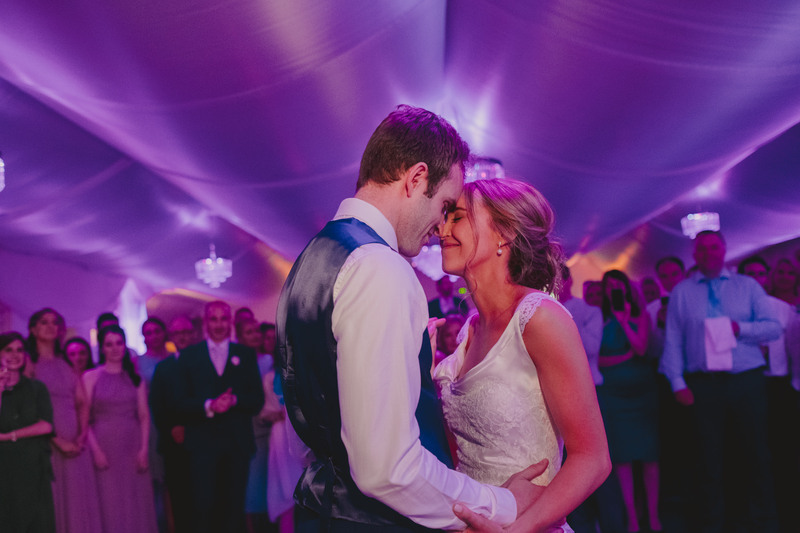 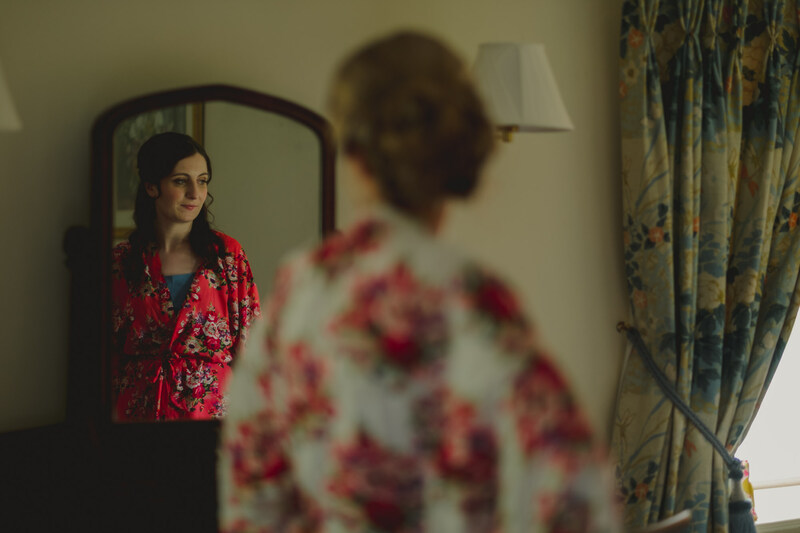 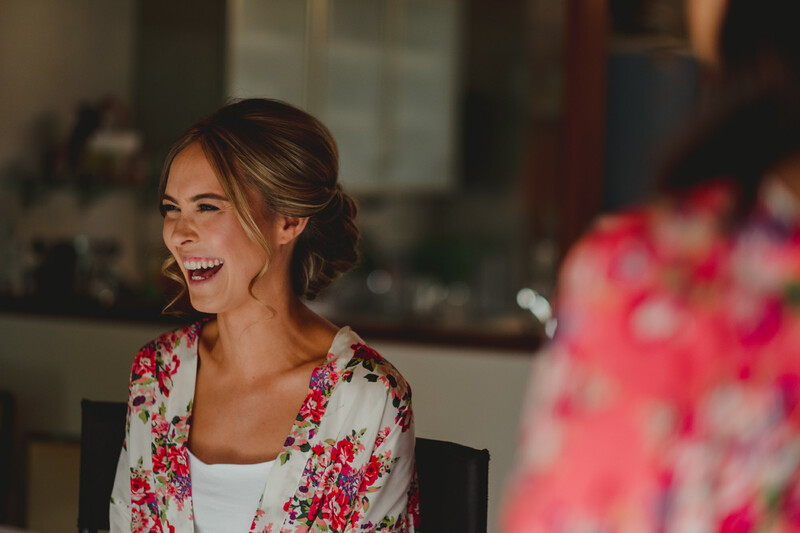 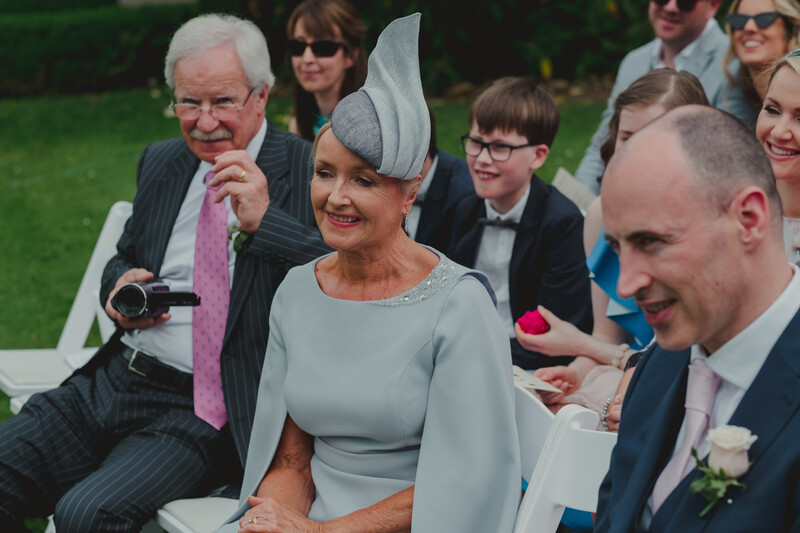 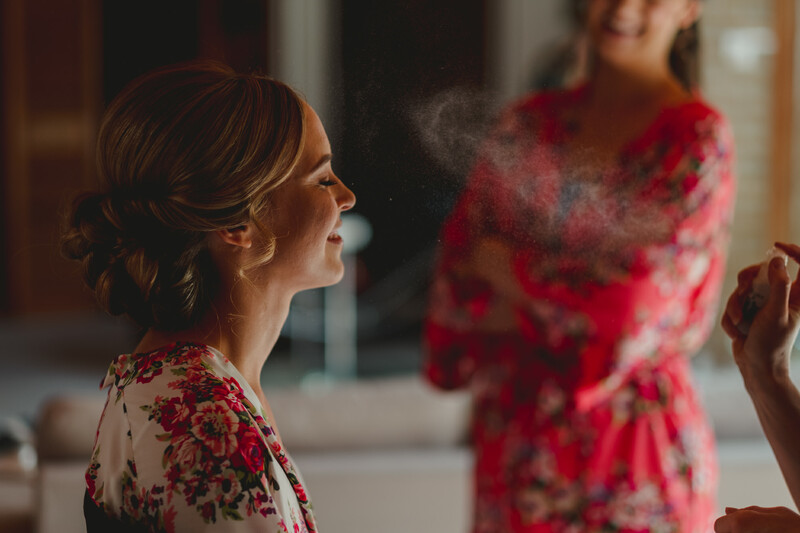 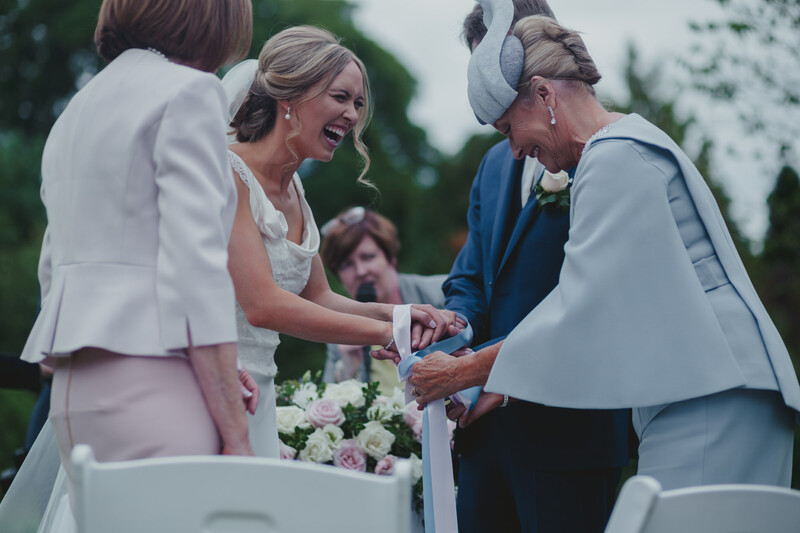 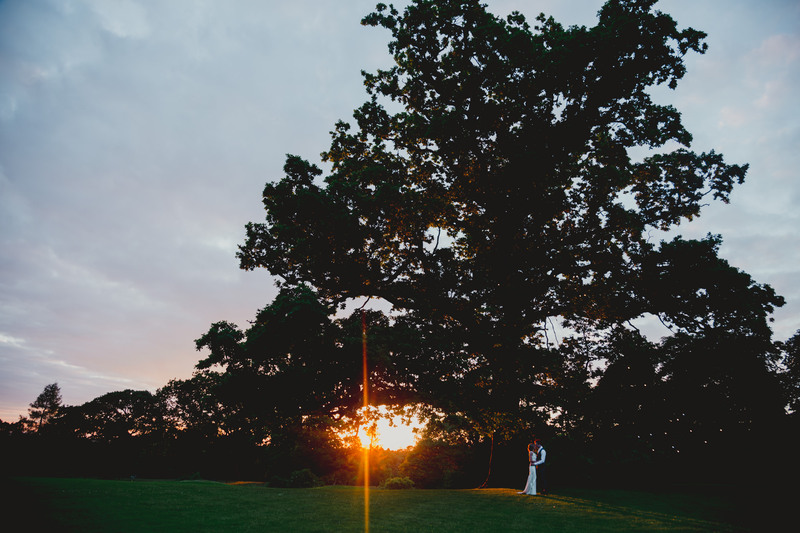 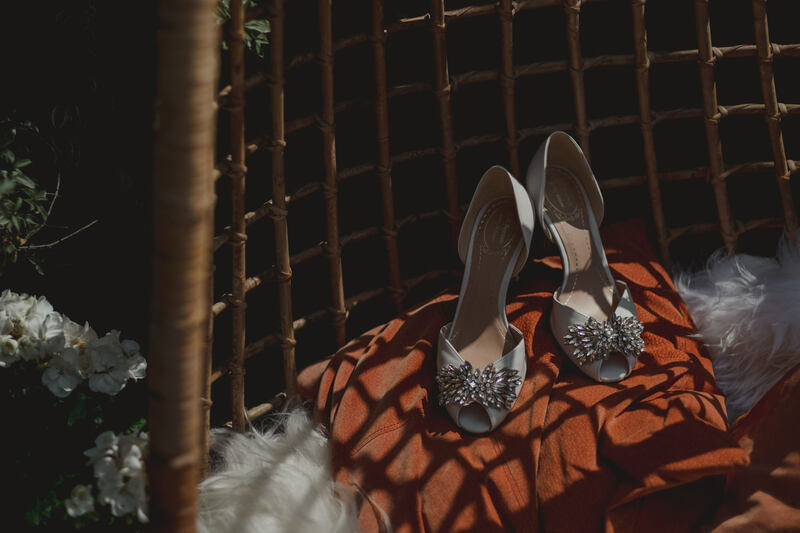 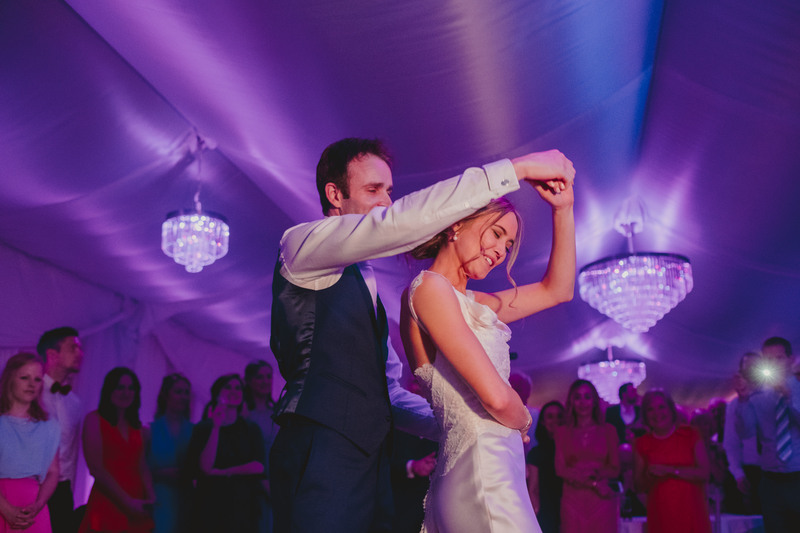 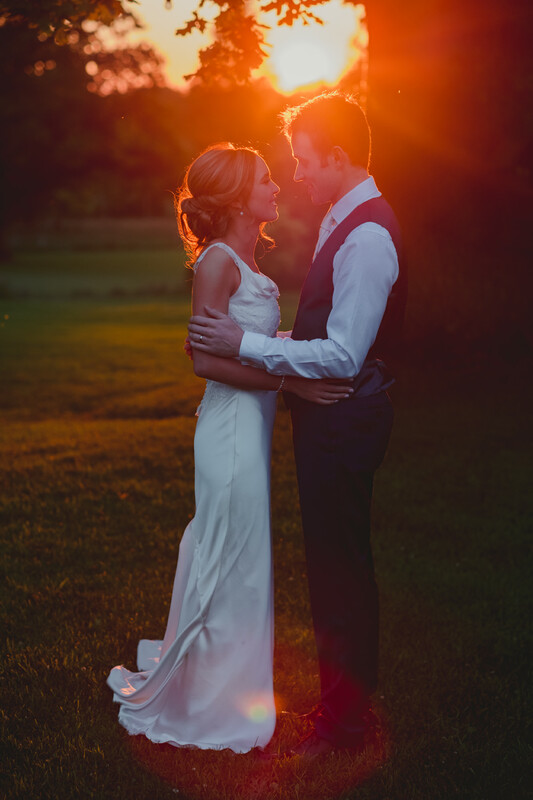 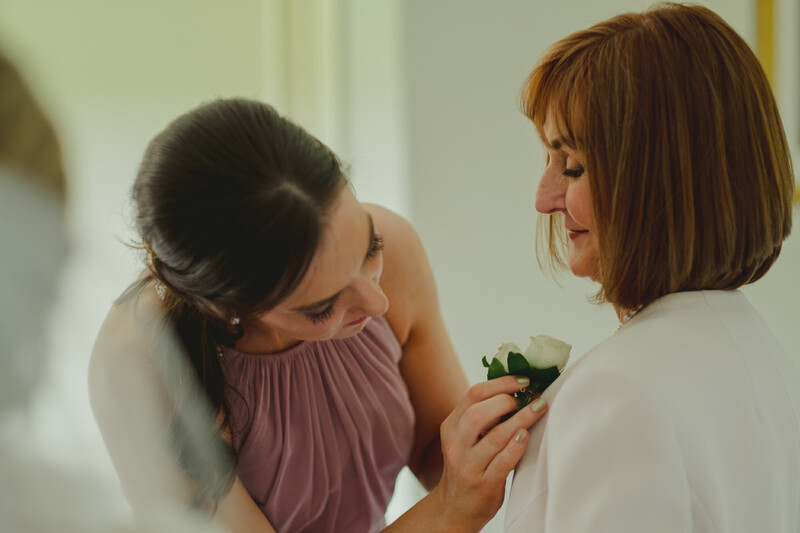 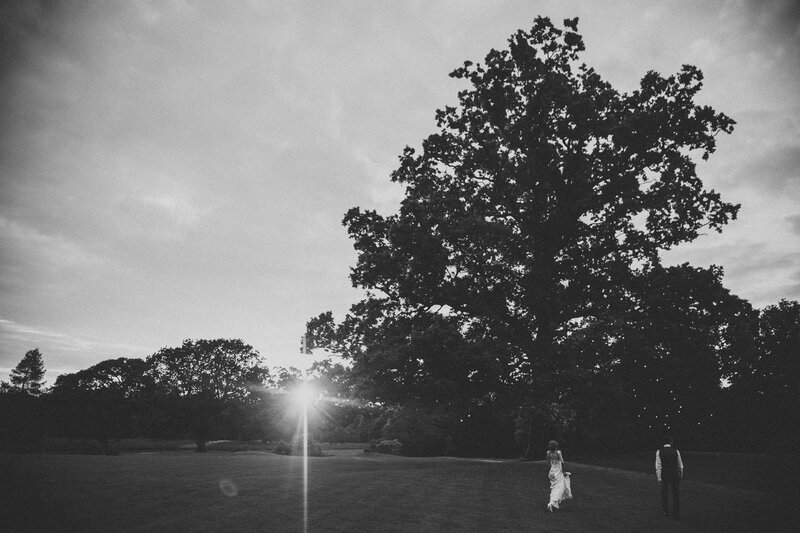 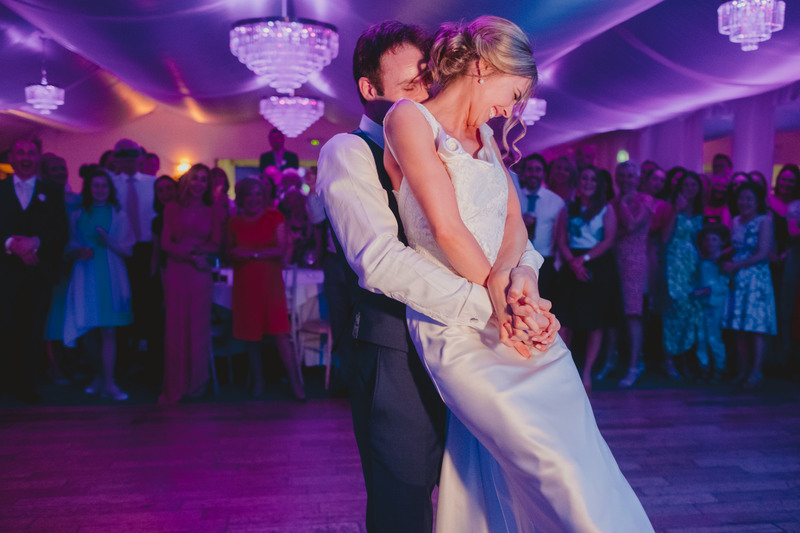 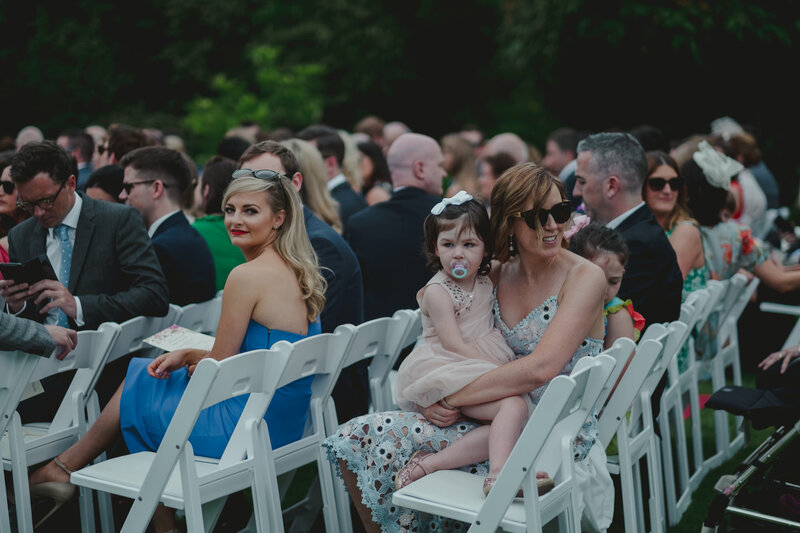 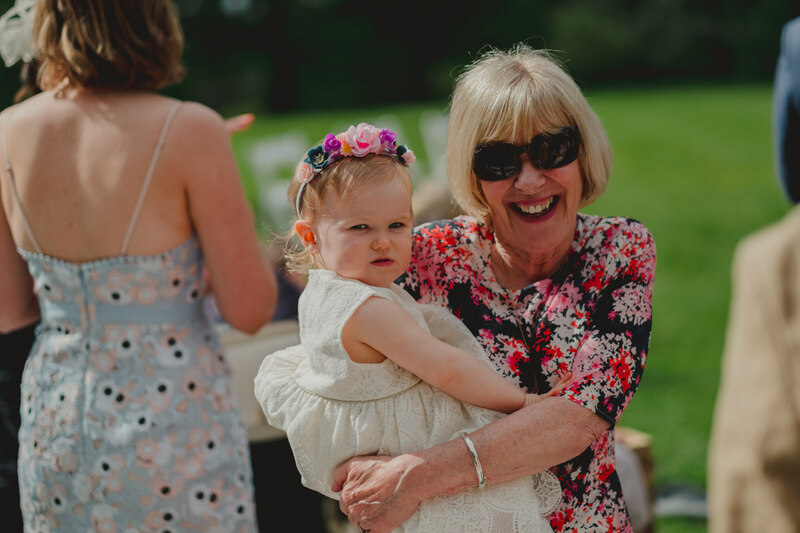 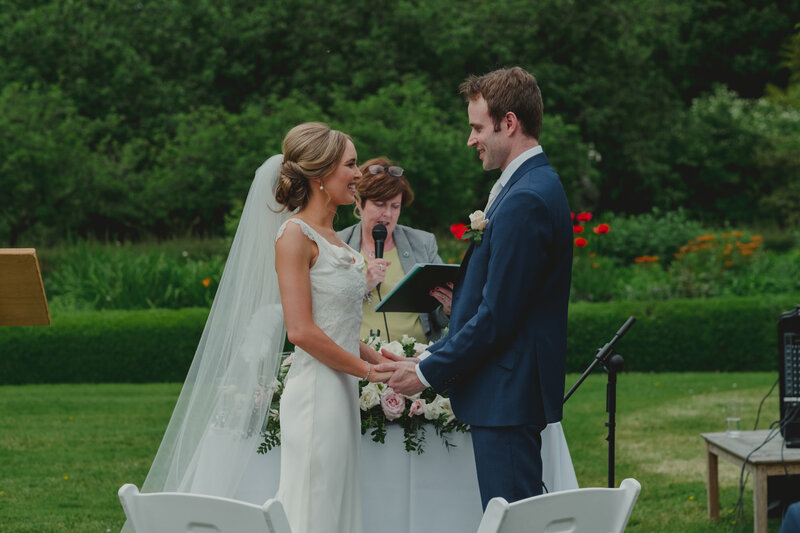 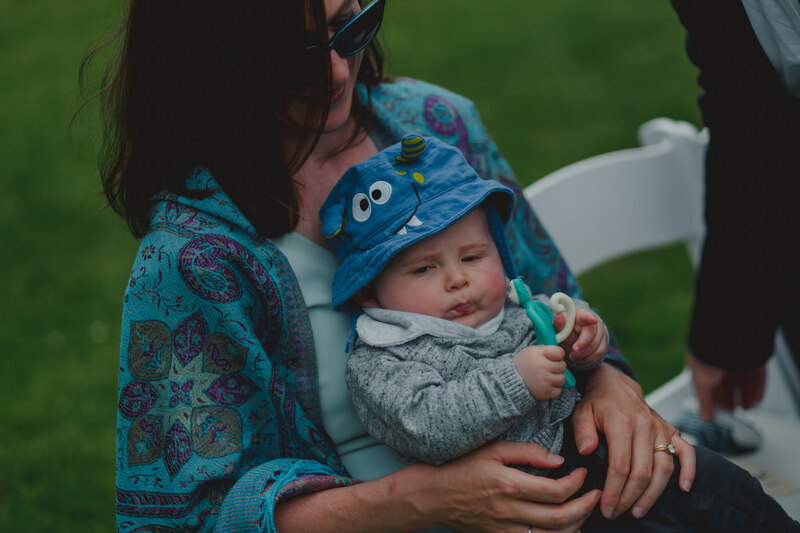 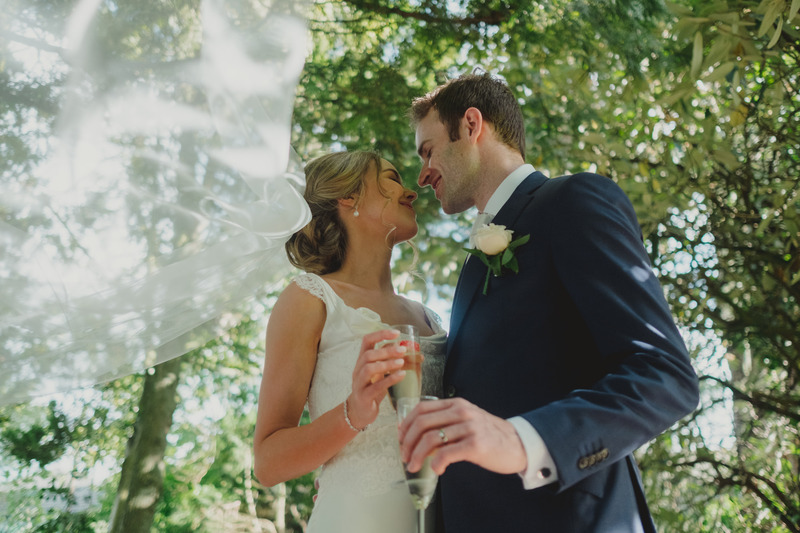 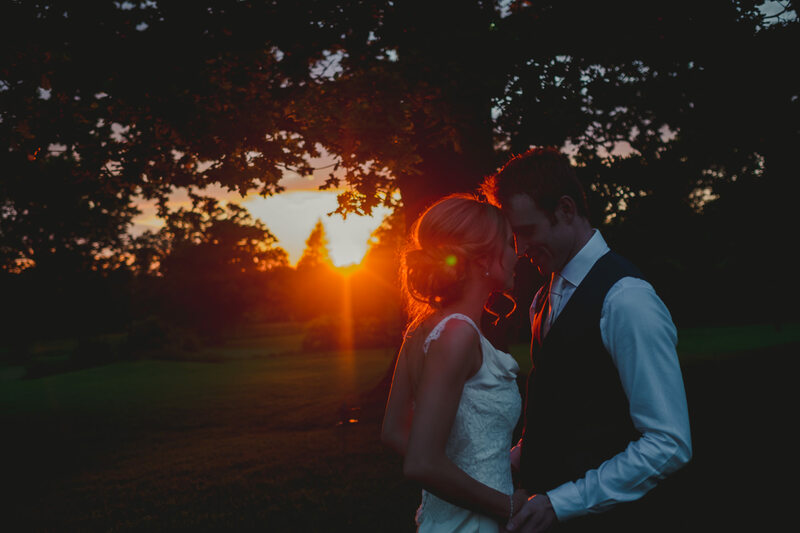 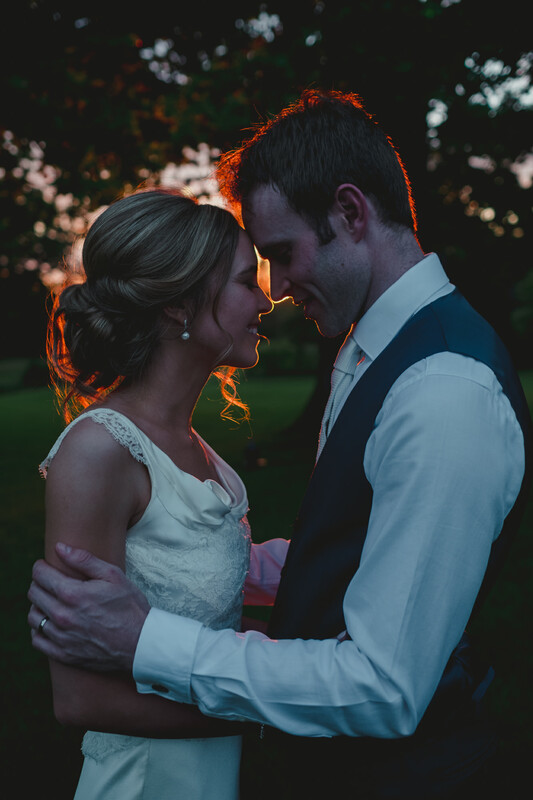 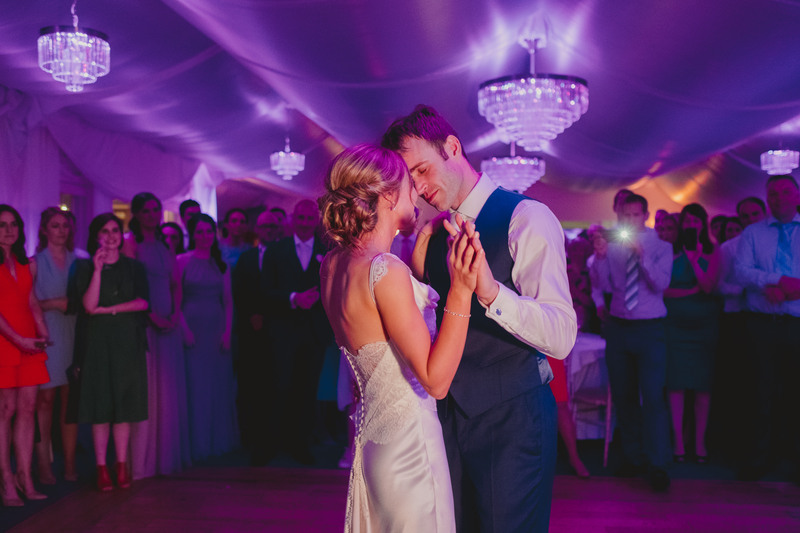 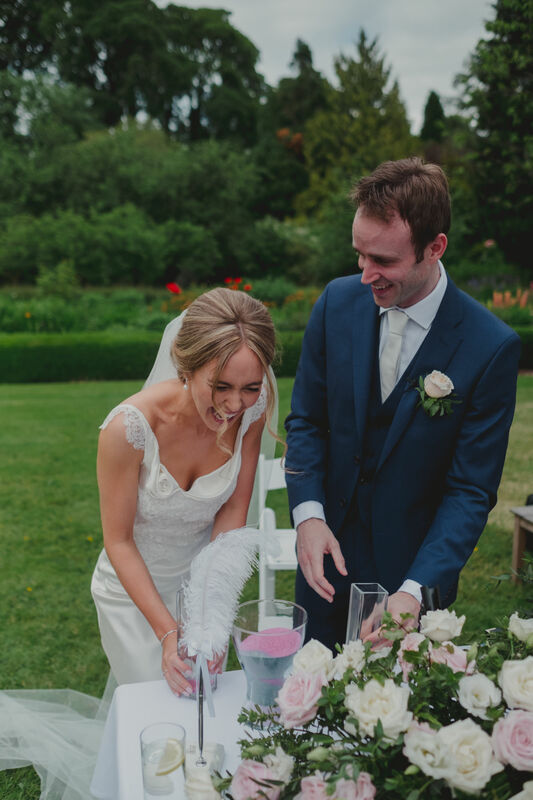 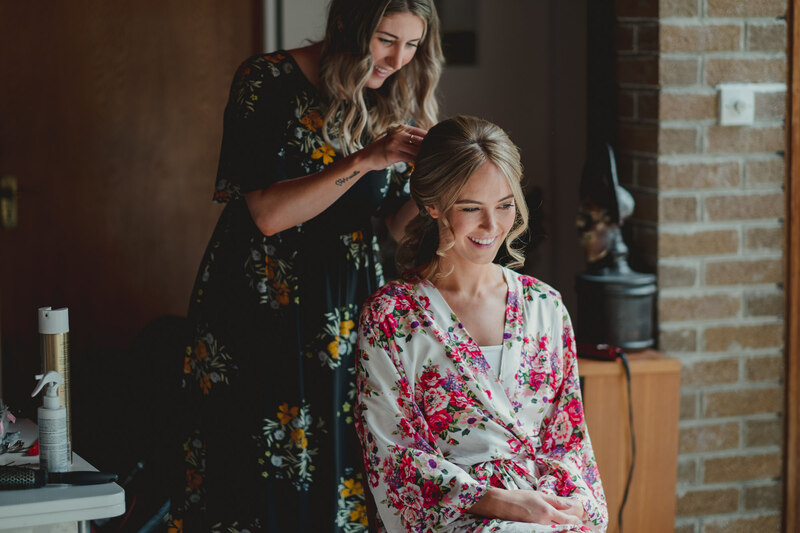 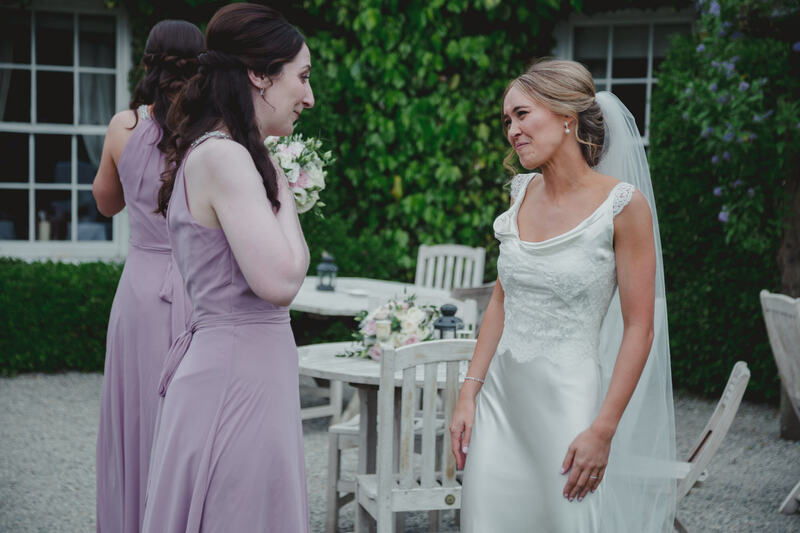 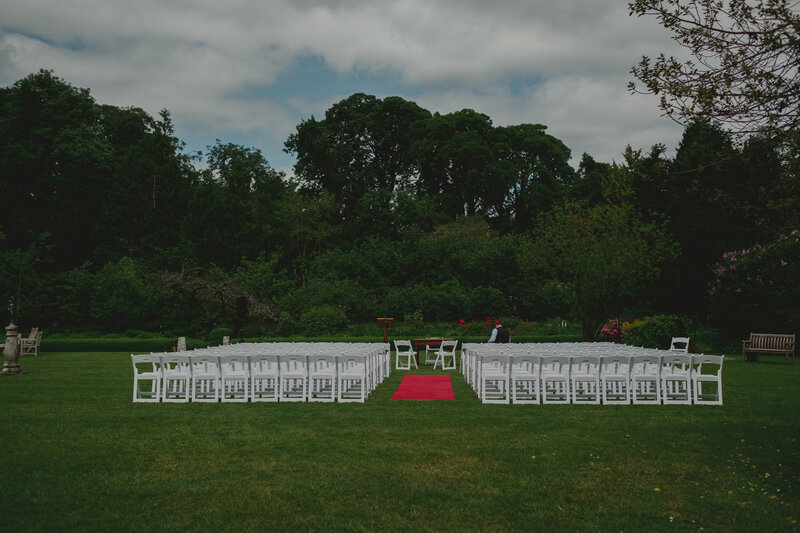 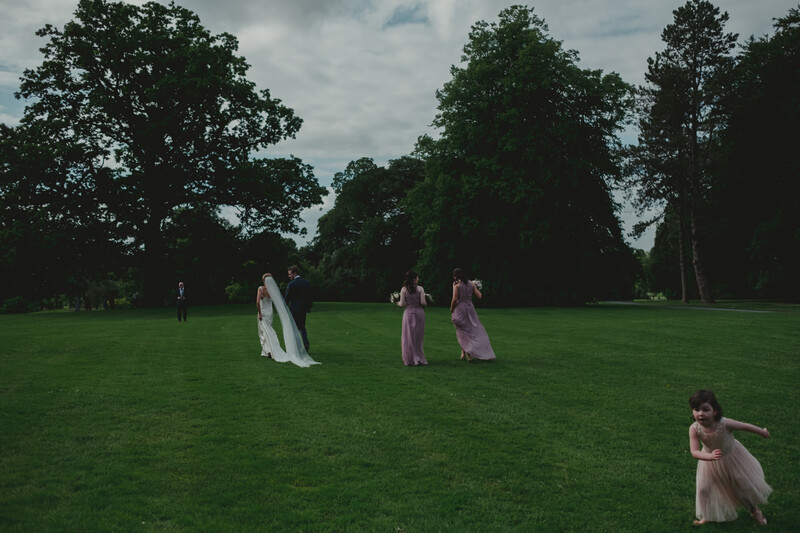 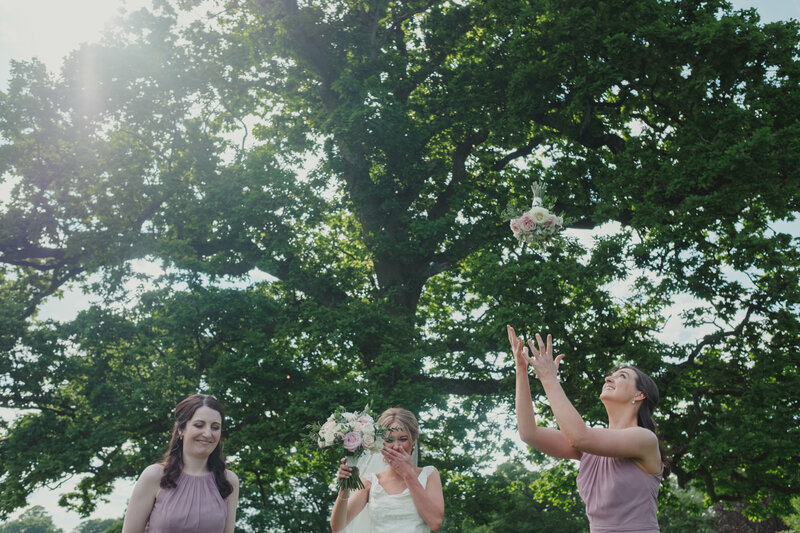 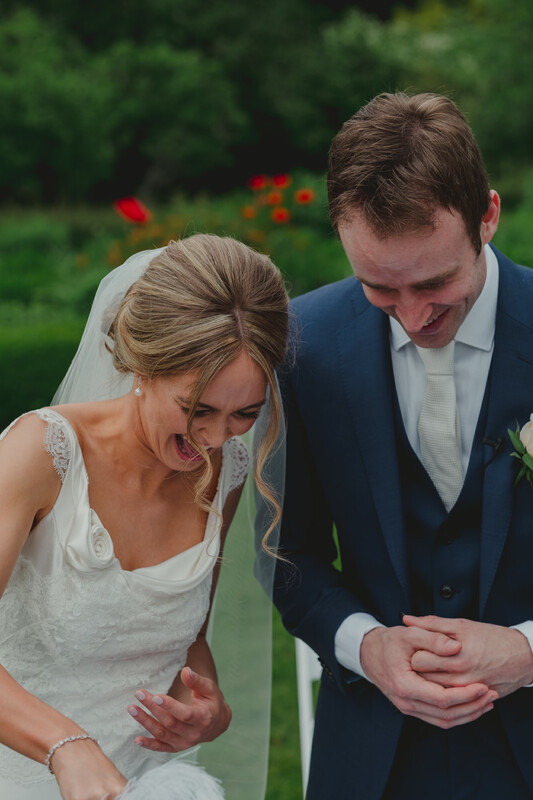 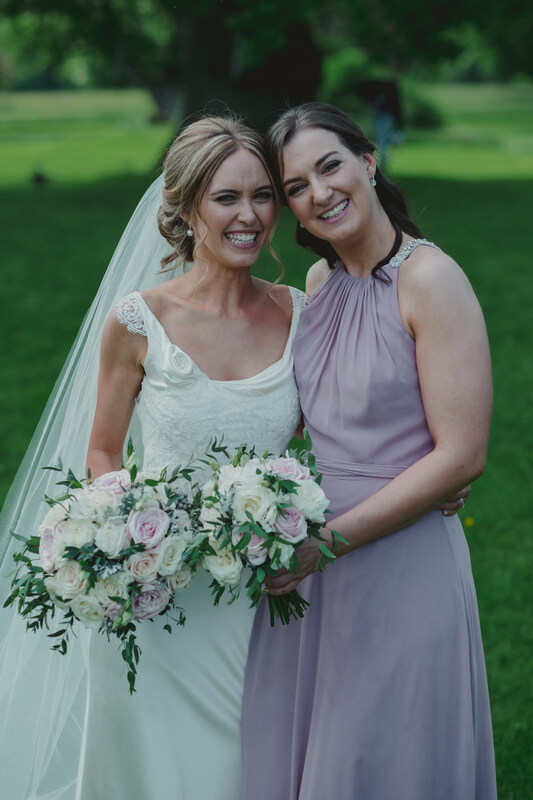 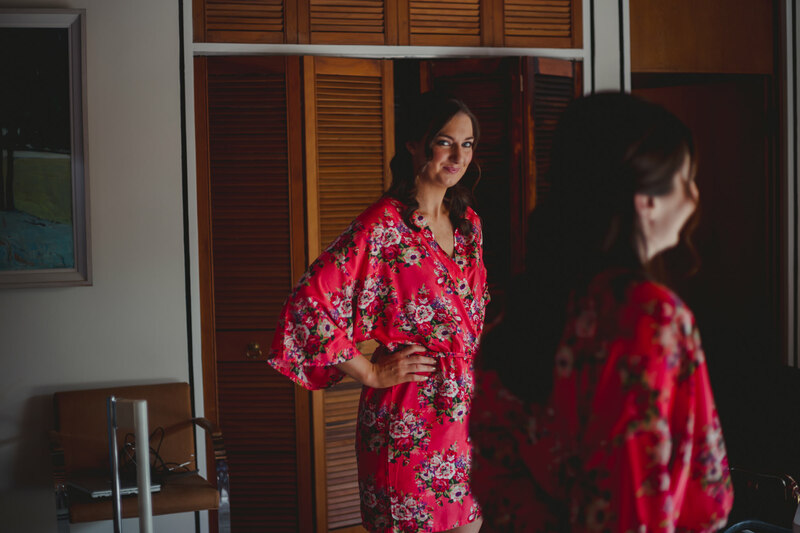 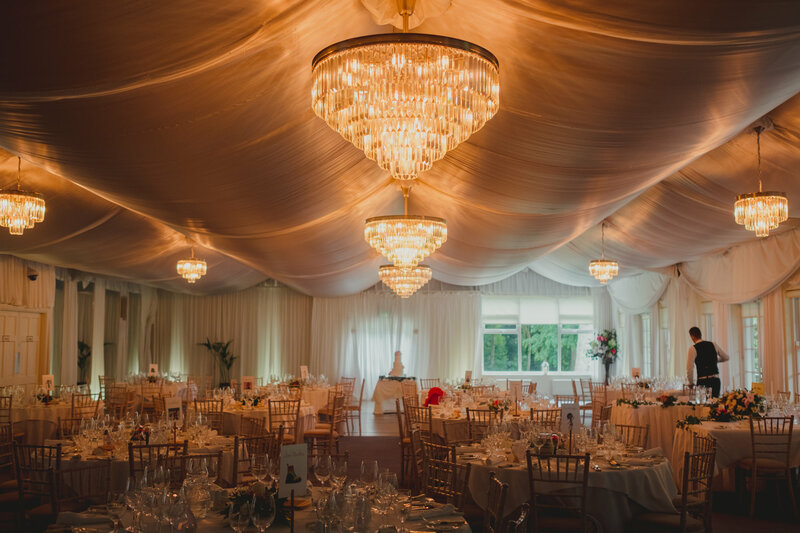 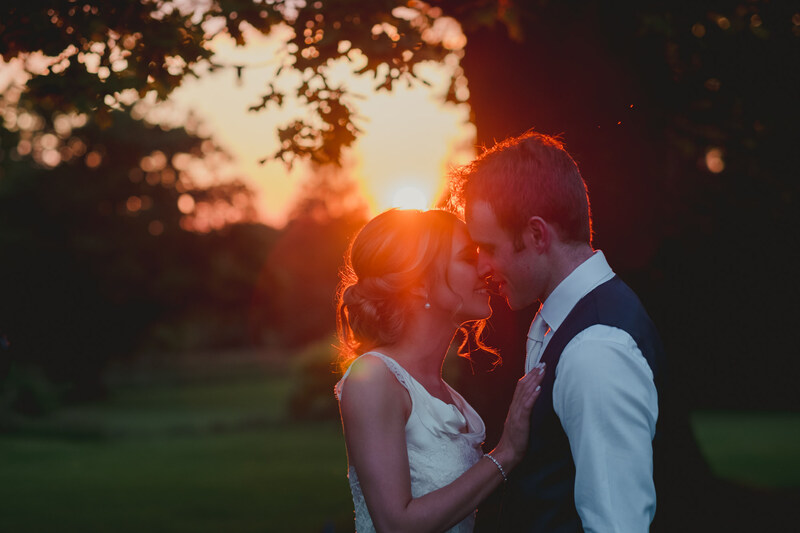 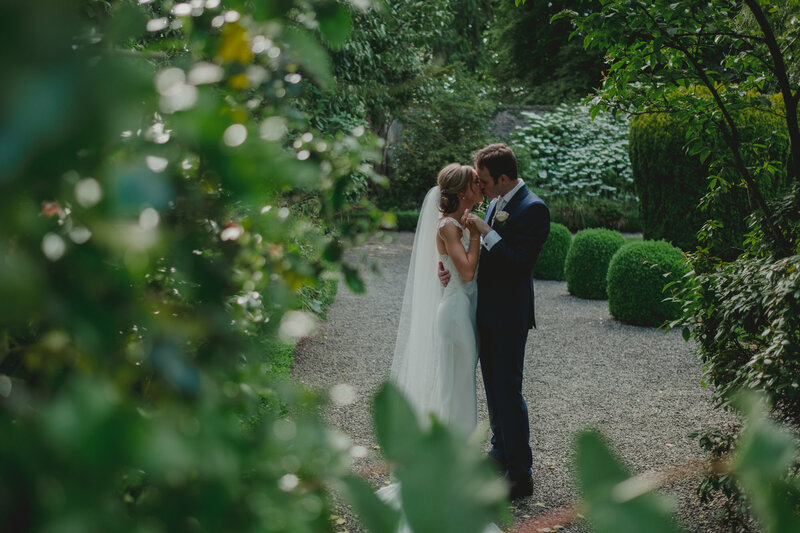 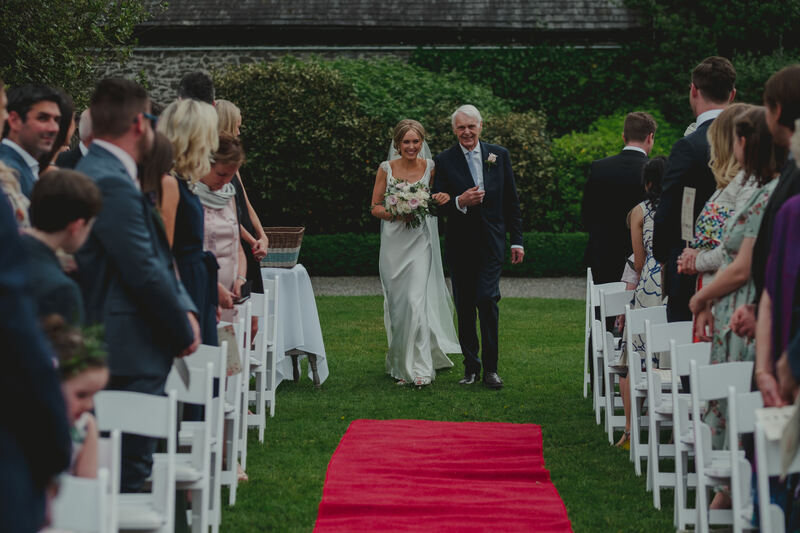 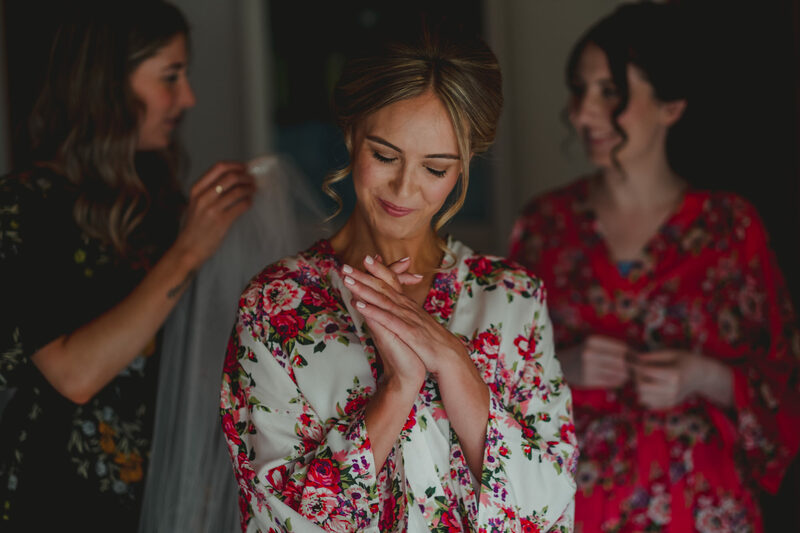 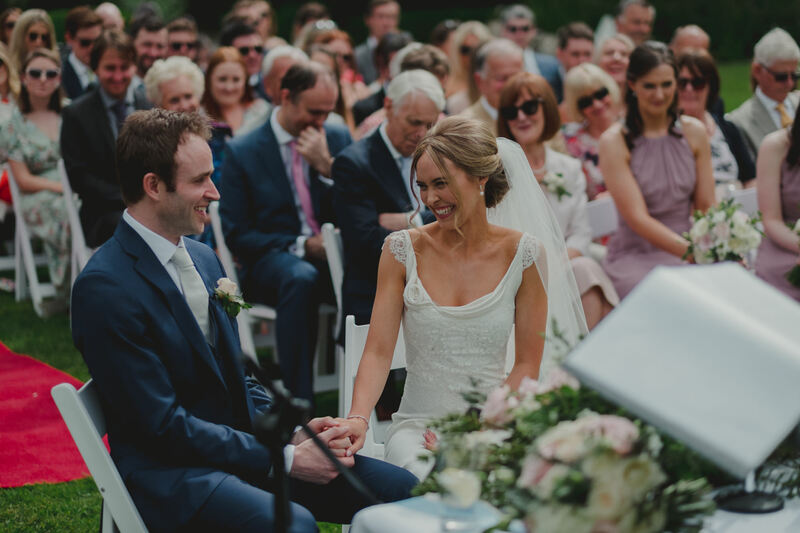 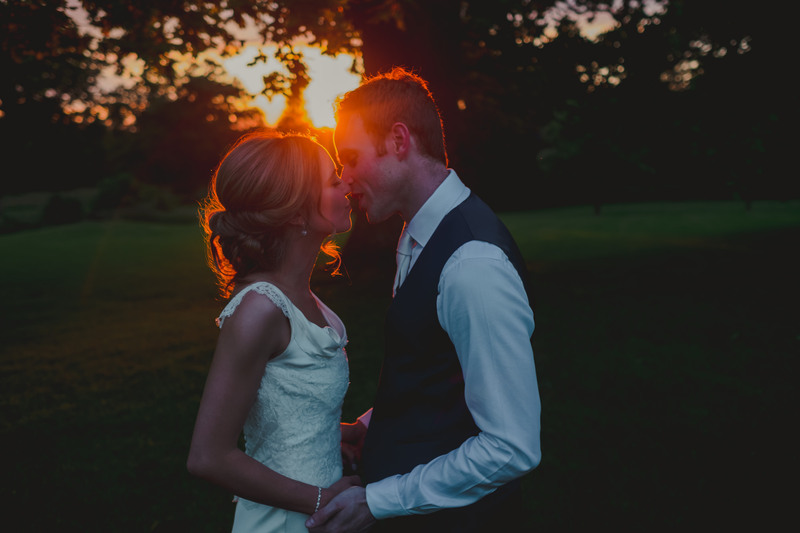 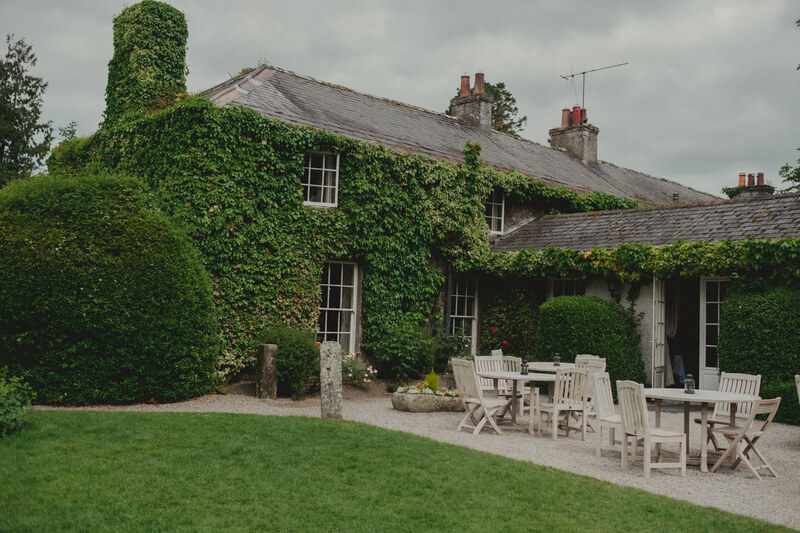 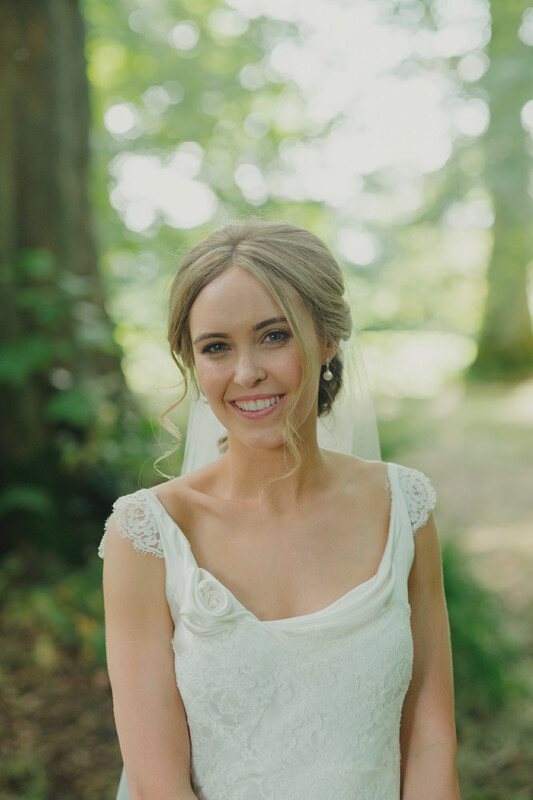 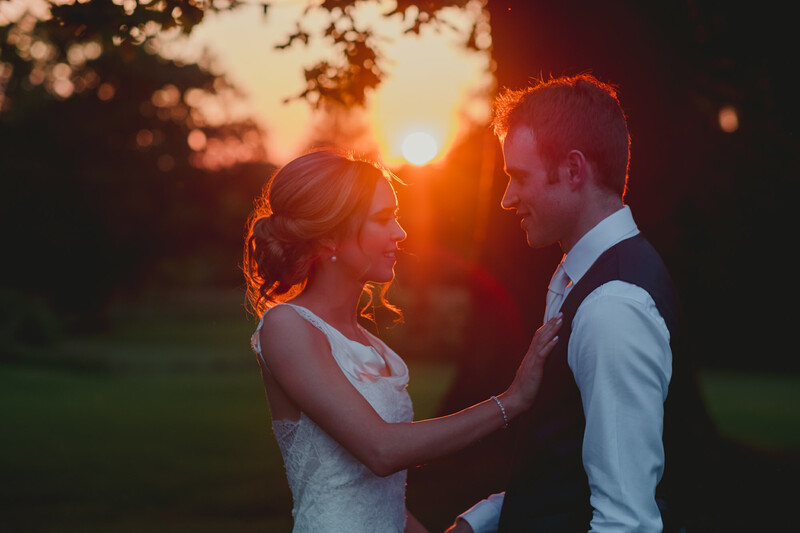 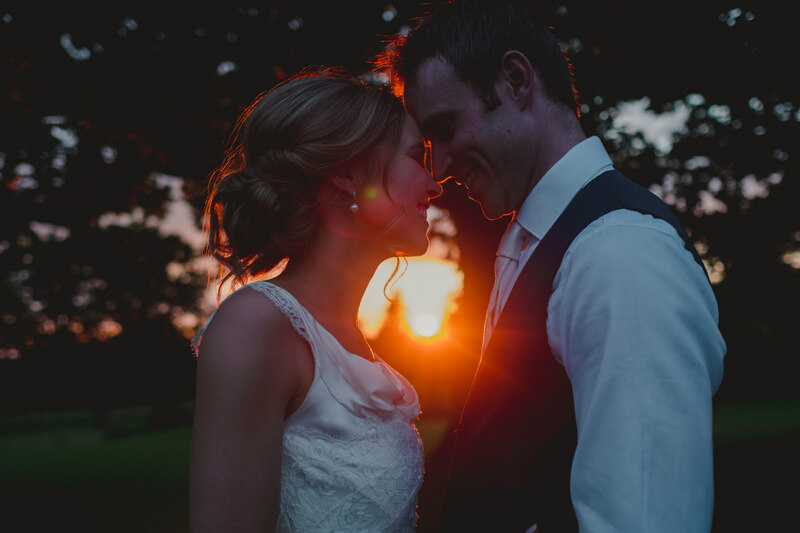 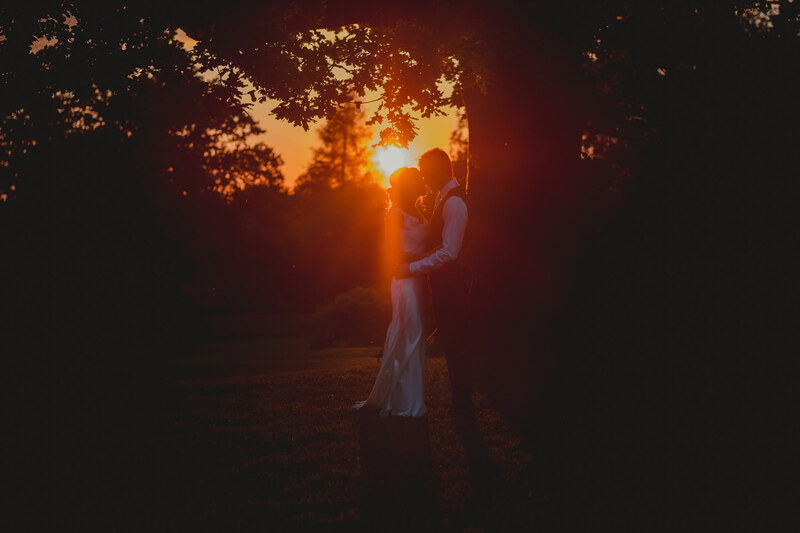 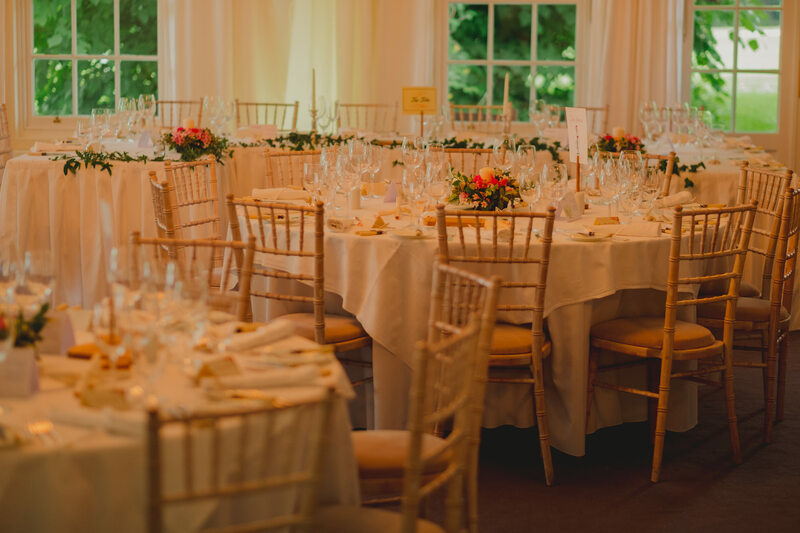 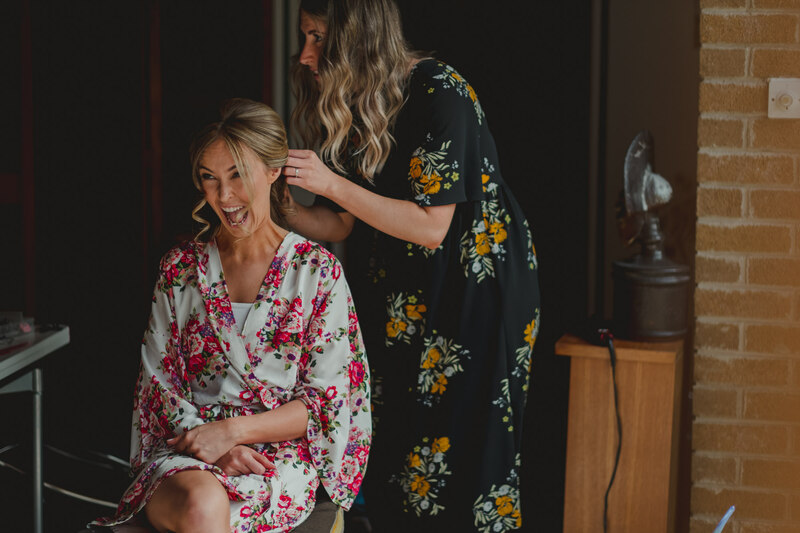 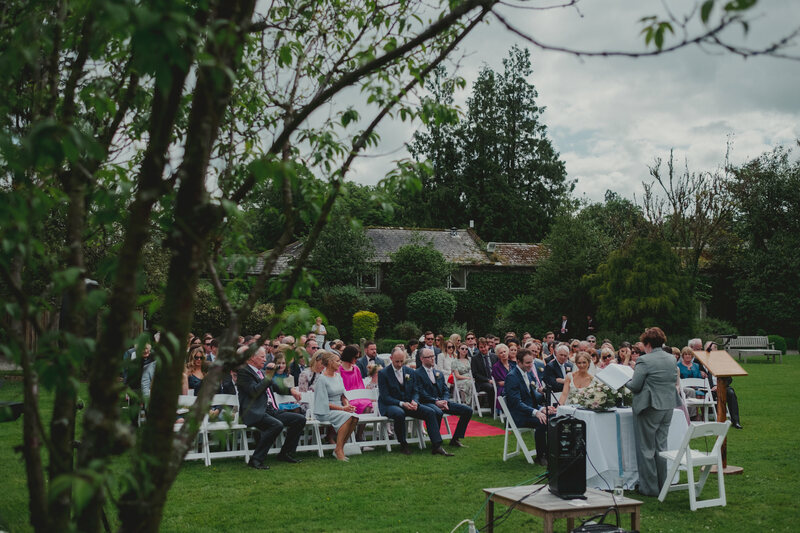 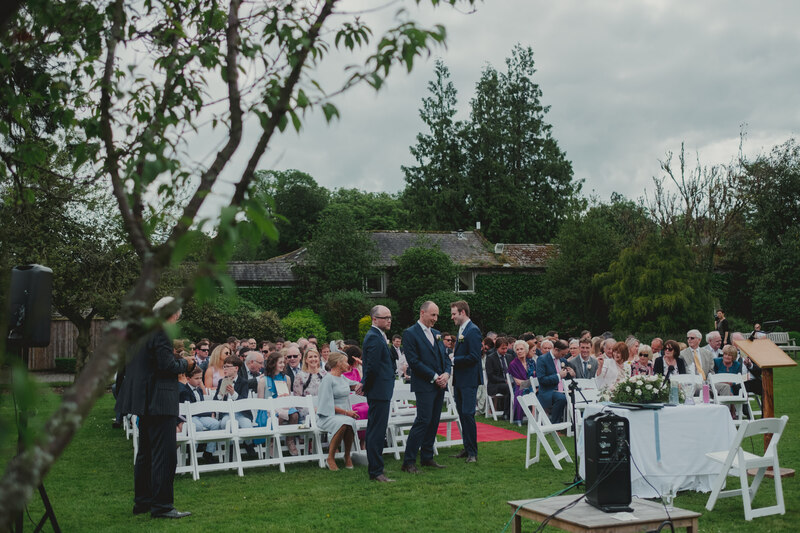 The house is set in 530 immaculate kept acres of private parkland, that provided all that was needed for Danielle and Colm’s very special wedding day. 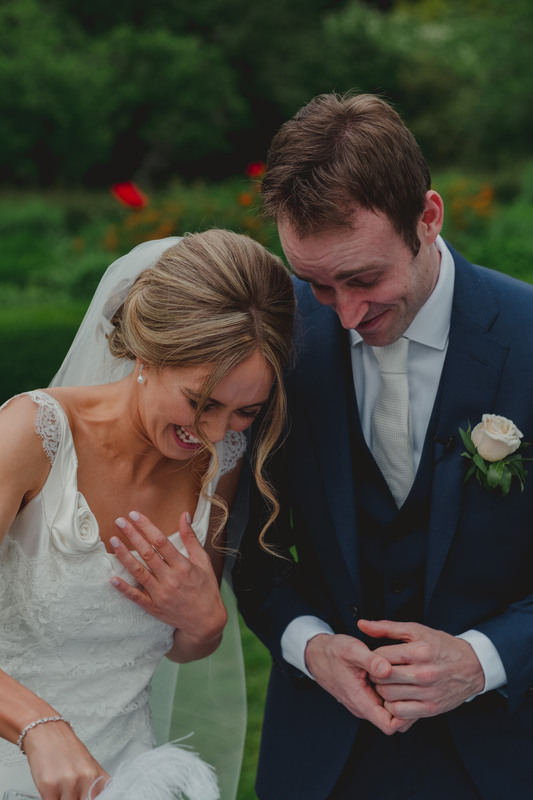 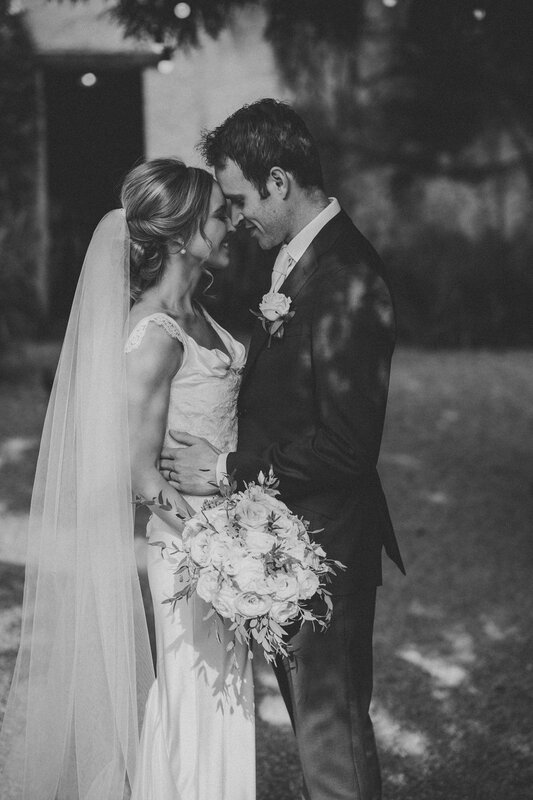 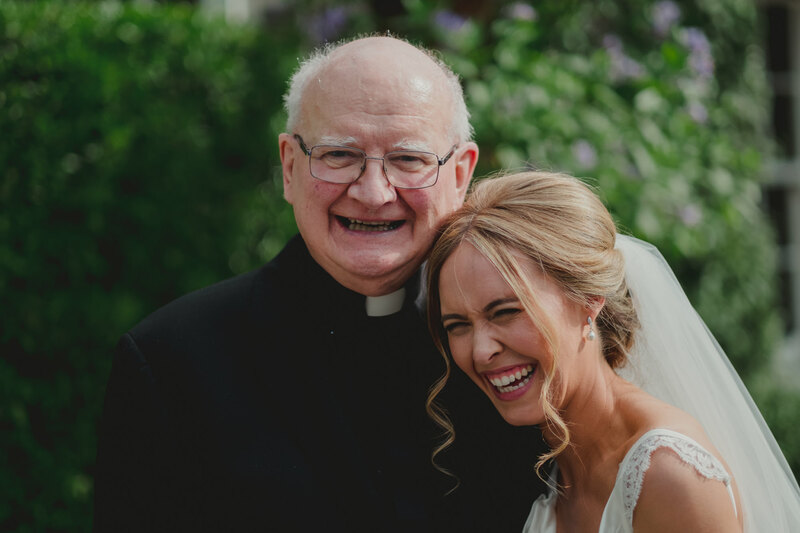 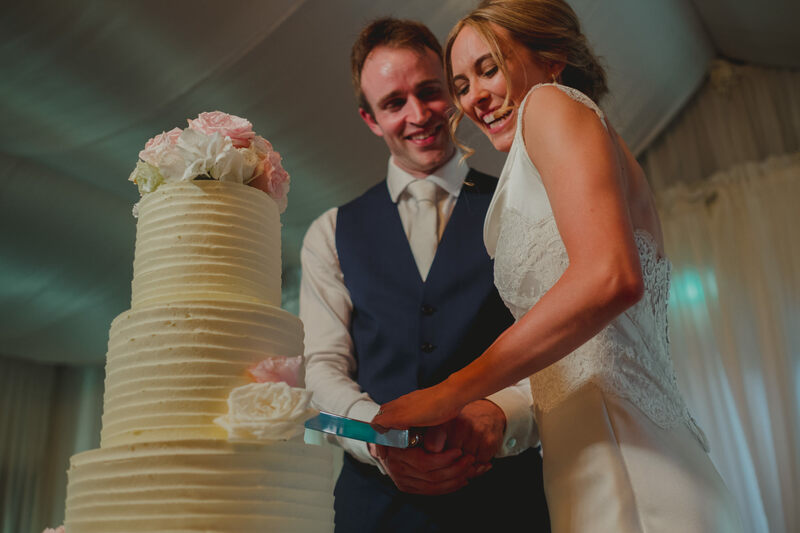 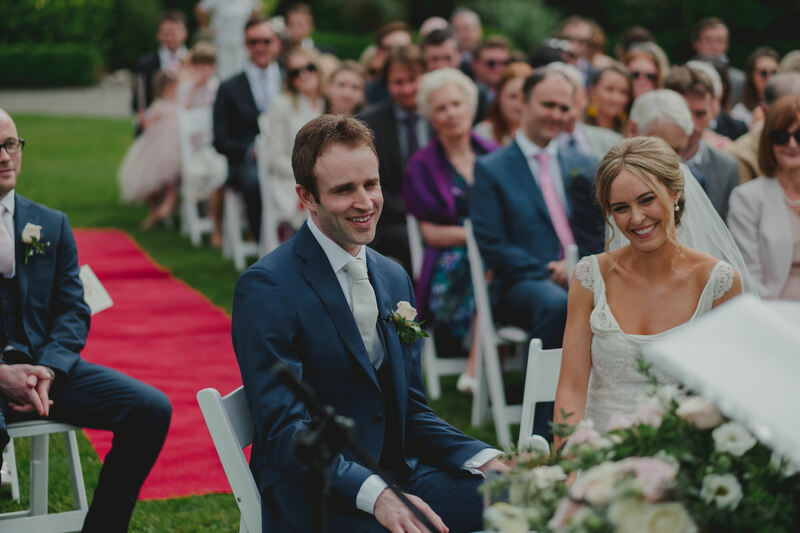 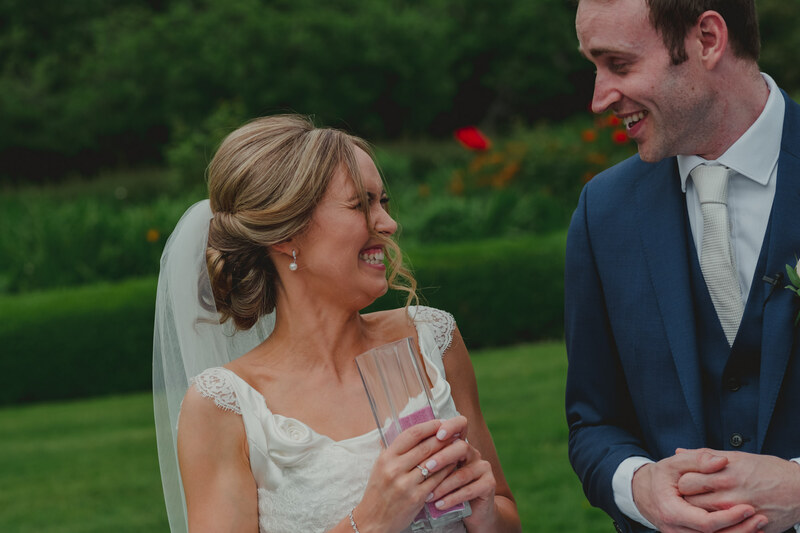 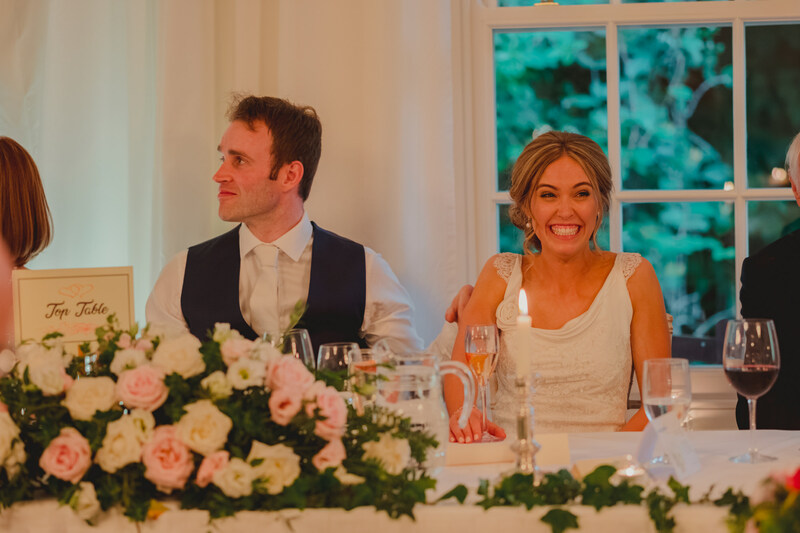 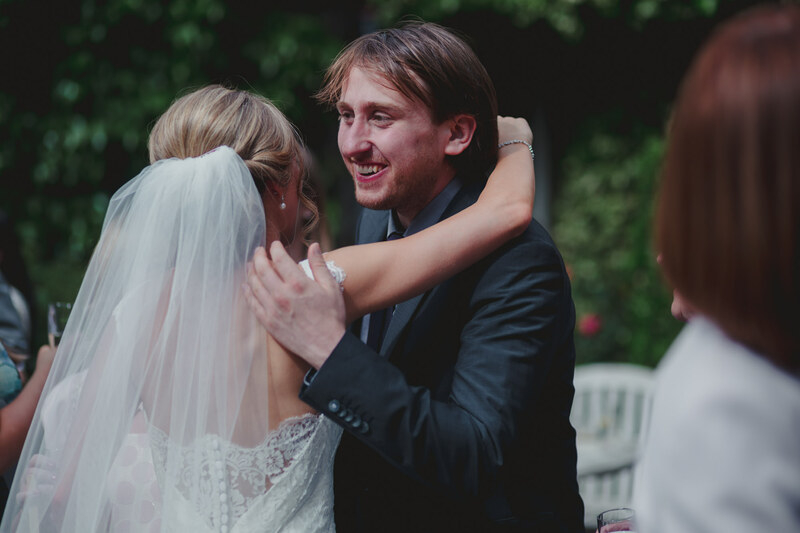 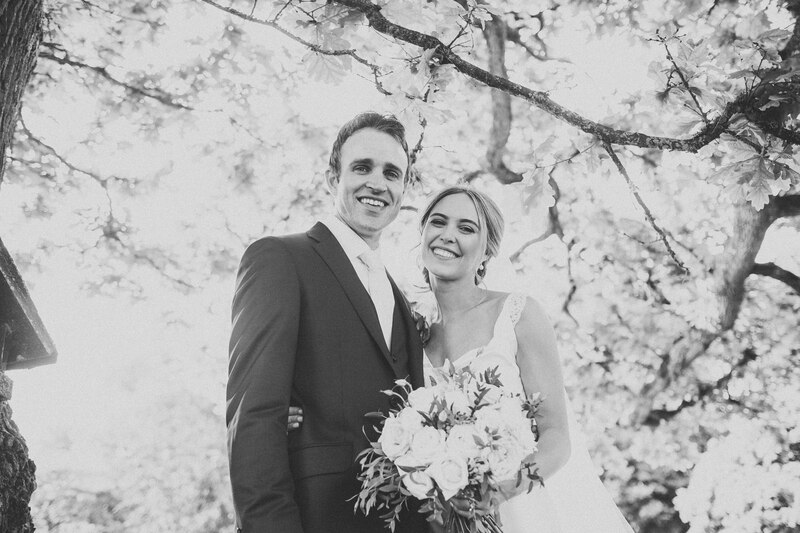 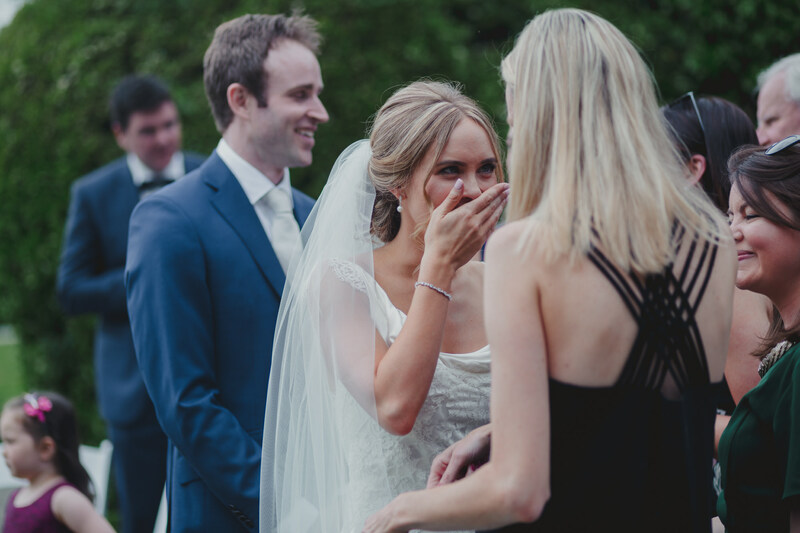 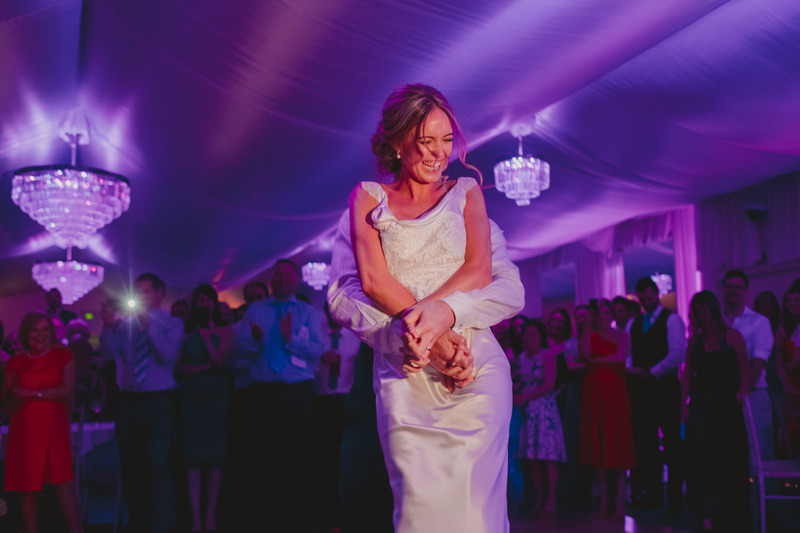 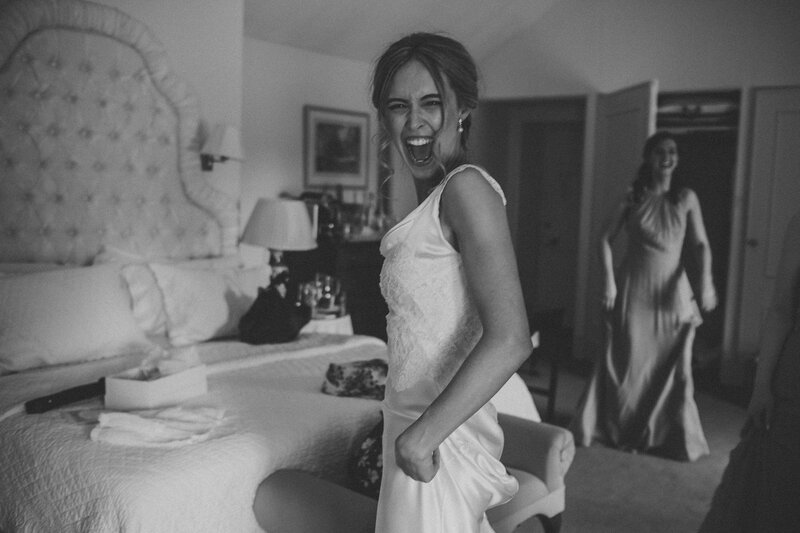 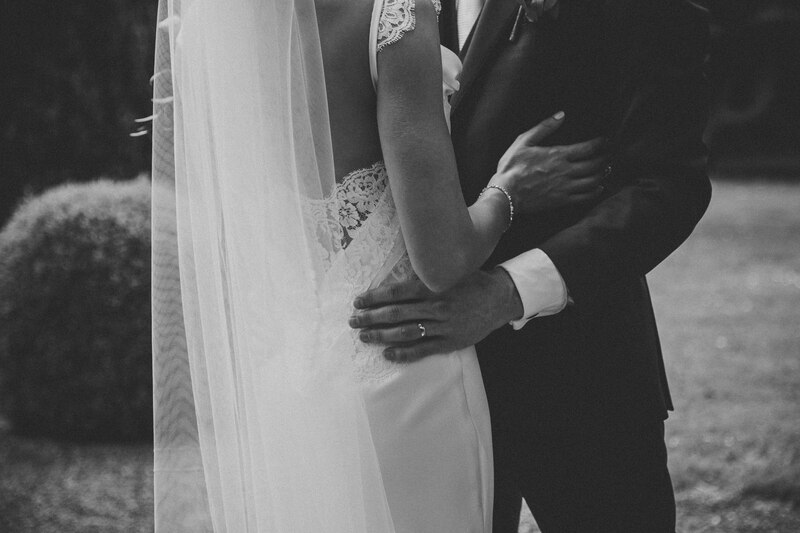 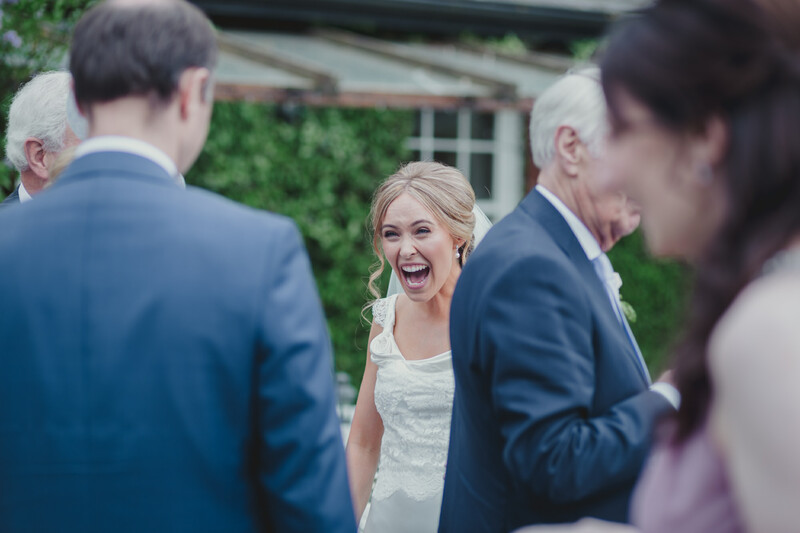 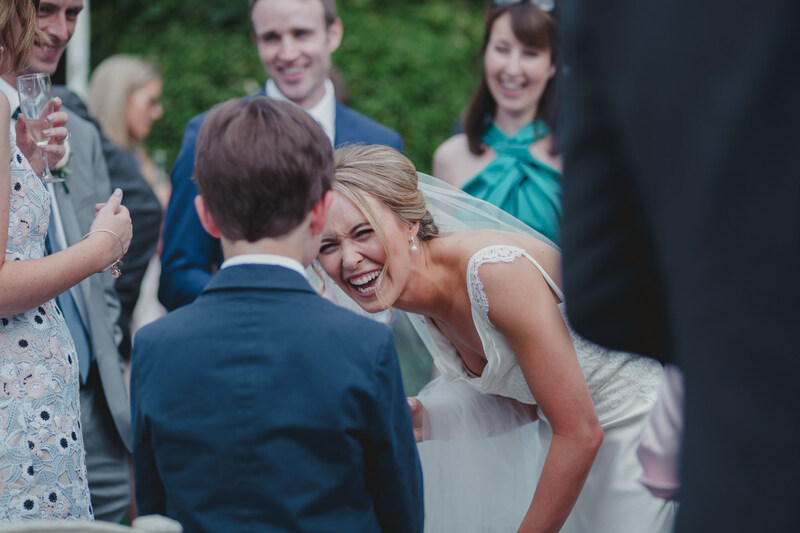 Danielle and Colm are a couple bursting with smiles. 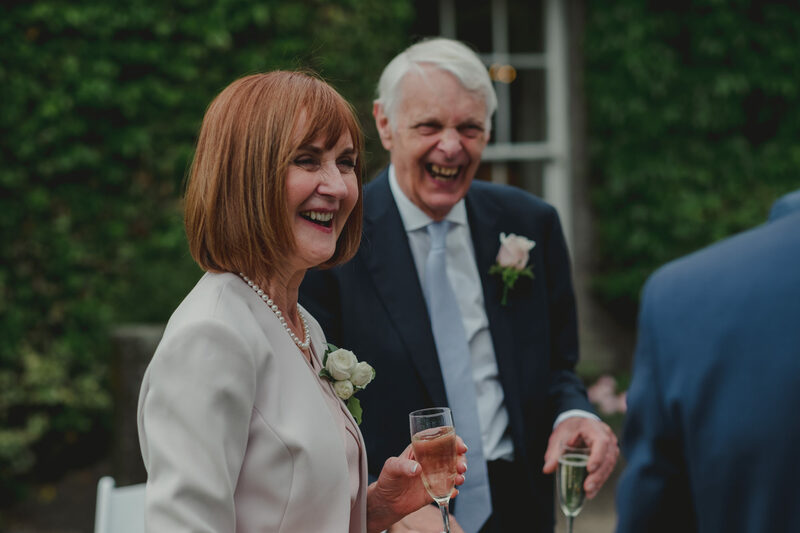 Smiles that were visible from the moment we walked into Danielle’s parents home for morning preparations and were still very apparent as we said our farewells at the end of their wedding day. 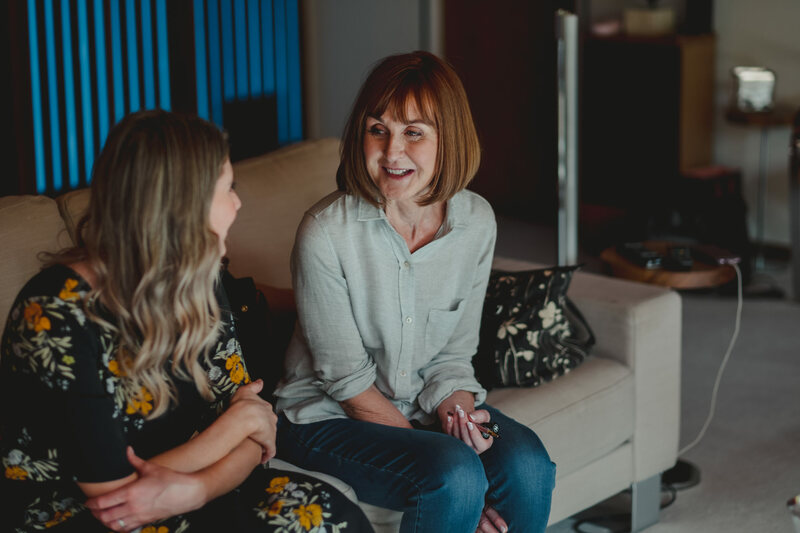 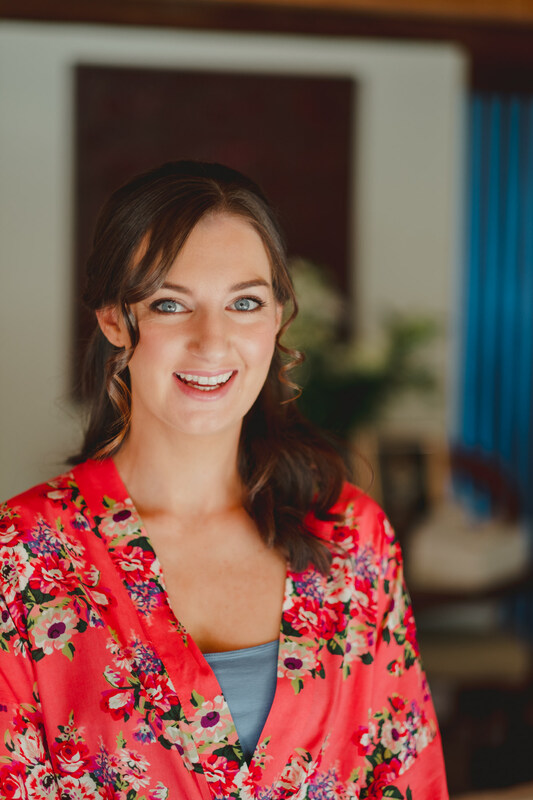 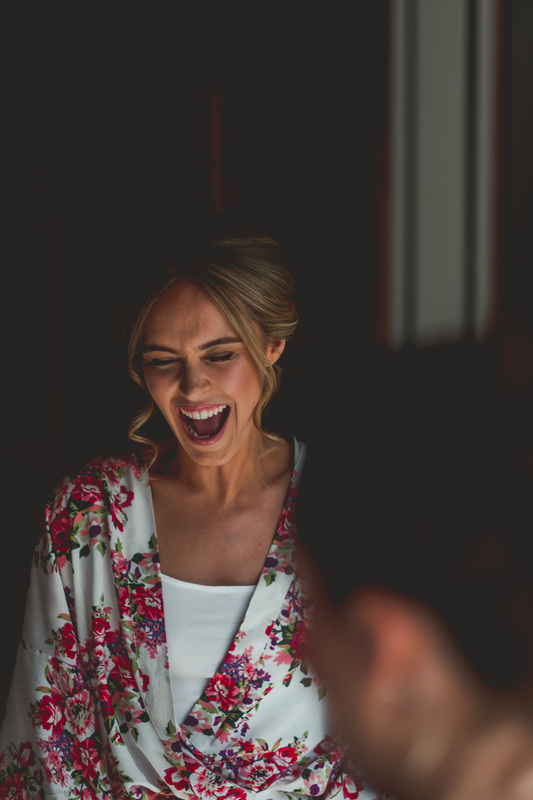 Danielle’s morning smiling started at her family home located in Dublin City Centre. 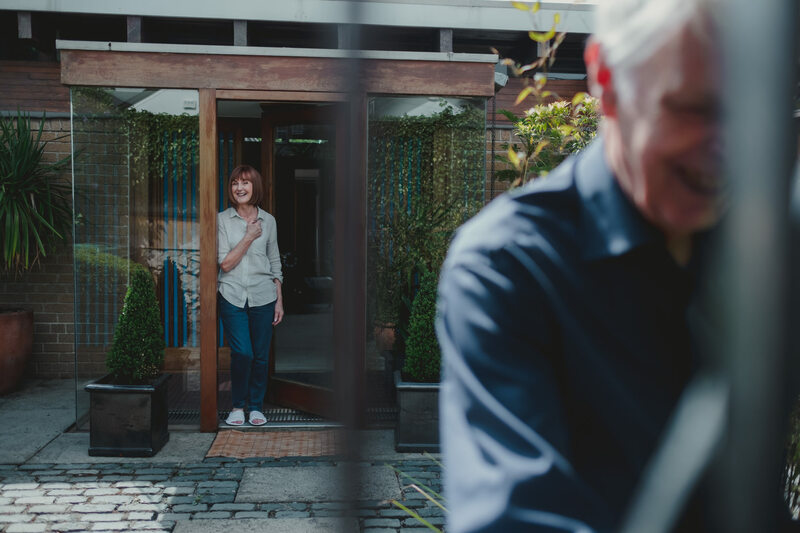 The house itself is an architects dream, and with her father being one, it was obviously his family home was a dream come to life. 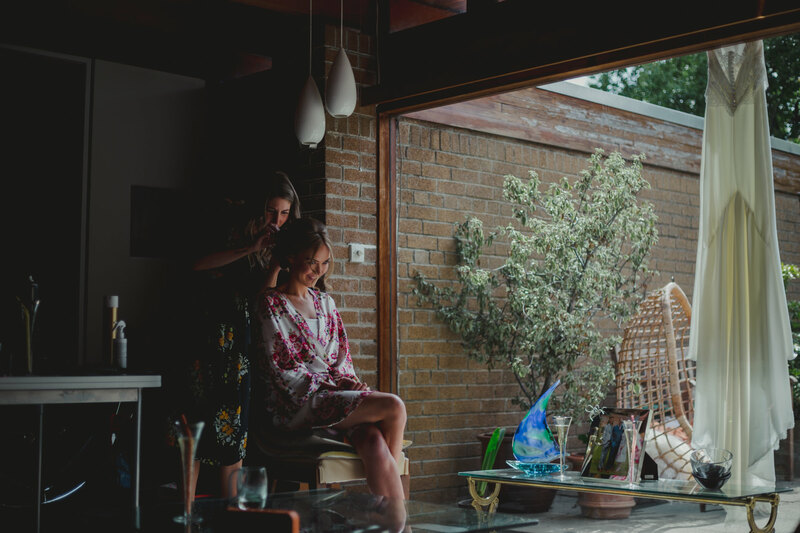 A very modern indoor living meets outdoor living styled home, only that it was designed in the 70s, so it was clear how her father was very much ahead of his time. 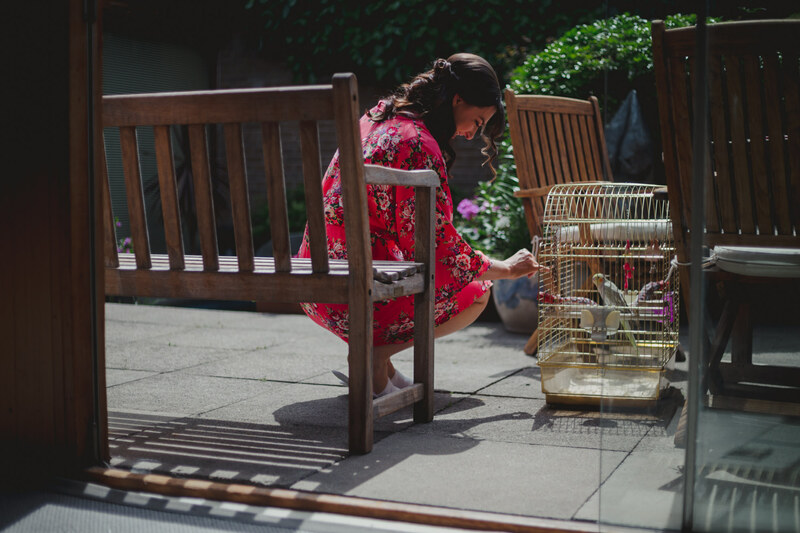 Laughter, toasting, the family bird, and their back garden Japanese pond all provided the ambience to Danielle’s morning festivities. 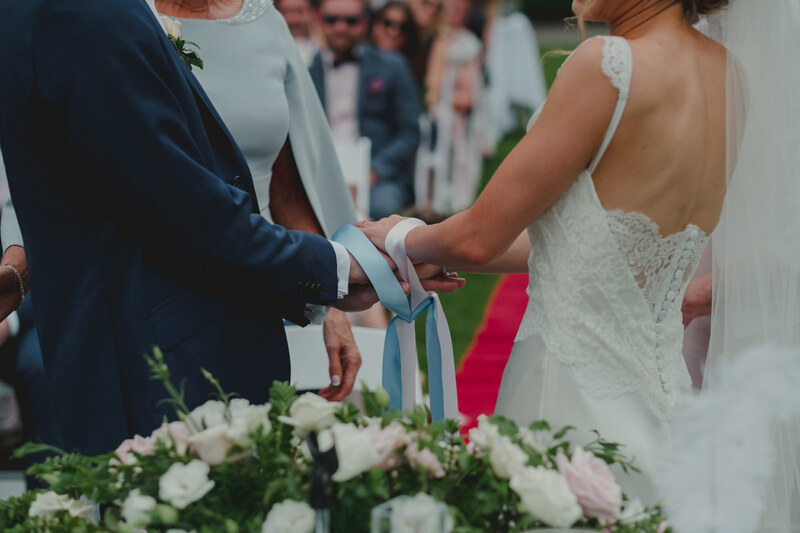 Danielle’s father also custom made a hook for us so we could hang his daughters wedding dress outside, which showed not only his kindness, but again his wonderful craftsmanship. 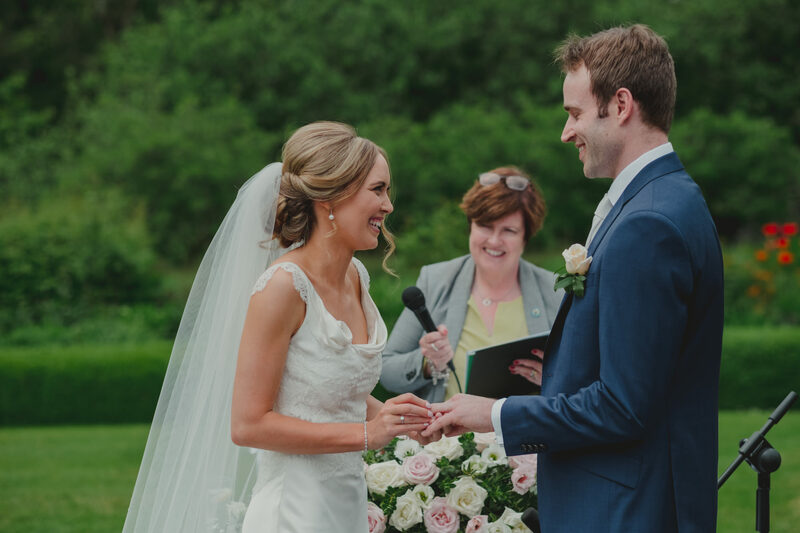 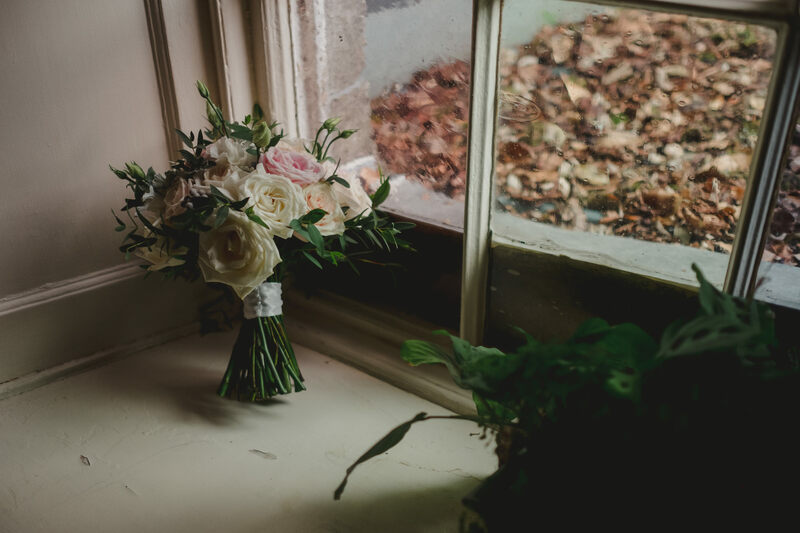 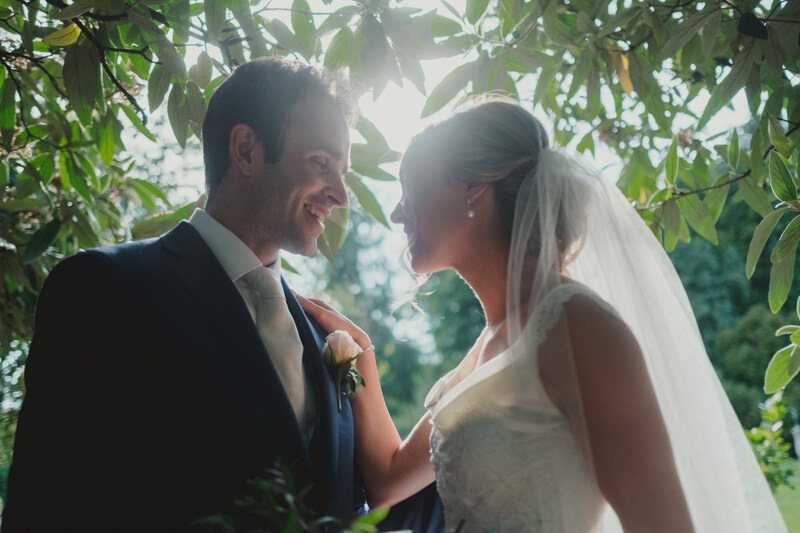 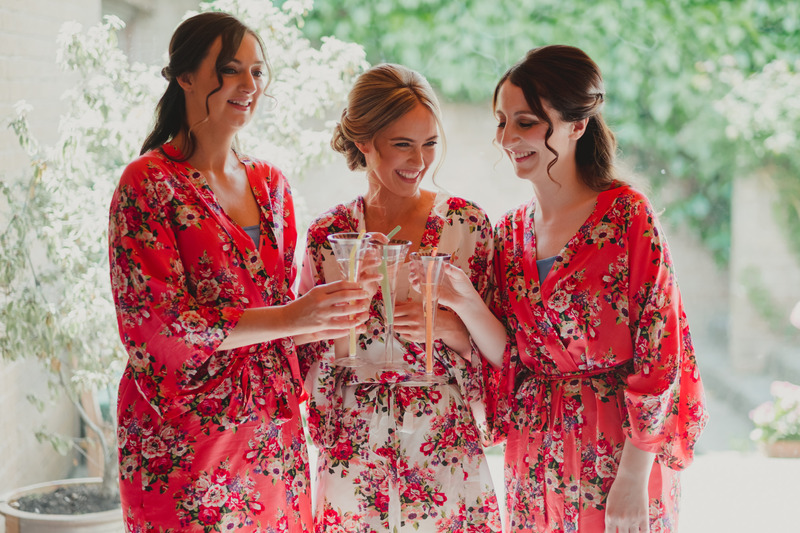 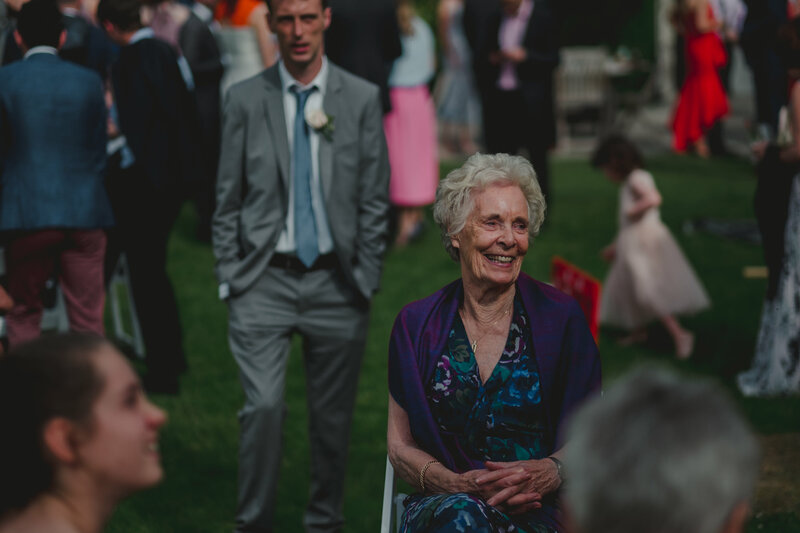 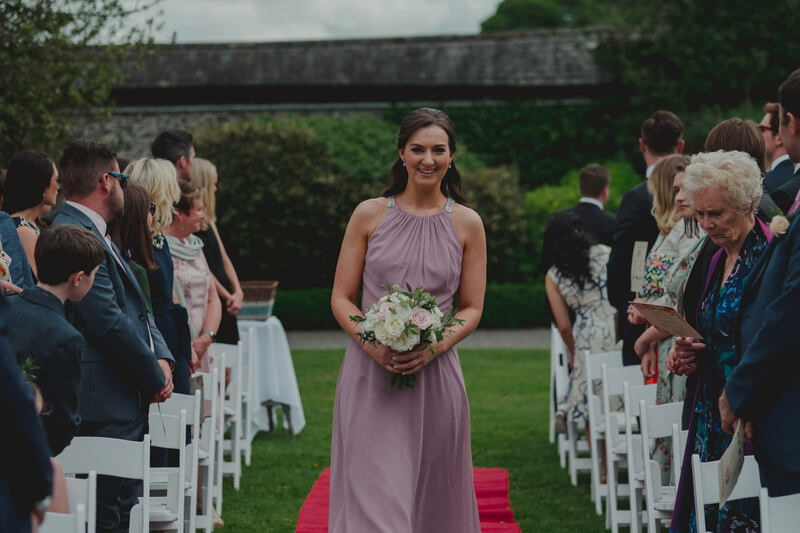 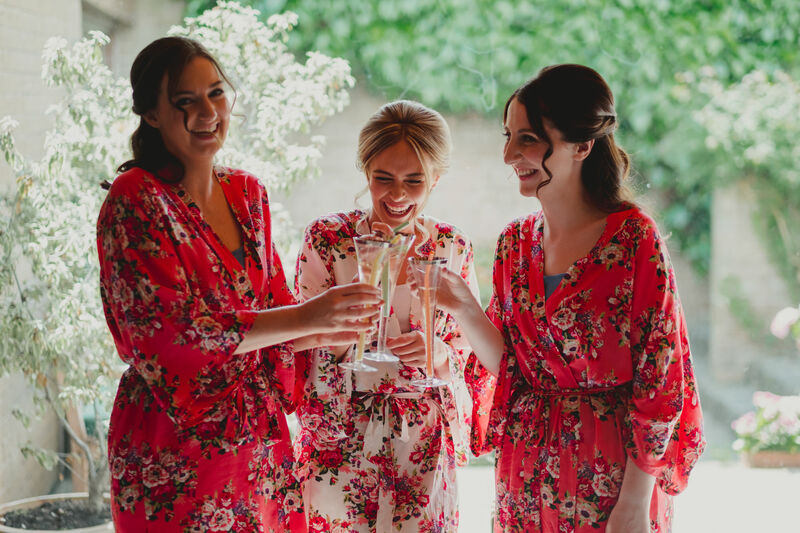 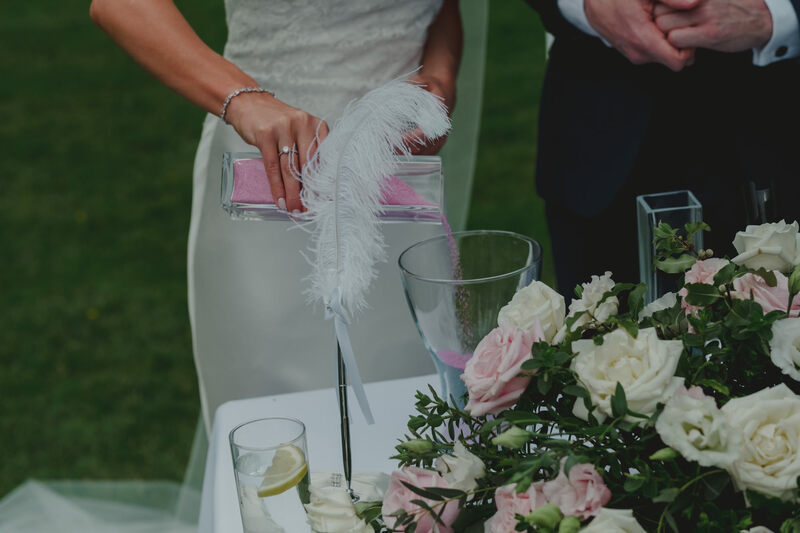 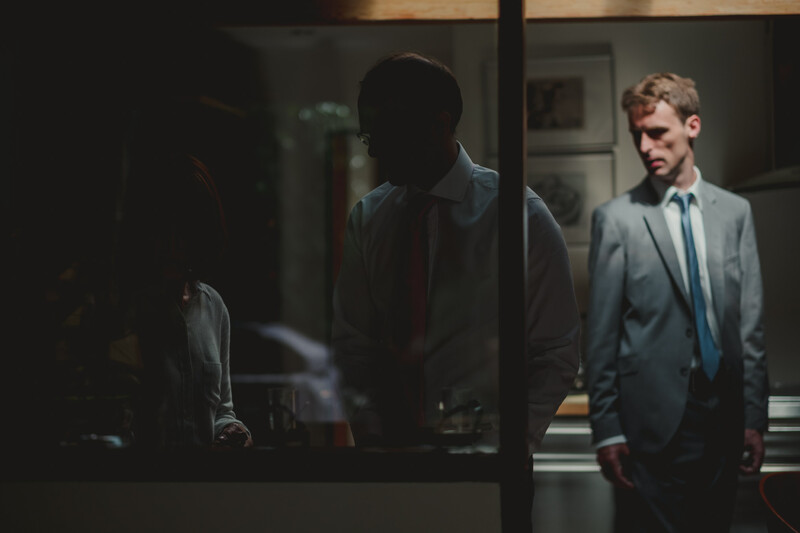 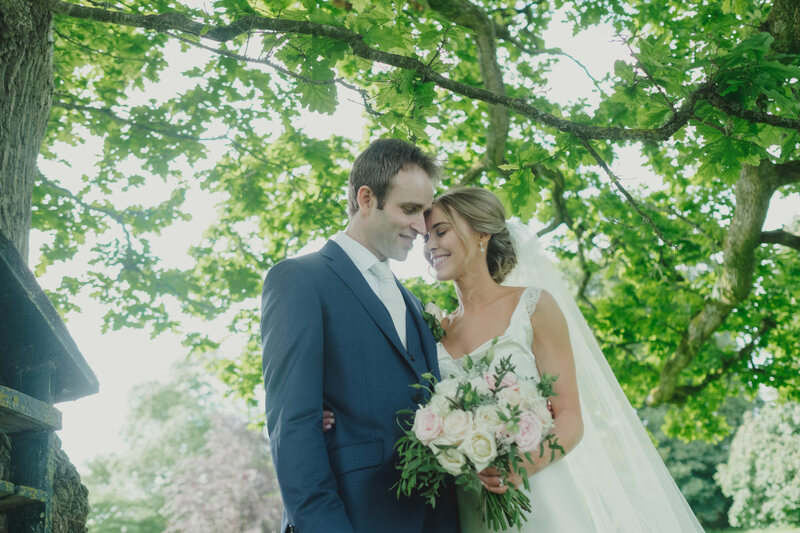 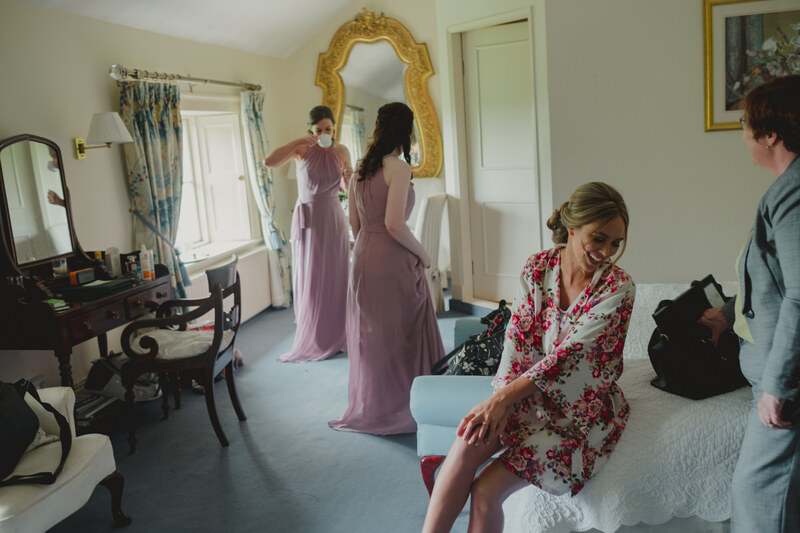 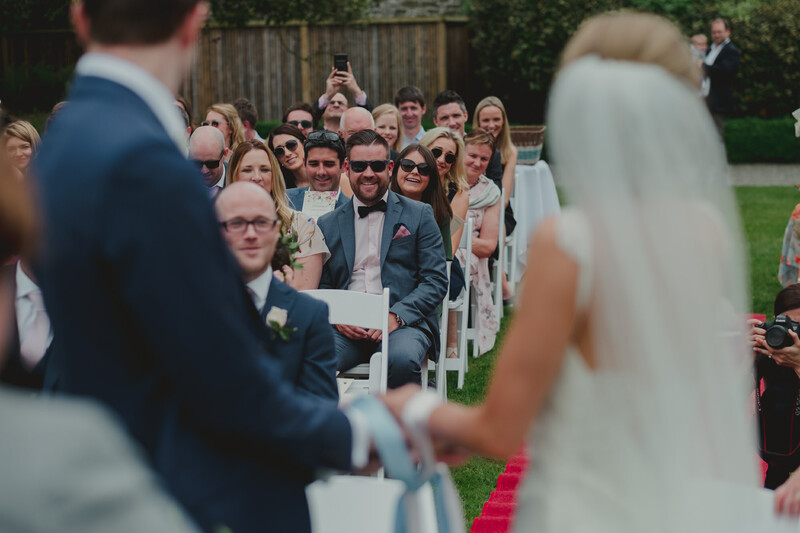 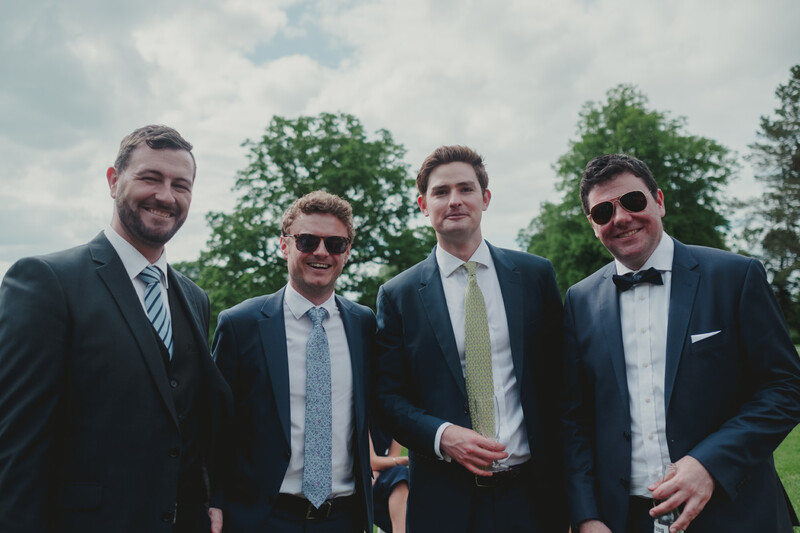 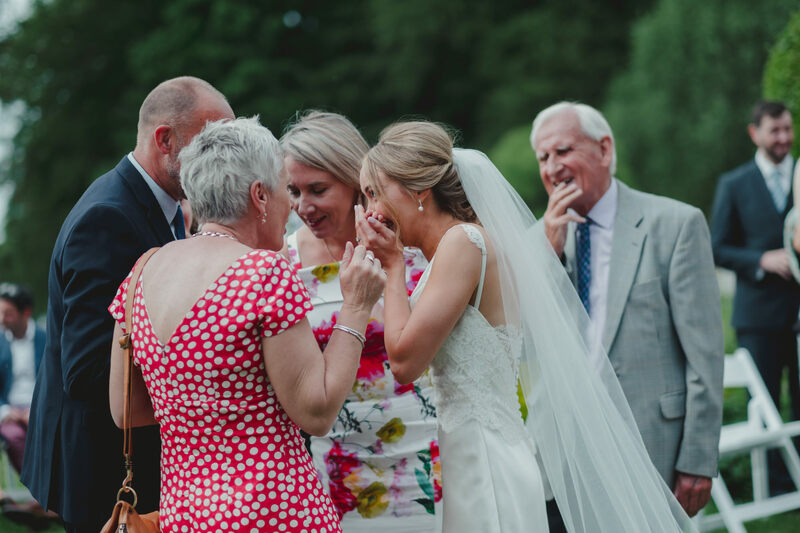 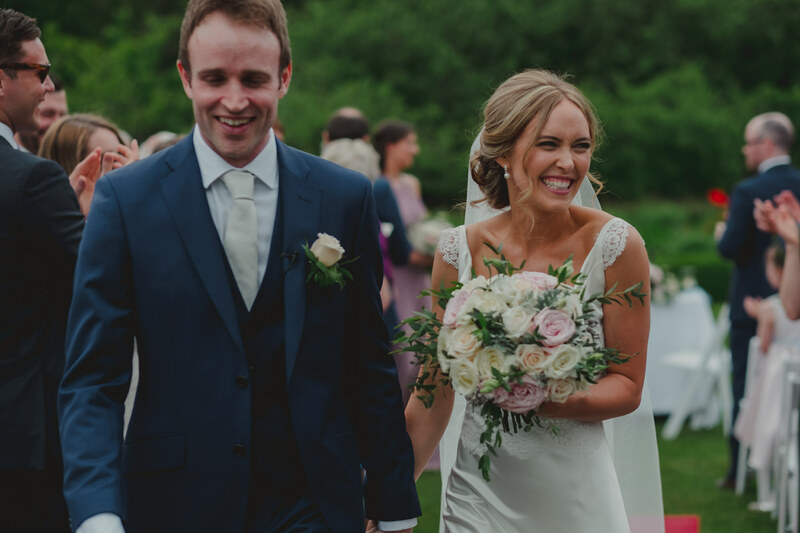 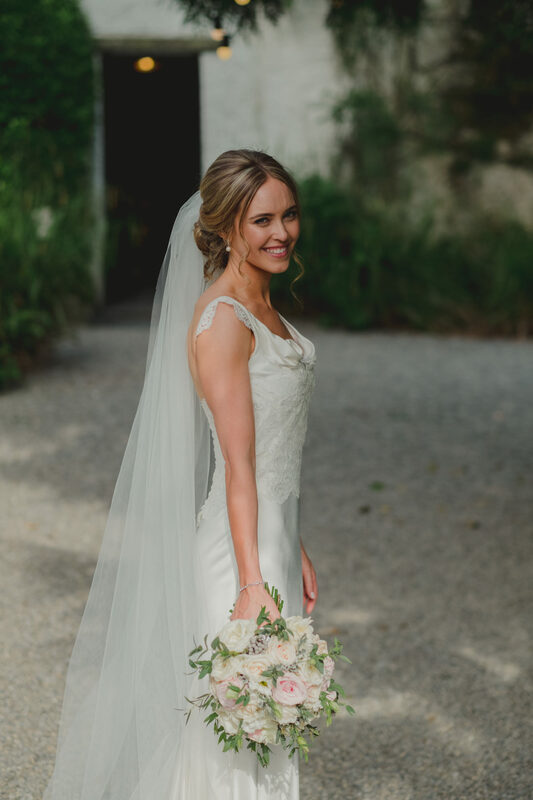 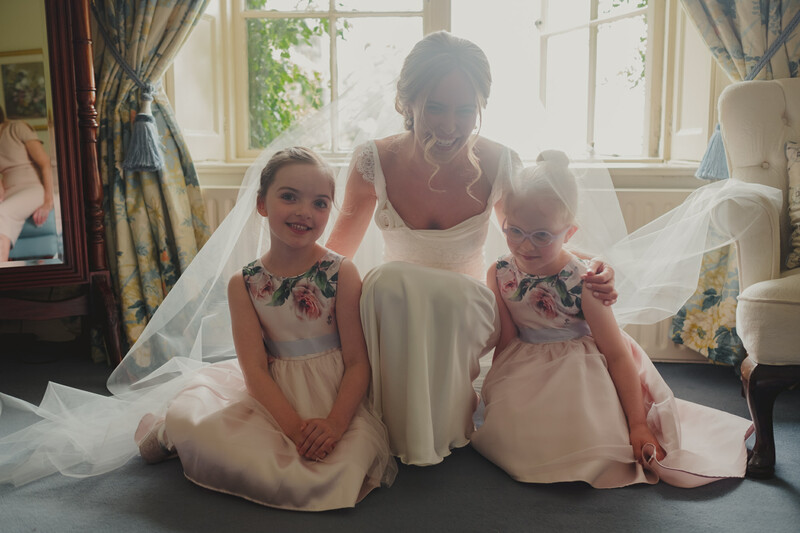 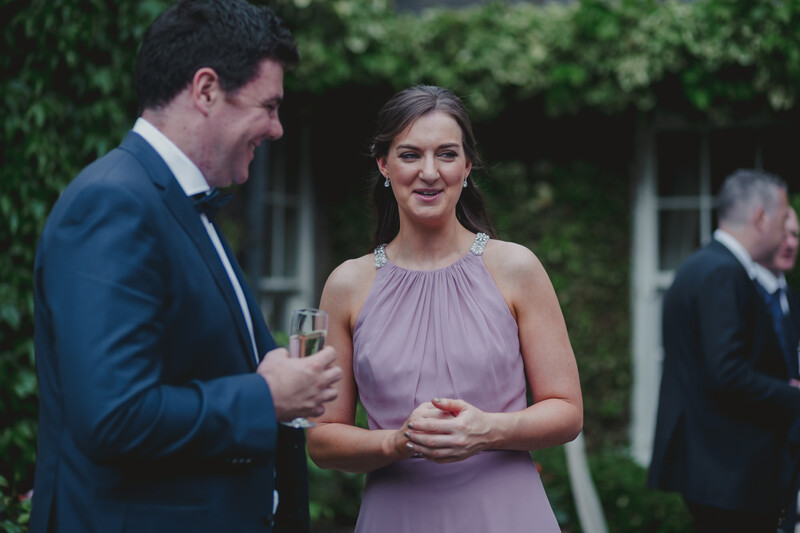 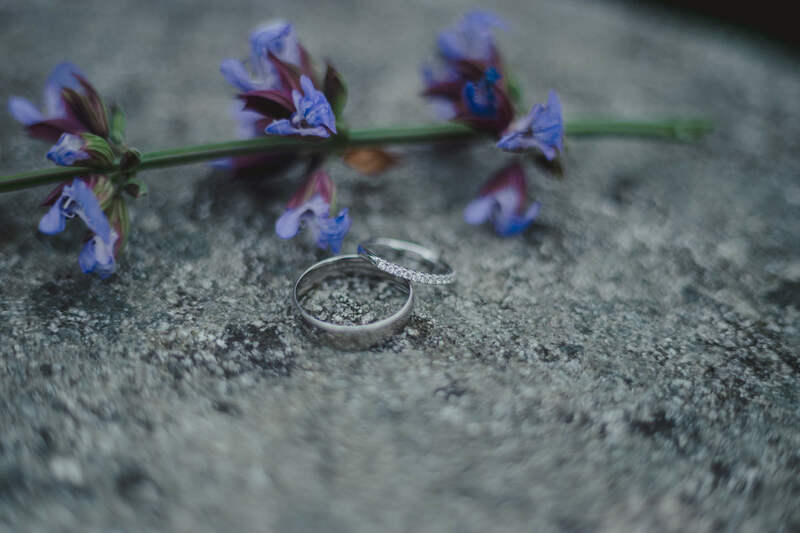 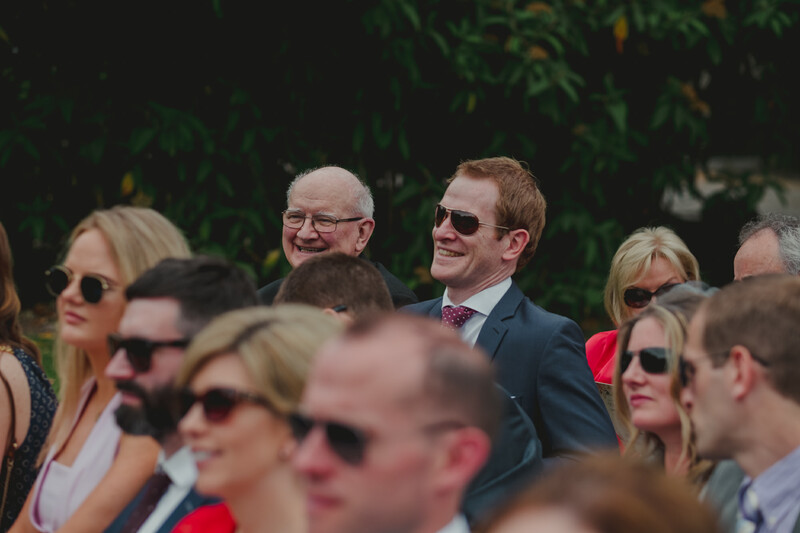 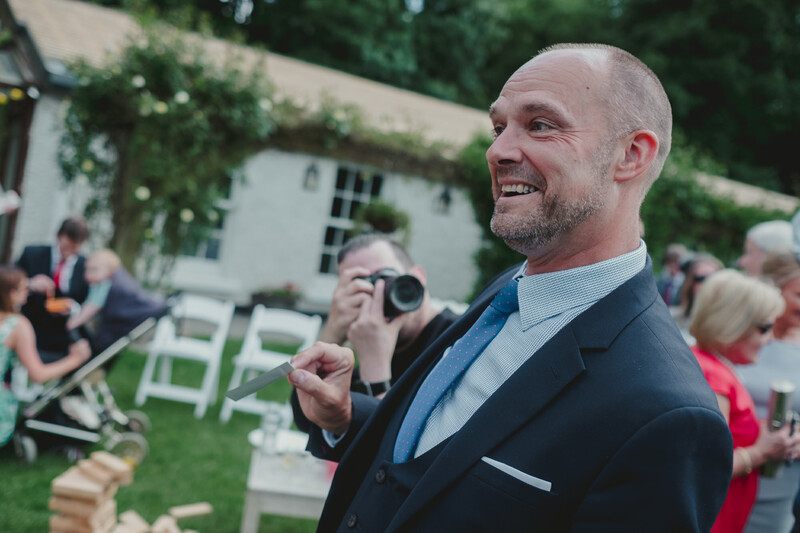 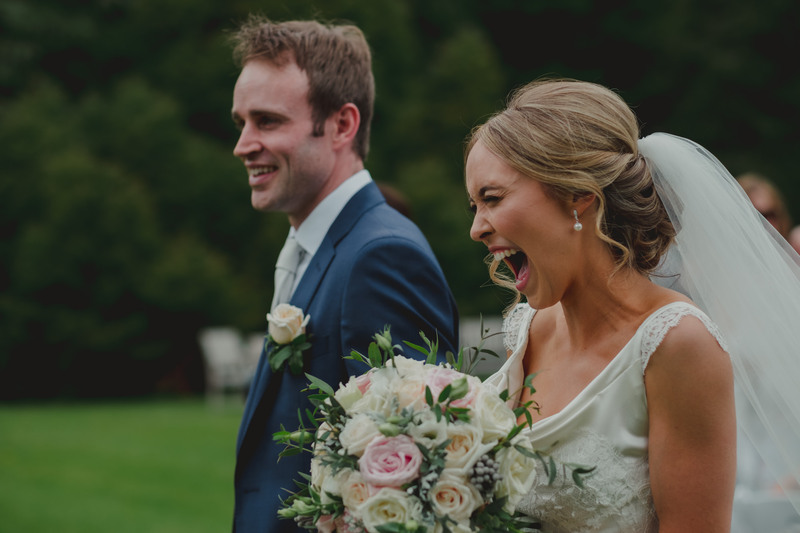 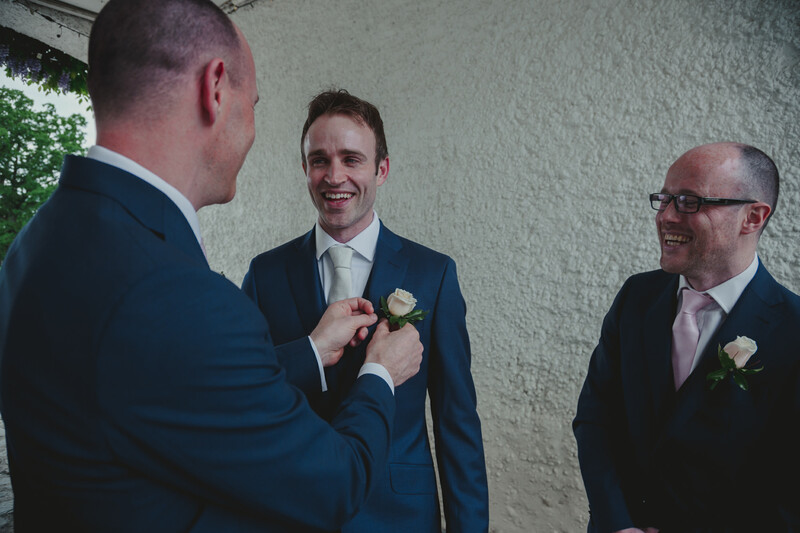 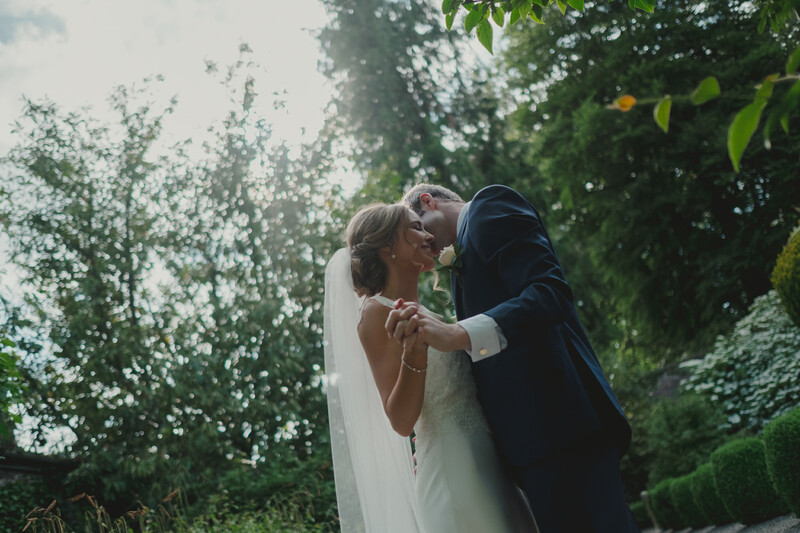 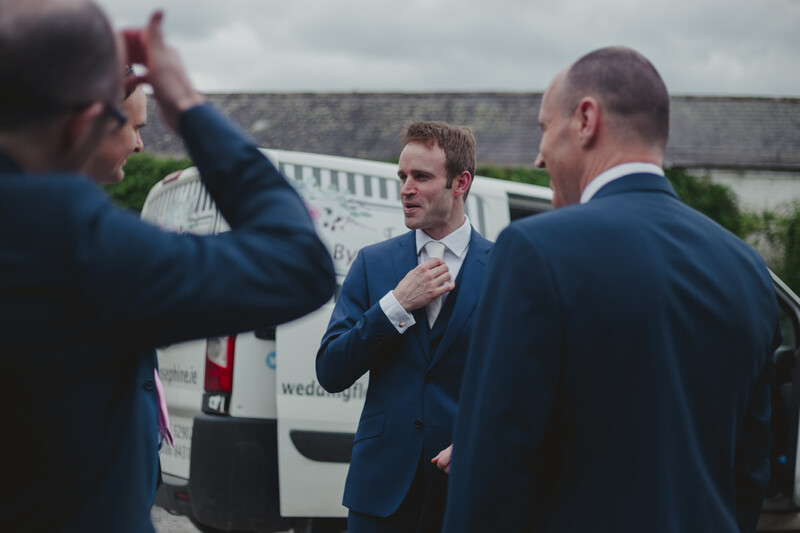 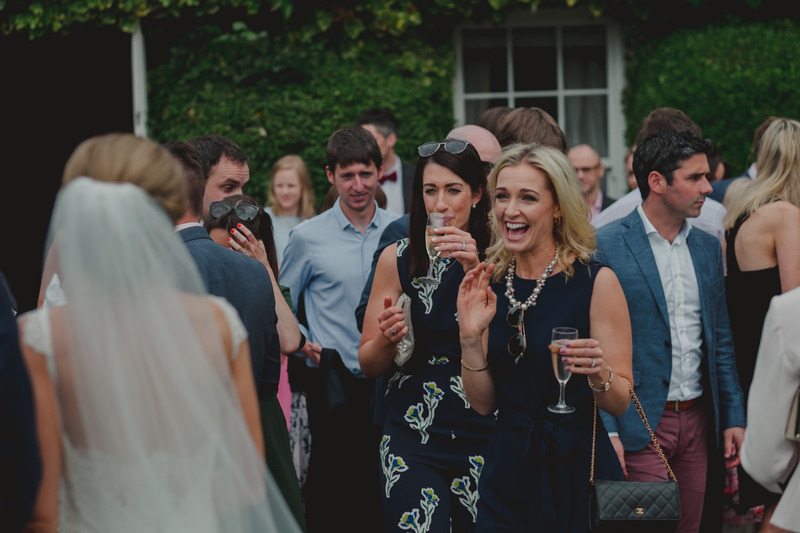 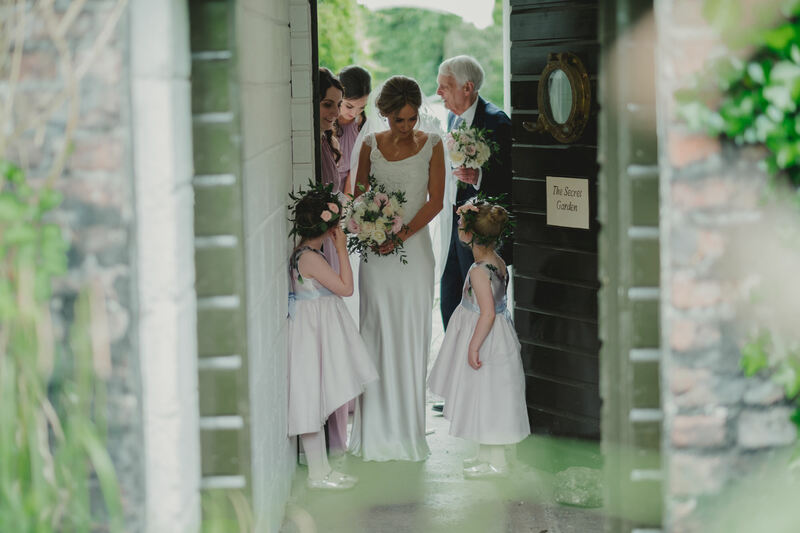 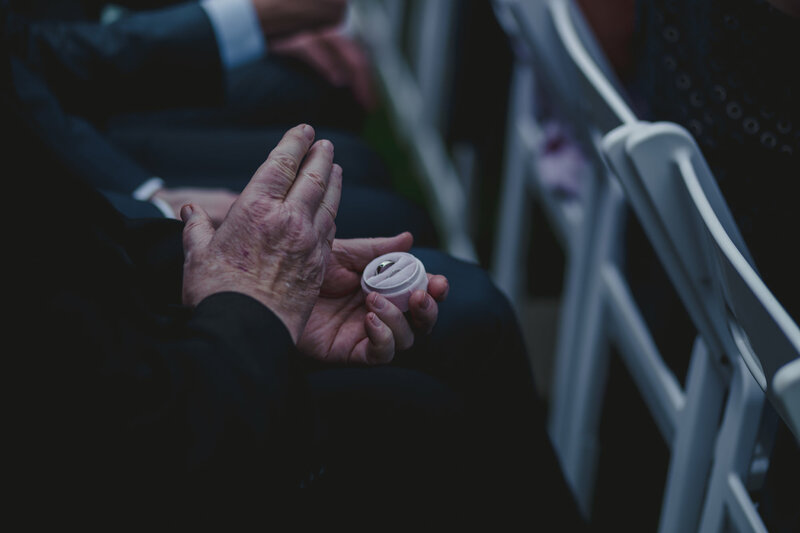 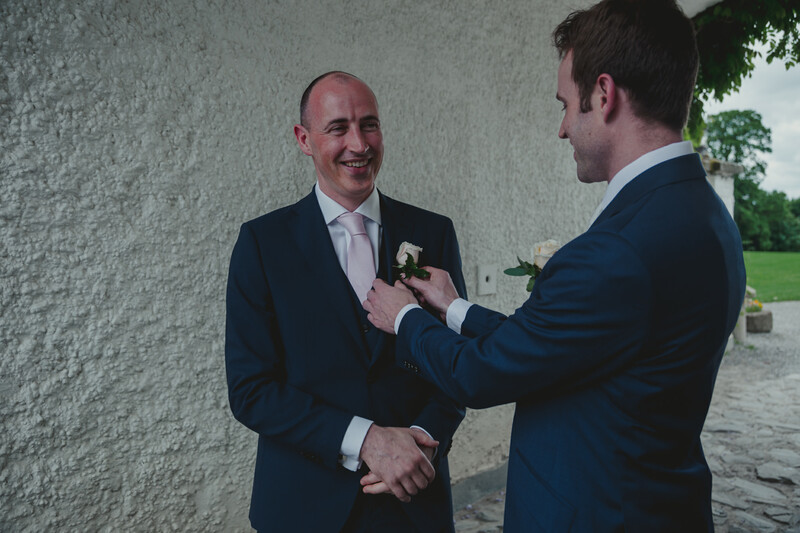 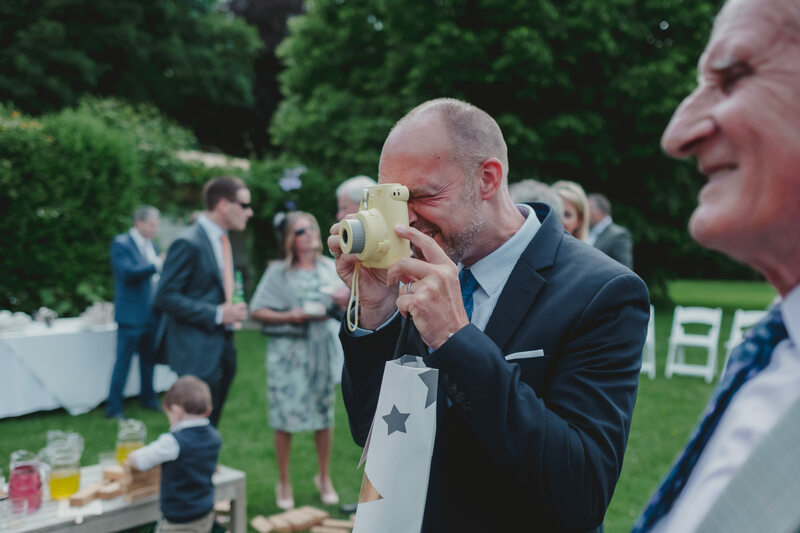 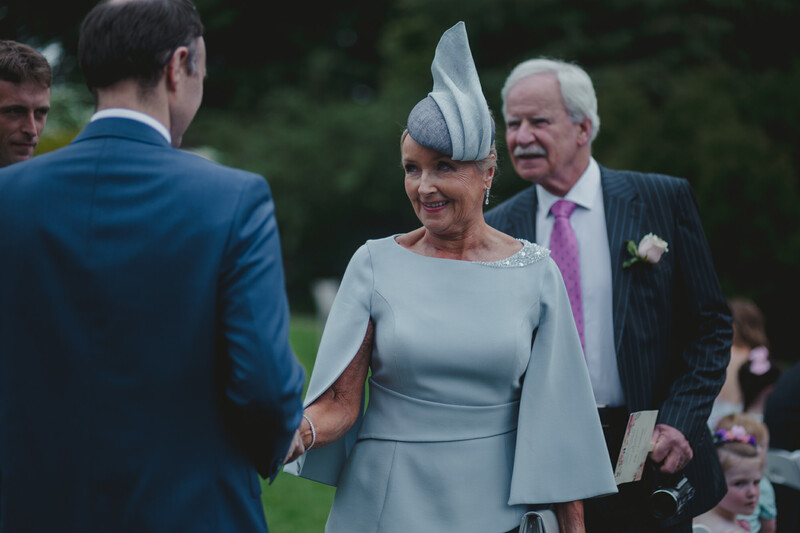 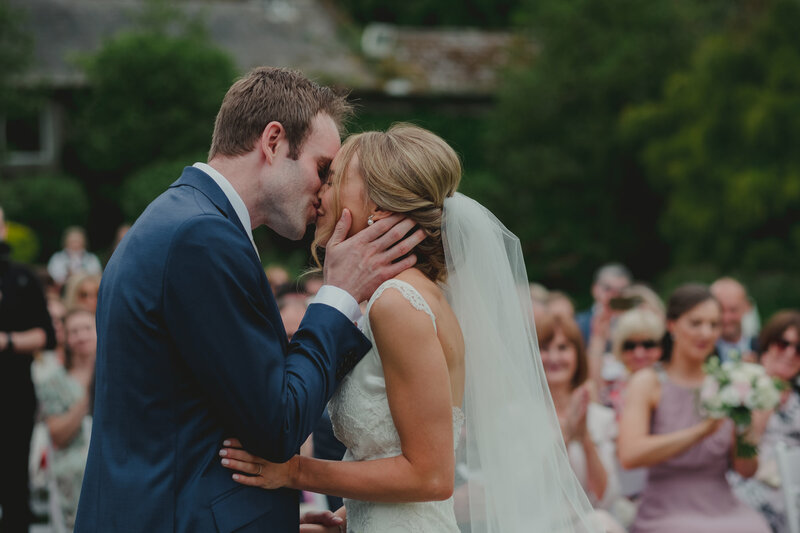 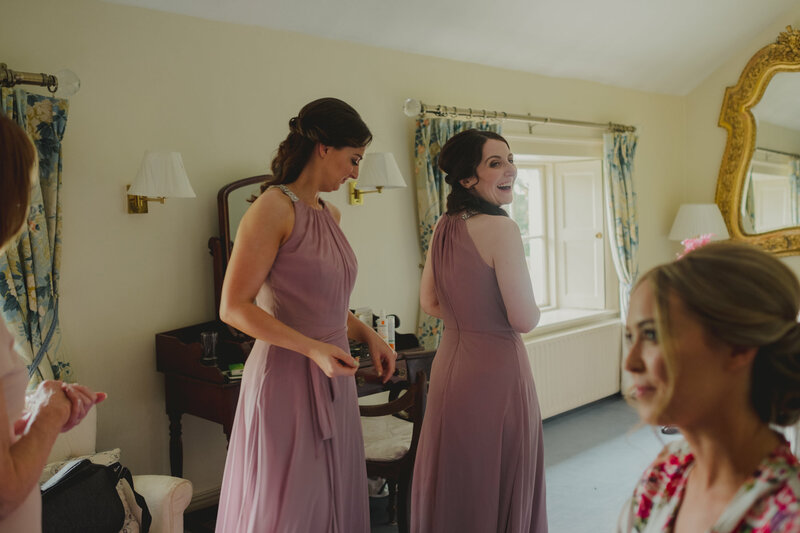 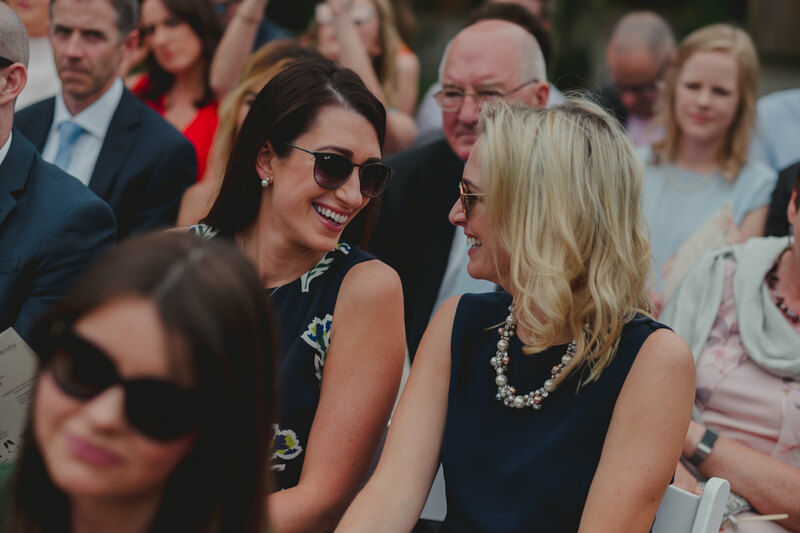 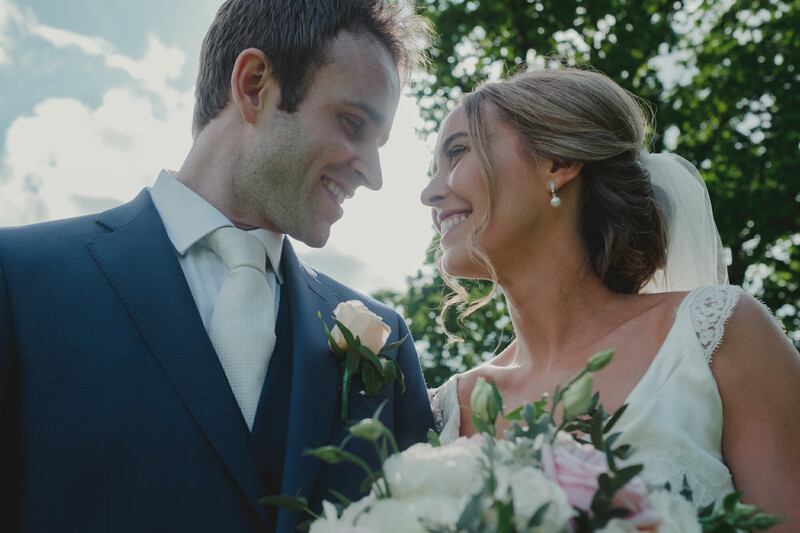 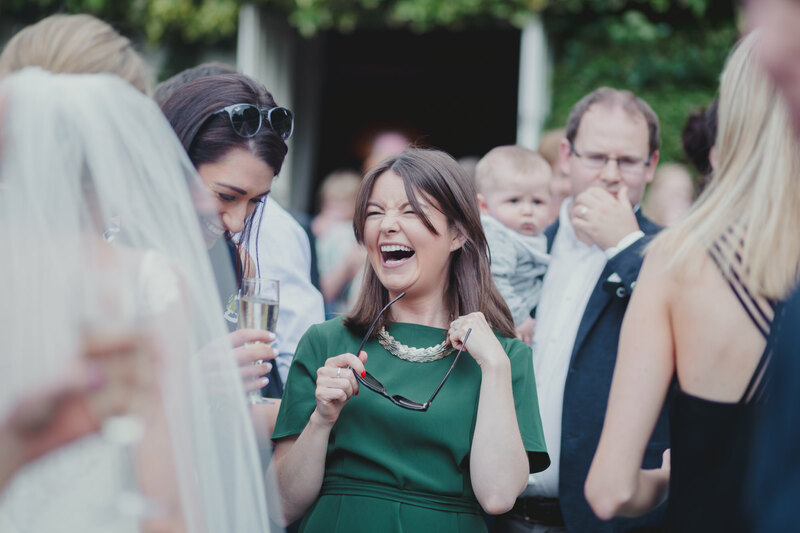 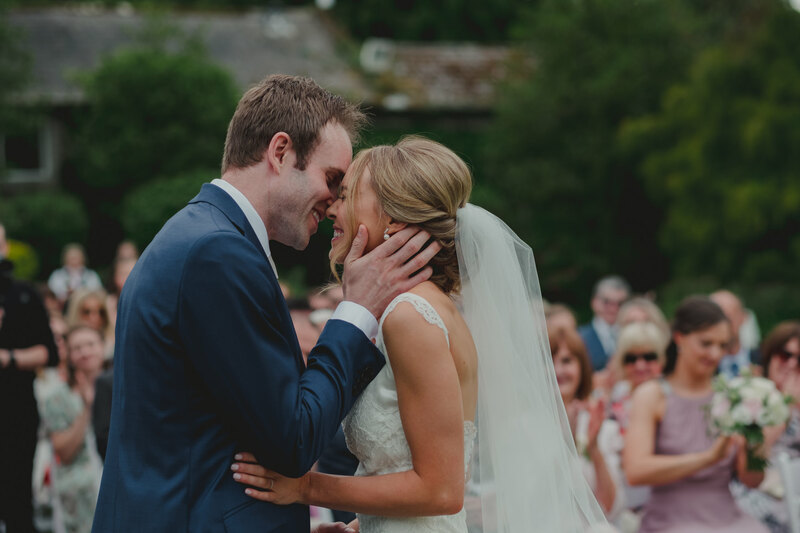 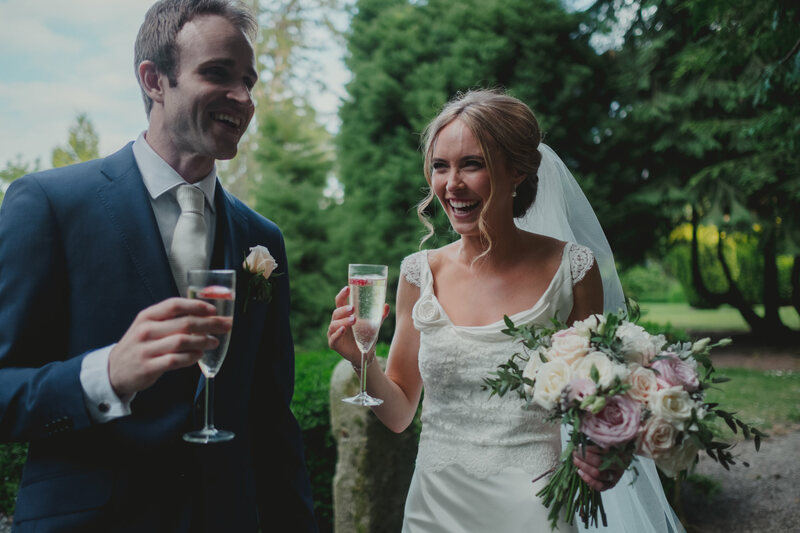 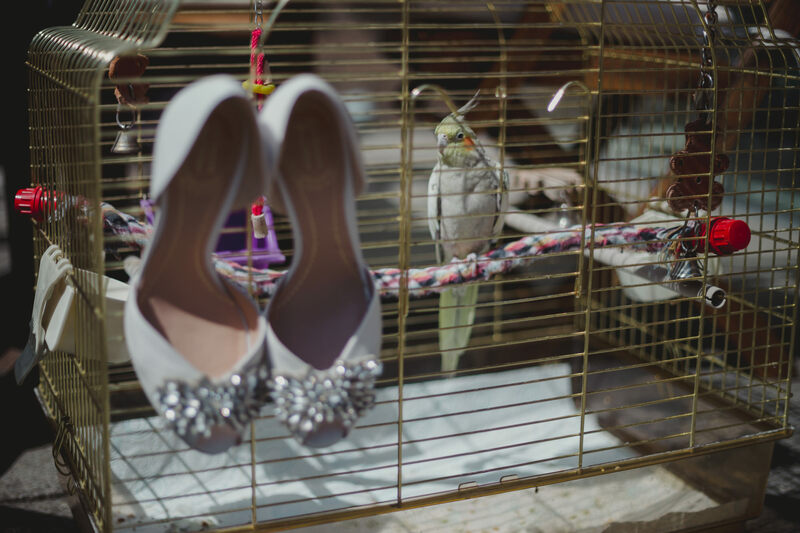 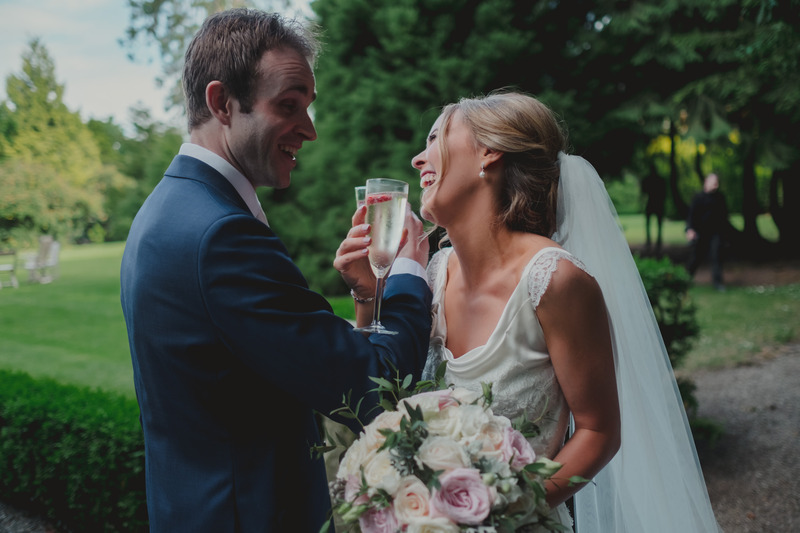 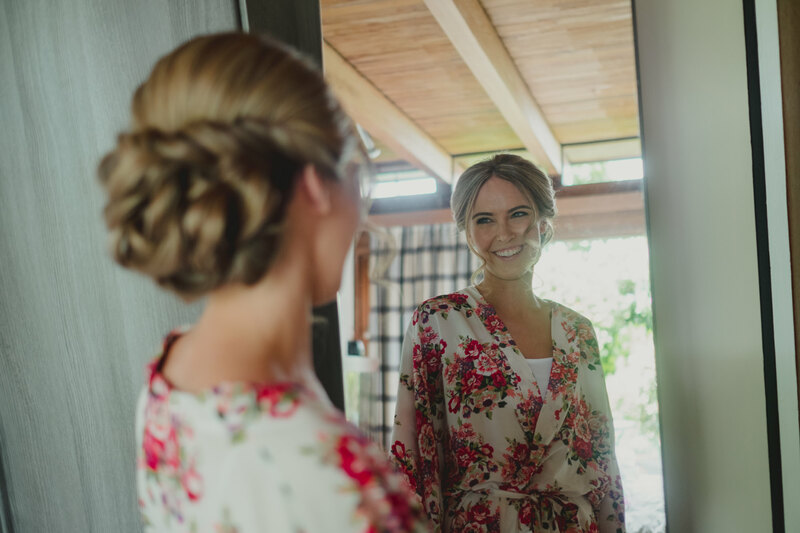 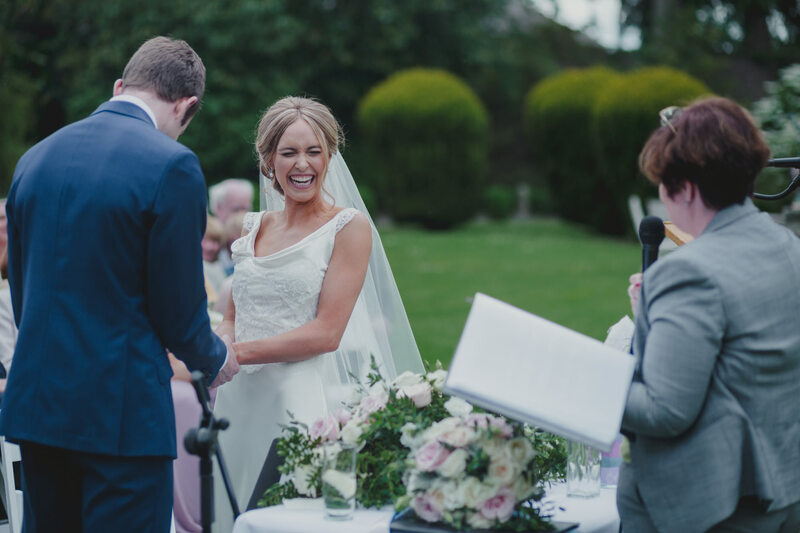 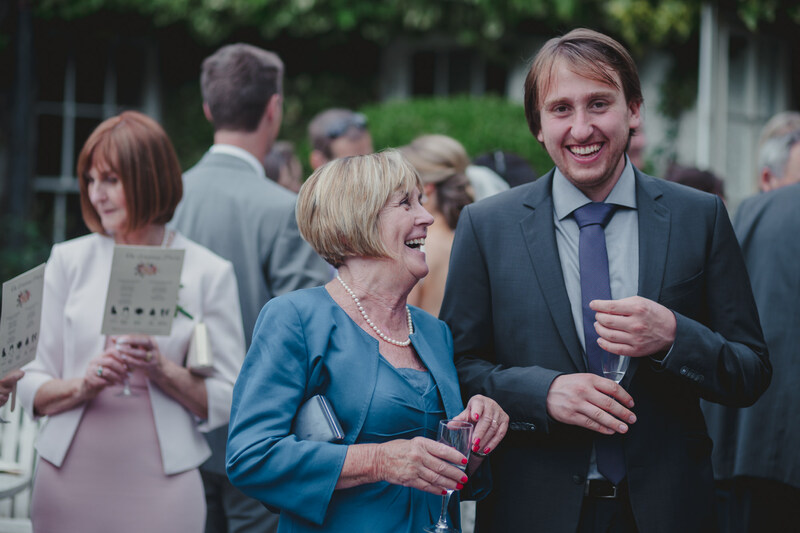 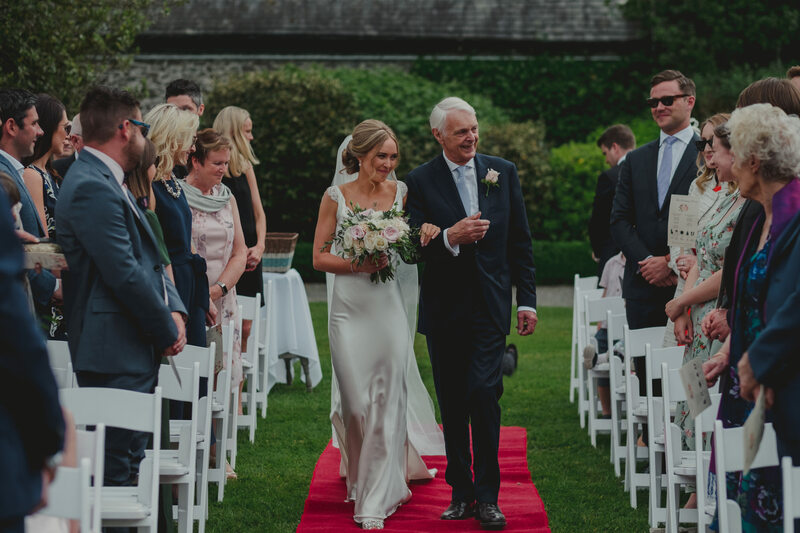 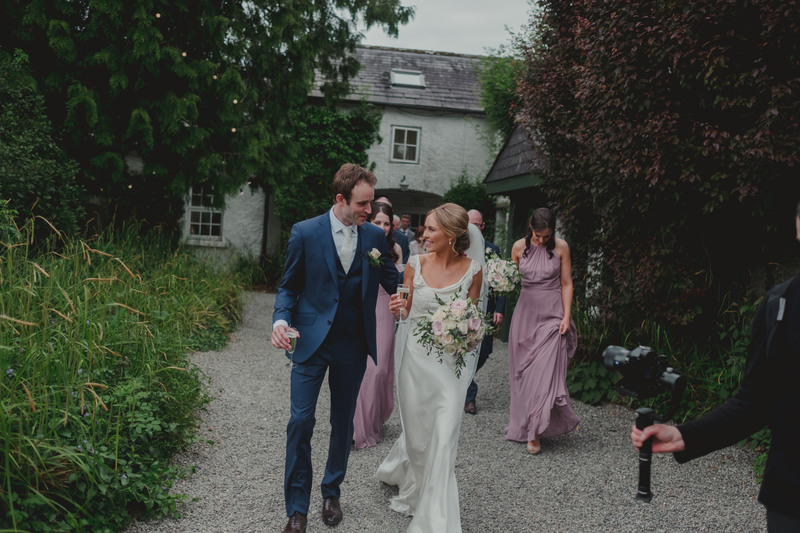 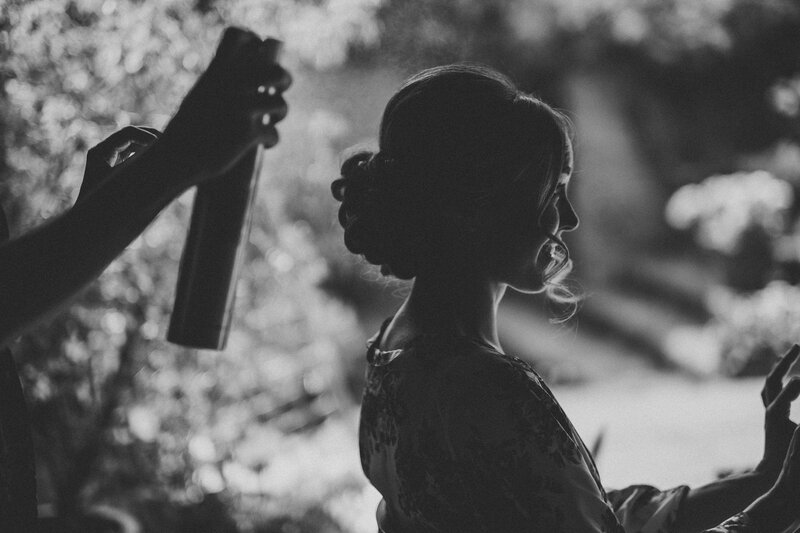 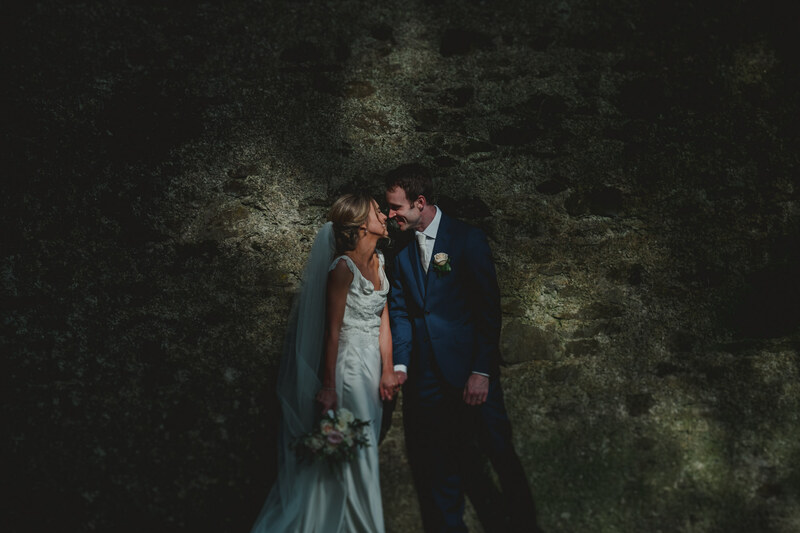 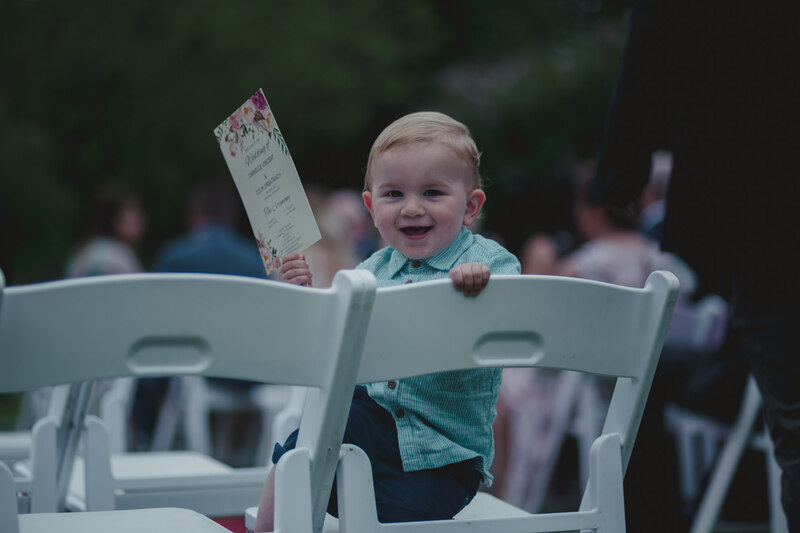 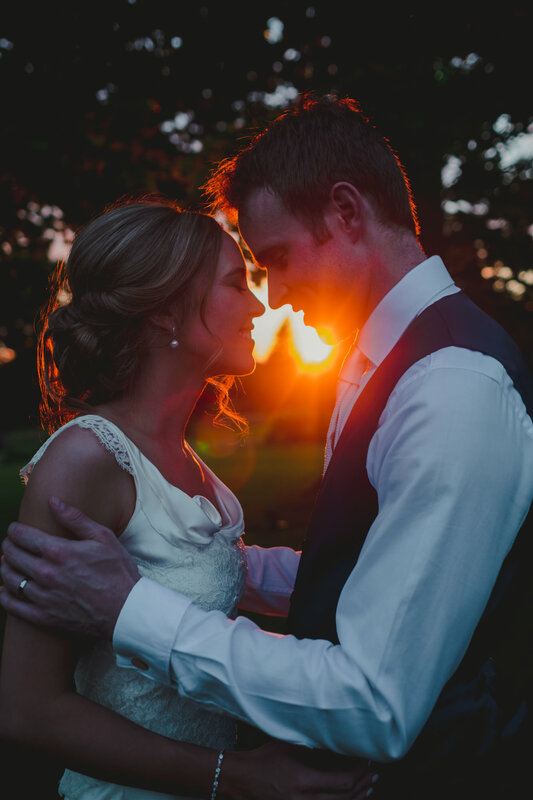 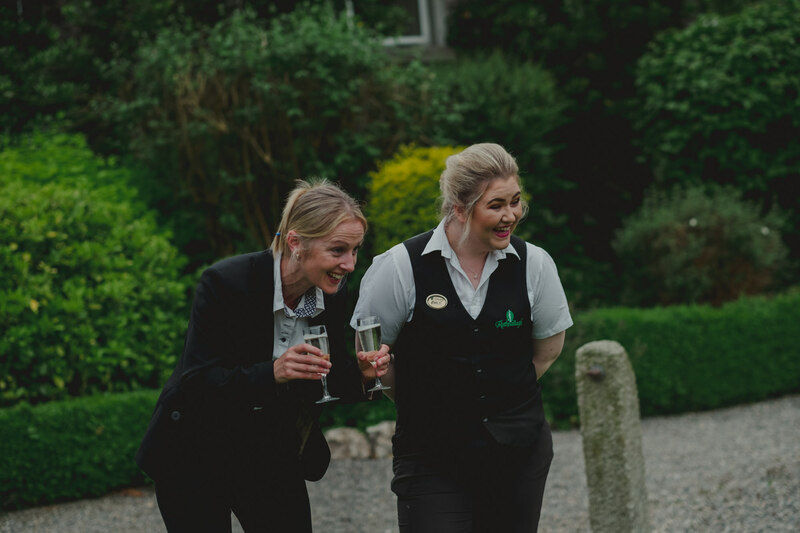 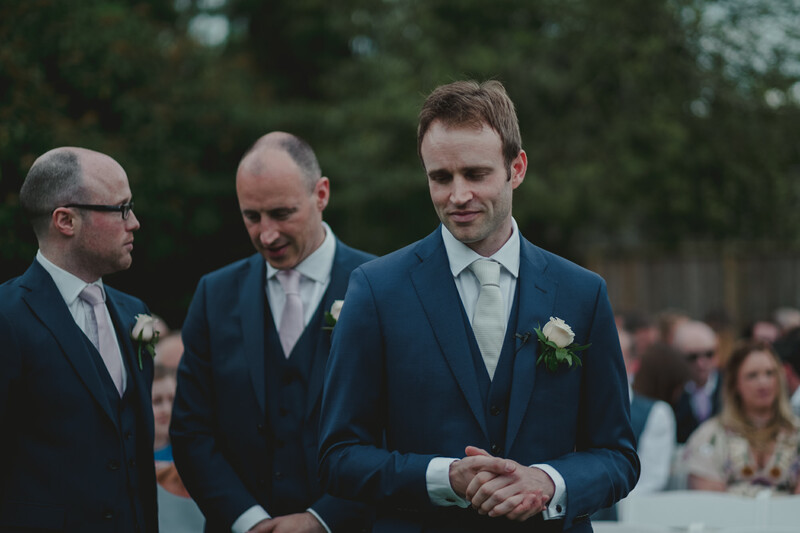 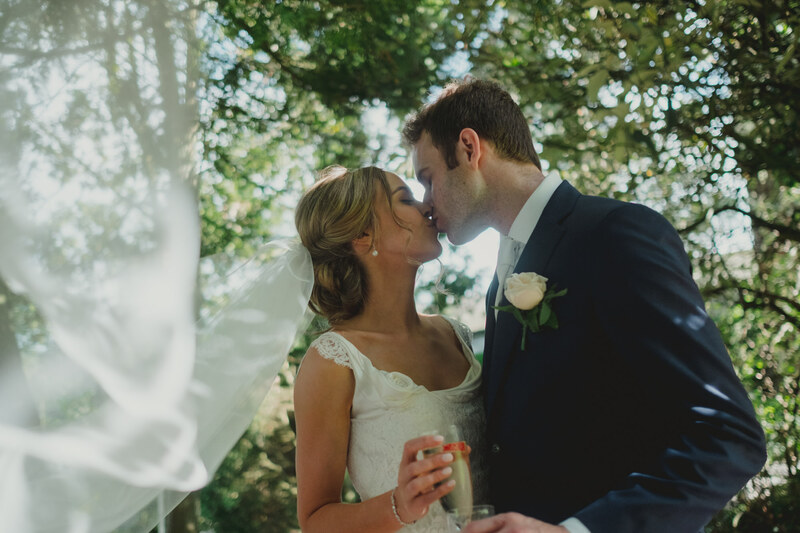 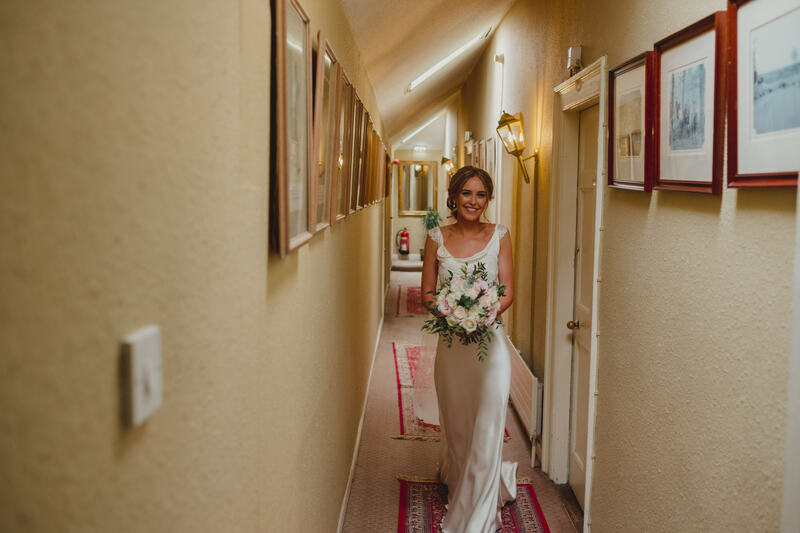 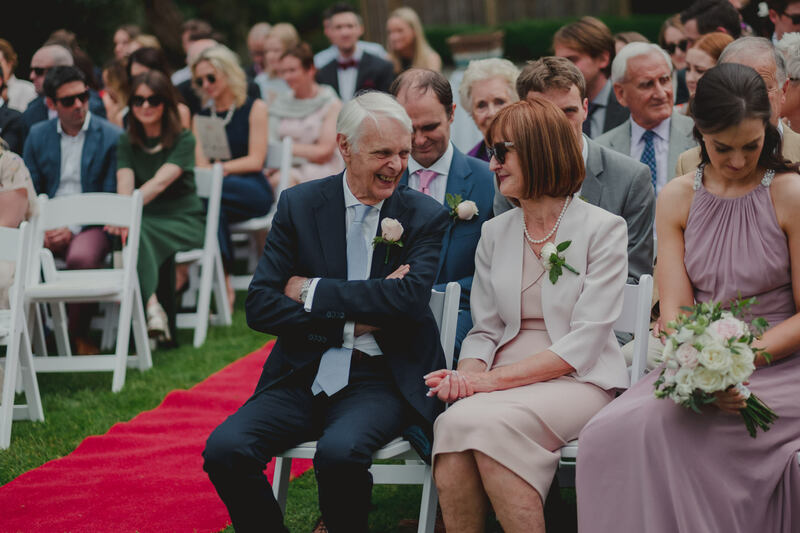 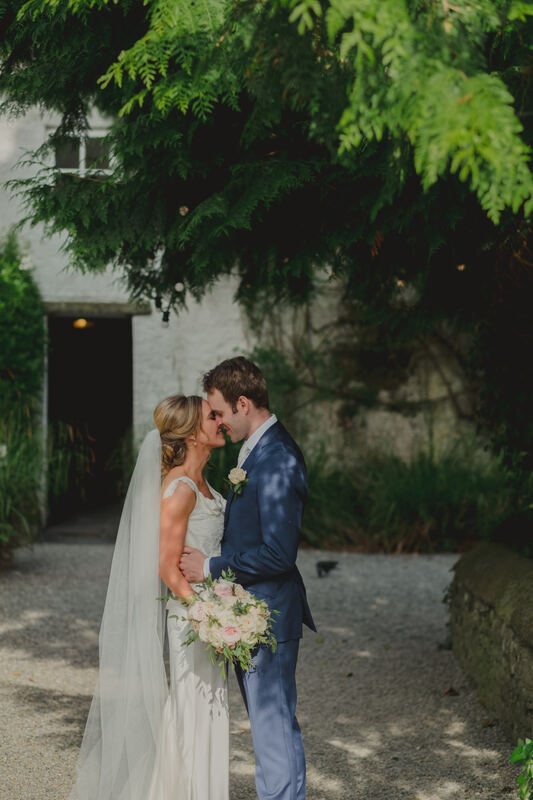 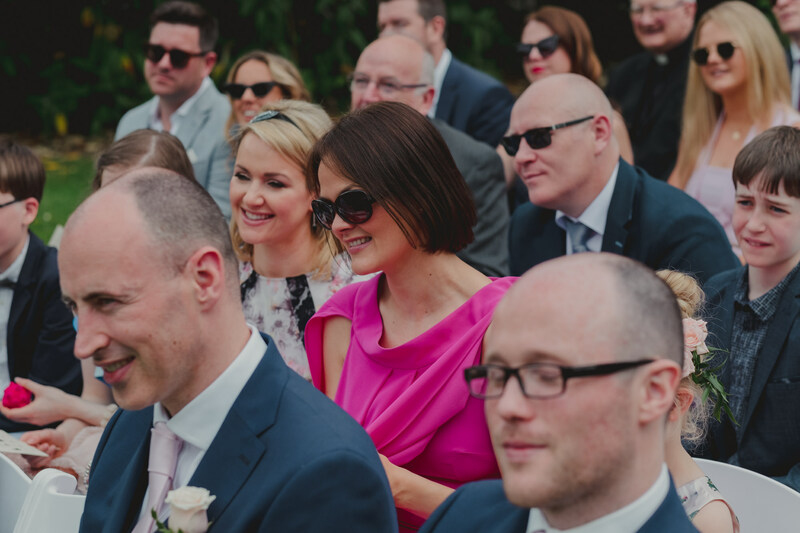 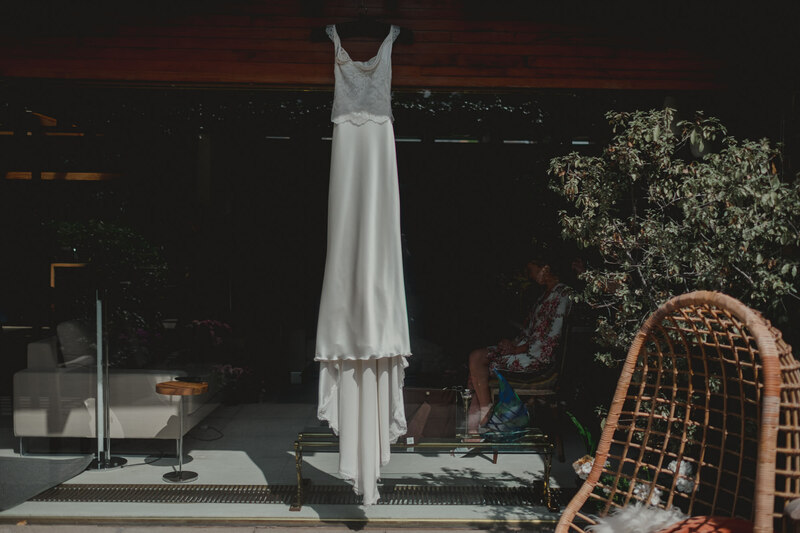 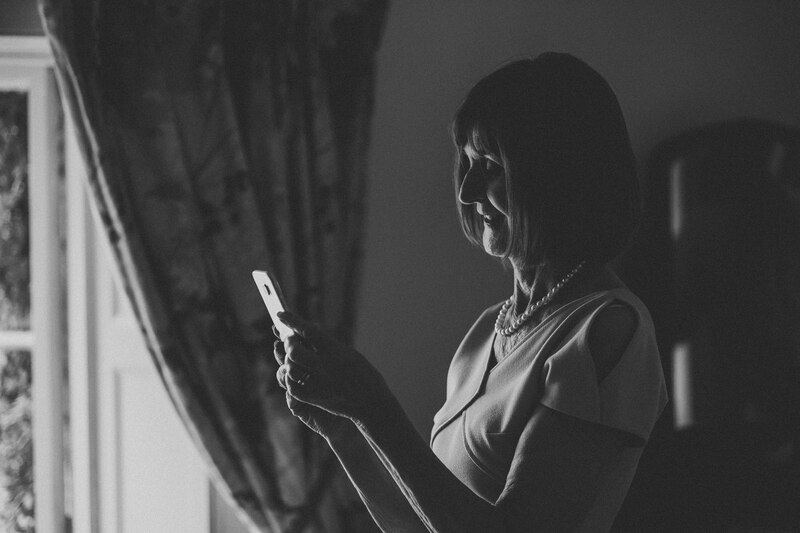 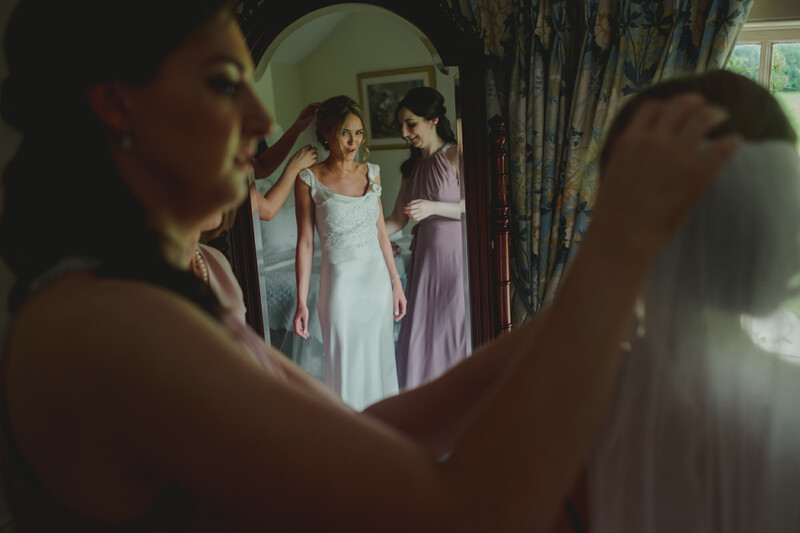 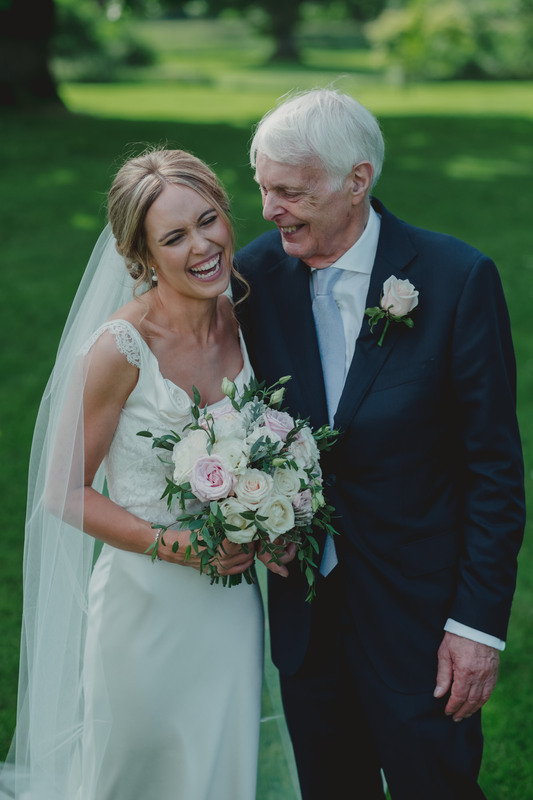 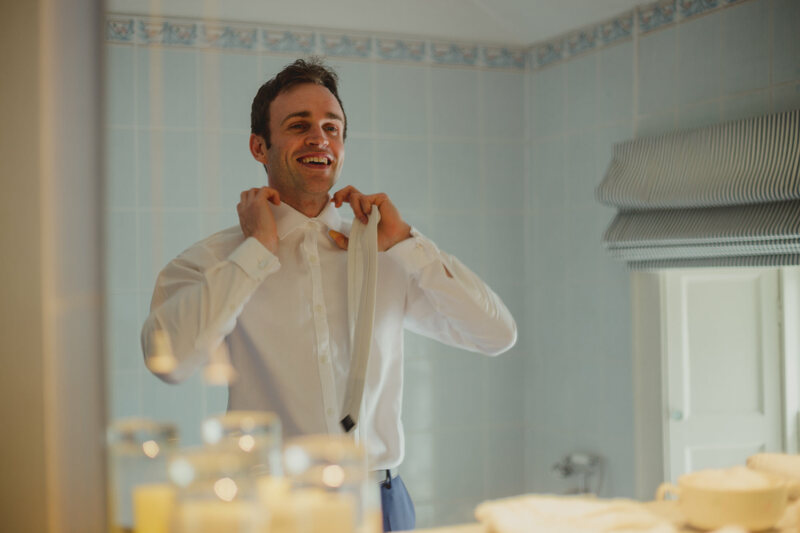 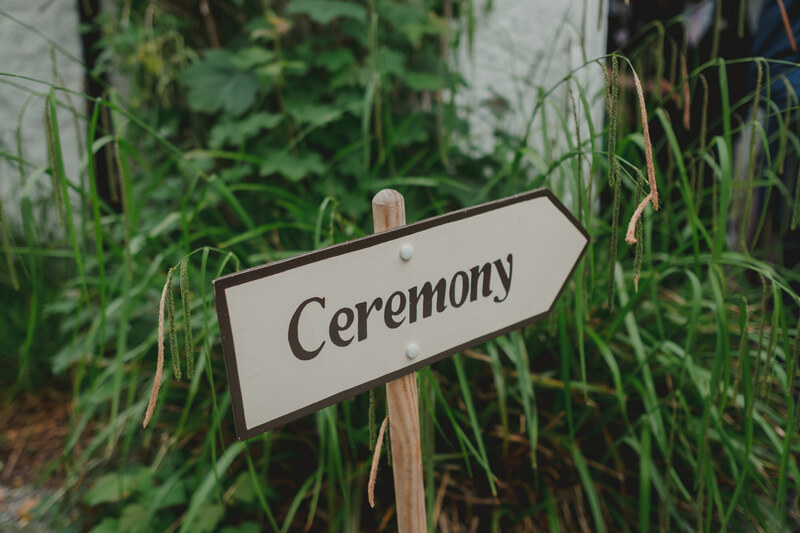 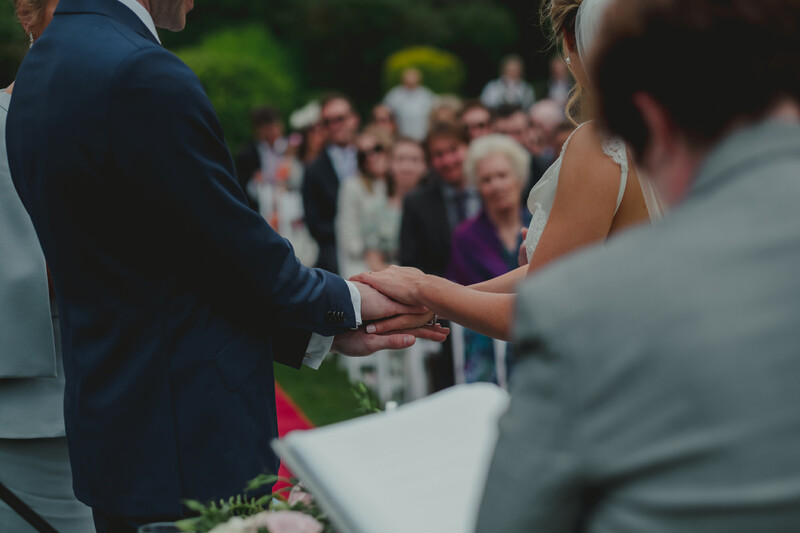 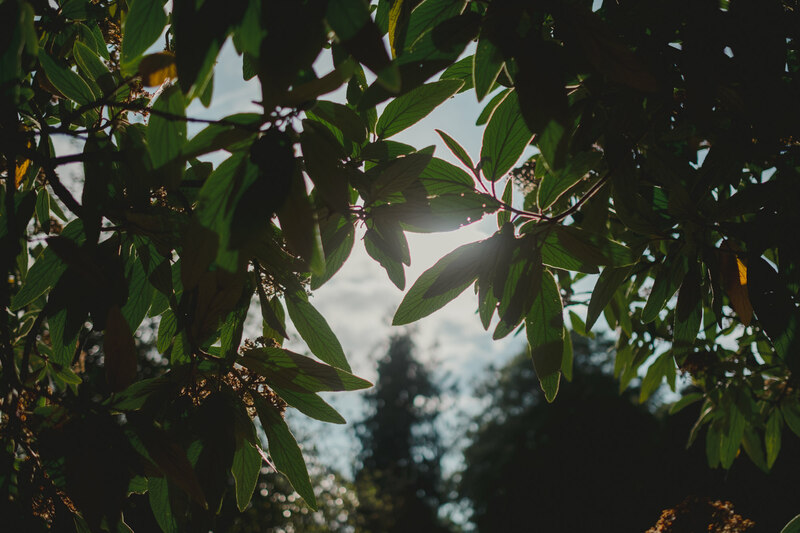 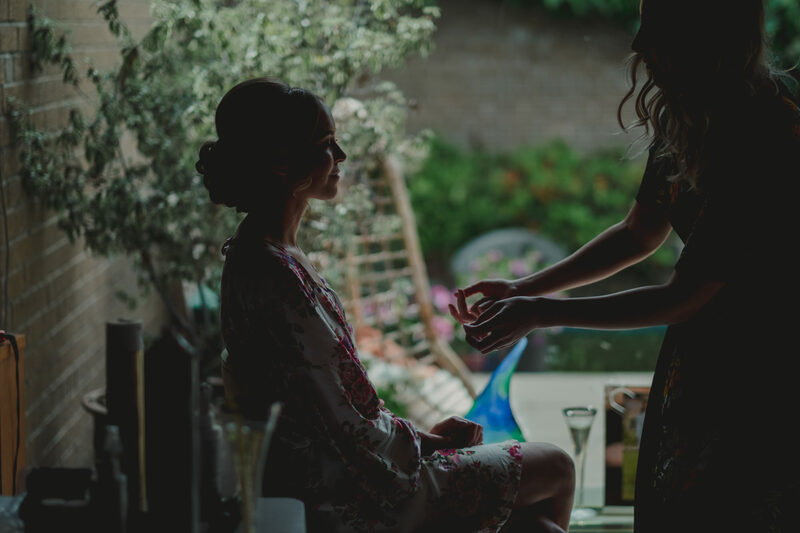 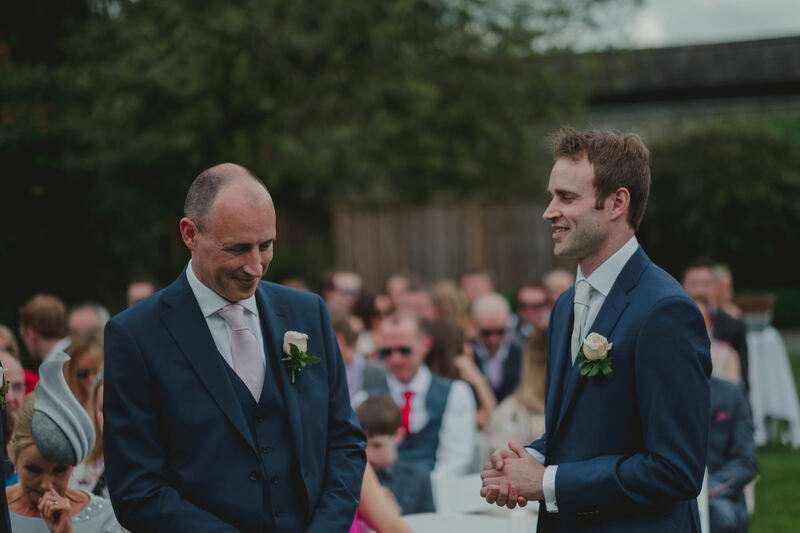 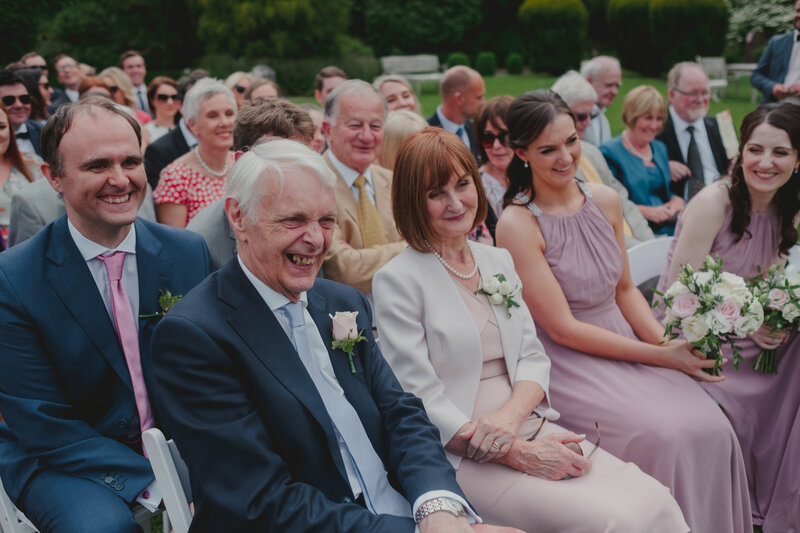 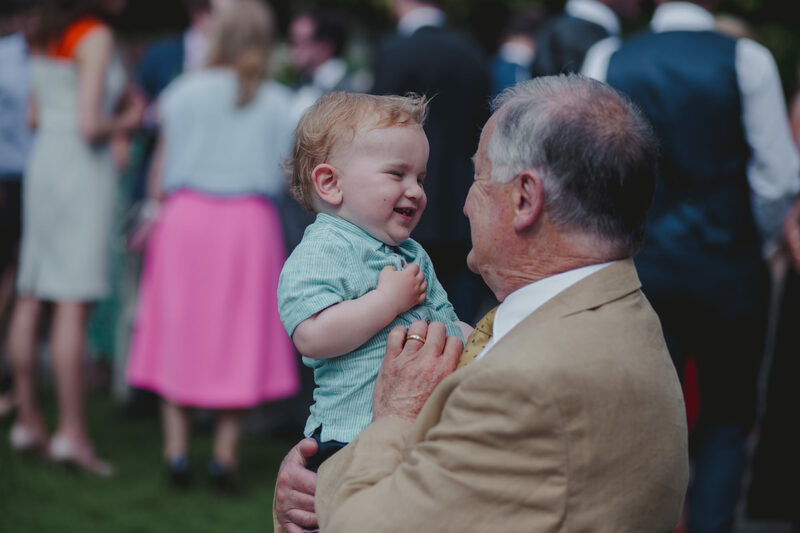 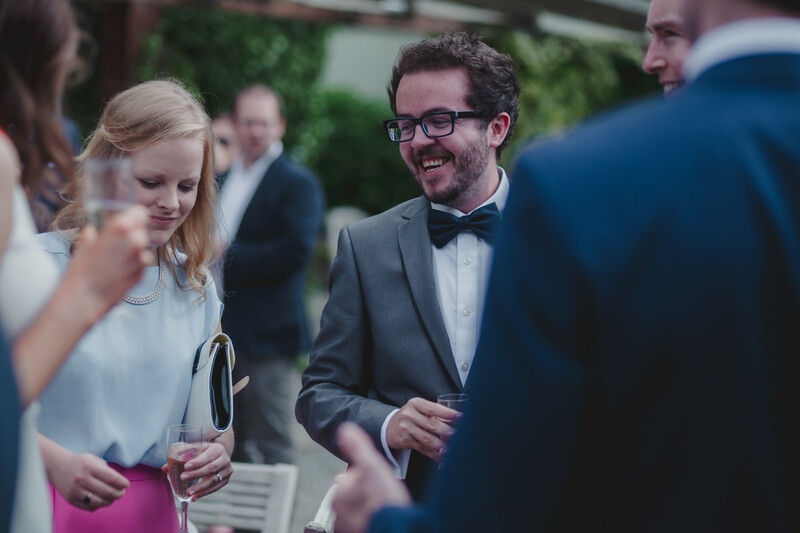 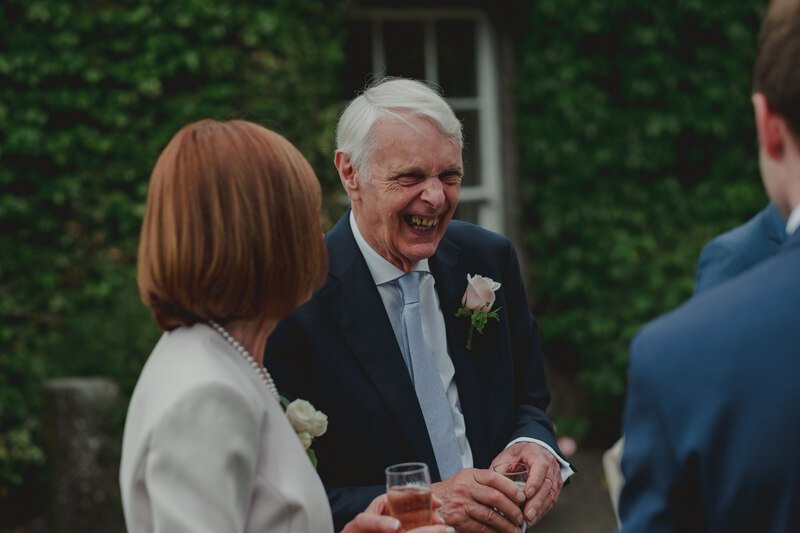 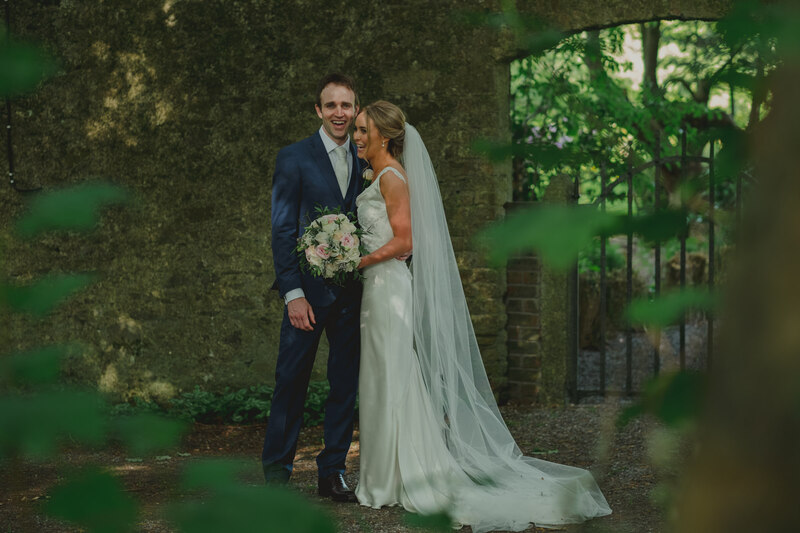 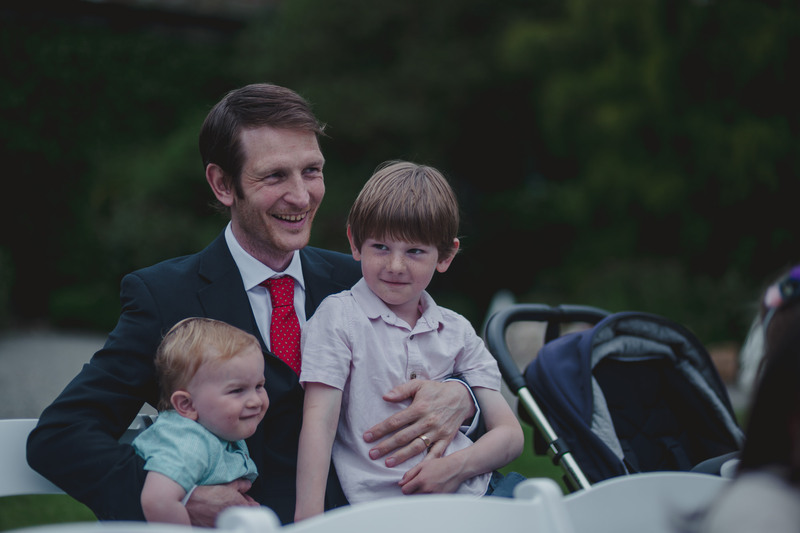 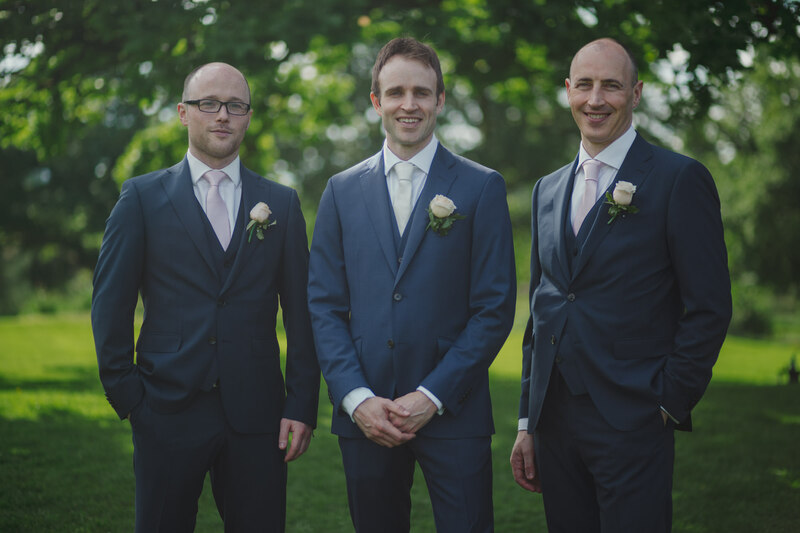 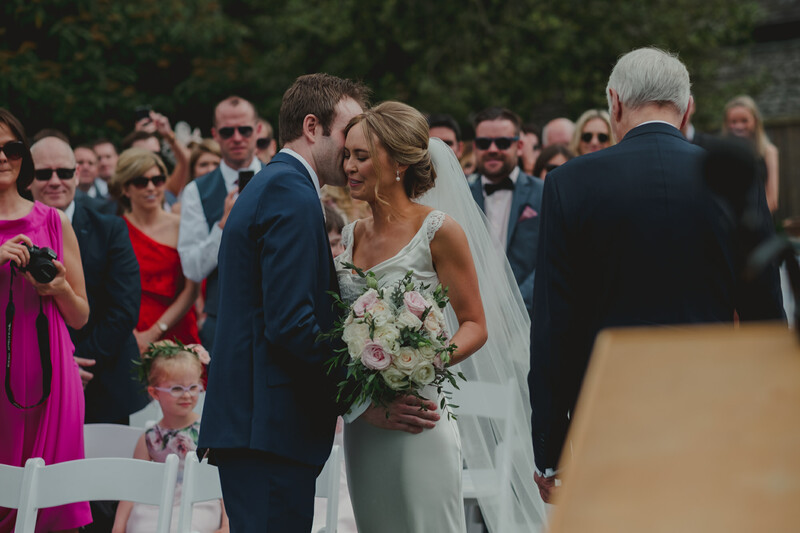 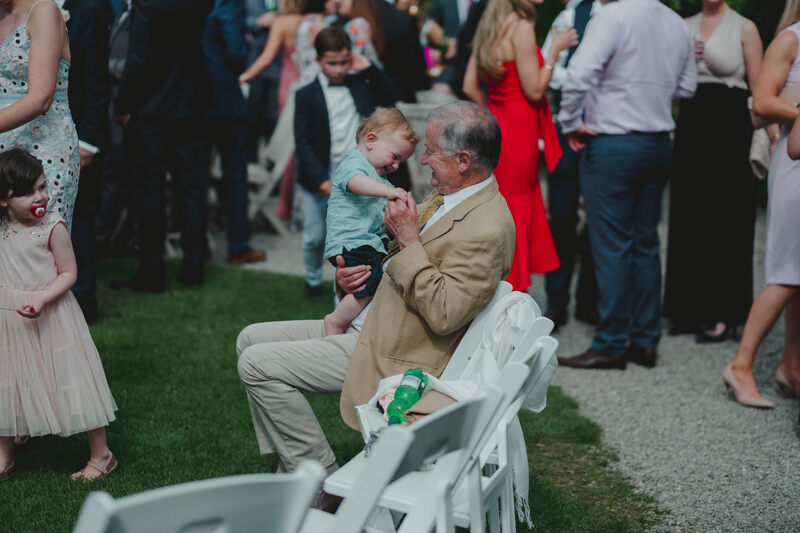 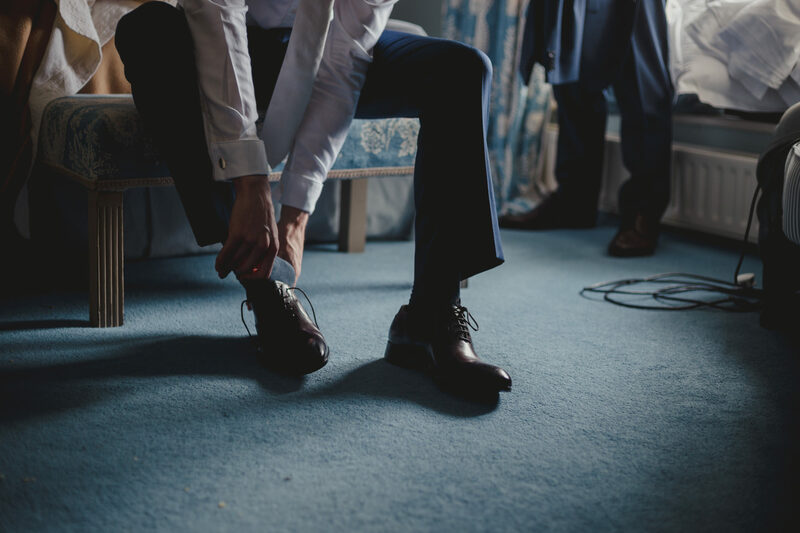 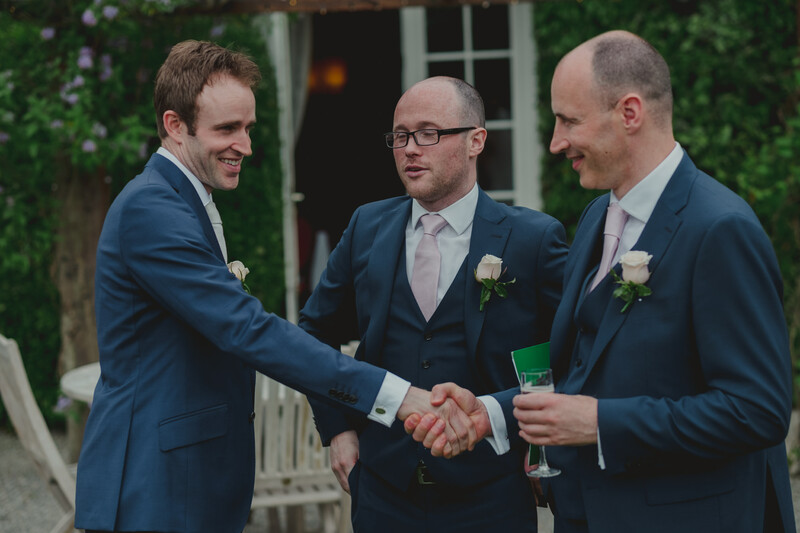 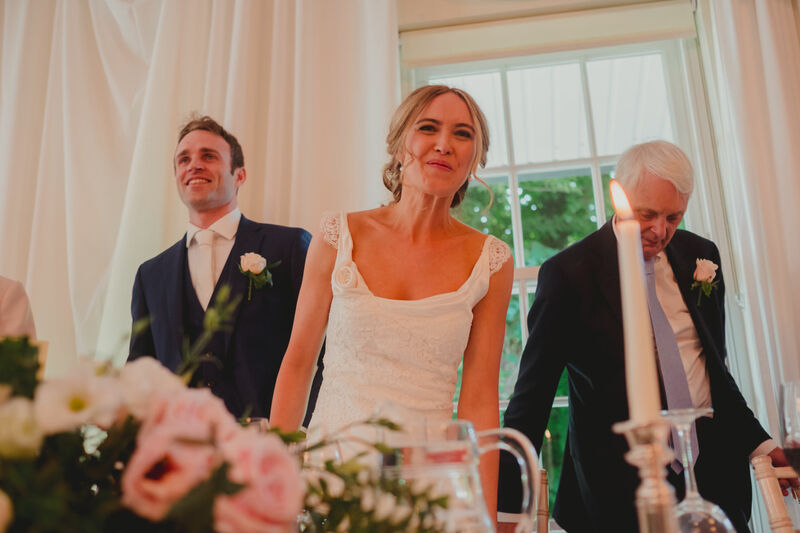 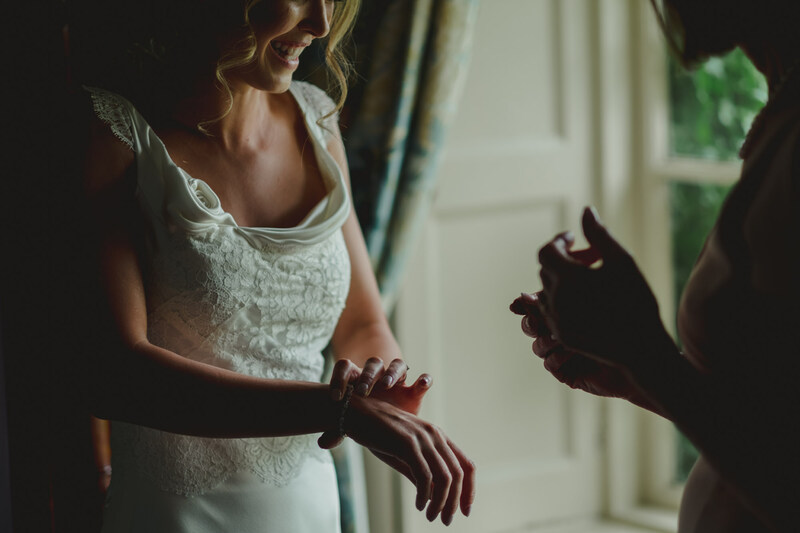 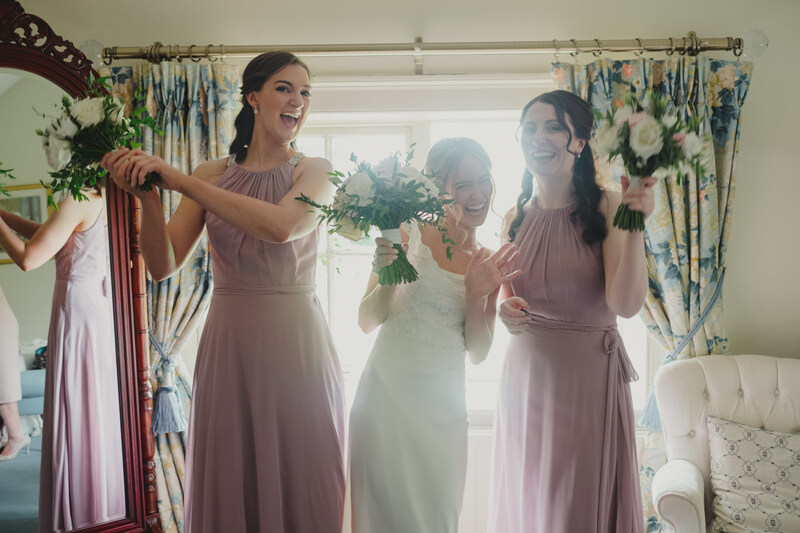 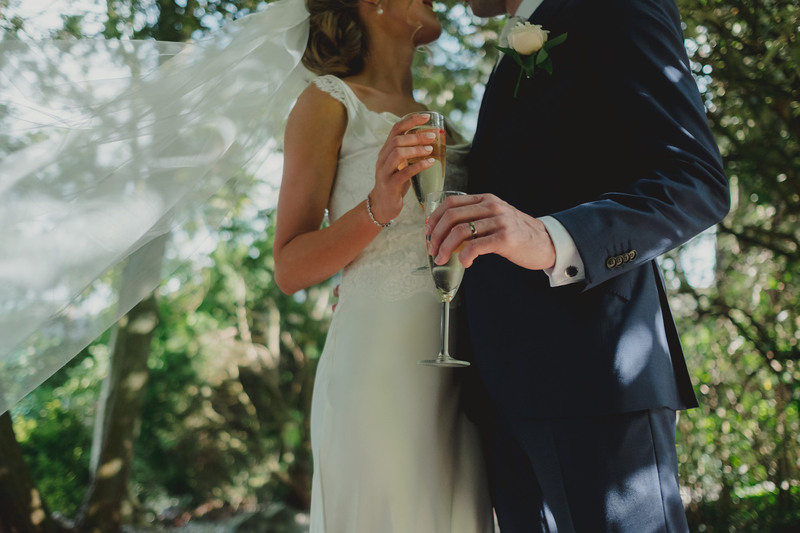 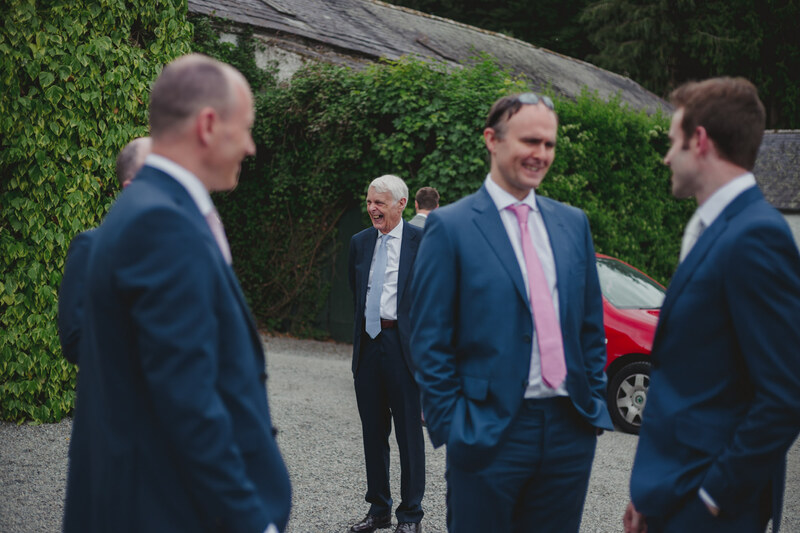 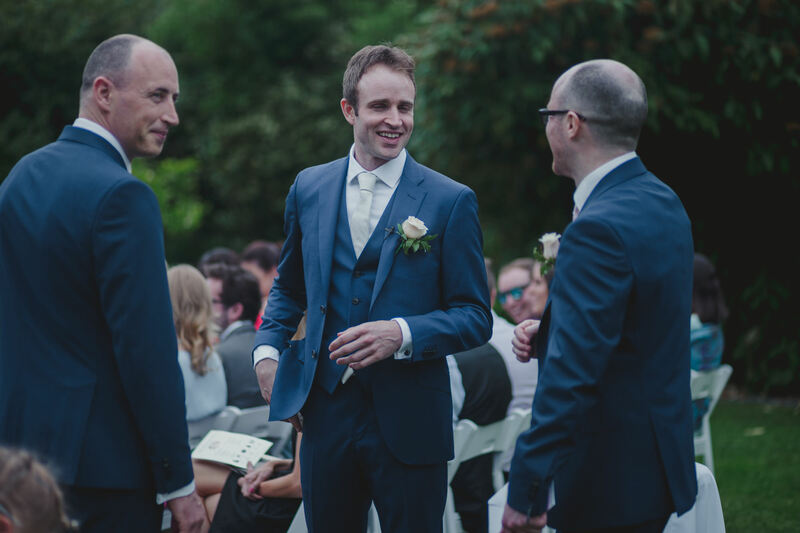 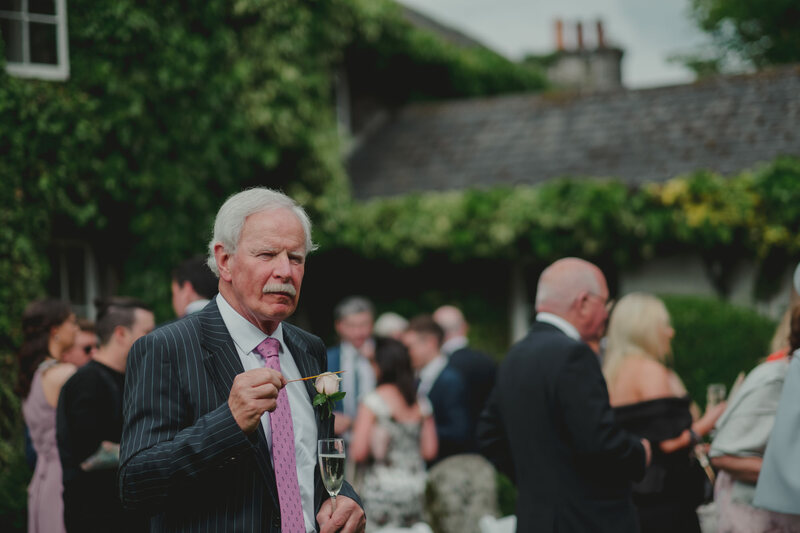 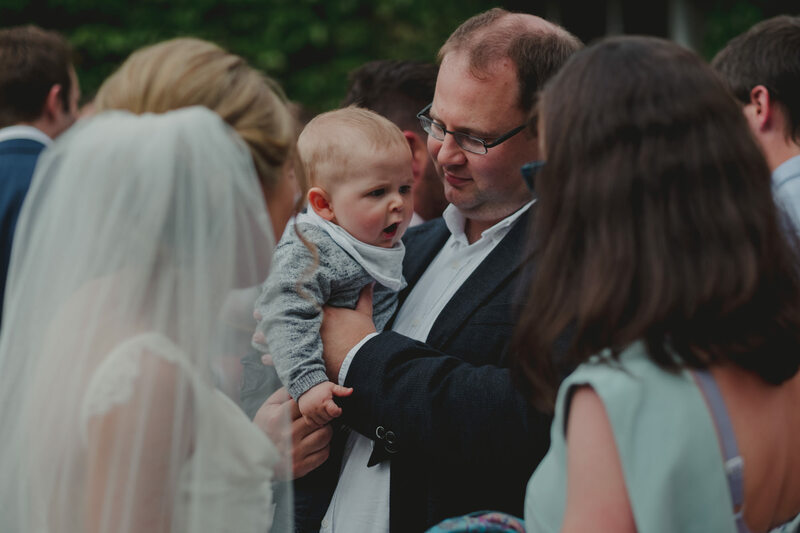 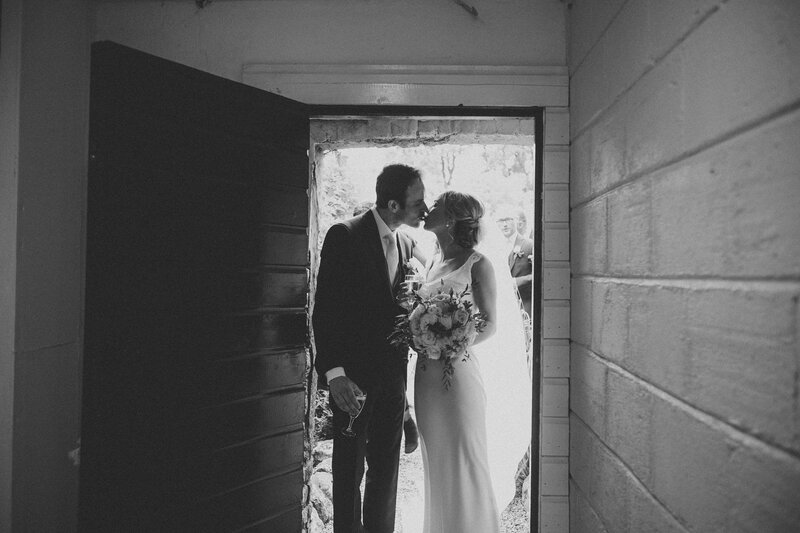 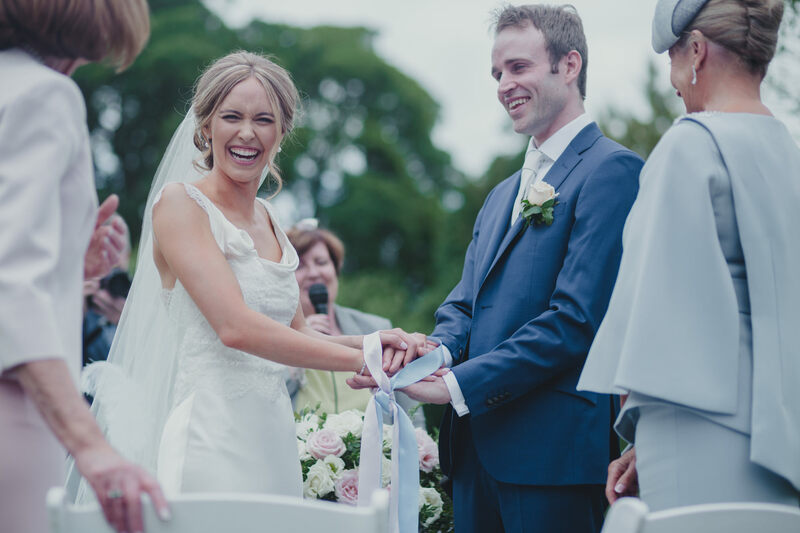 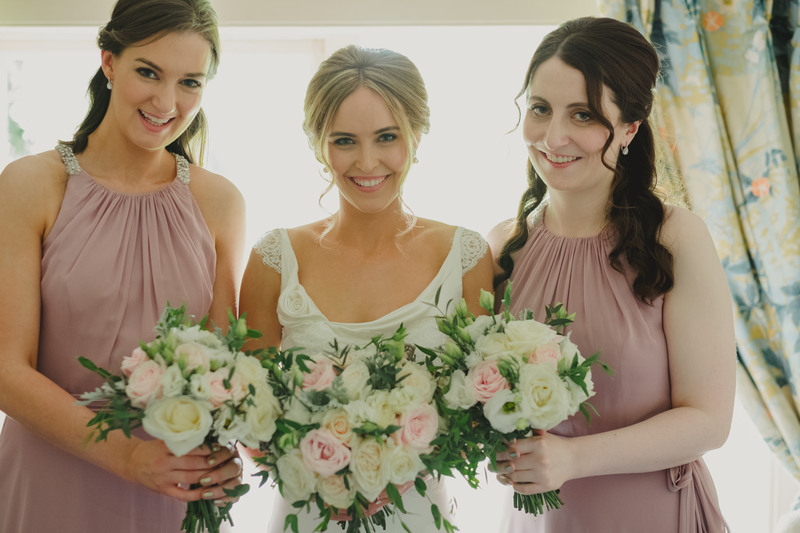 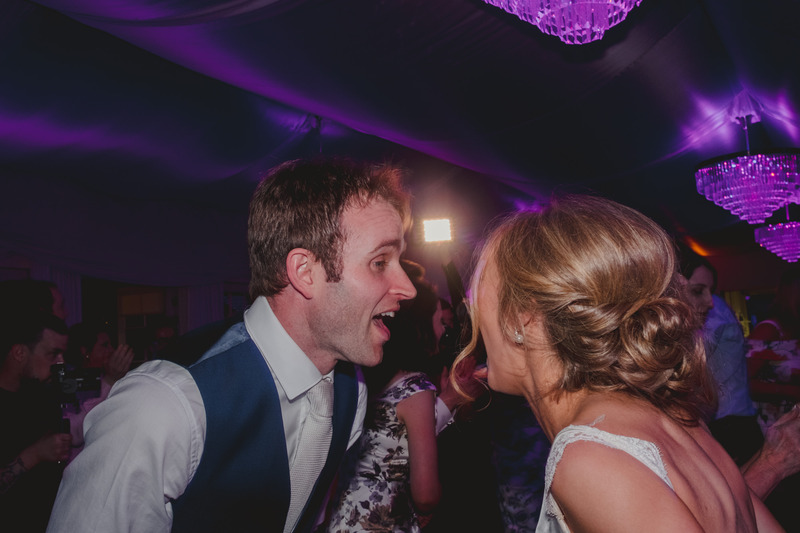 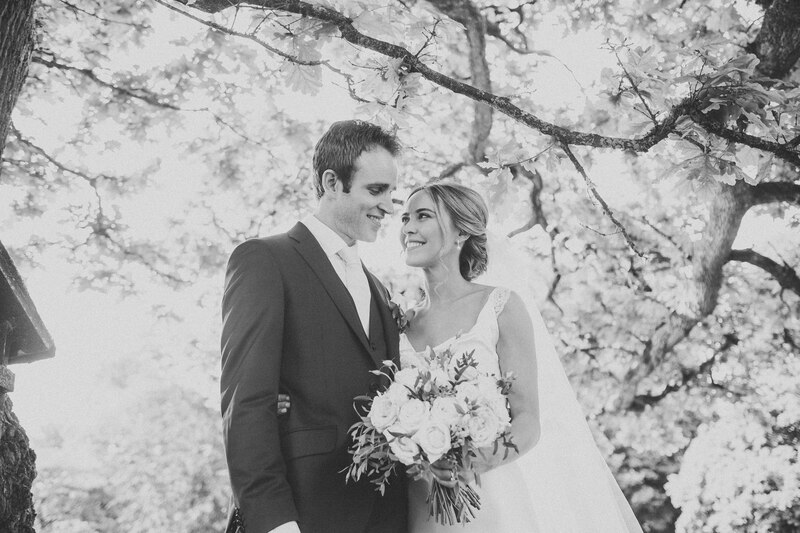 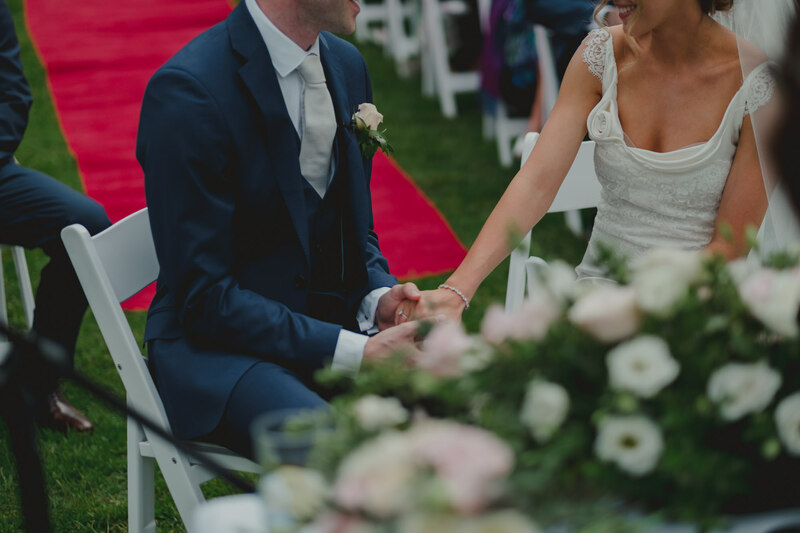 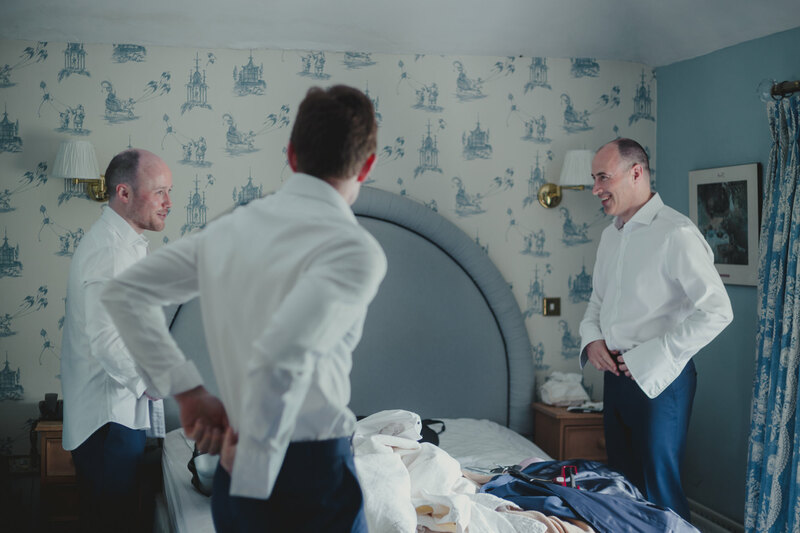 At Rathsallagh House, we caught up with Colm the groom, who was getting ready at the venue, greeting their guests upon their arrival, and continuing the smiling trend as he awaited the moment to say his vows to Danielle at their outdoor ceremony. 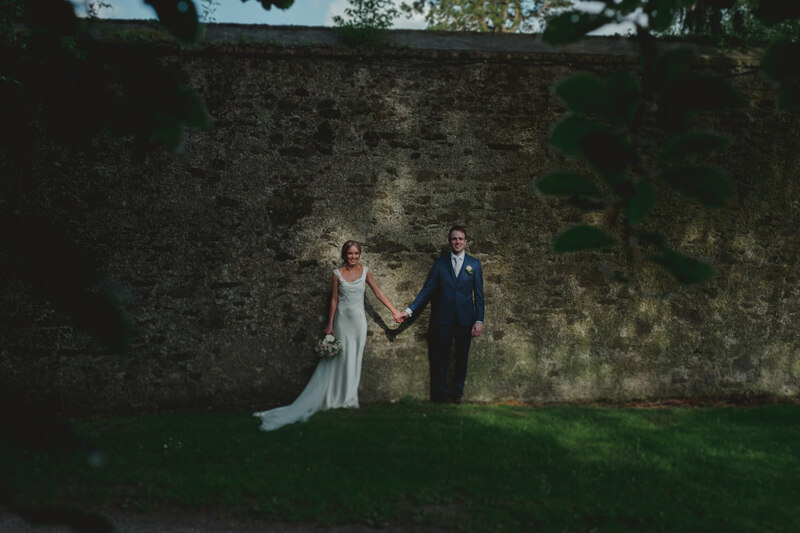 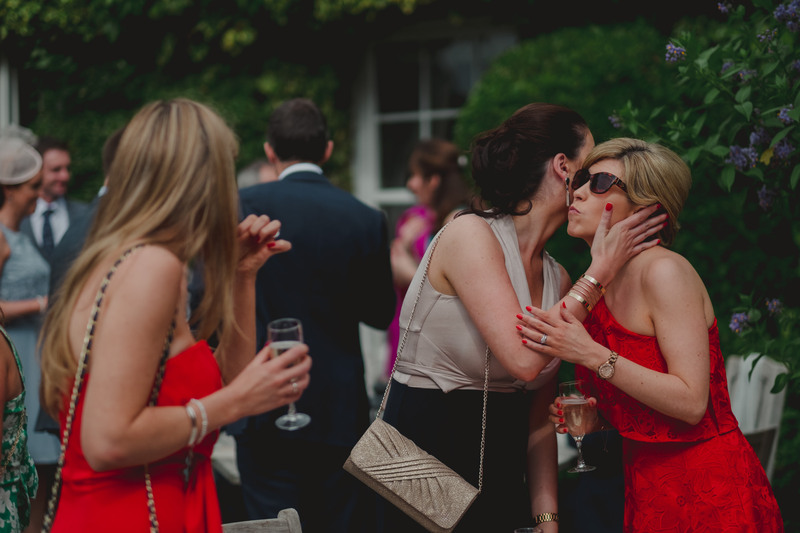 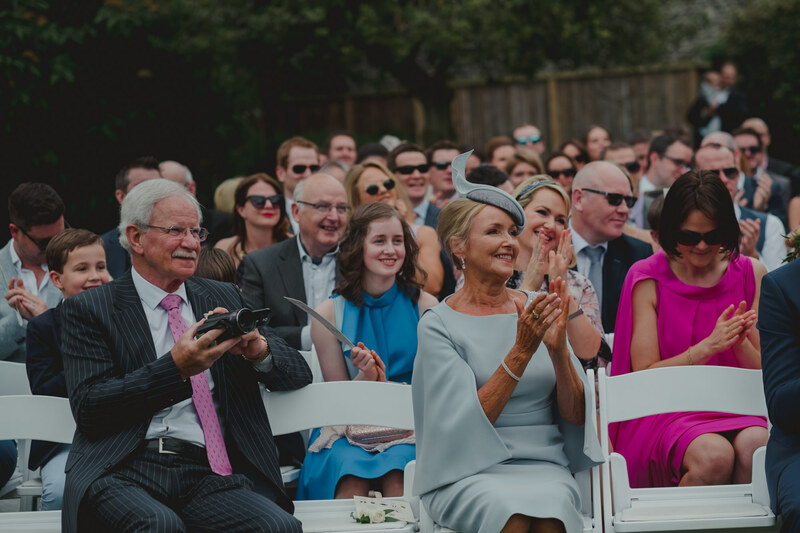 Guests gathered at the beautiful walled garden for Danielle and Colm’s Rathsallagh House wedding. 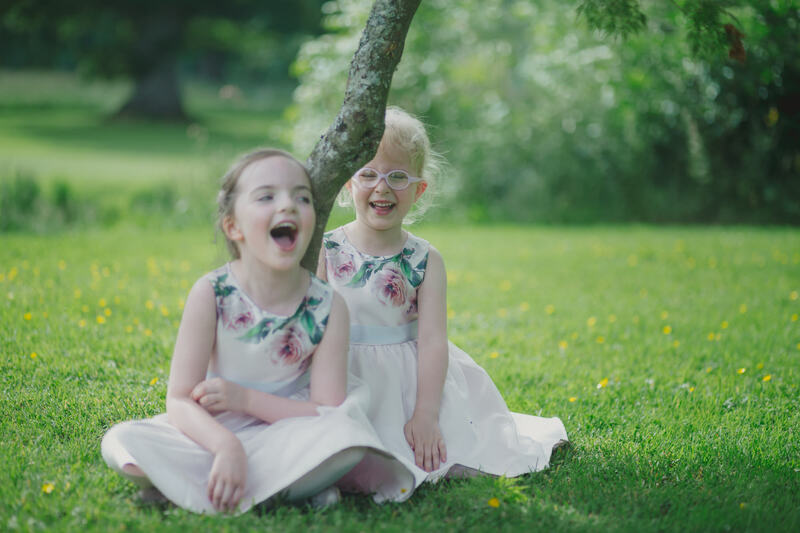 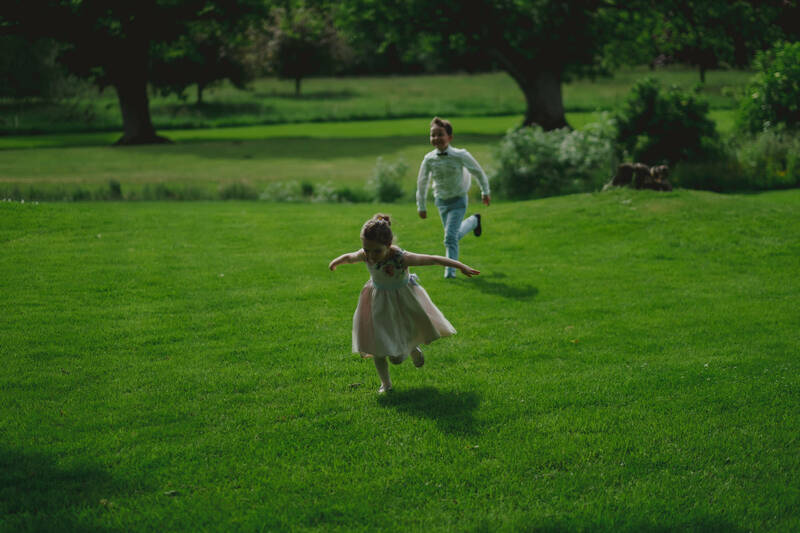 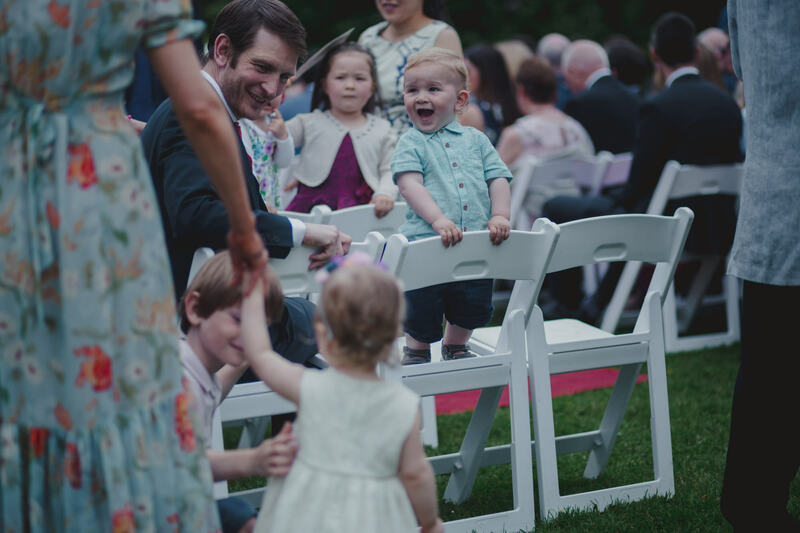 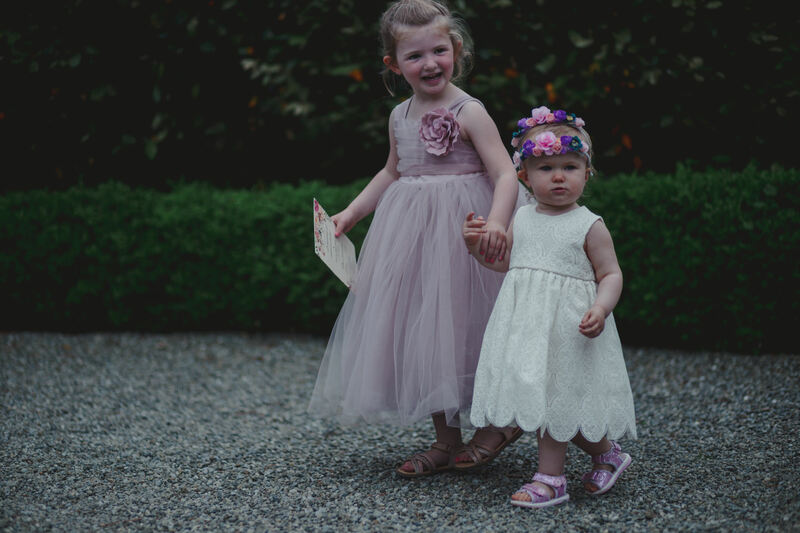 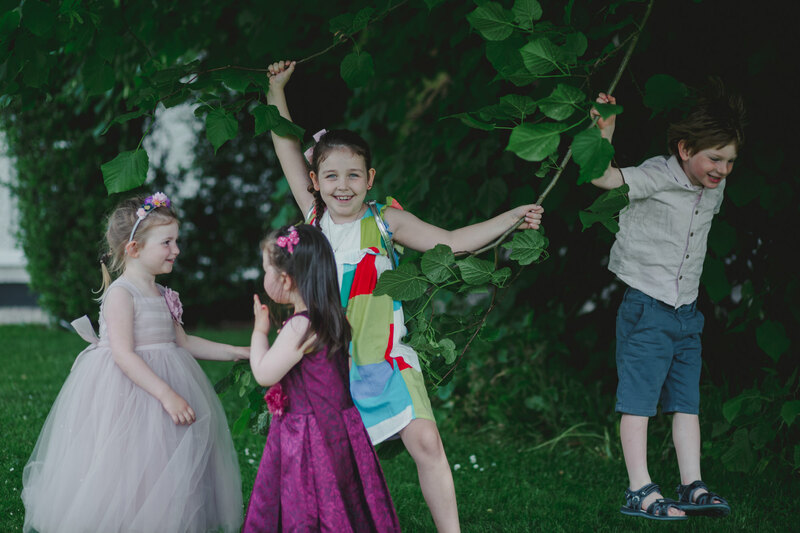 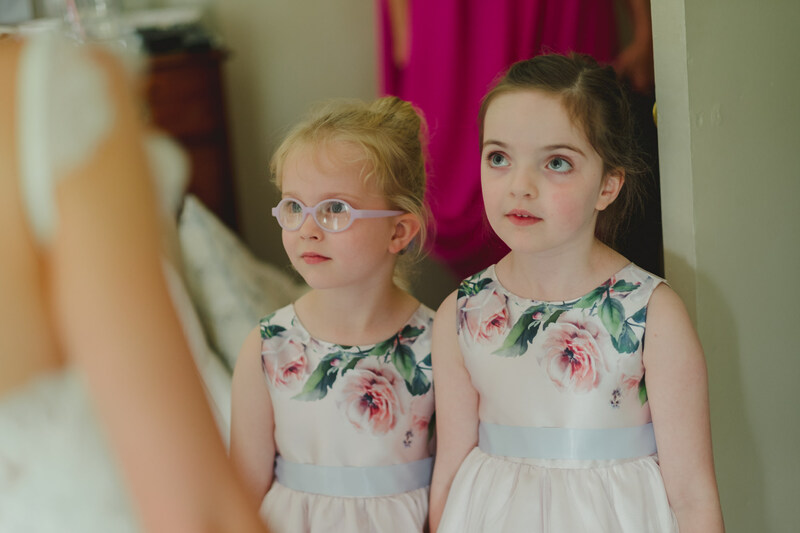 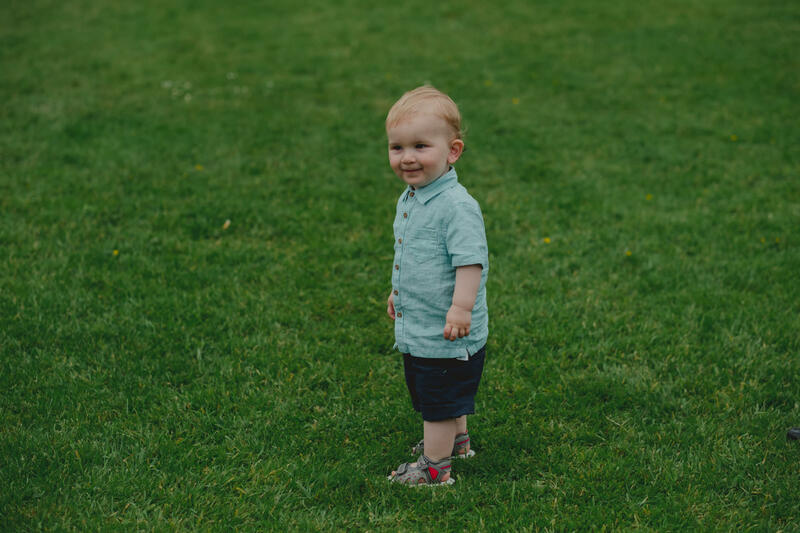 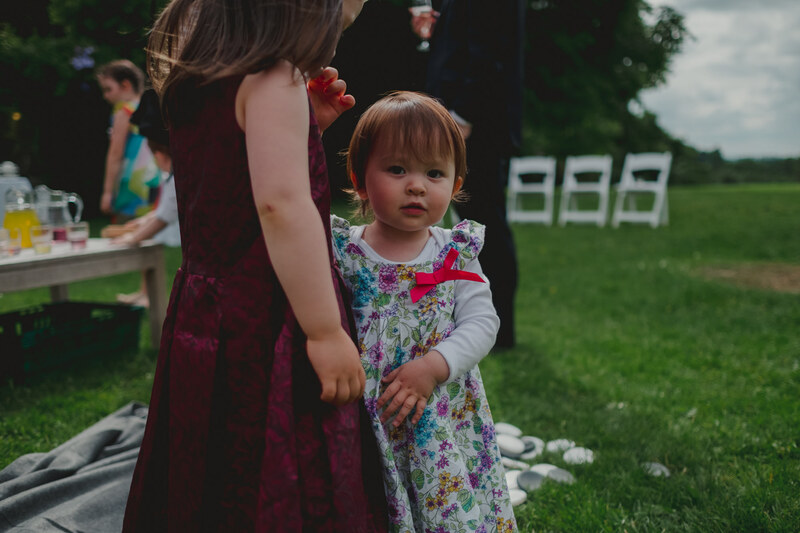 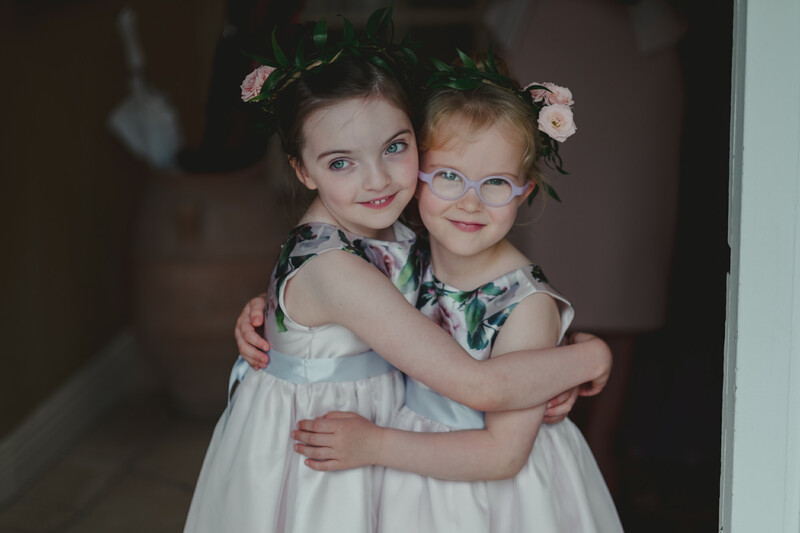 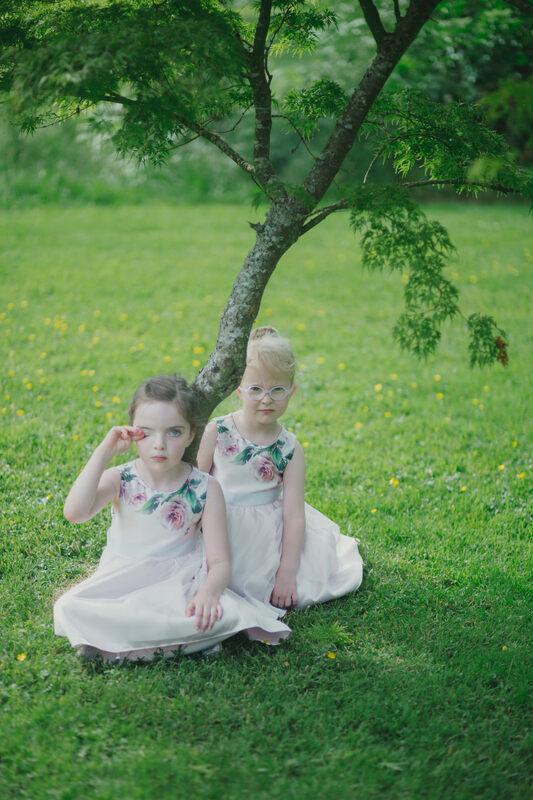 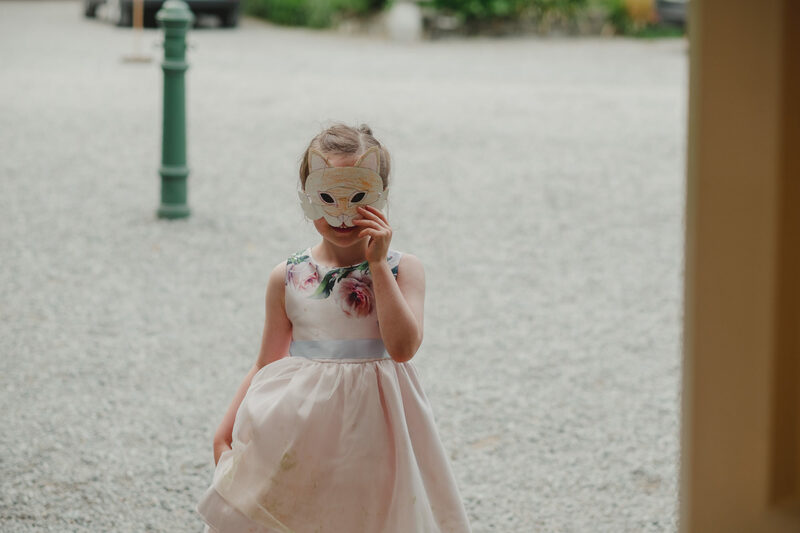 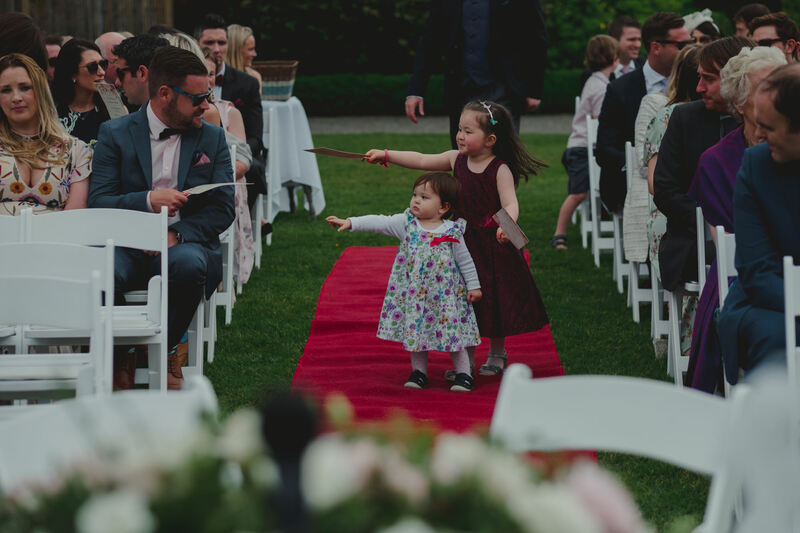 As the guests awaited the brides arrival, the children in attendance played chase in the grass, as Colm’s sister sang and played at the piano. 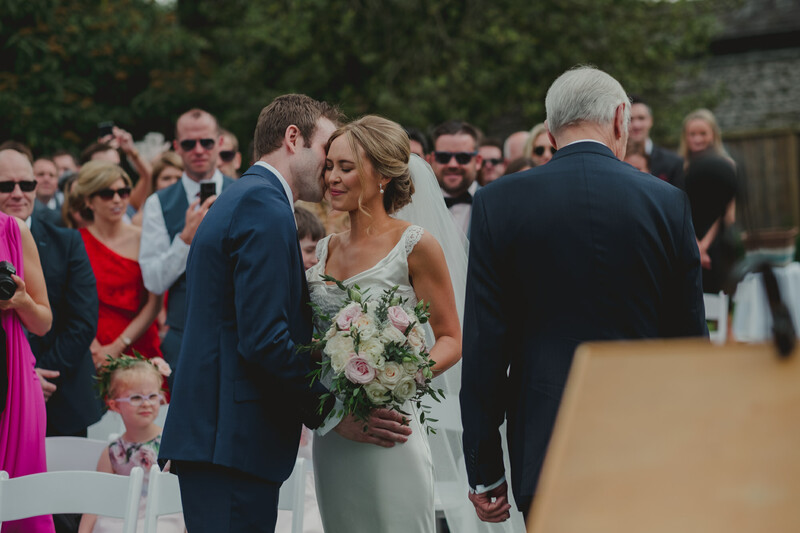 The beautiful ceremony itself included a traditional Irish hand tying ceremony, and concluded with pouring sand into a unity vase. 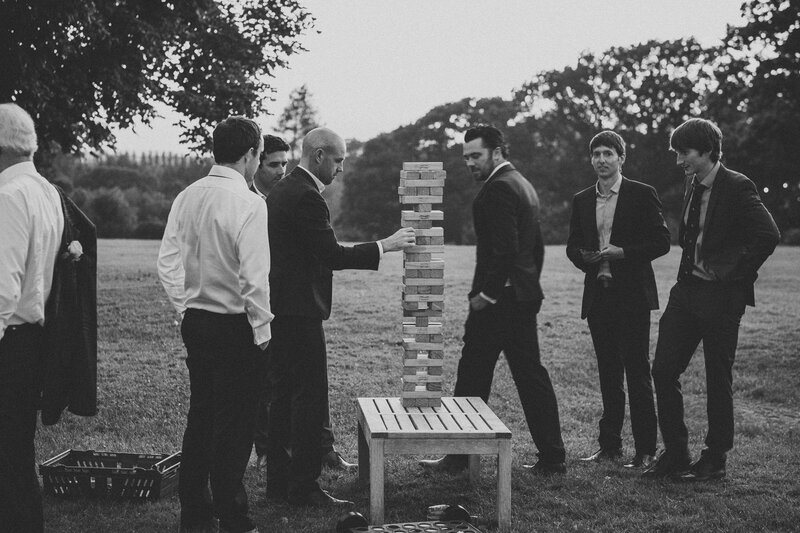 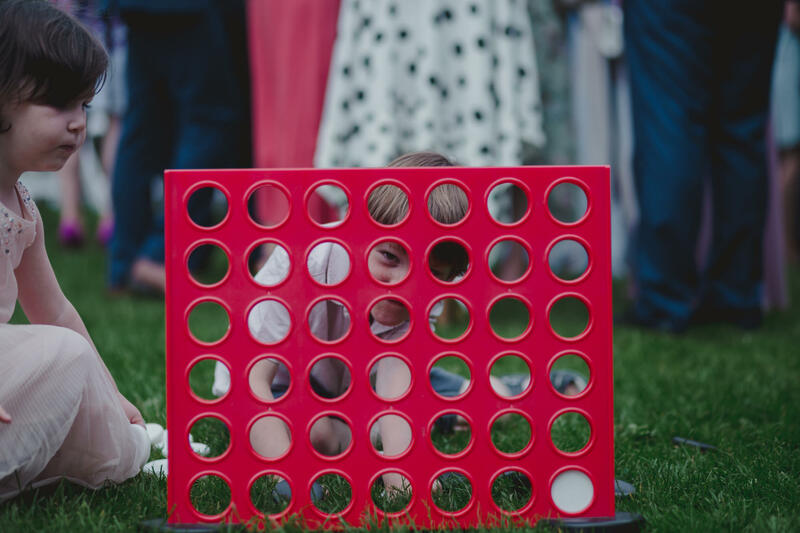 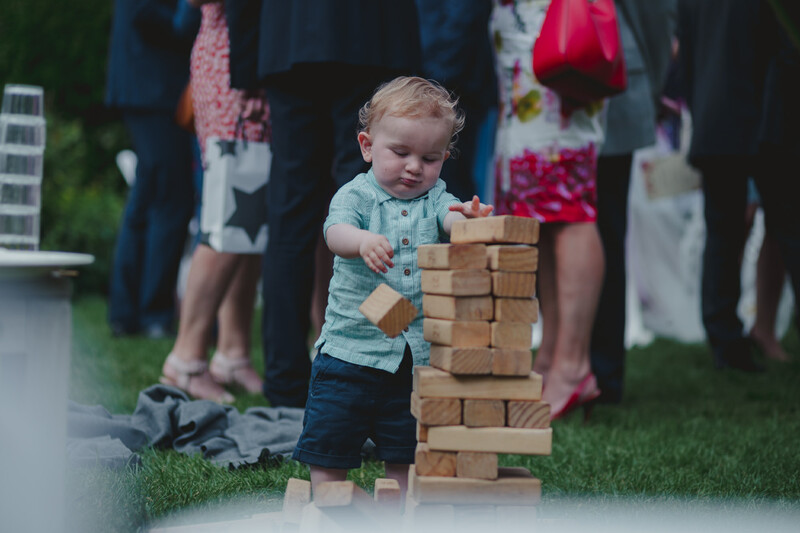 As the post ceremony drinks reception commenced, the kids played Jenga on the lawn, canapés were passed around, and yes Danielle and Colm still had smiles on their faces. 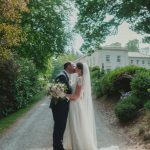 We took them for their bridal portraits on the wonderful grounds which provided the perfect backdrop for their Rathsallagh House wedding. 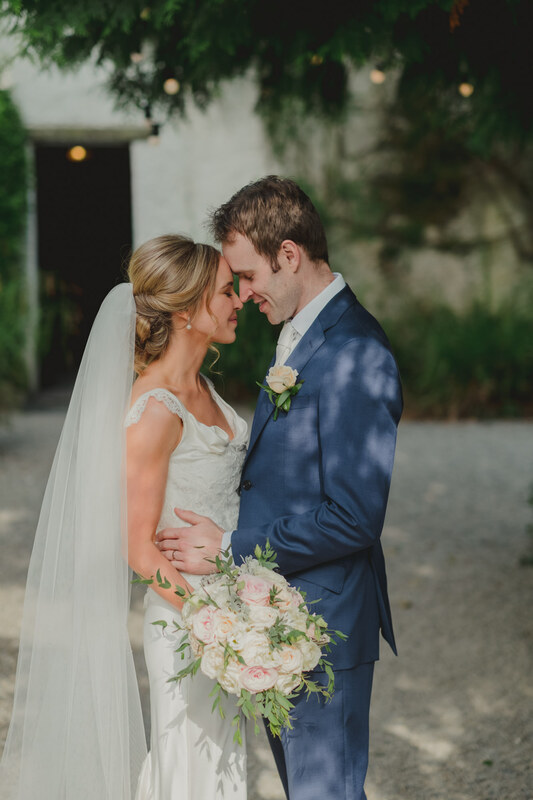 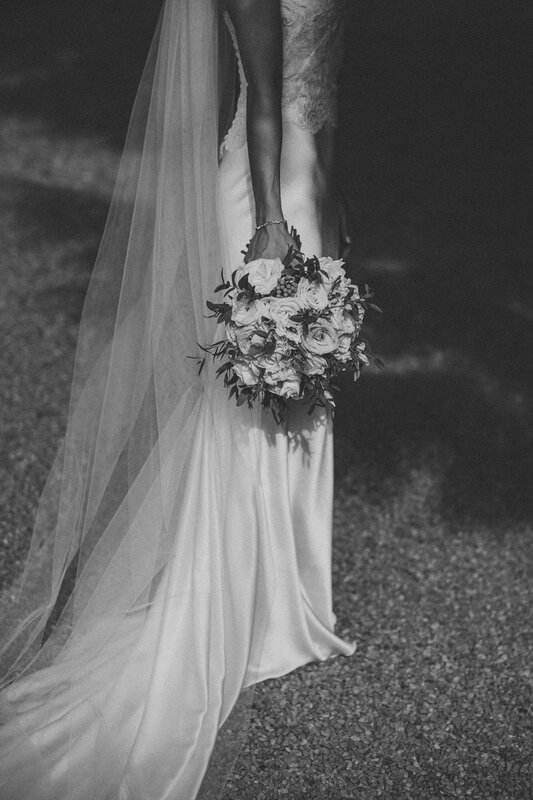 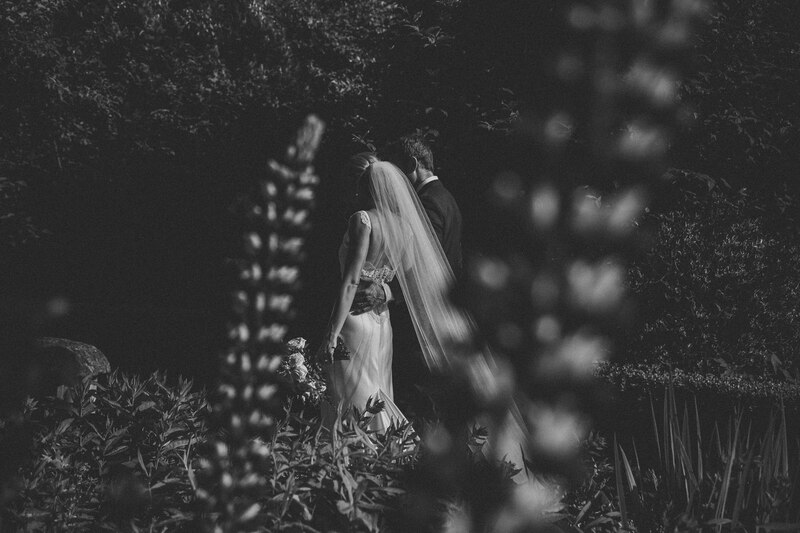 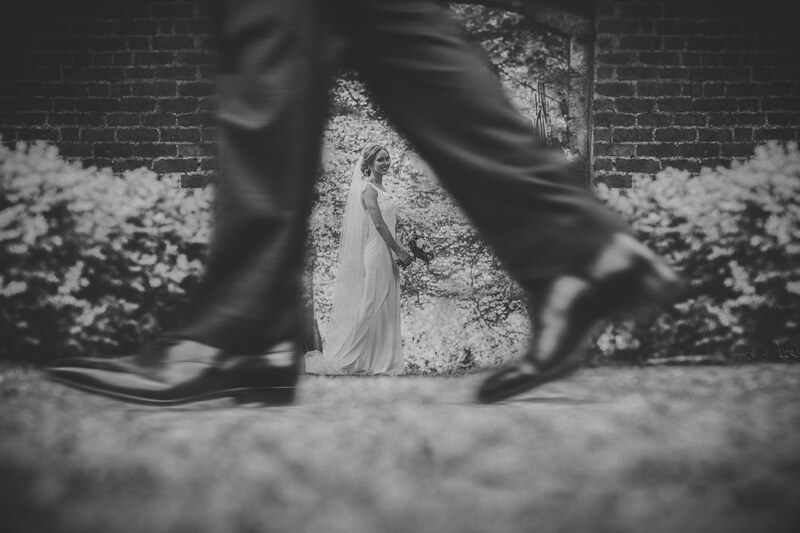 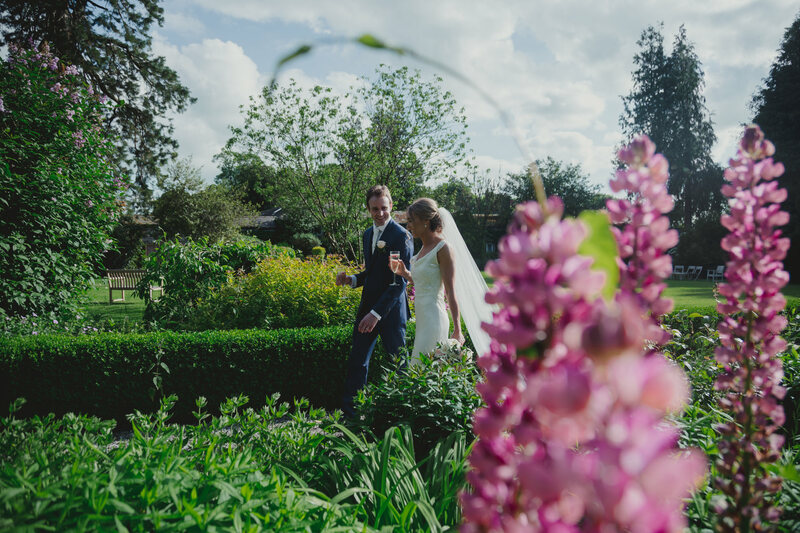 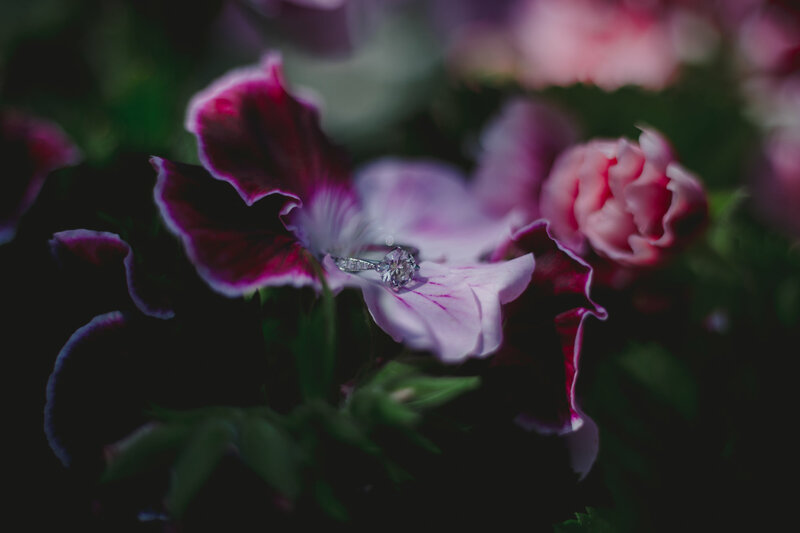 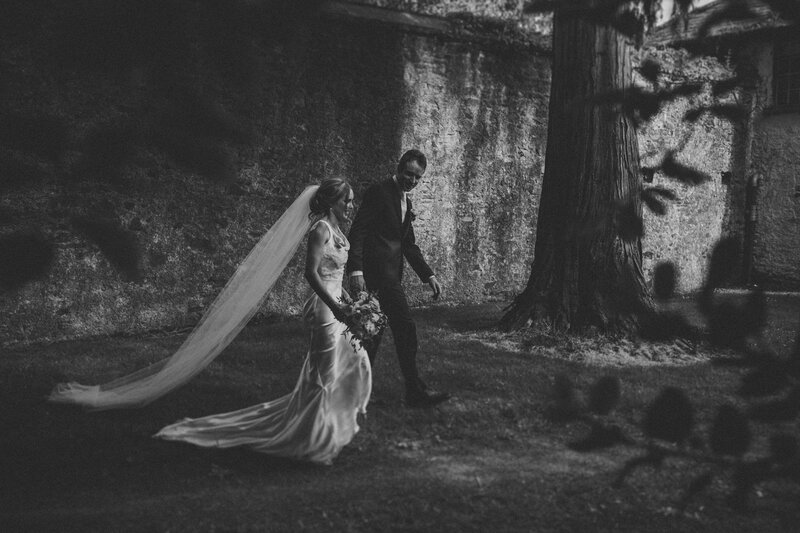 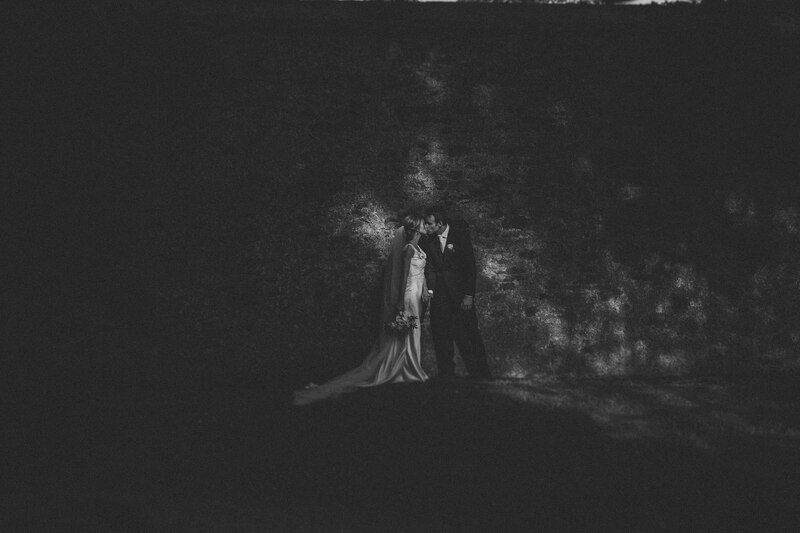 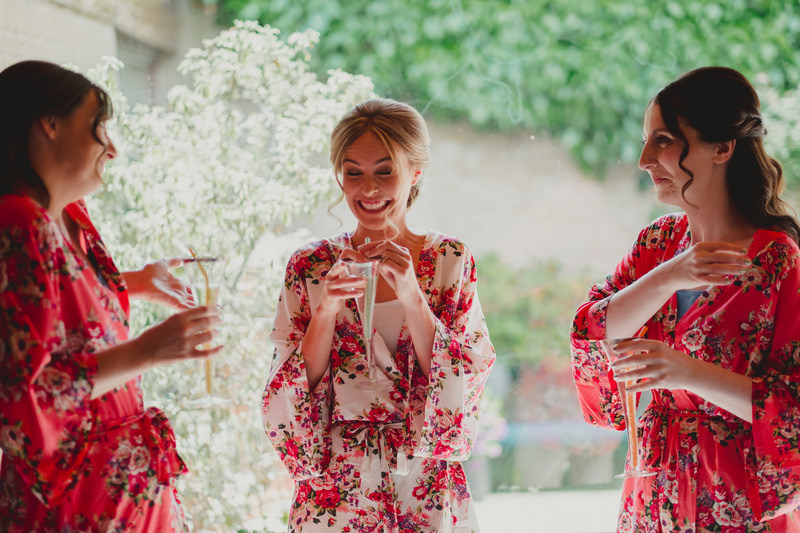 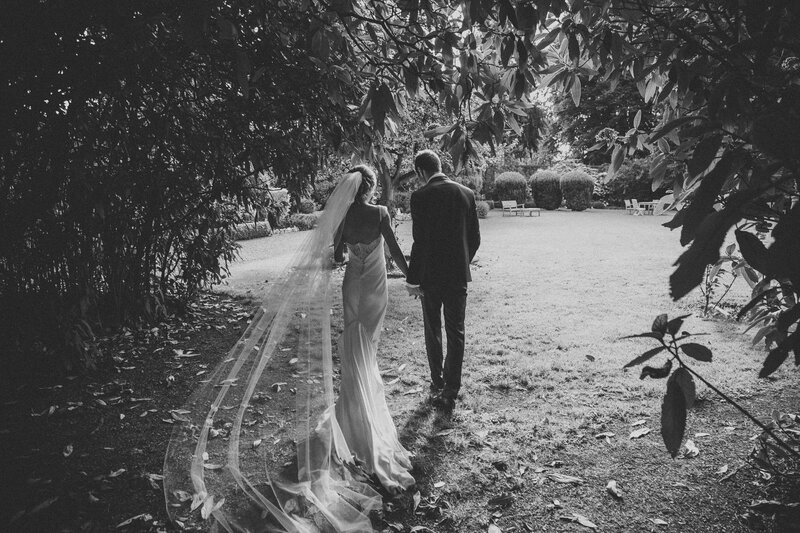 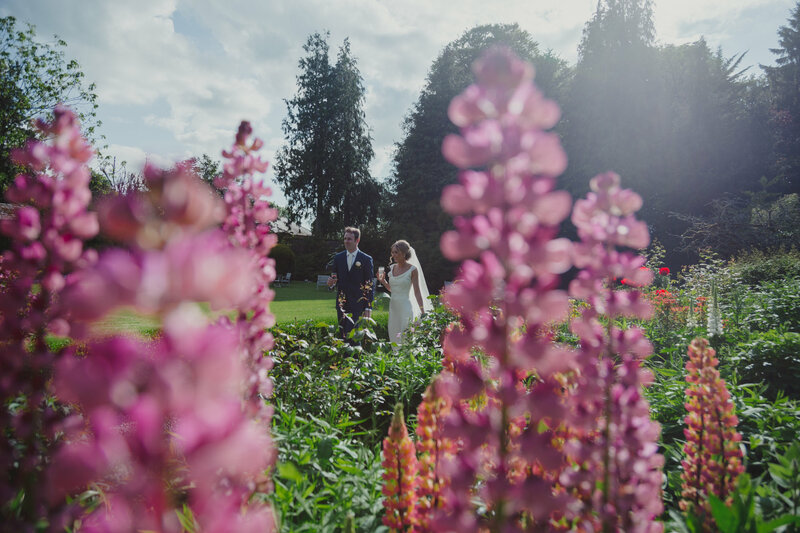 As we strolled though the walled gardens, the light and flowers followed, enhancing all the photographs we took of the newly married Mr. and Mrs. 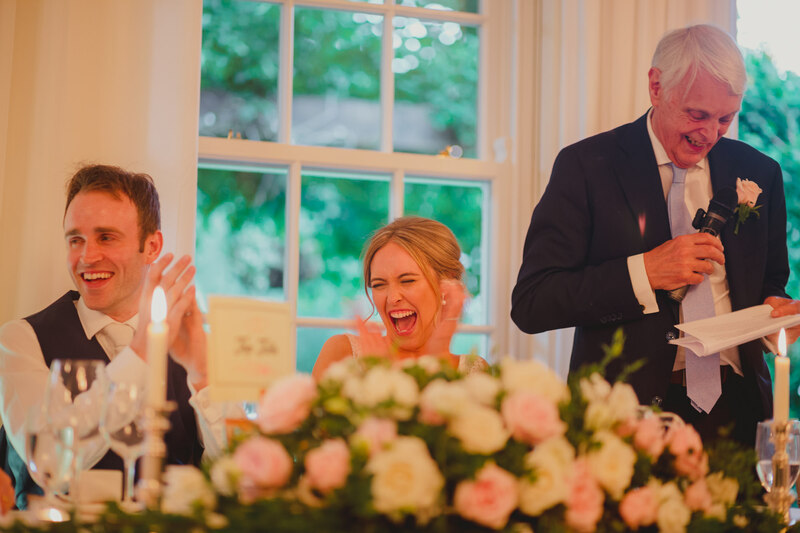 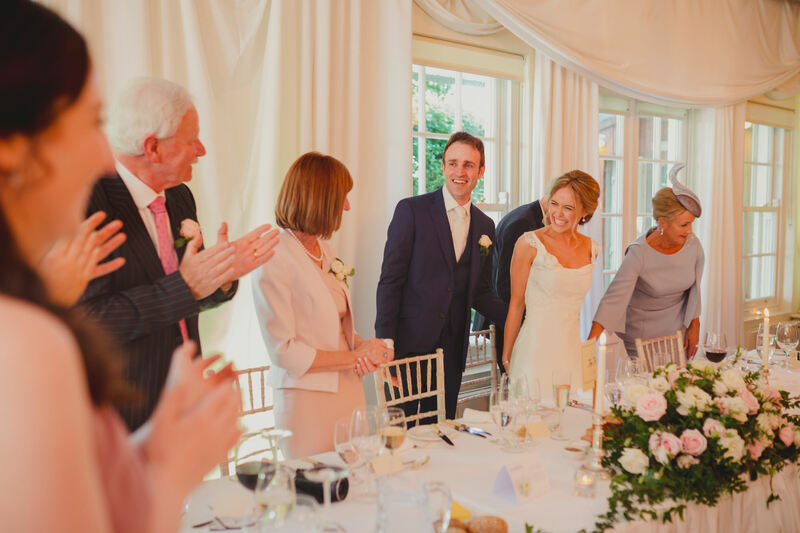 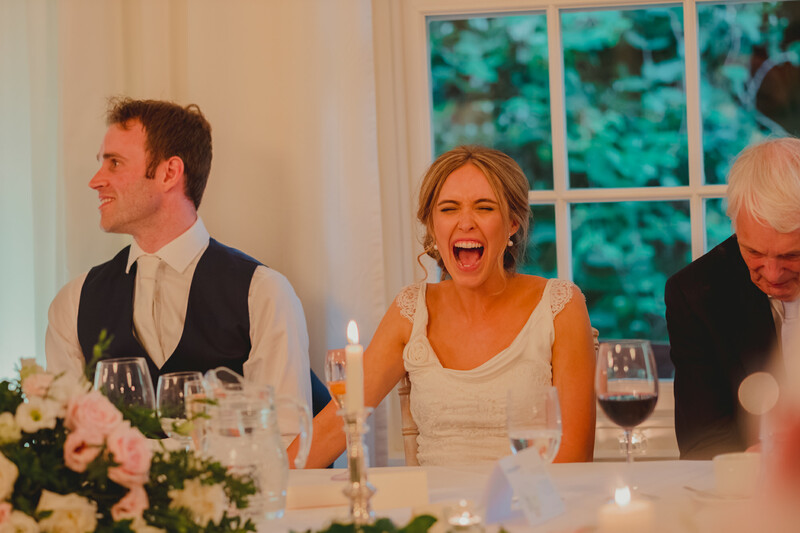 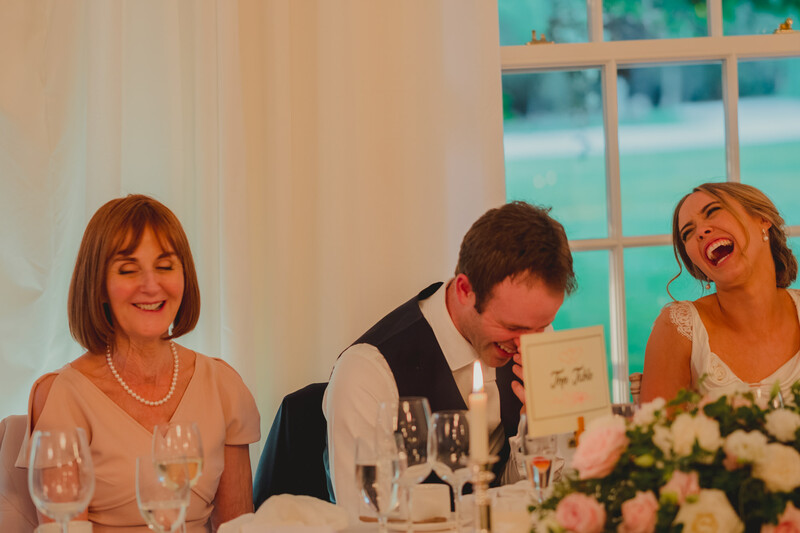 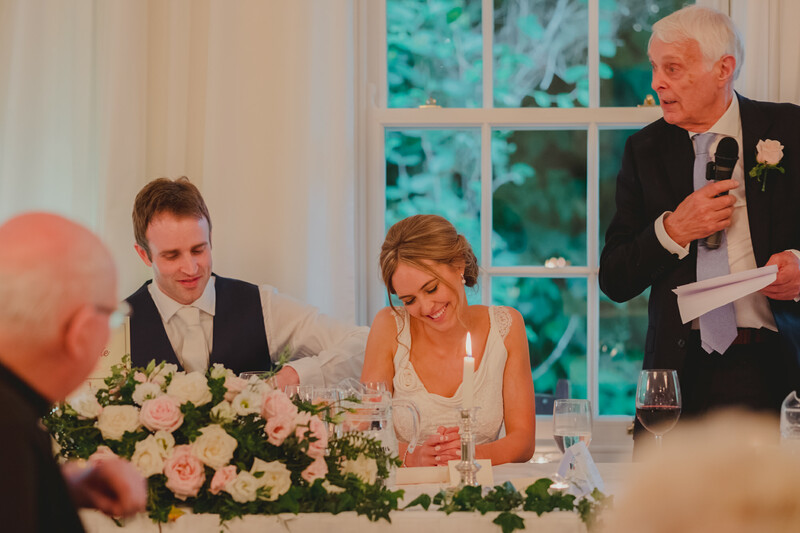 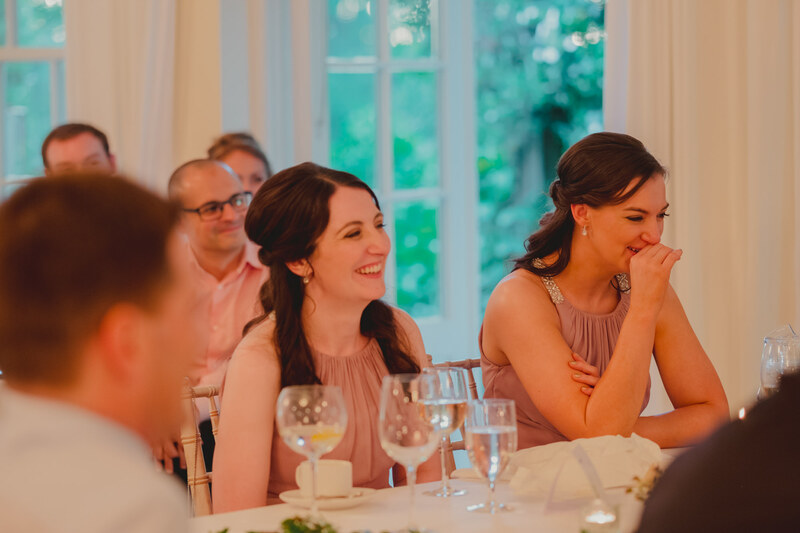 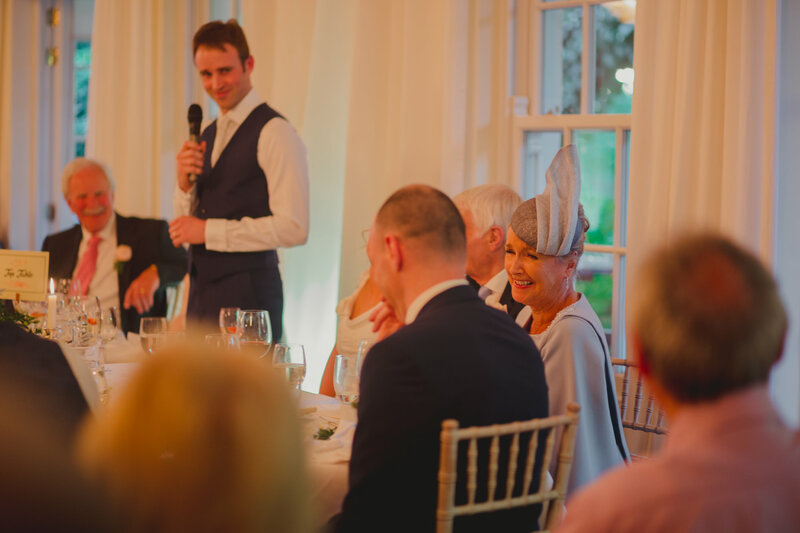 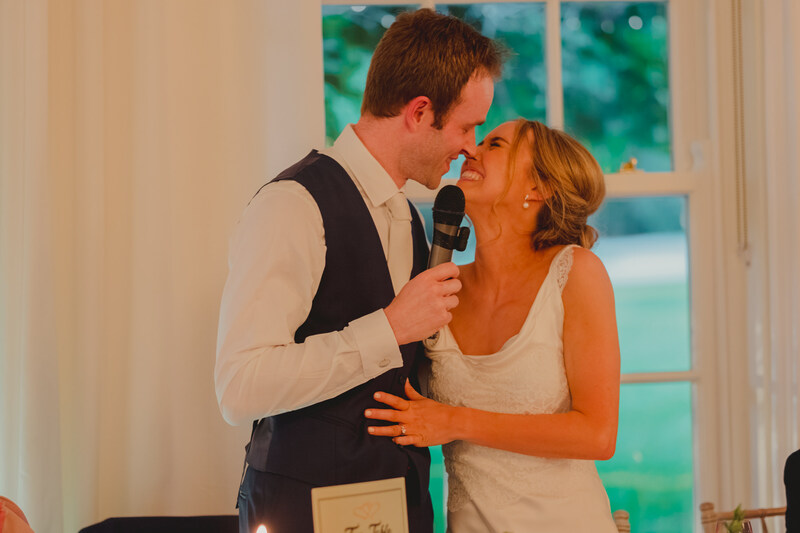 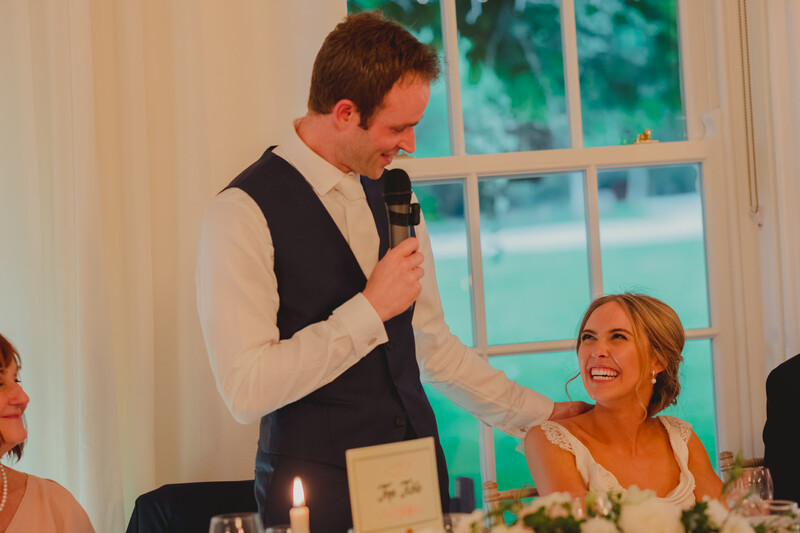 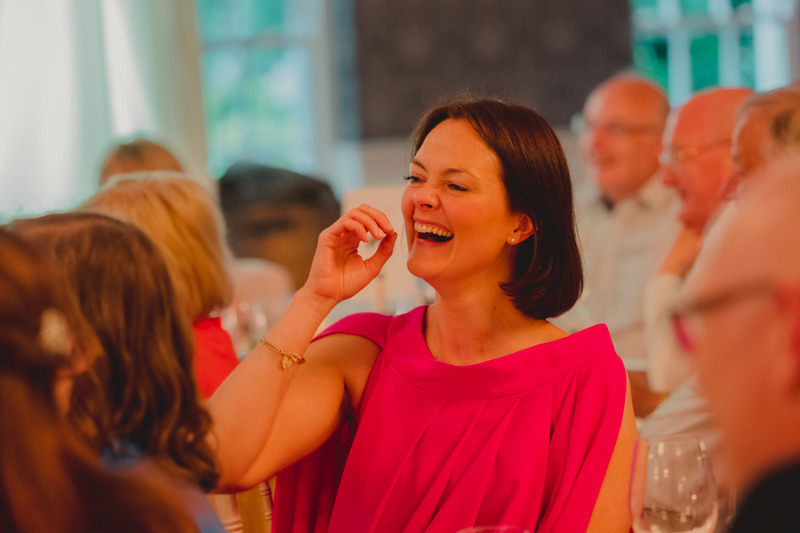 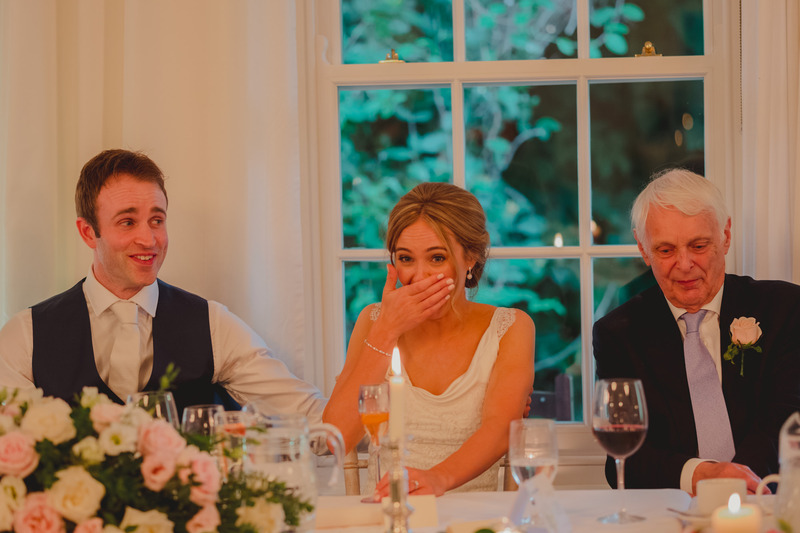 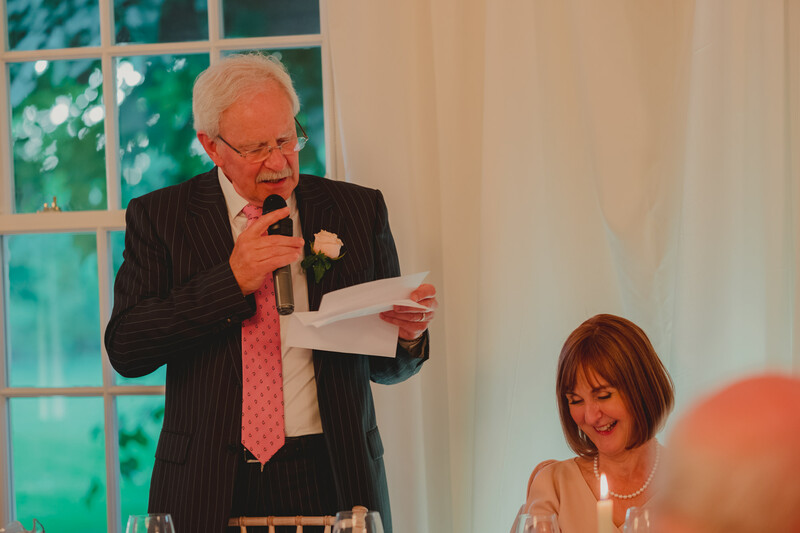 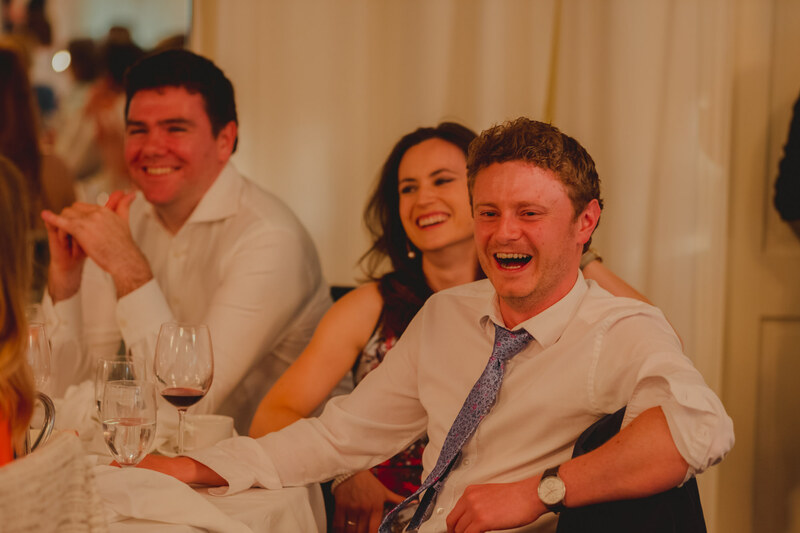 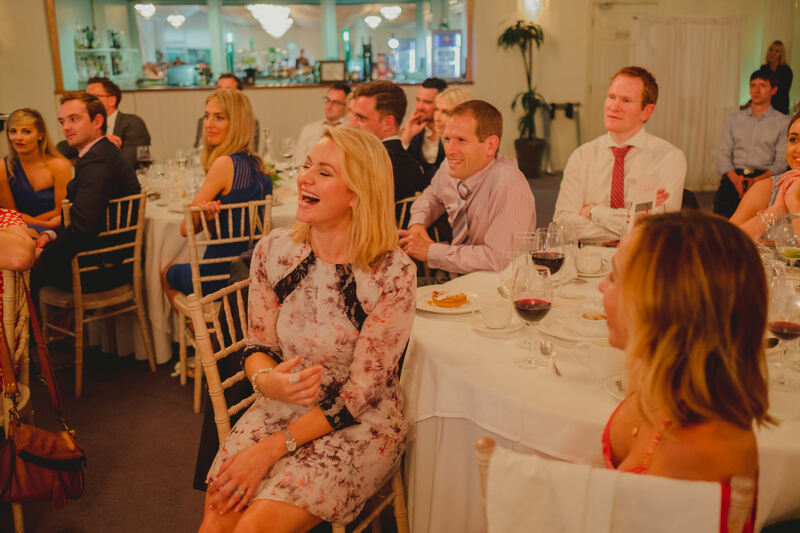 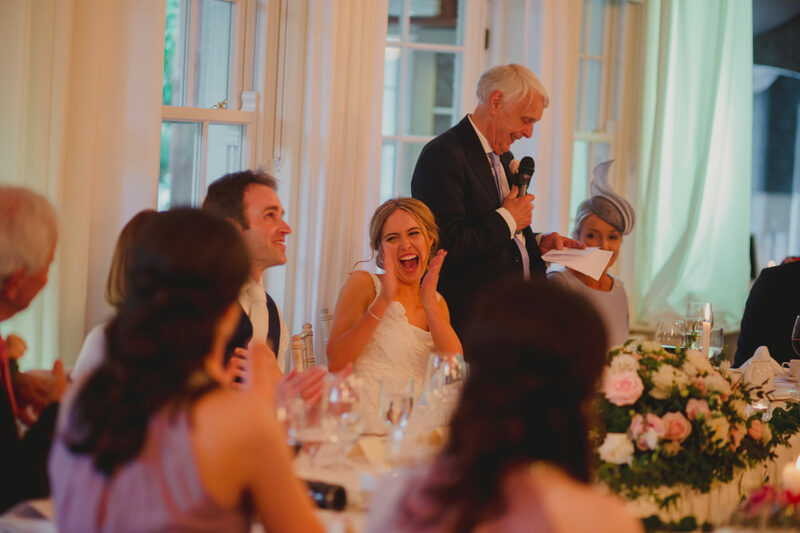 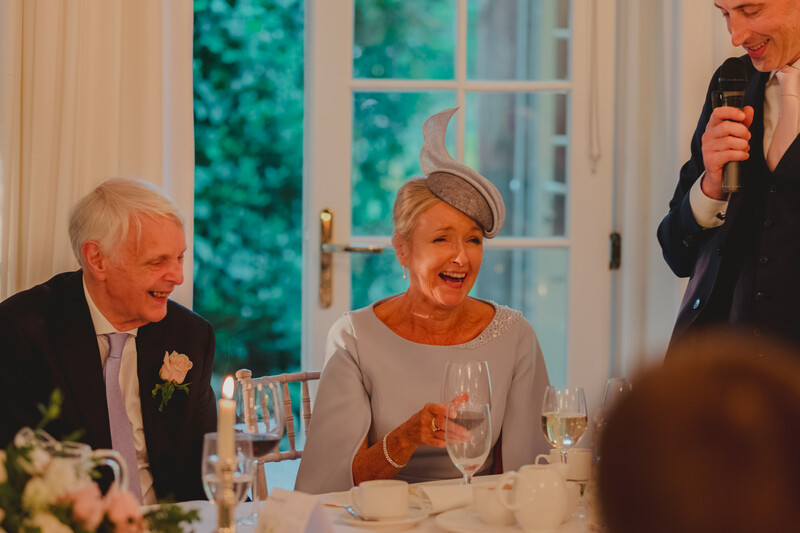 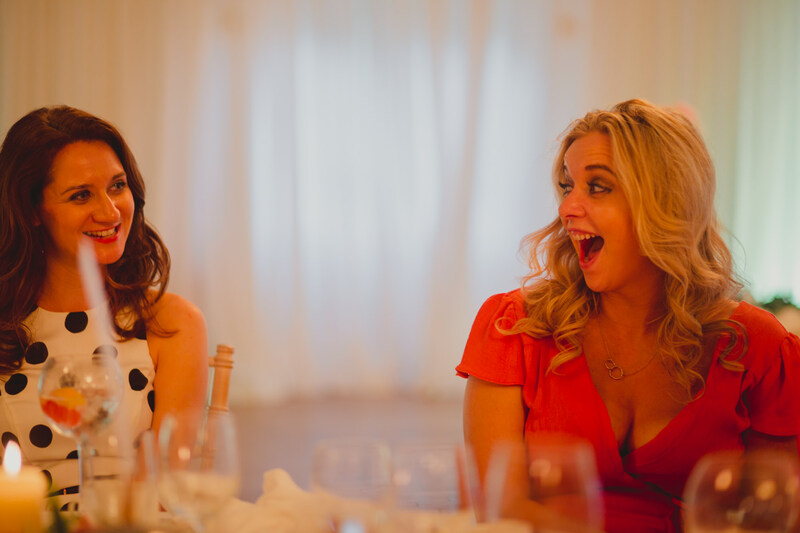 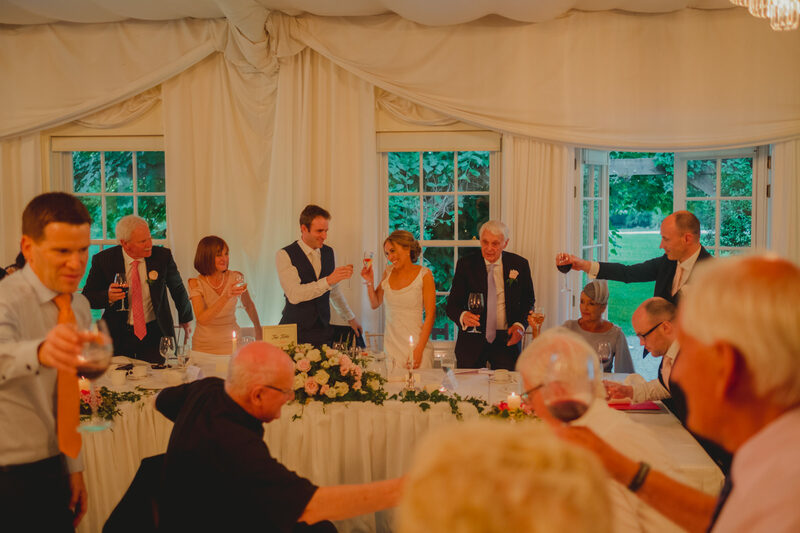 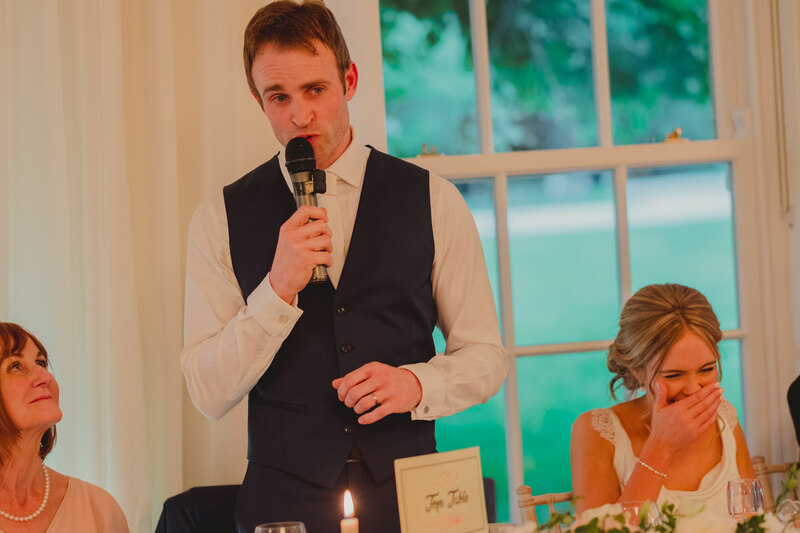 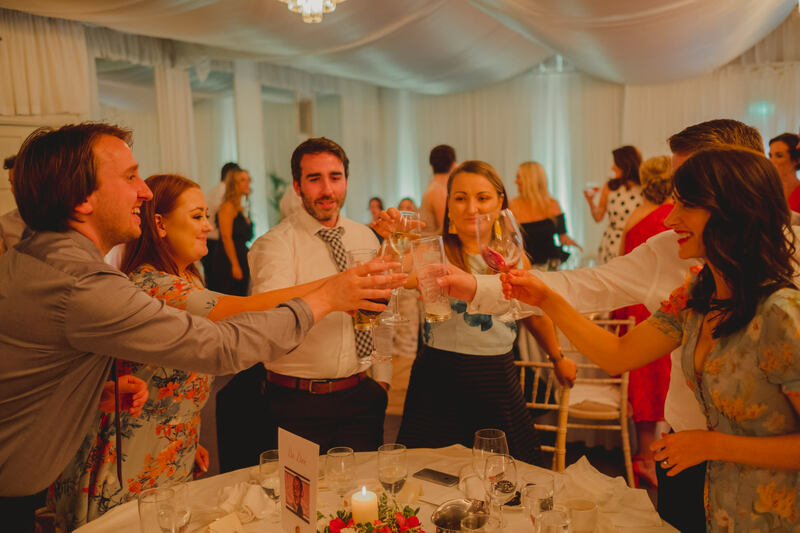 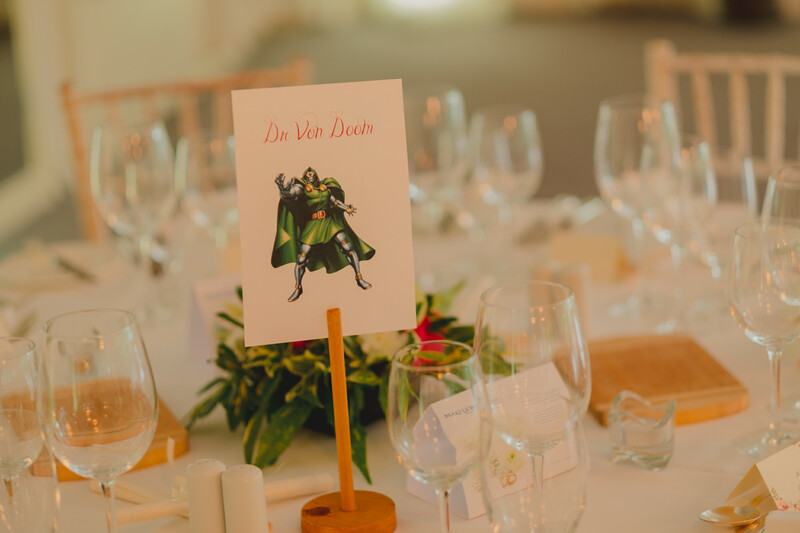 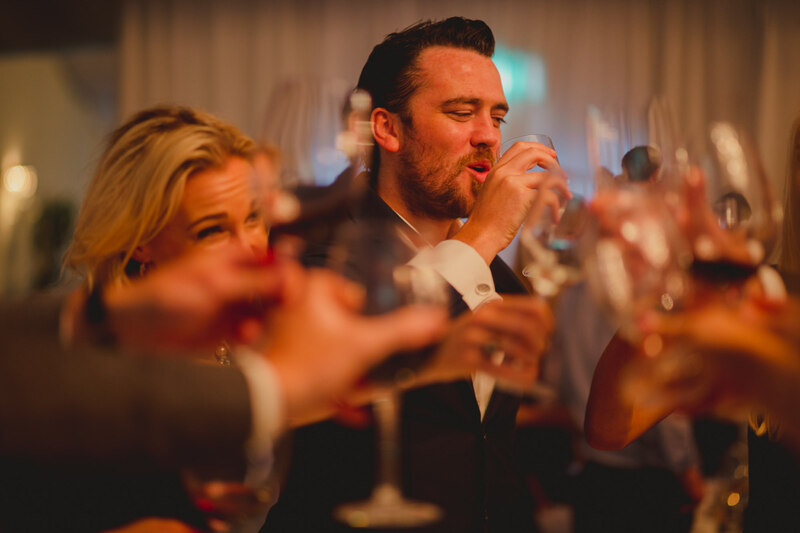 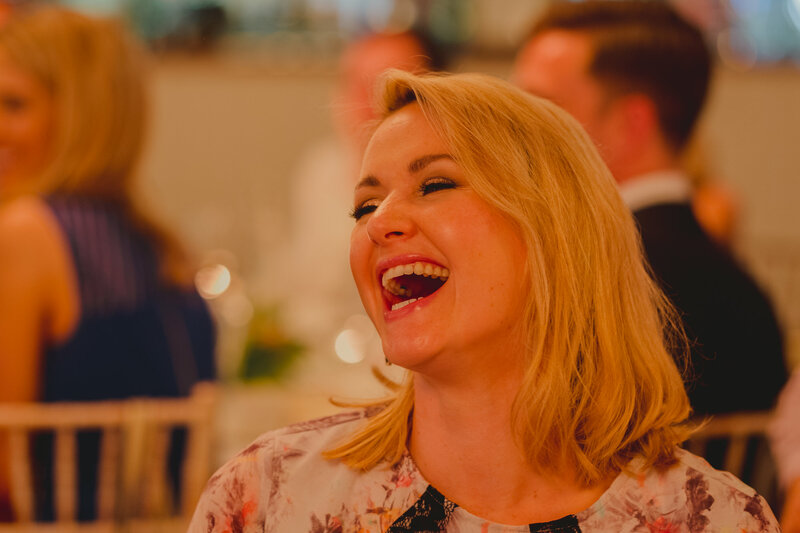 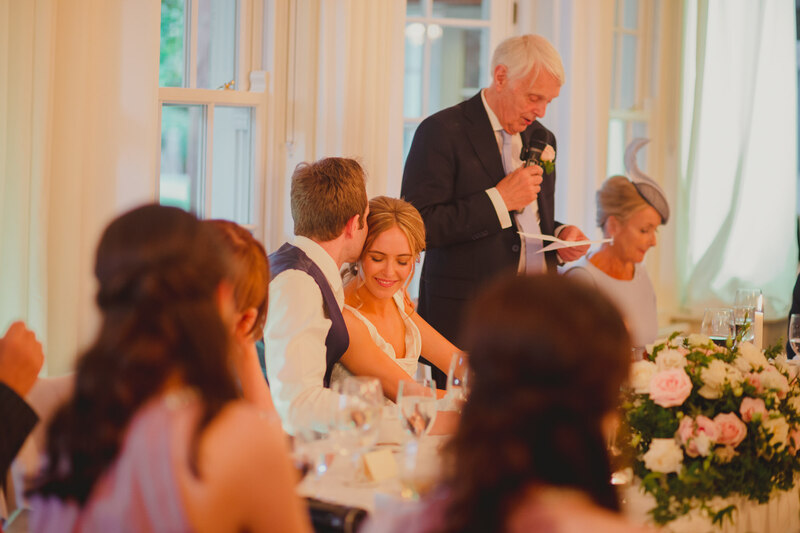 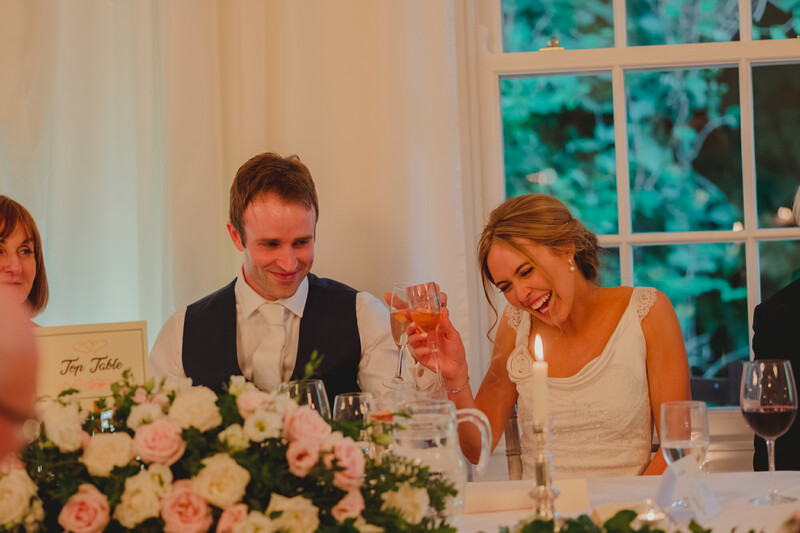 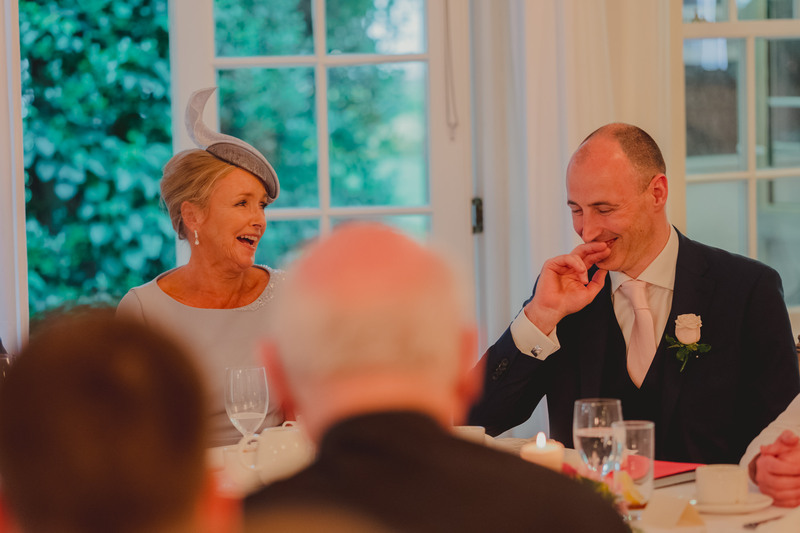 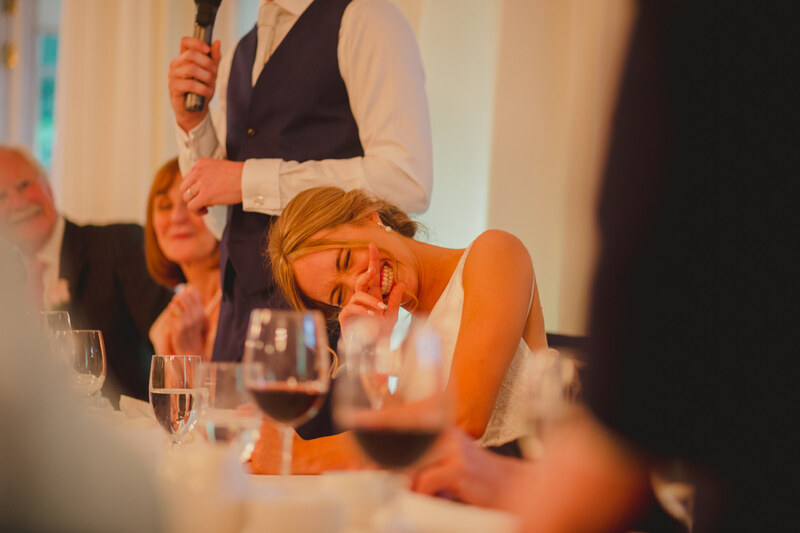 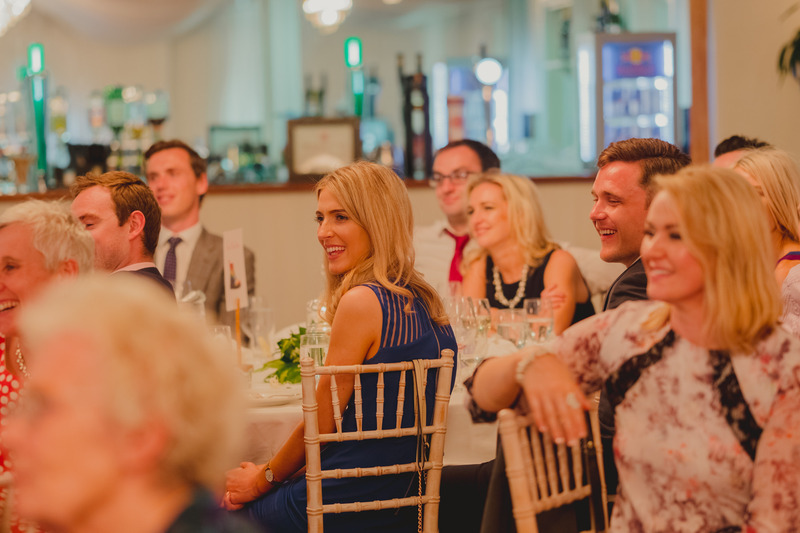 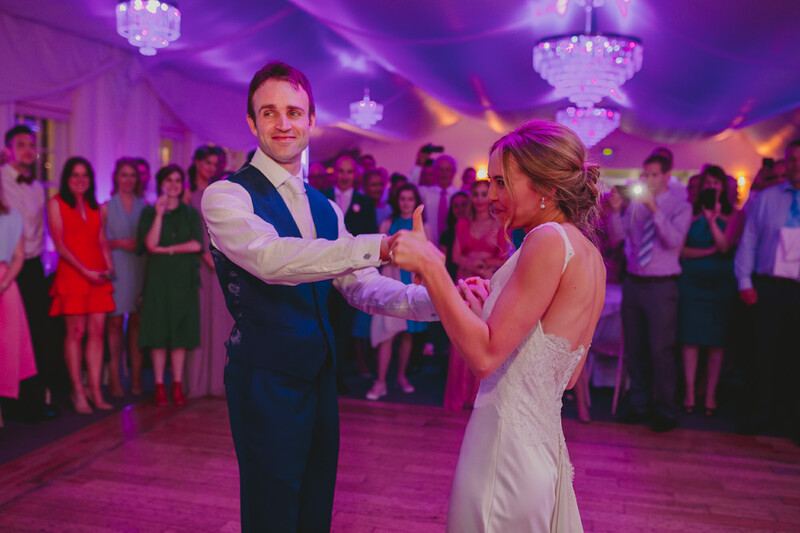 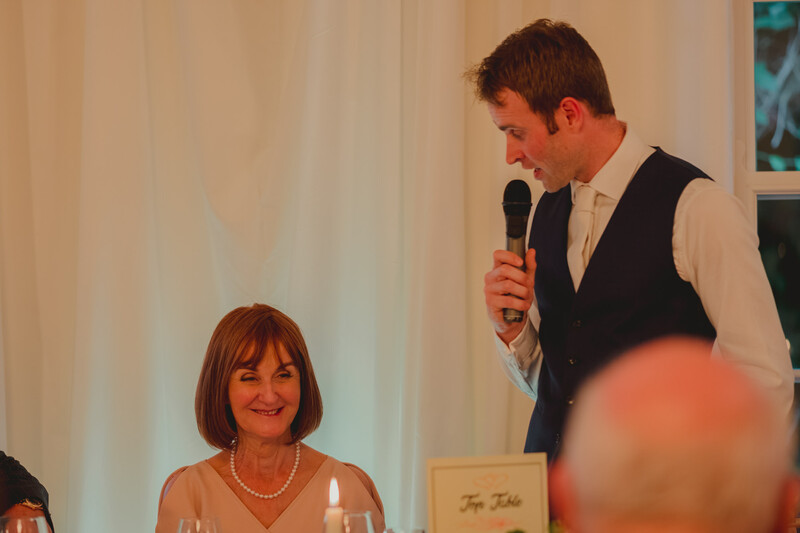 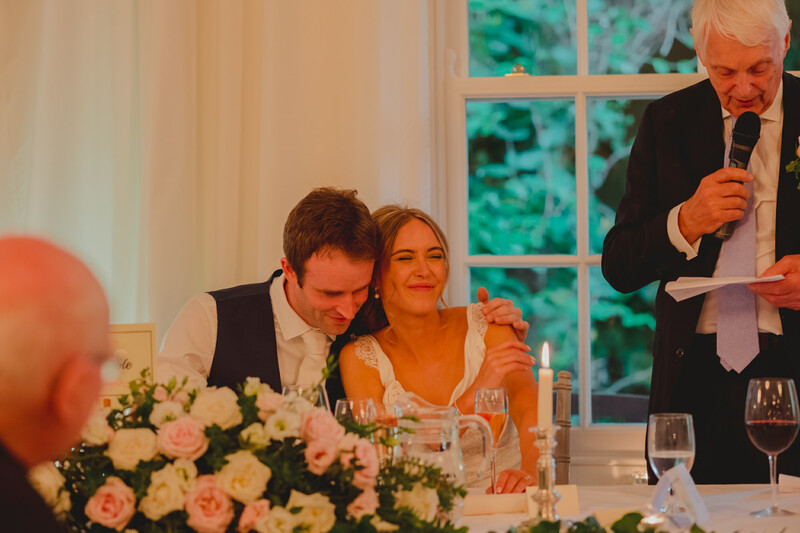 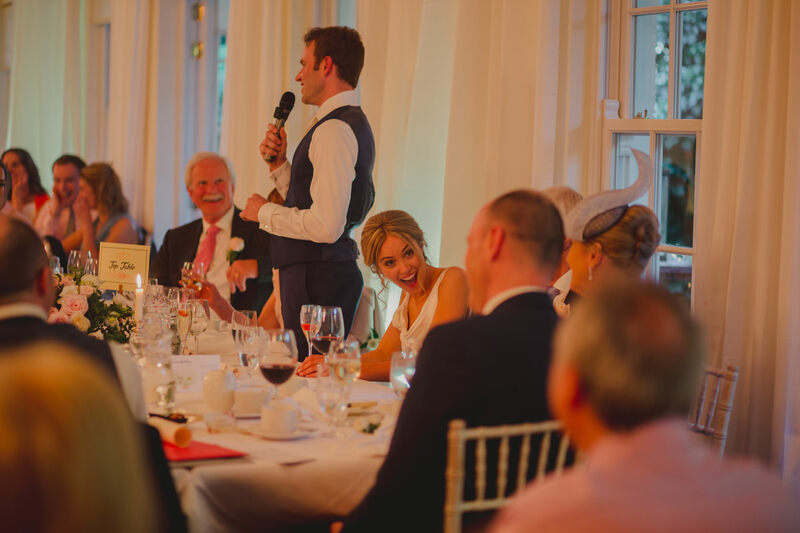 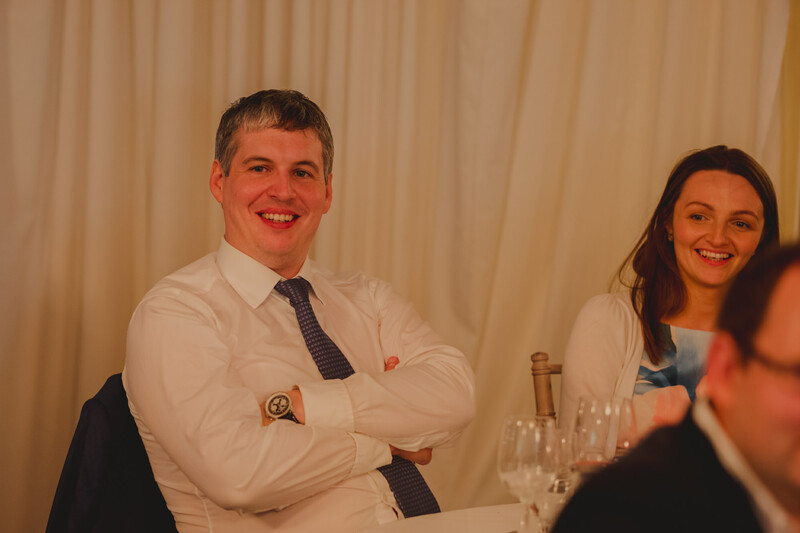 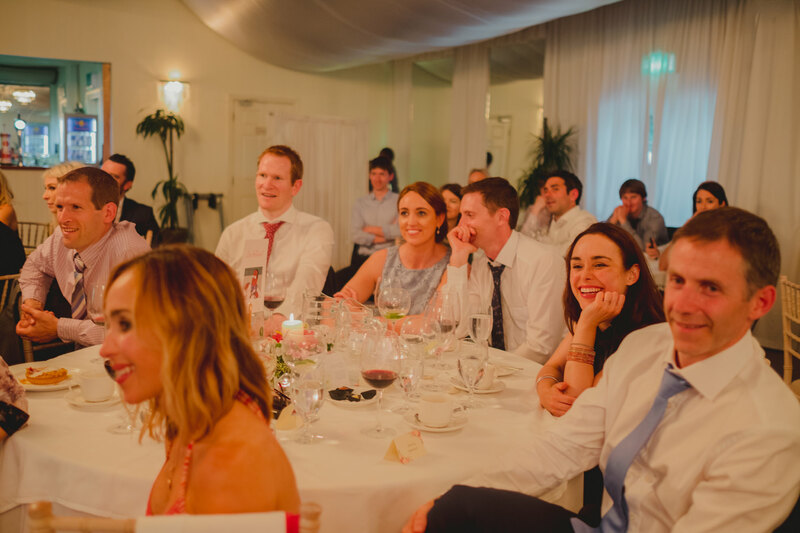 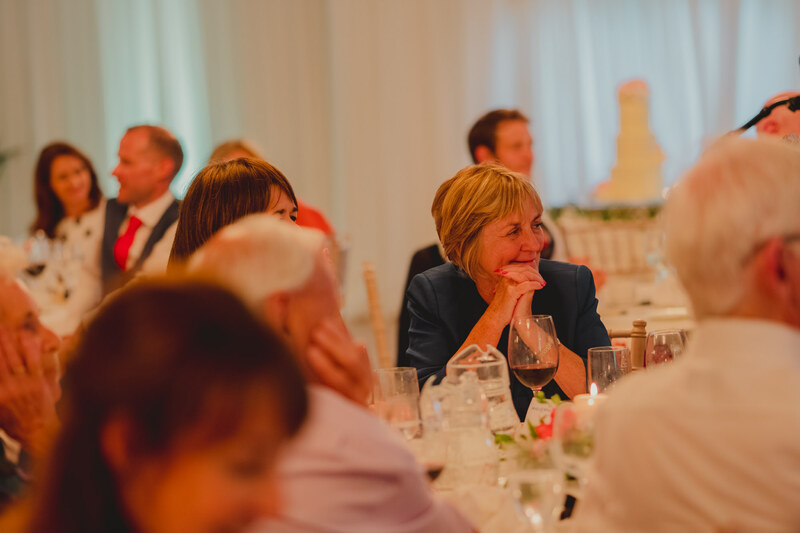 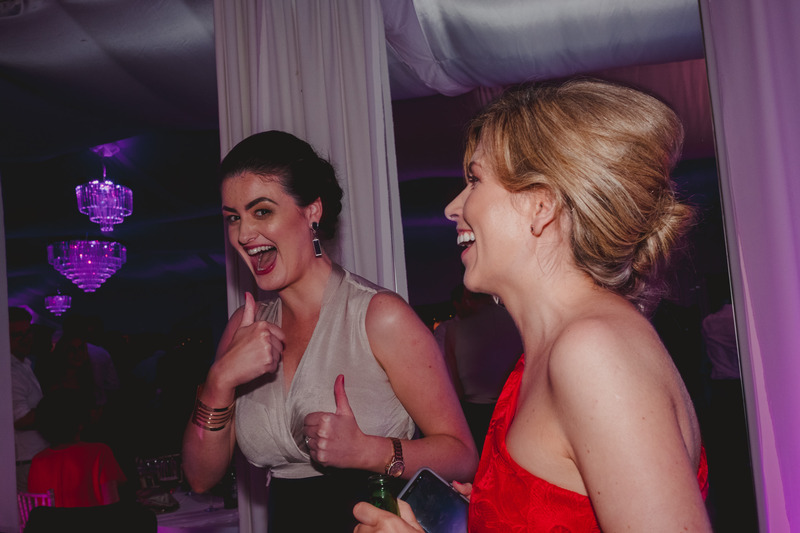 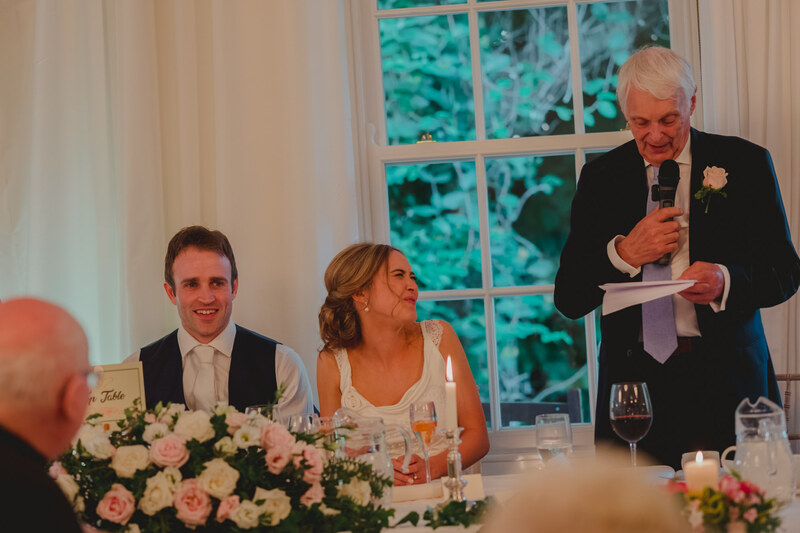 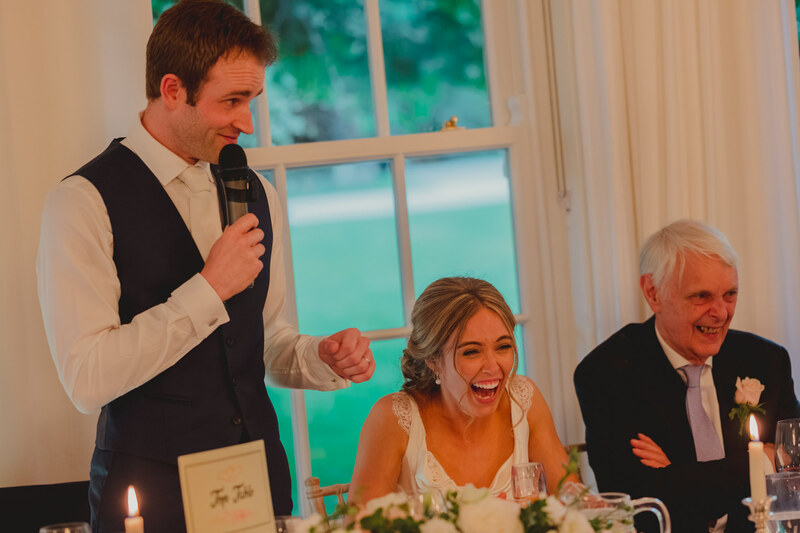 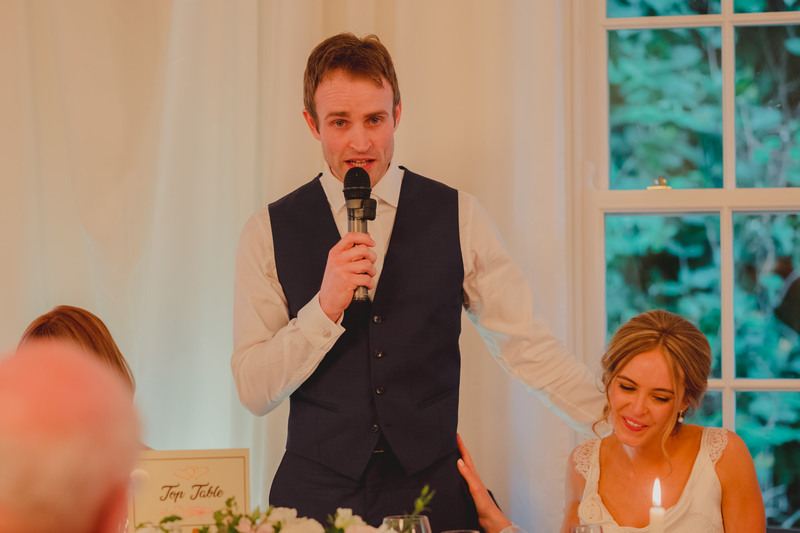 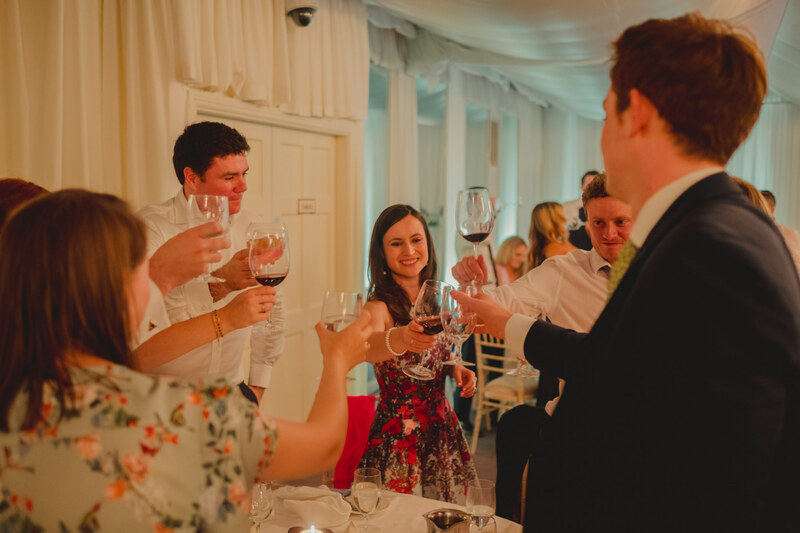 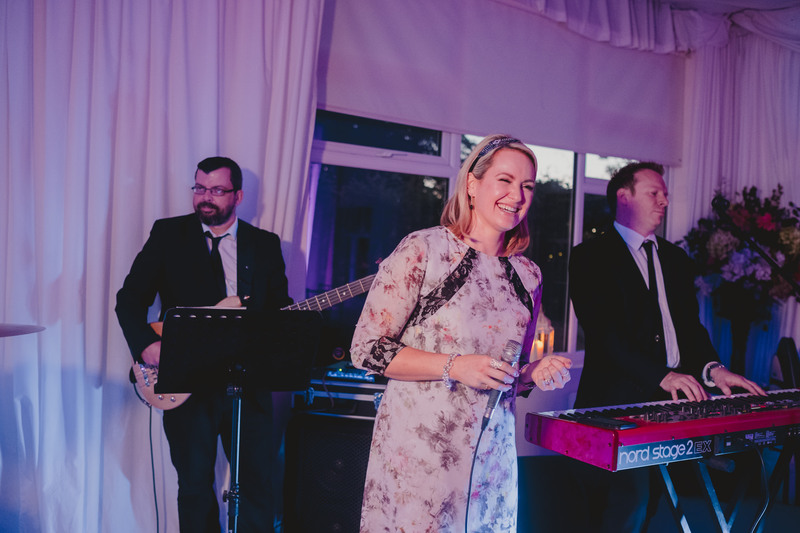 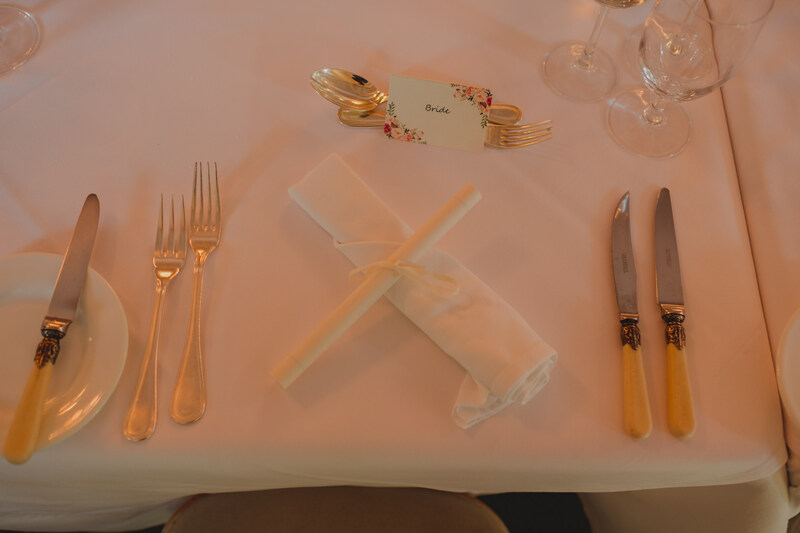 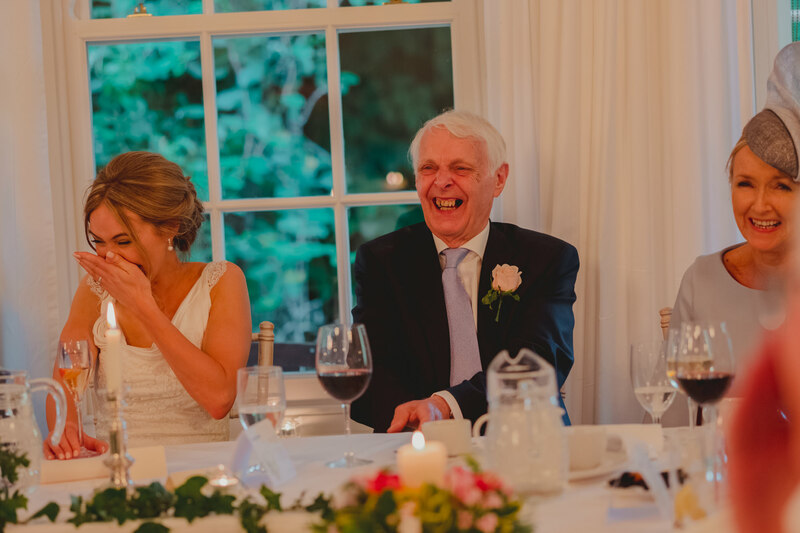 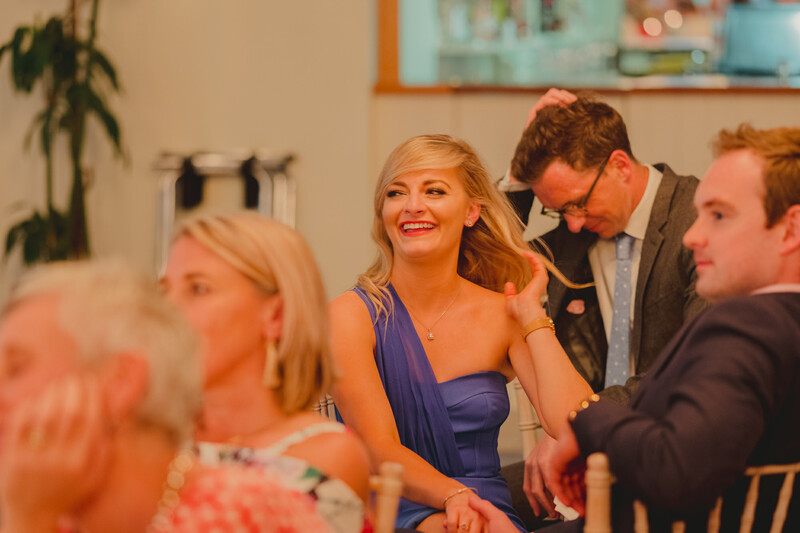 The reception was indeed personalised, with not only a very funny best man speech by Colm’s older brother but also the couples table settings, which shed light on Danielle and Colm’s occupations as Doctors. 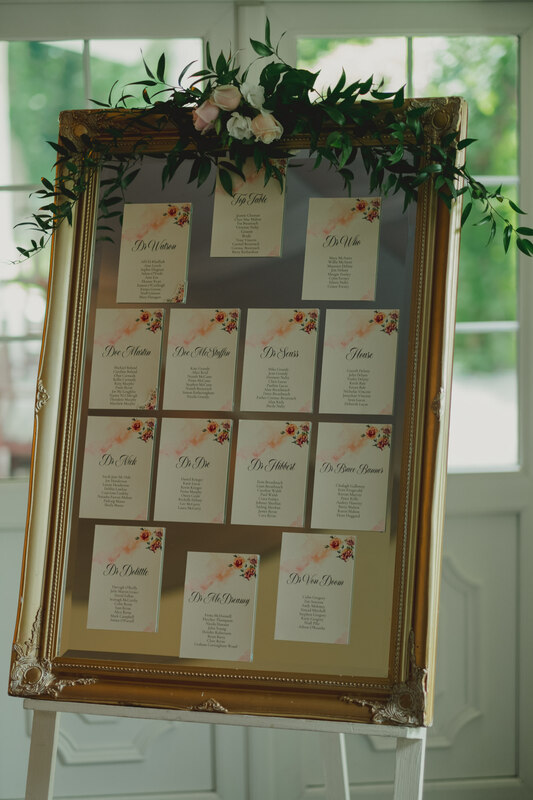 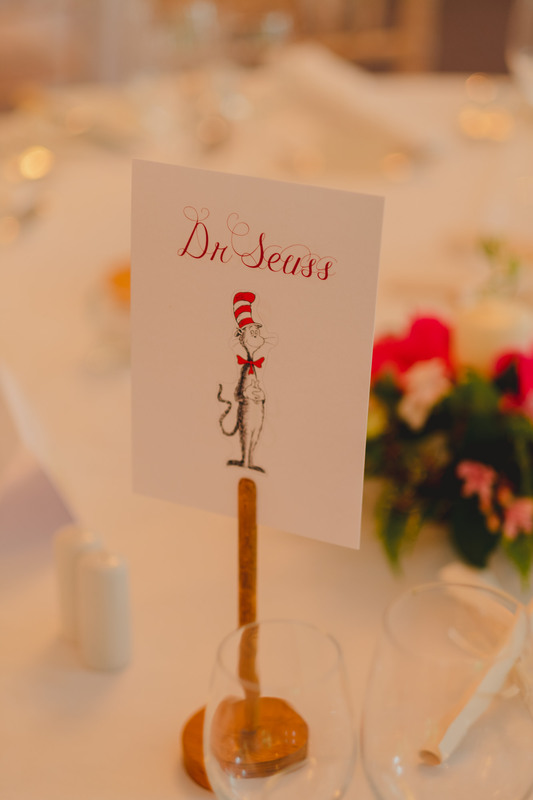 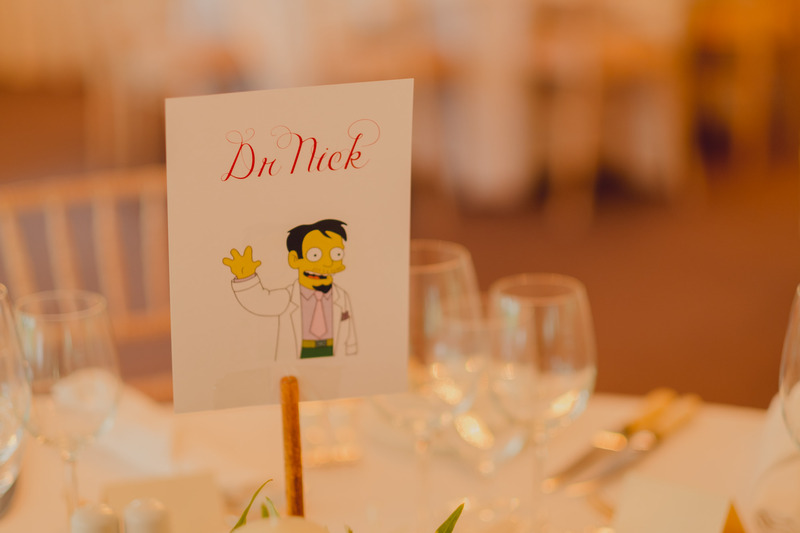 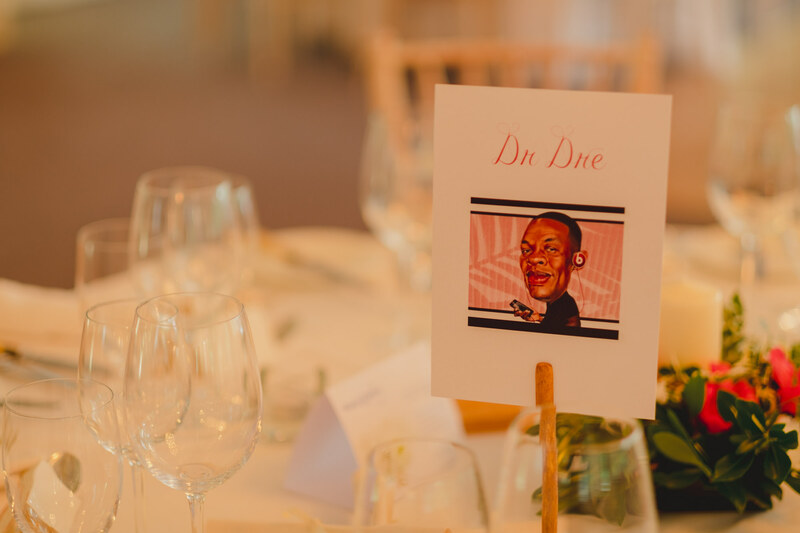 Guests approached the table plan to find out whether to proceed to Dr. Nick Riveara’s table, Dr Who’s, Dr Seuss’s, Dr Watson, Dr Dre and Doc Martin’s to name a few. 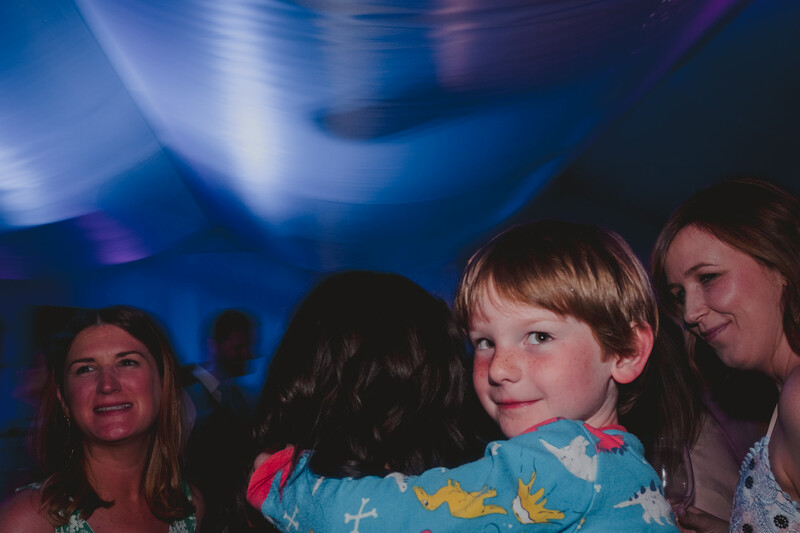 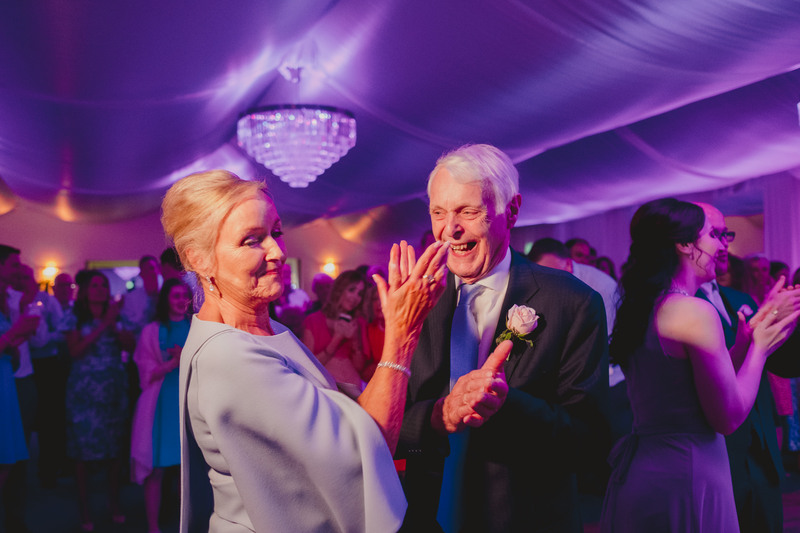 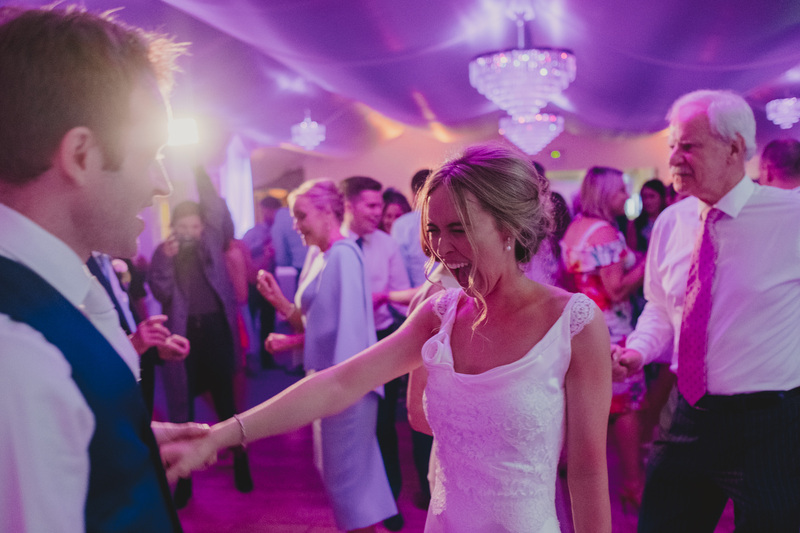 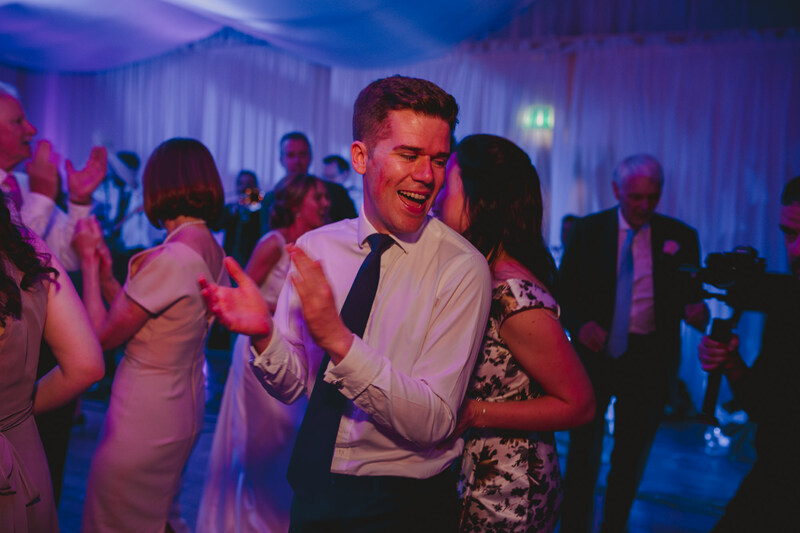 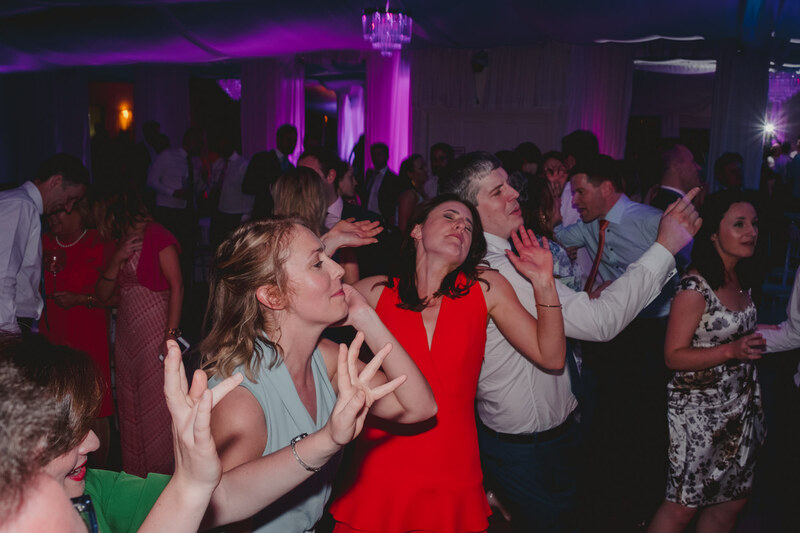 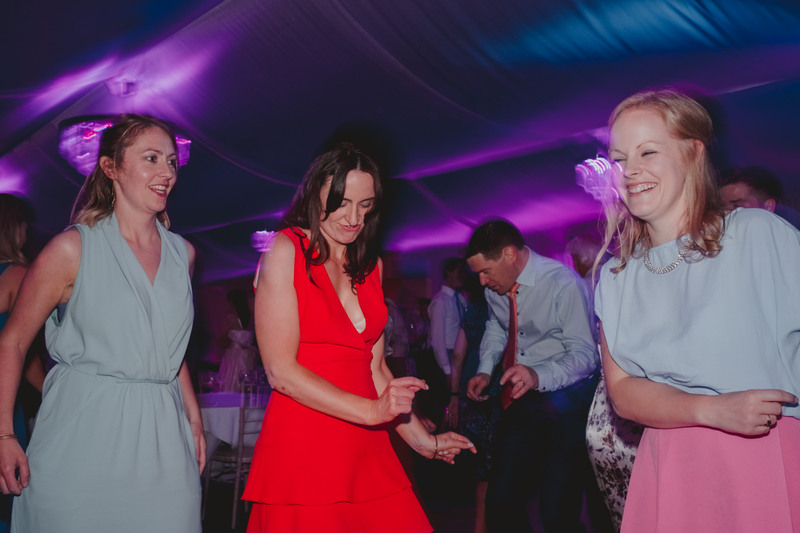 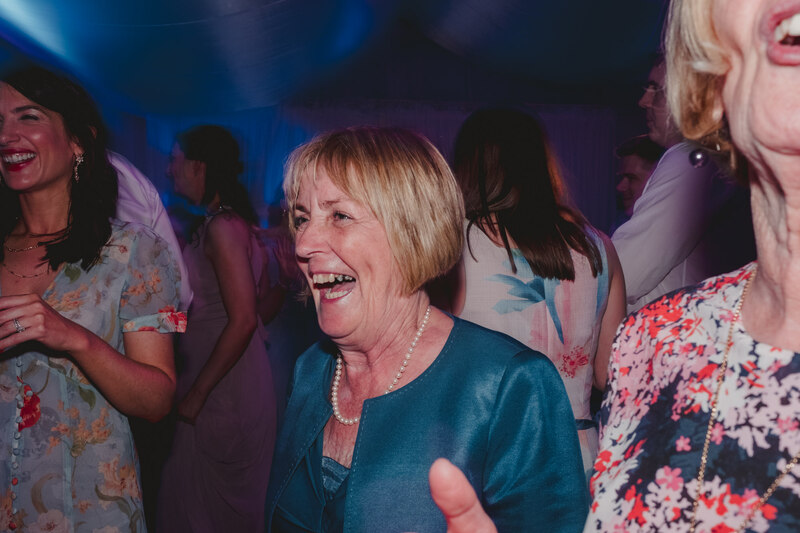 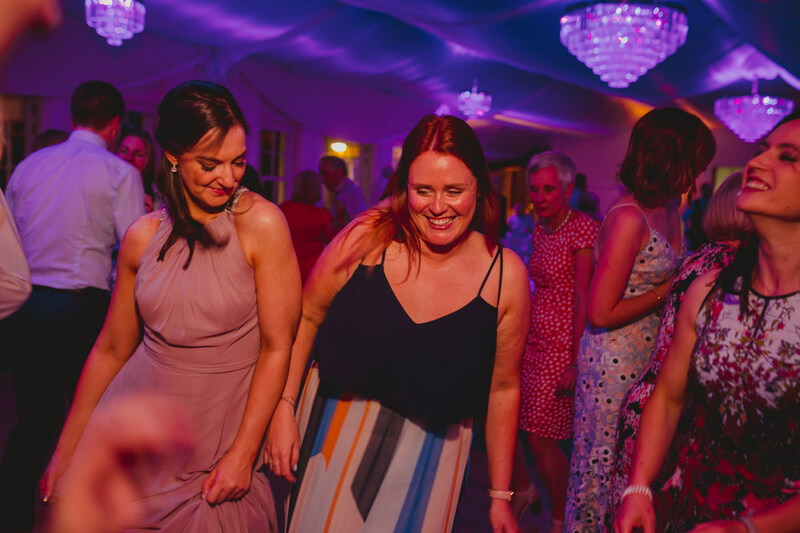 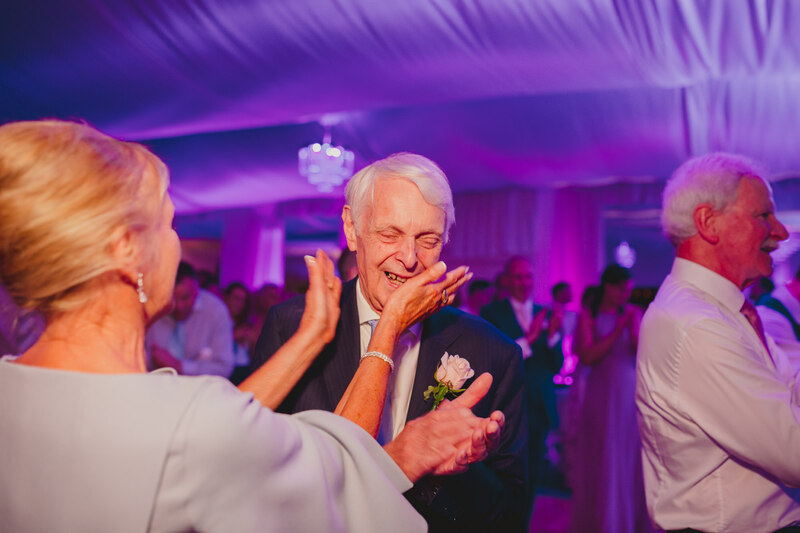 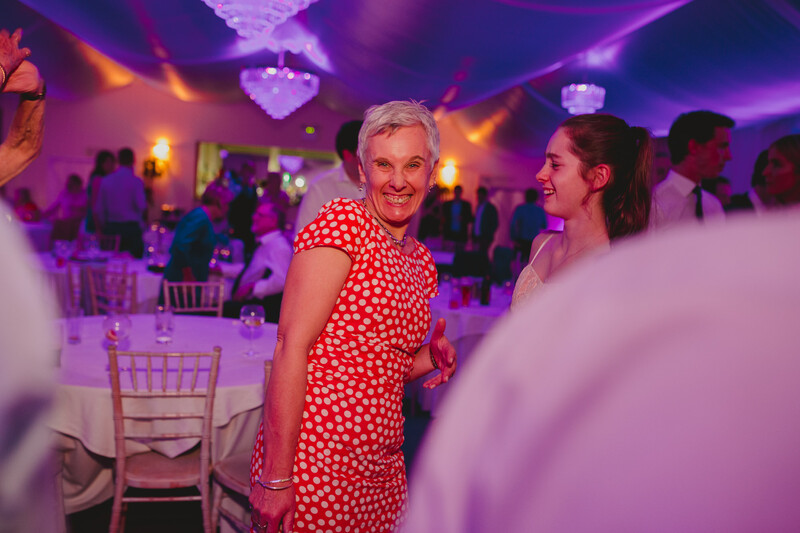 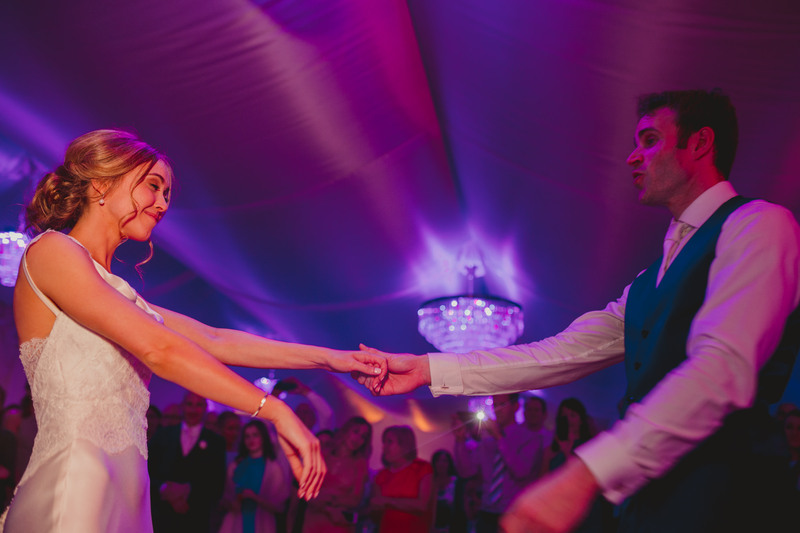 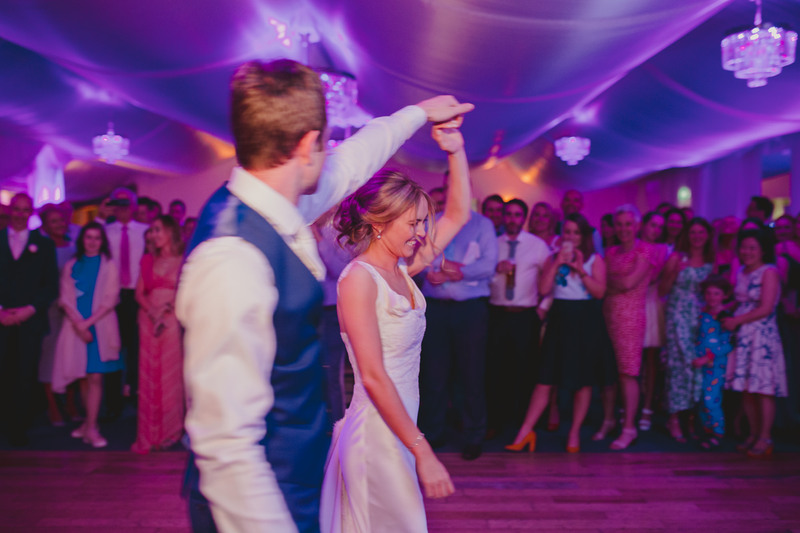 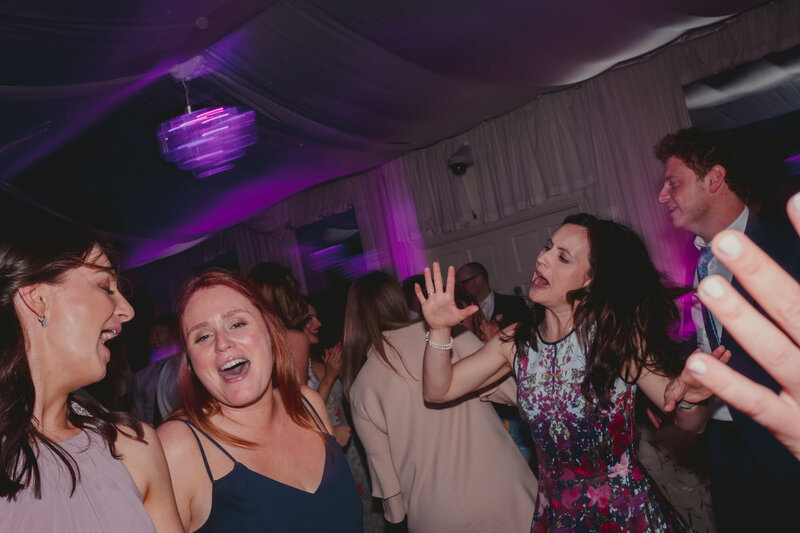 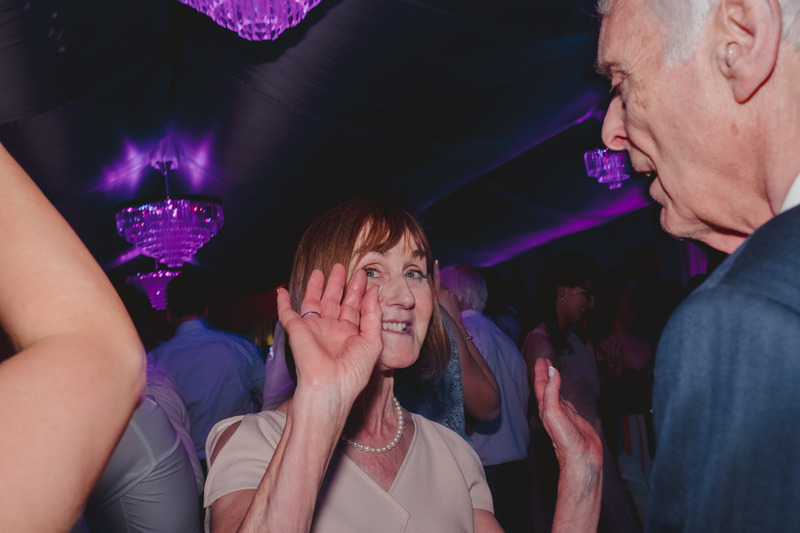 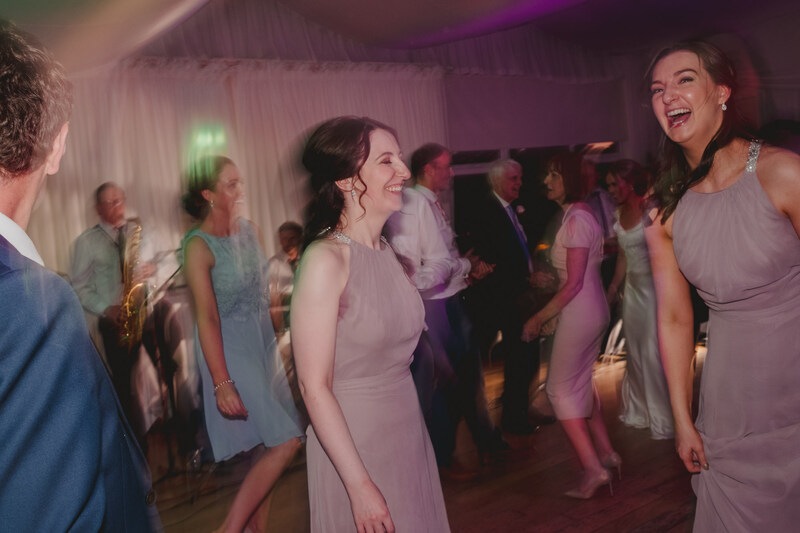 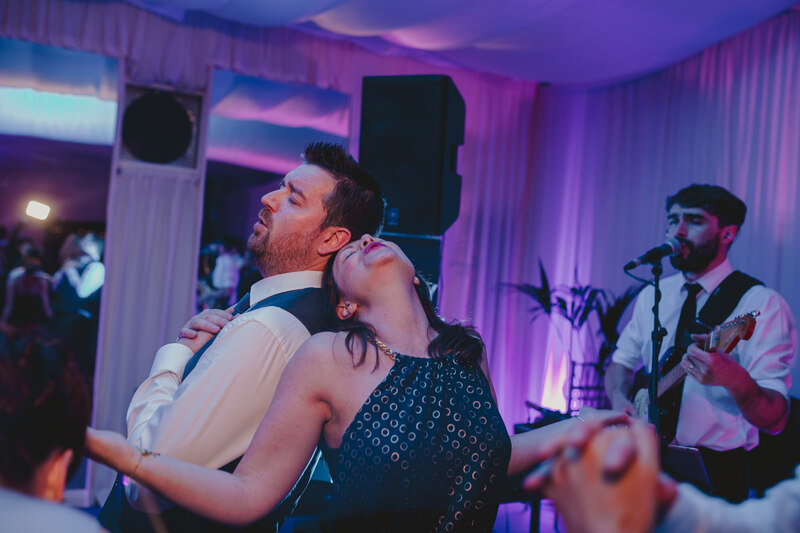 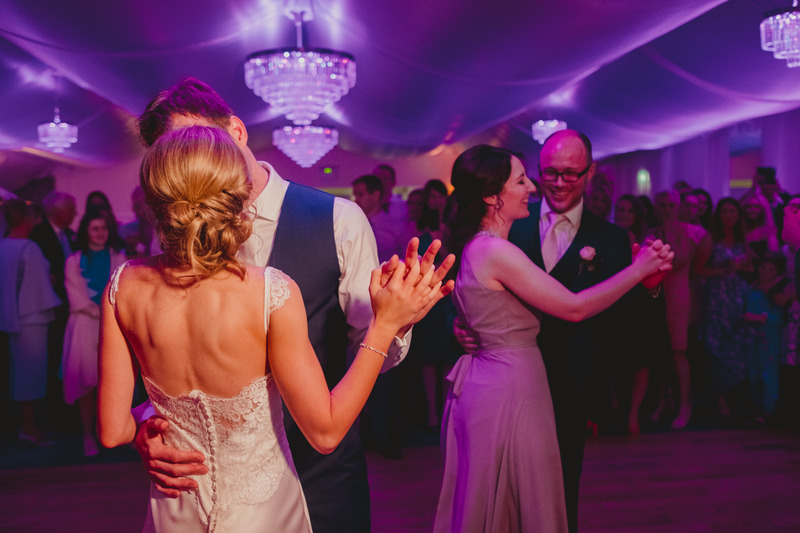 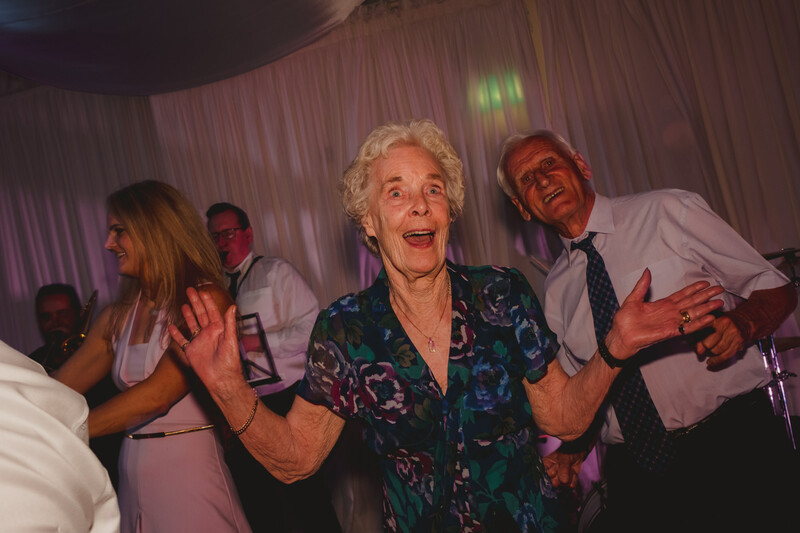 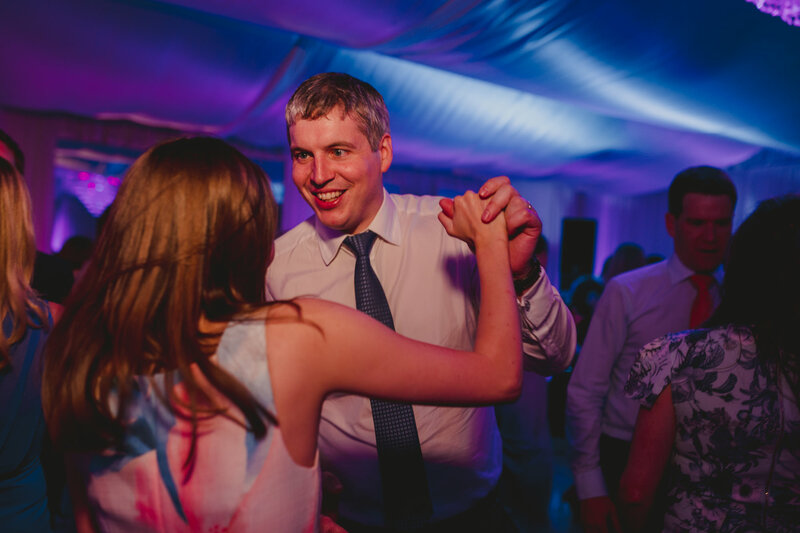 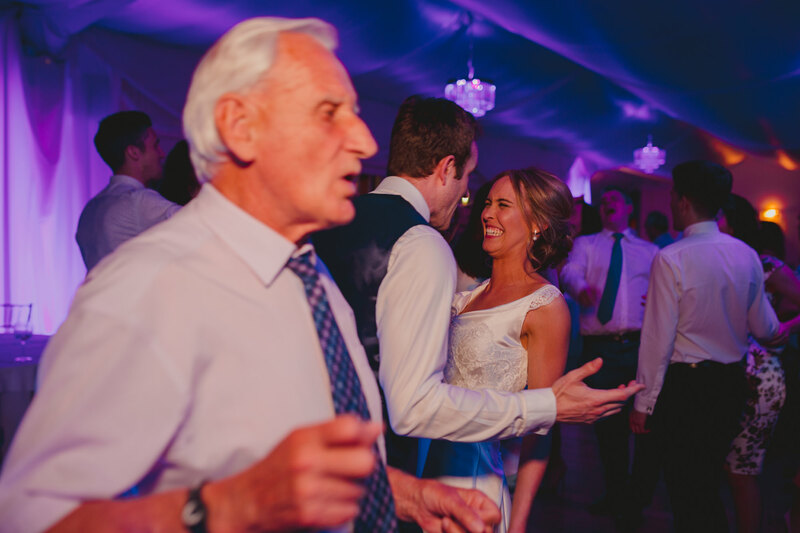 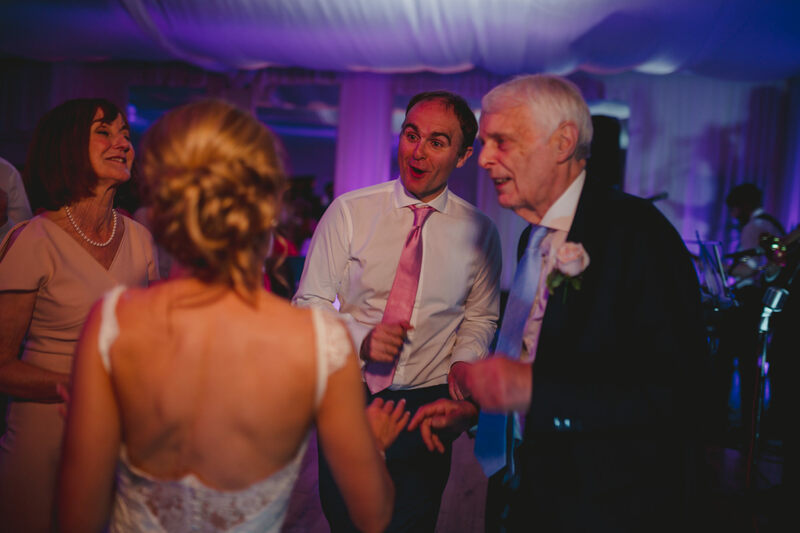 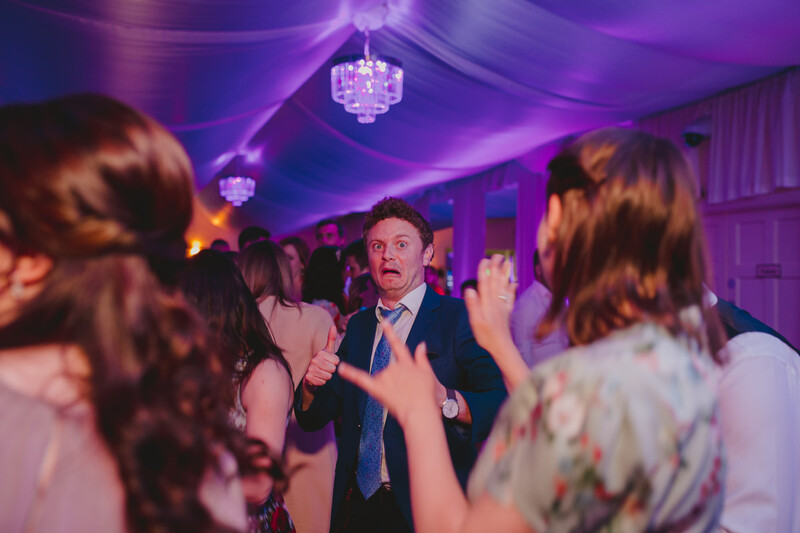 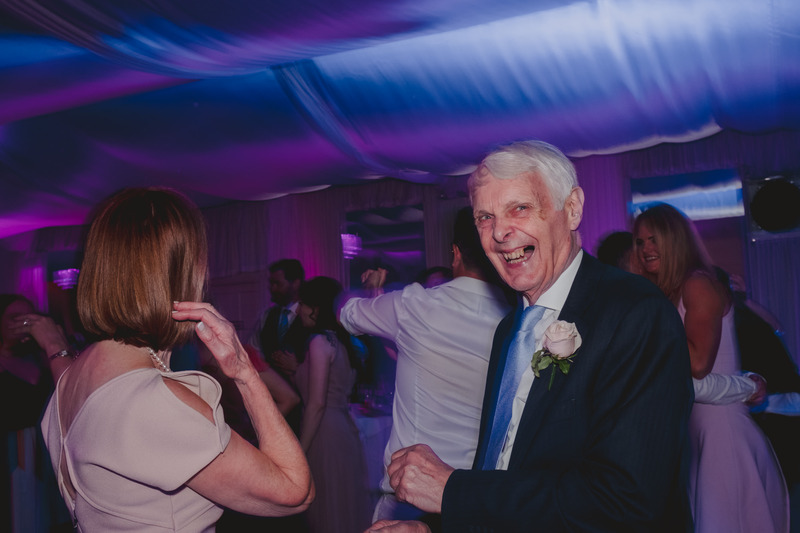 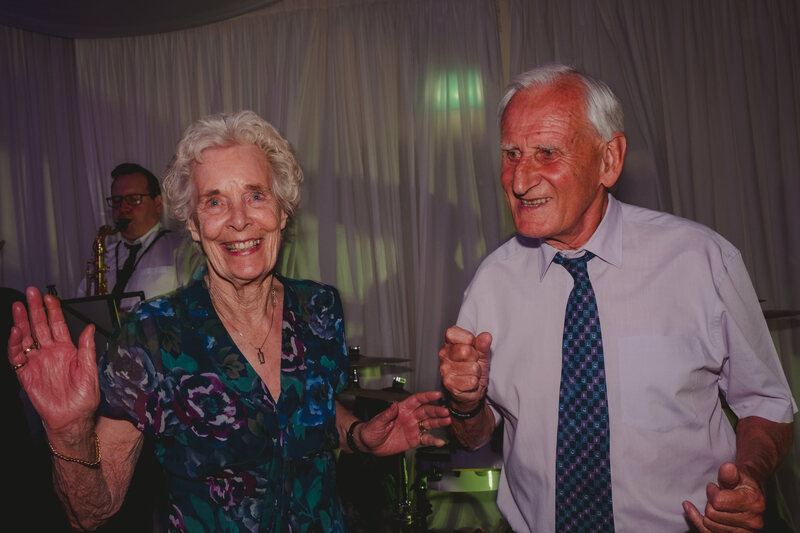 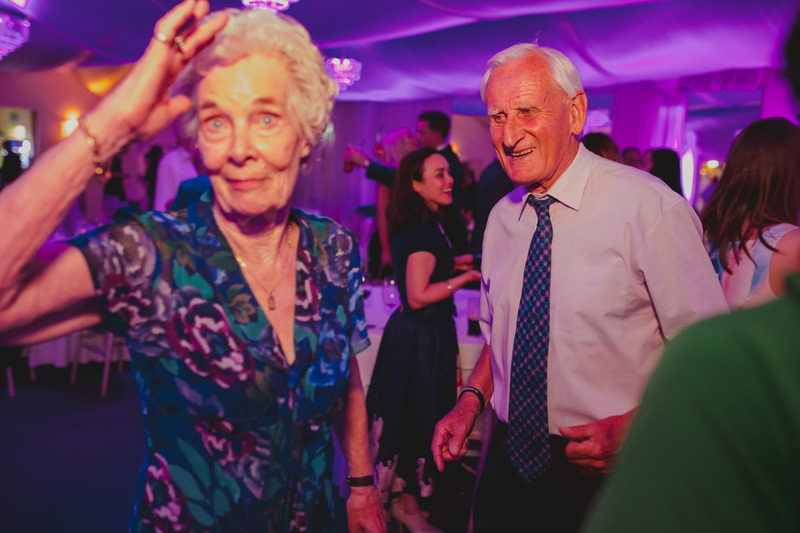 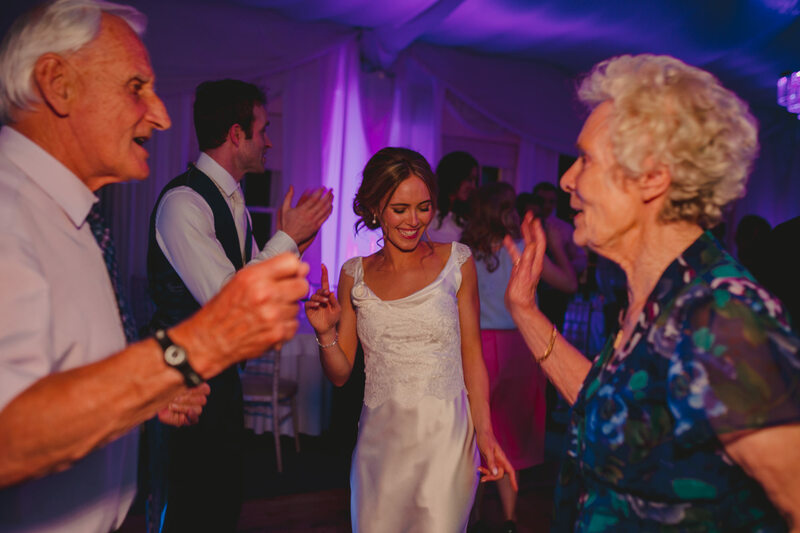 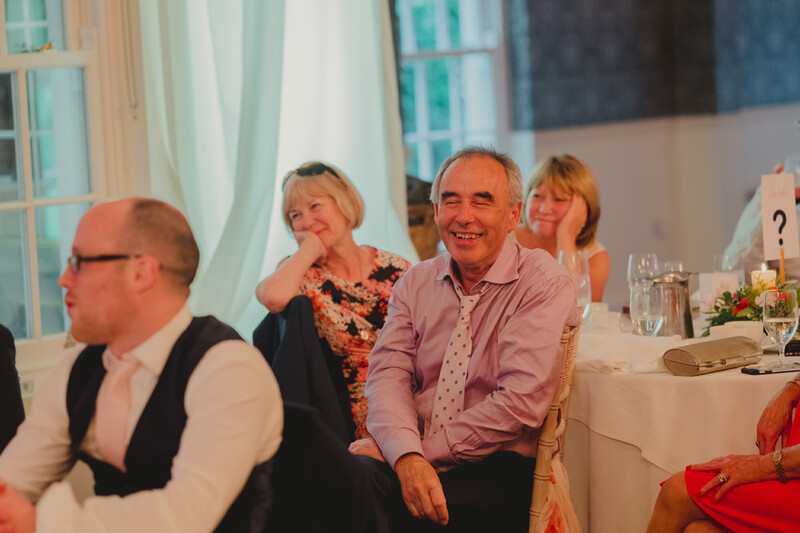 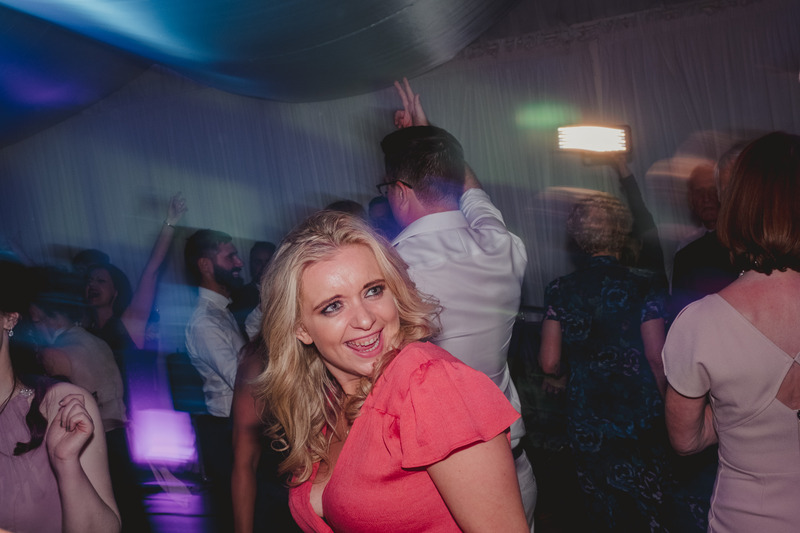 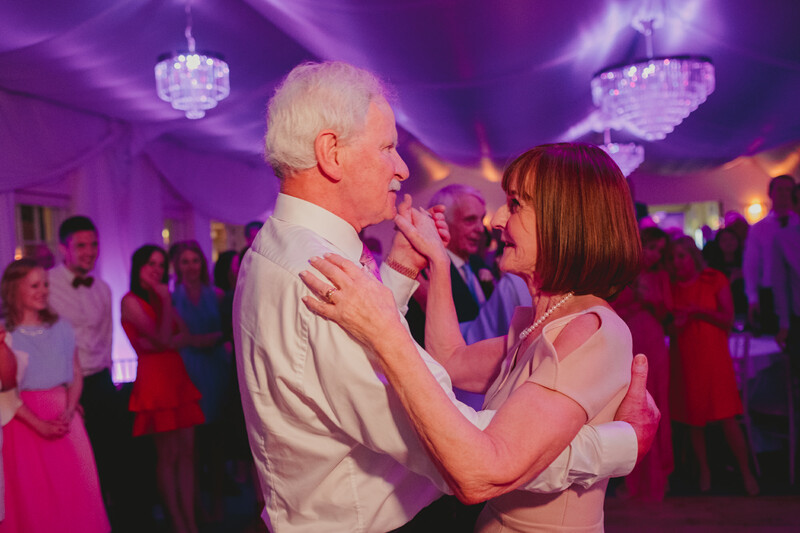 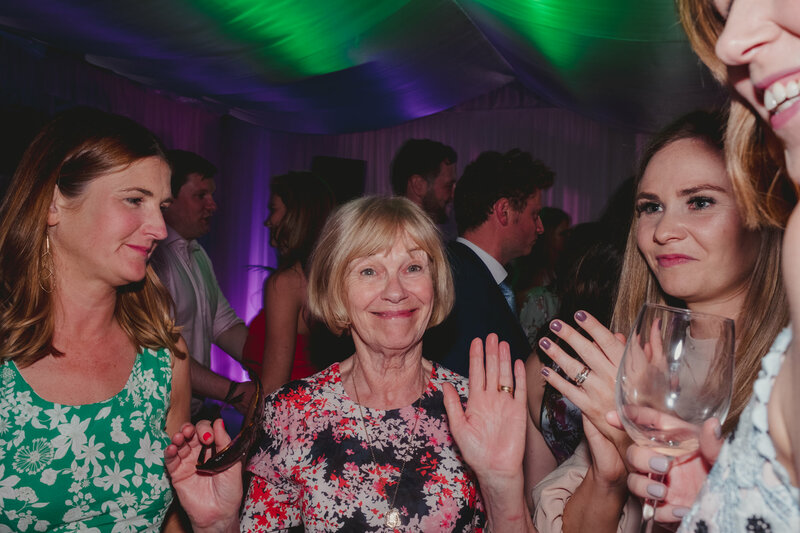 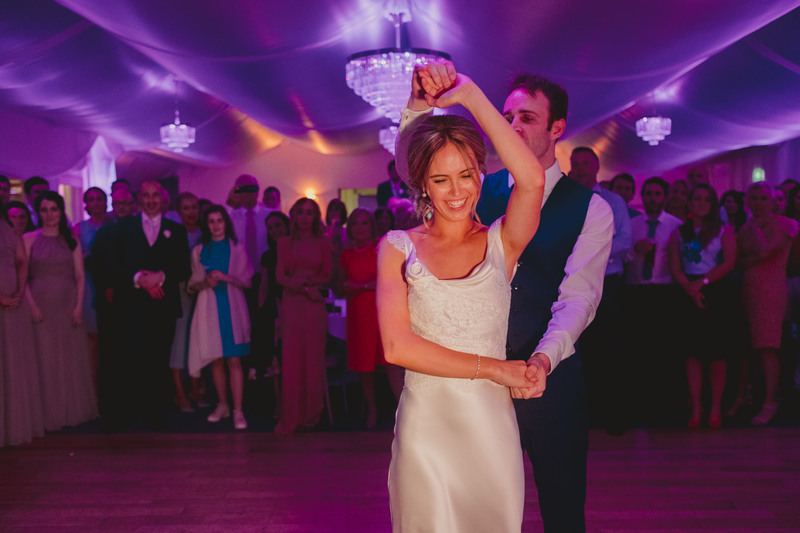 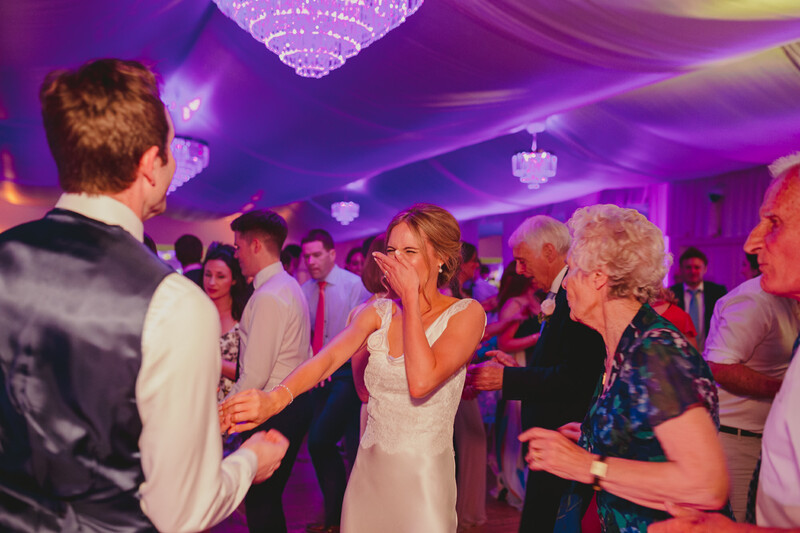 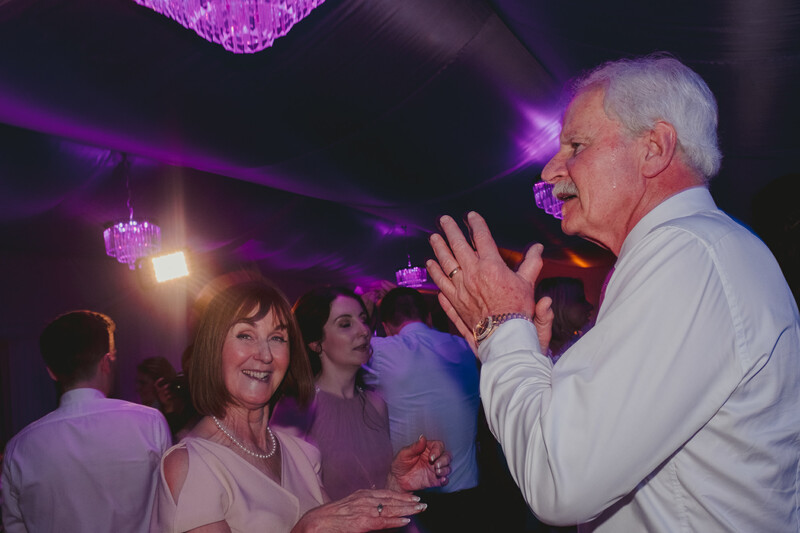 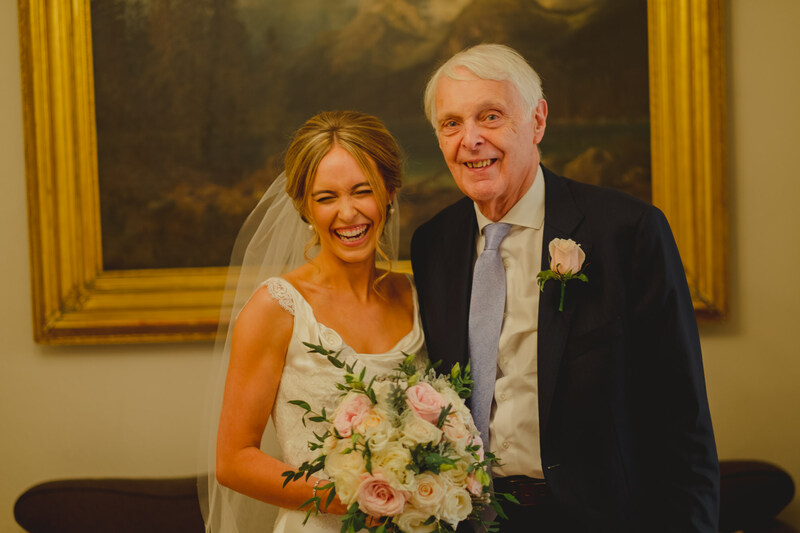 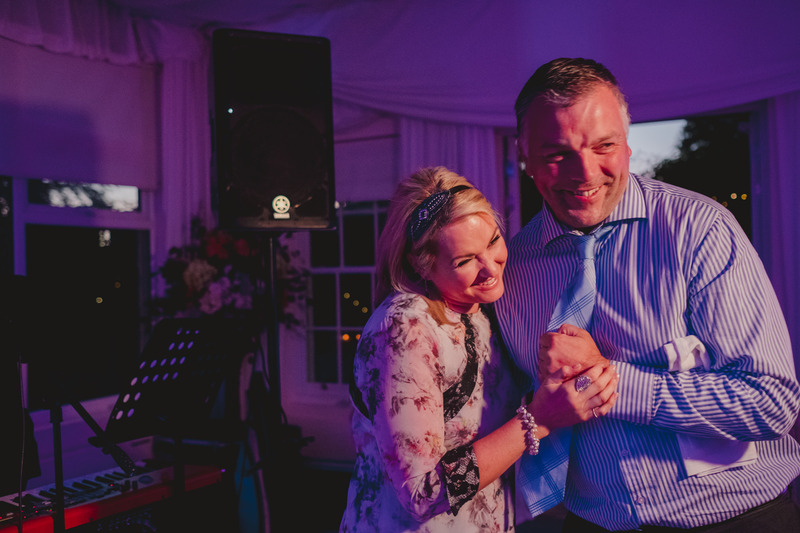 After Danielle and Colm kicked off the evening’s dancing, their families joined them on the dance floor, with Danielle’s Dad proving that he very may well indeed, have the best moves in the house. 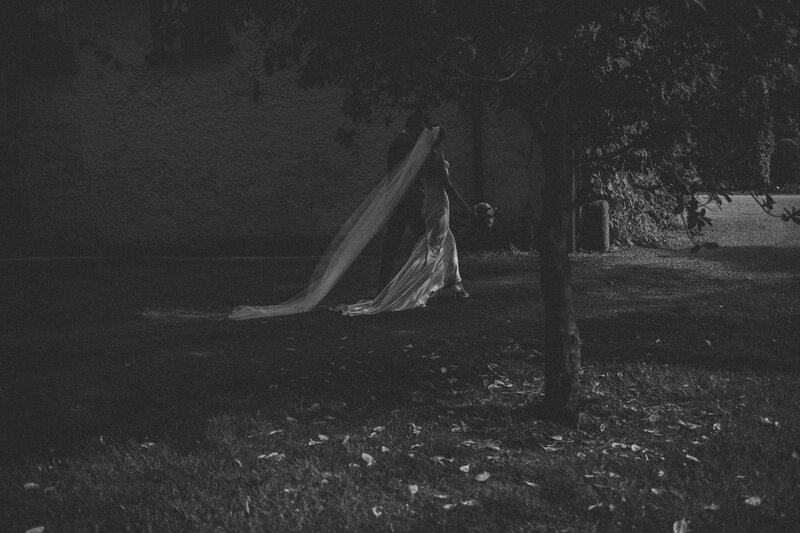 We suggested some evening bridal portraits underneath Rathsallagh’s famous oak tree. 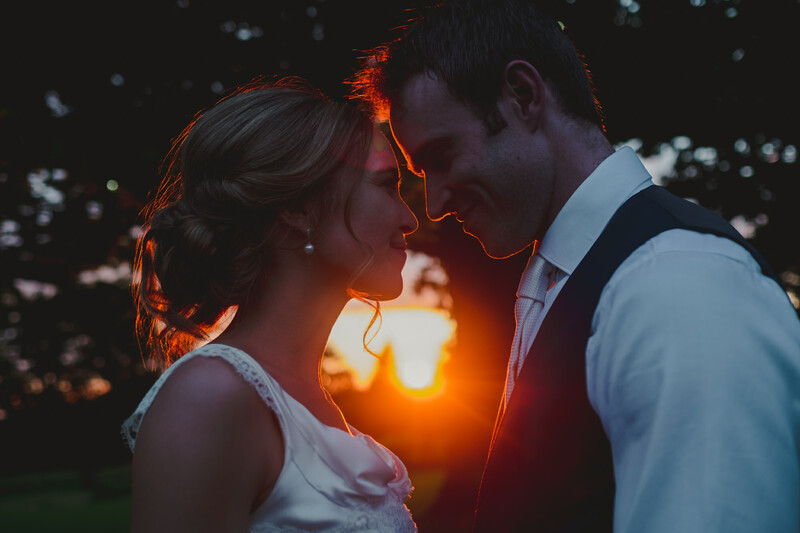 Making the moment even more special for the smiling couple, was the sunset trying to match the light of their smiles, and boy did it do a great job trying to keep up. 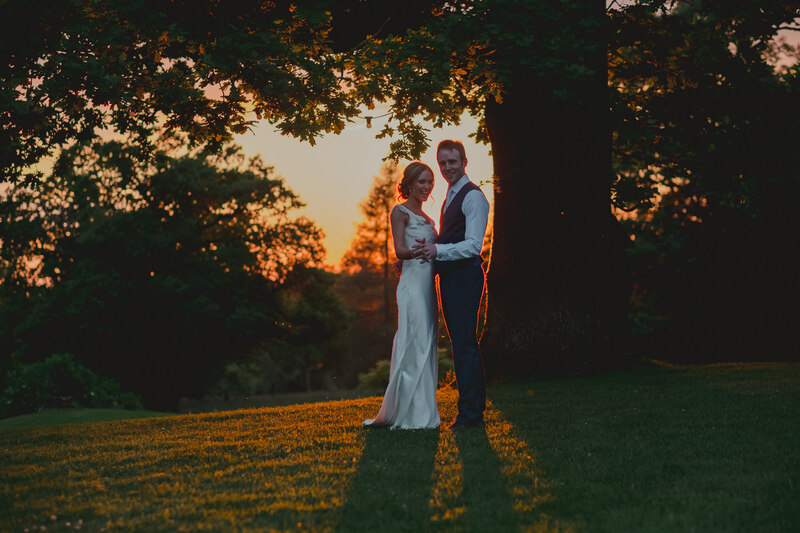 The red and orange hues of love framed the couple perfectly underneath the famous tree to cap off a wonderful Rathsallgh House wedding. 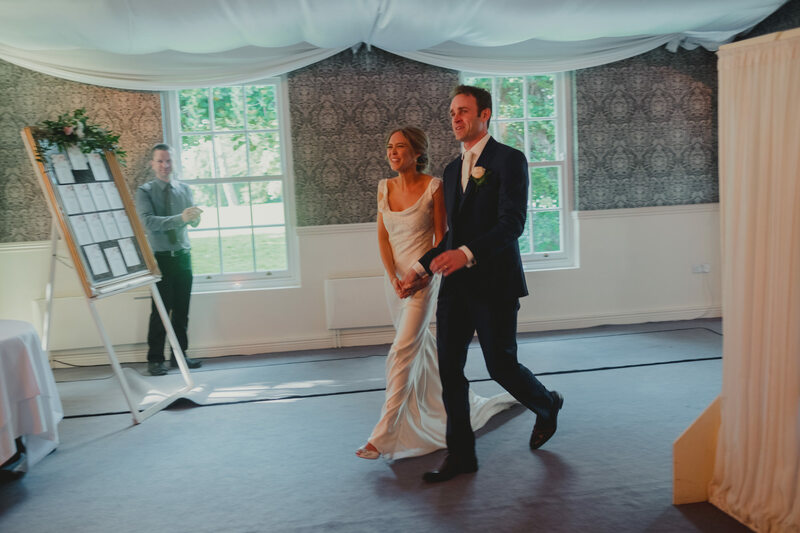 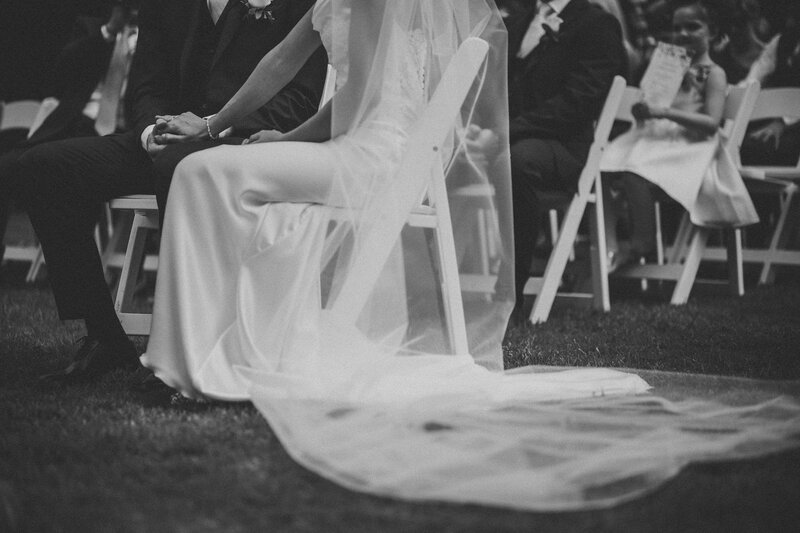 The perfect moment for the newlyweds to take out a thank you sign for their future thank you cards. 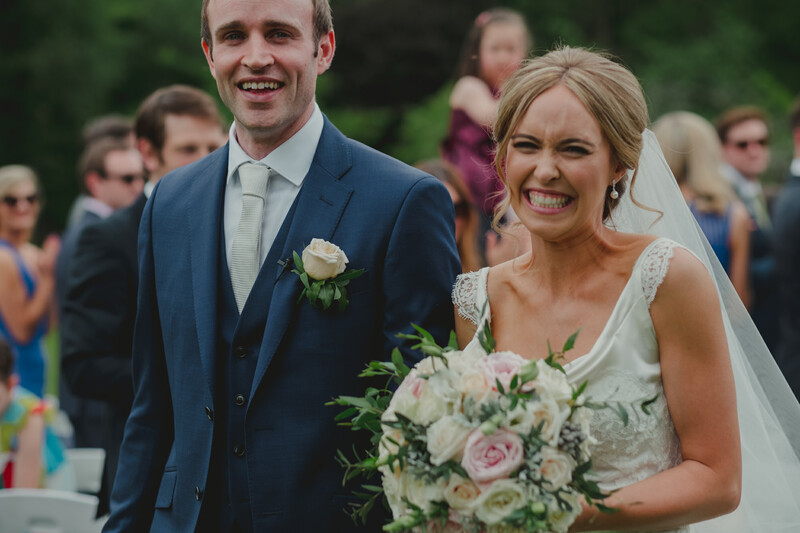 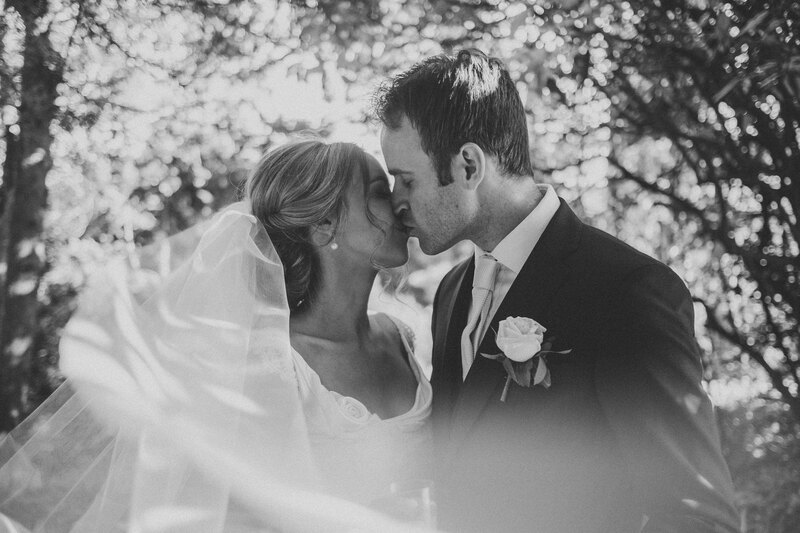 Looking back at their wedding day, it’s really us that want to say thank you to Danielle and Colm, for not only being such a wonderful couple to photograph but for providing so many smiles that are still with us today. 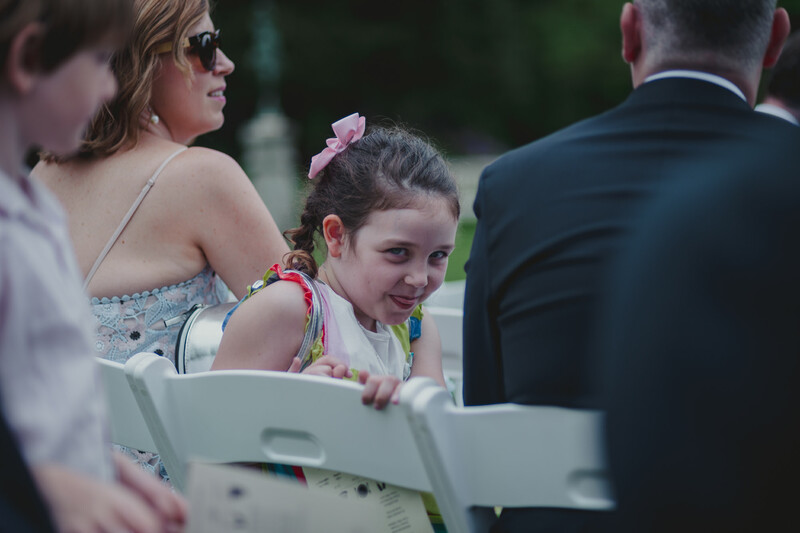 Contagious. 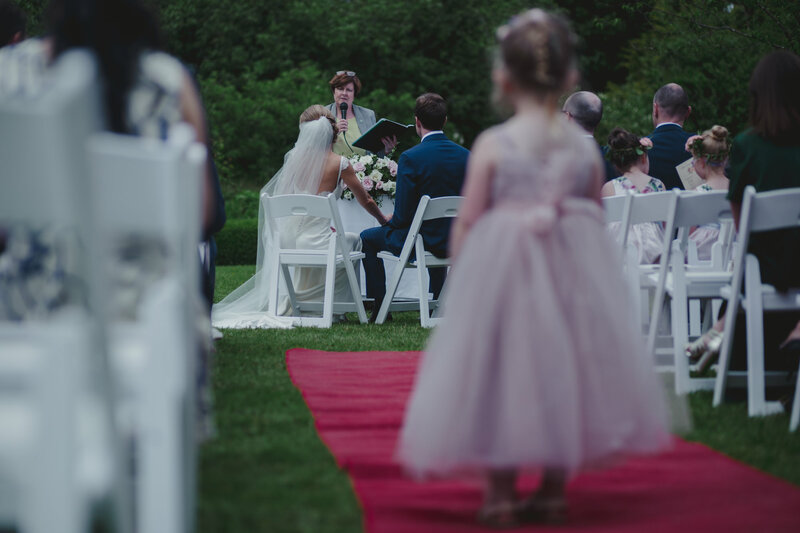 Thanks for having us be a part of your special day and we wish you the best in the future.